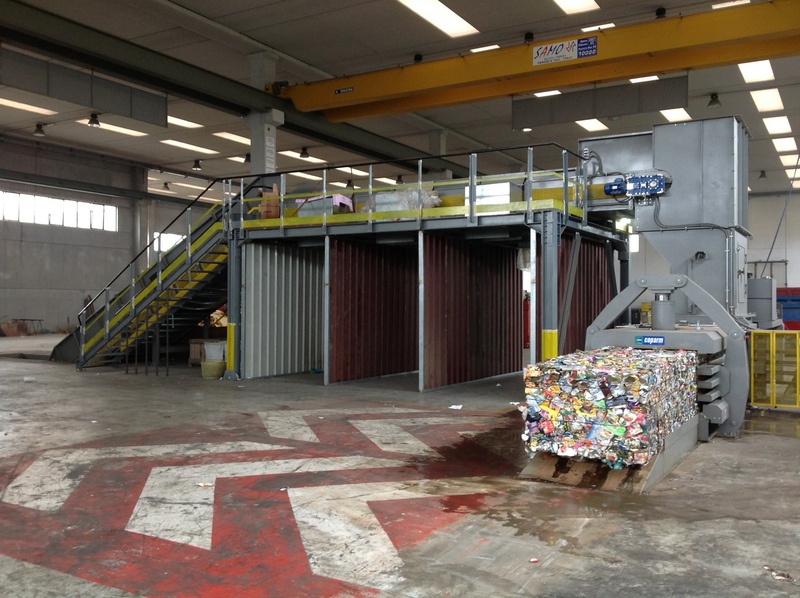 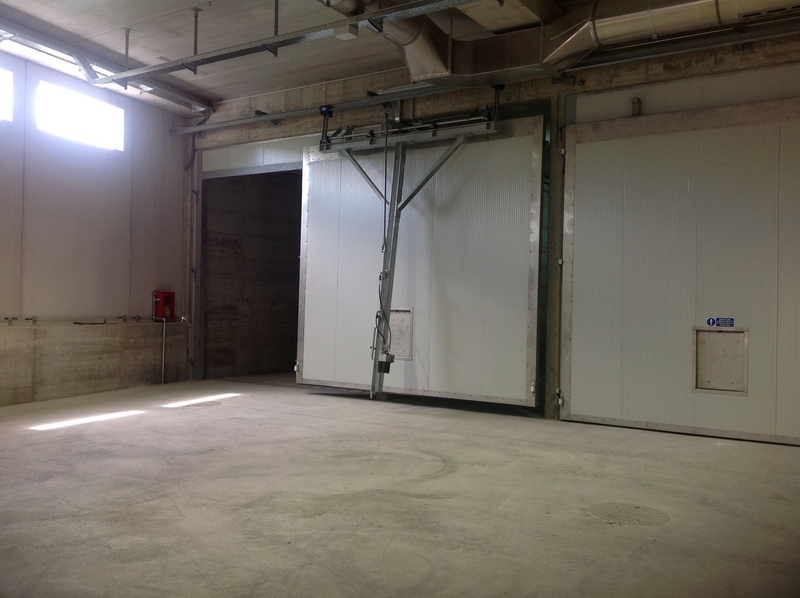 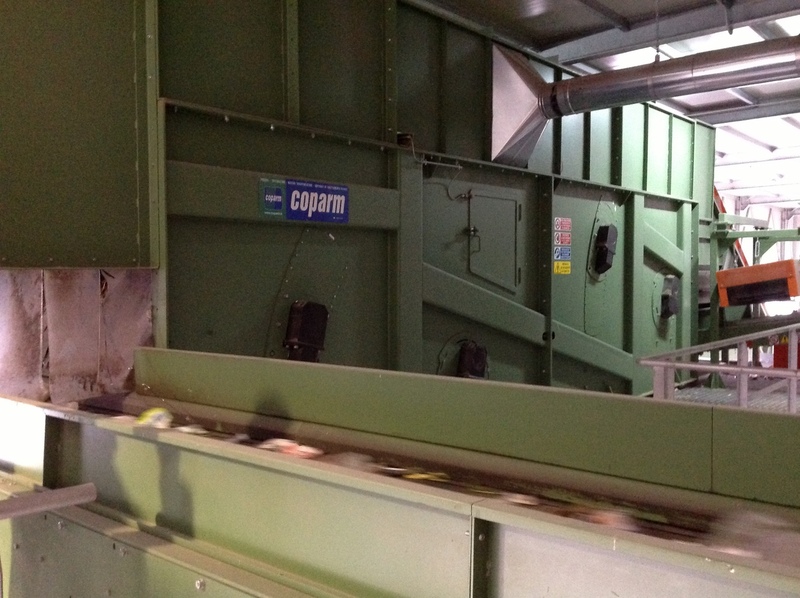 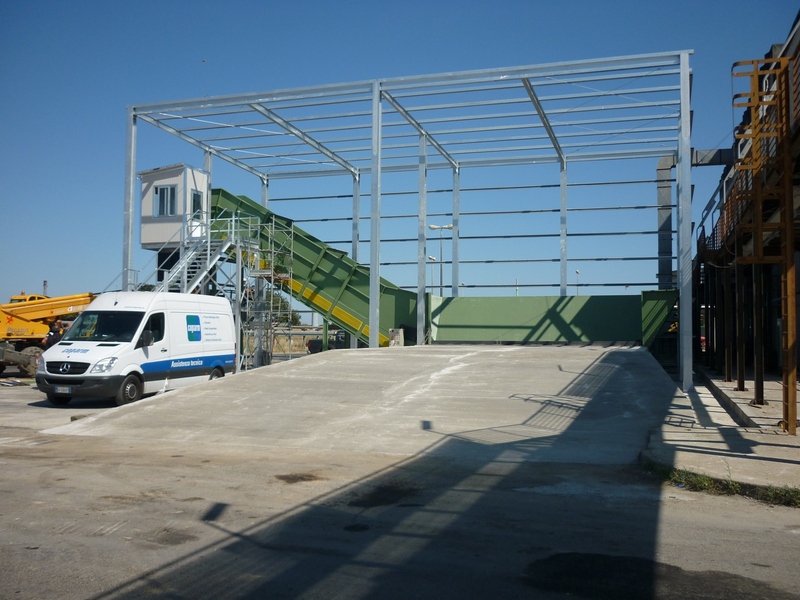 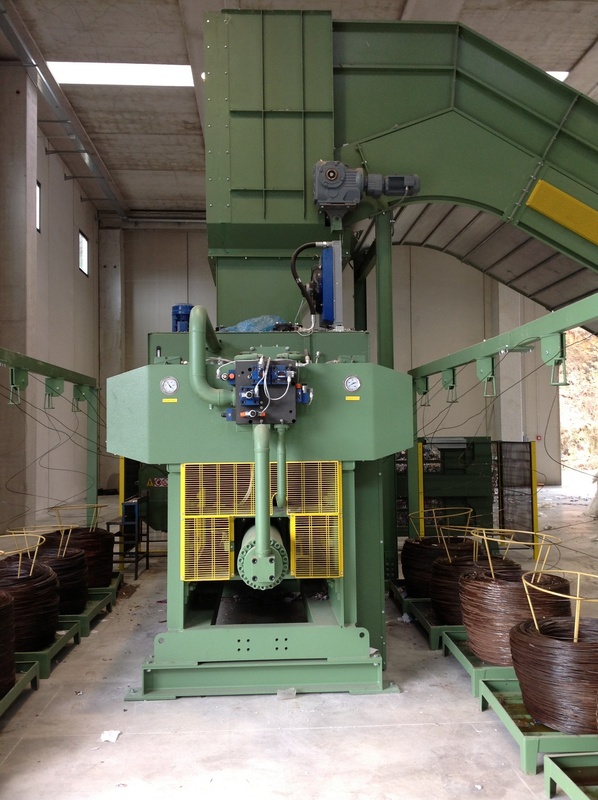 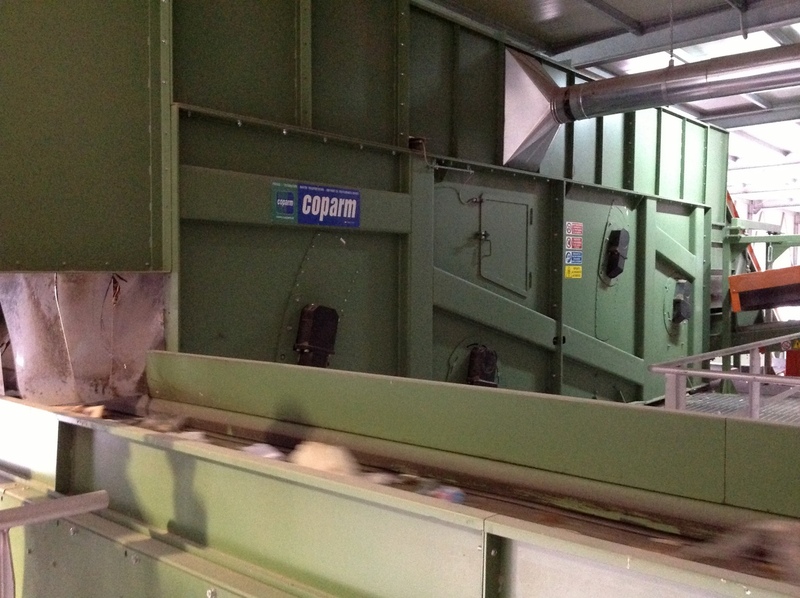 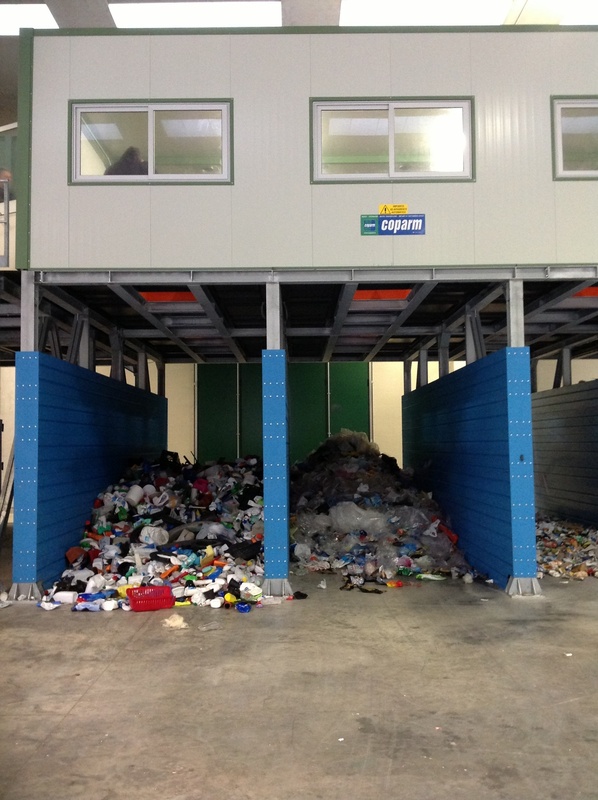 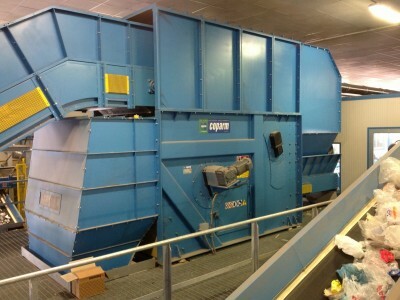 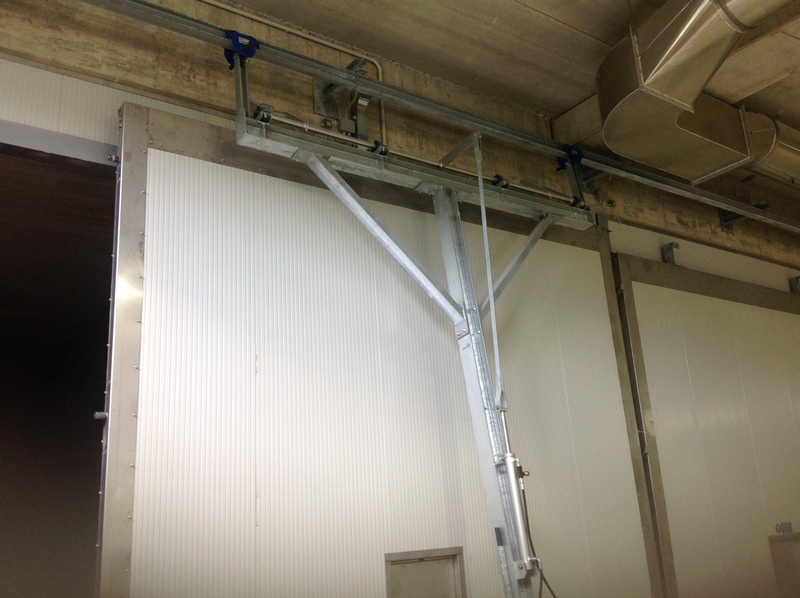 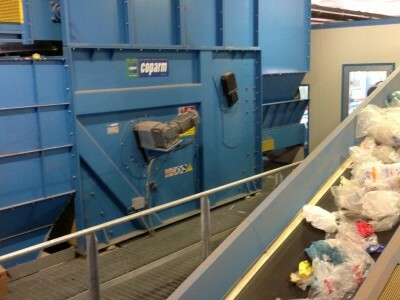 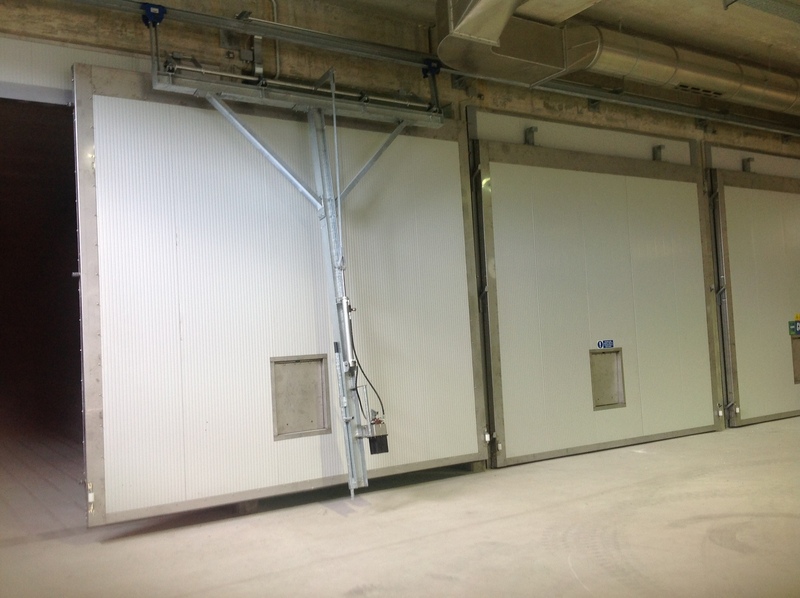 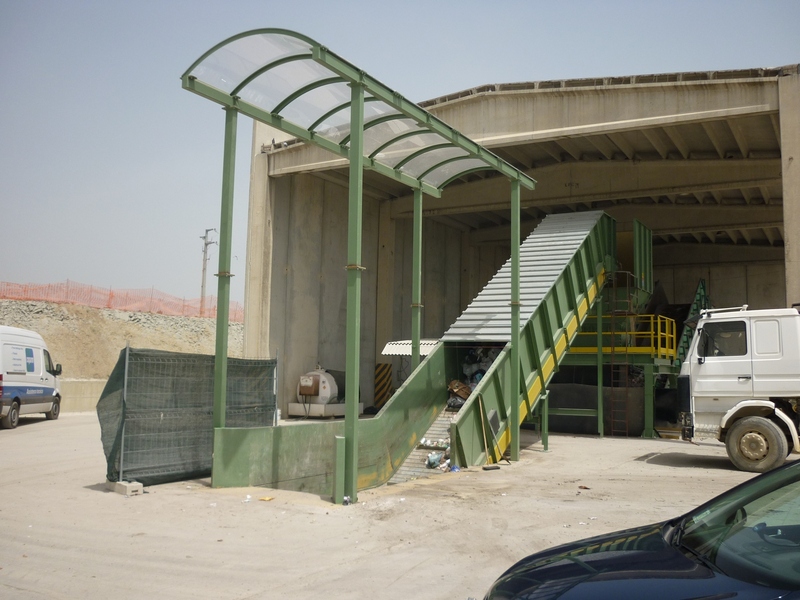 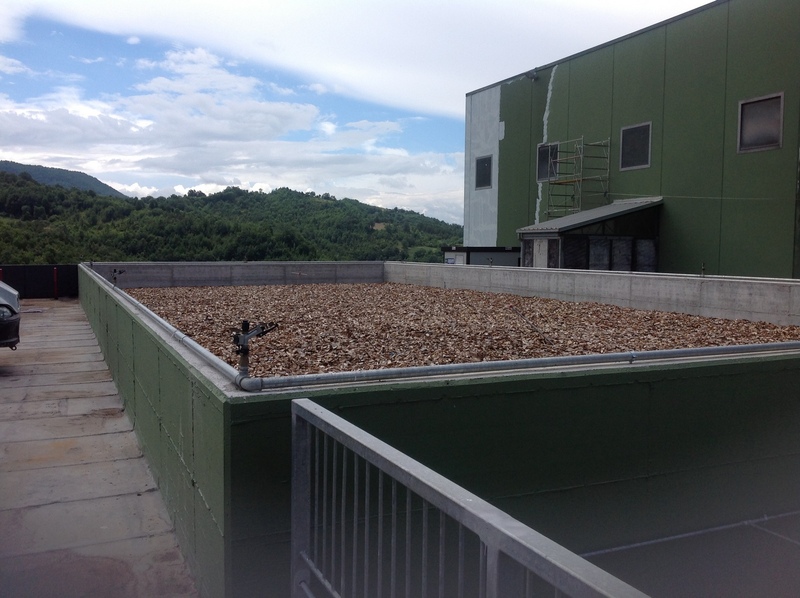 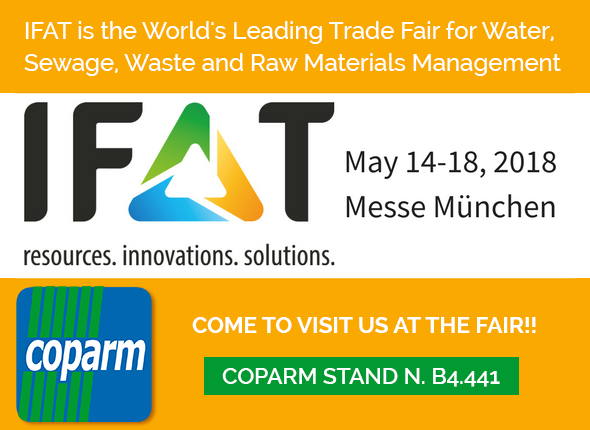 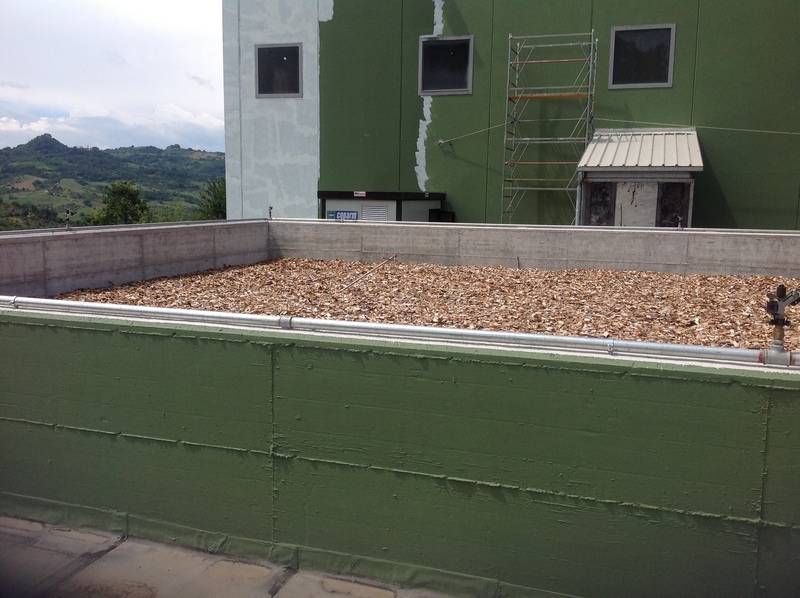 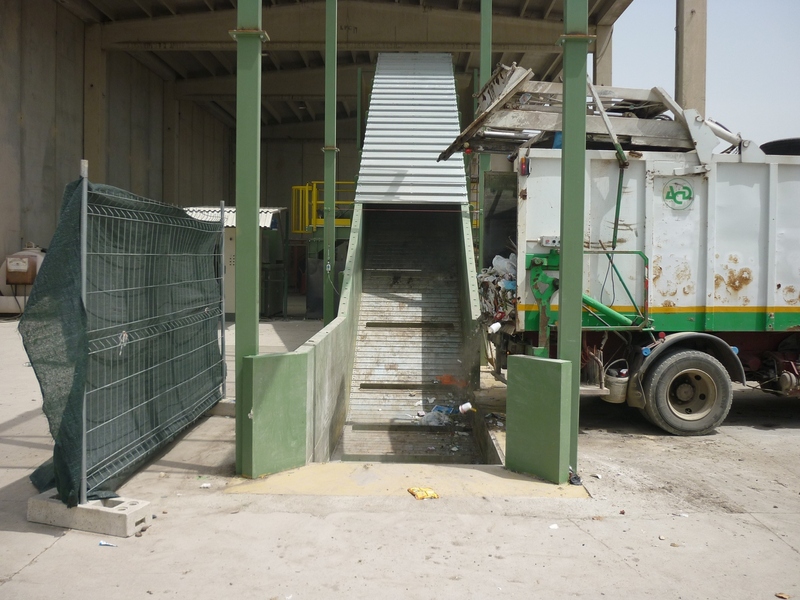 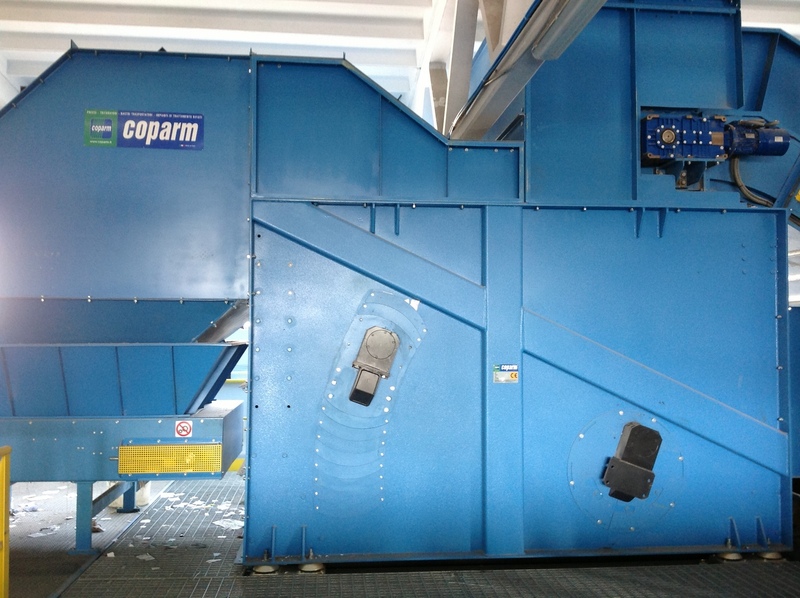 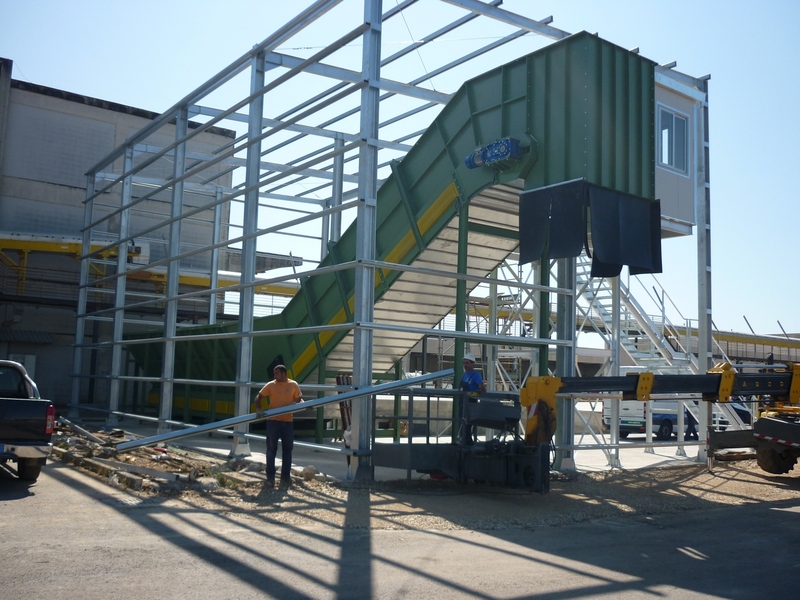 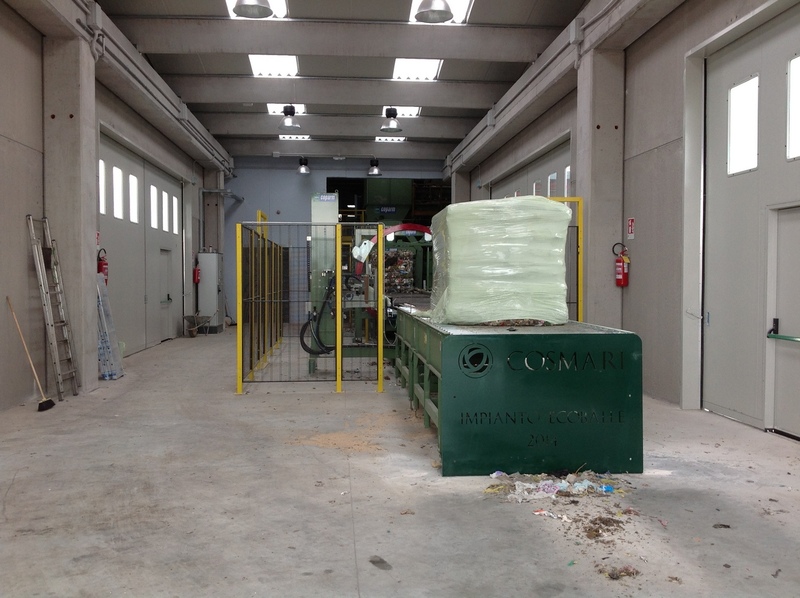 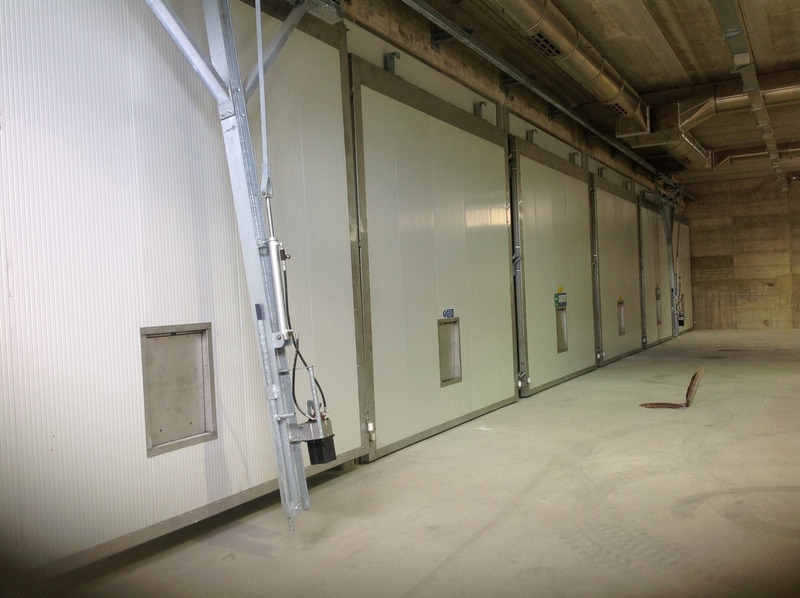 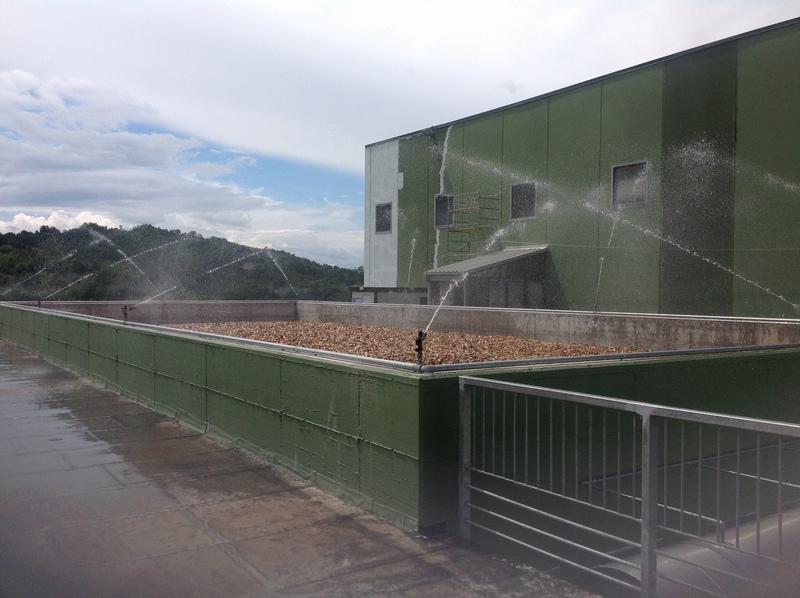 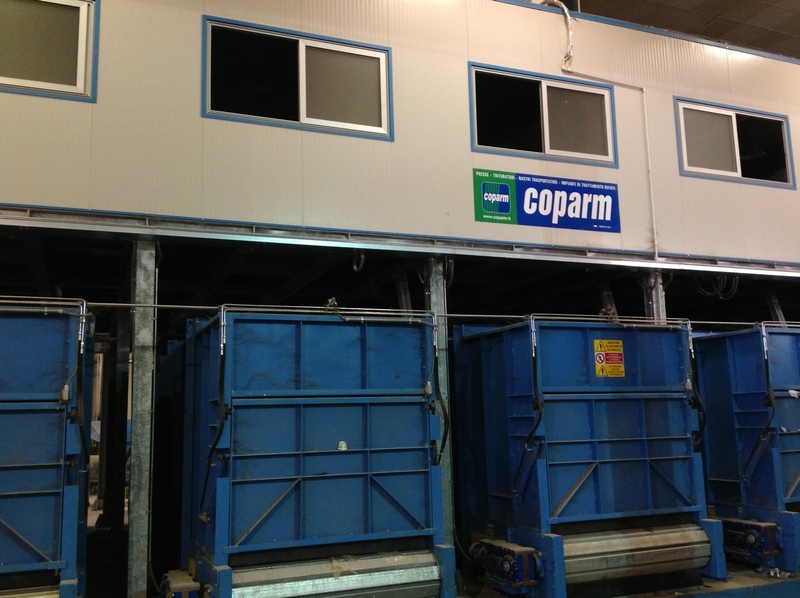 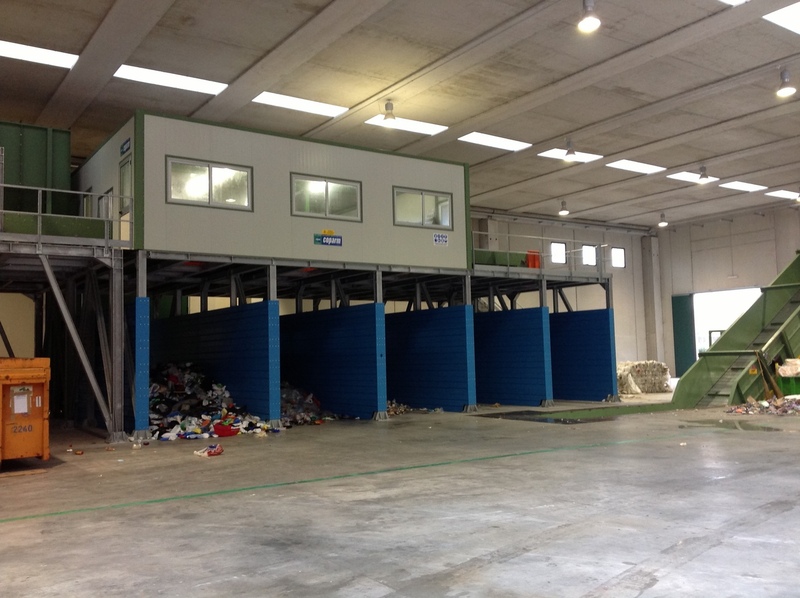 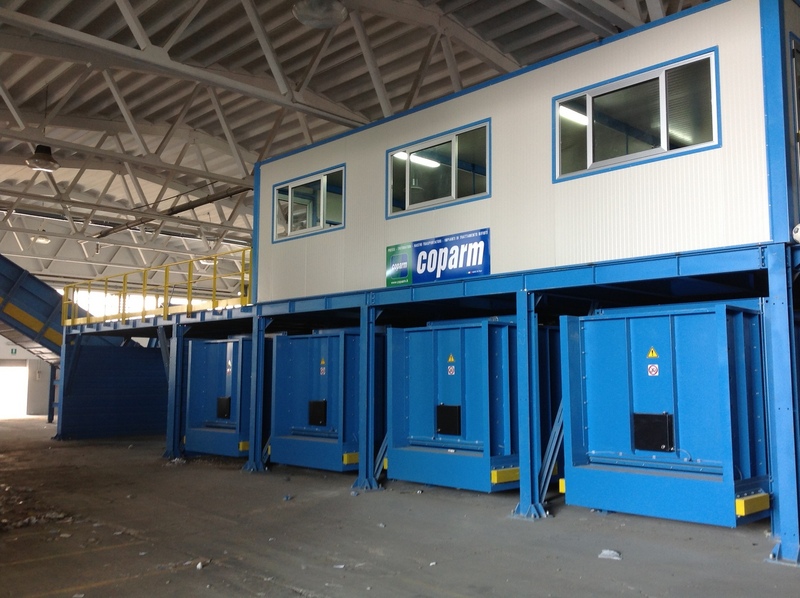 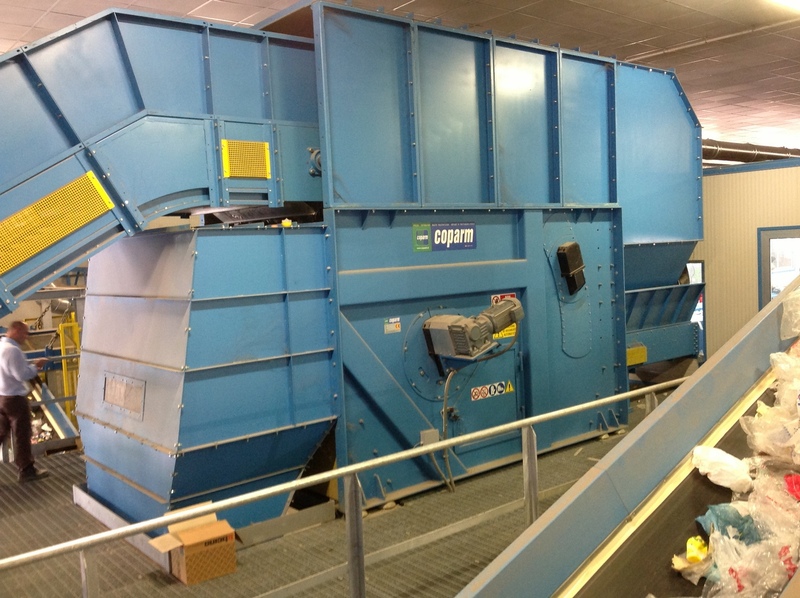 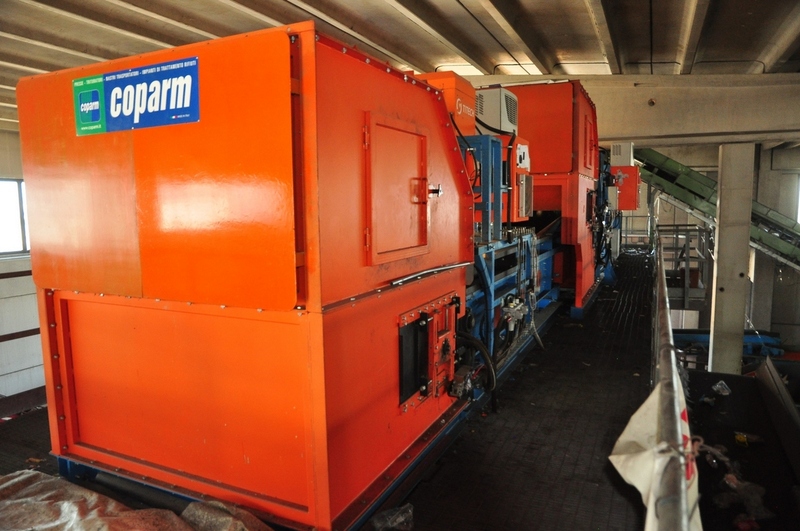 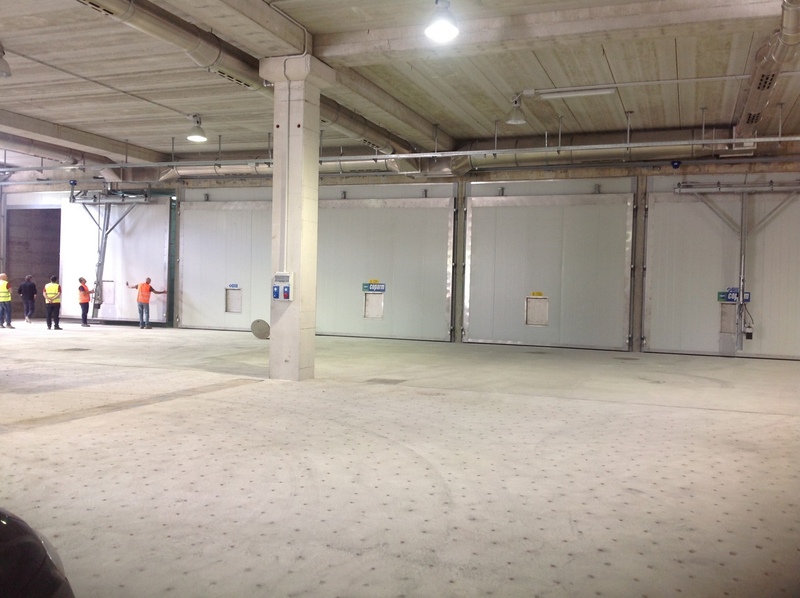 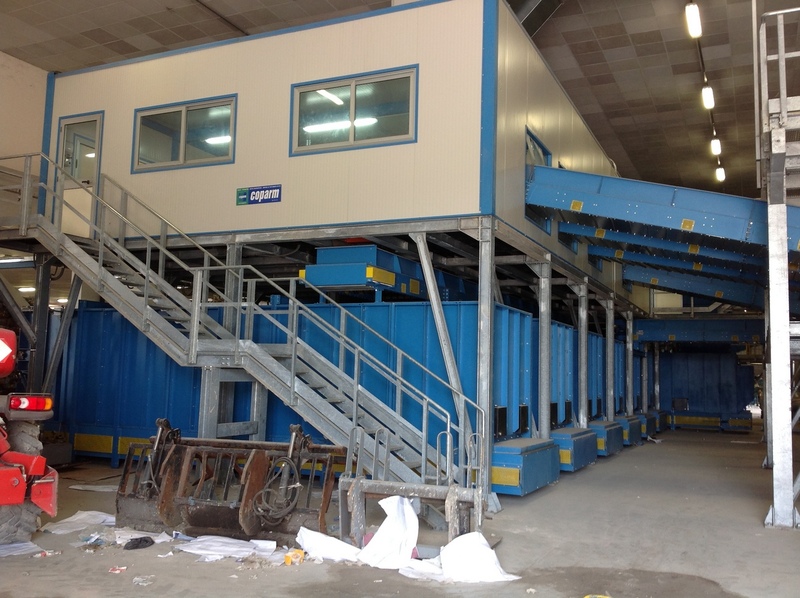 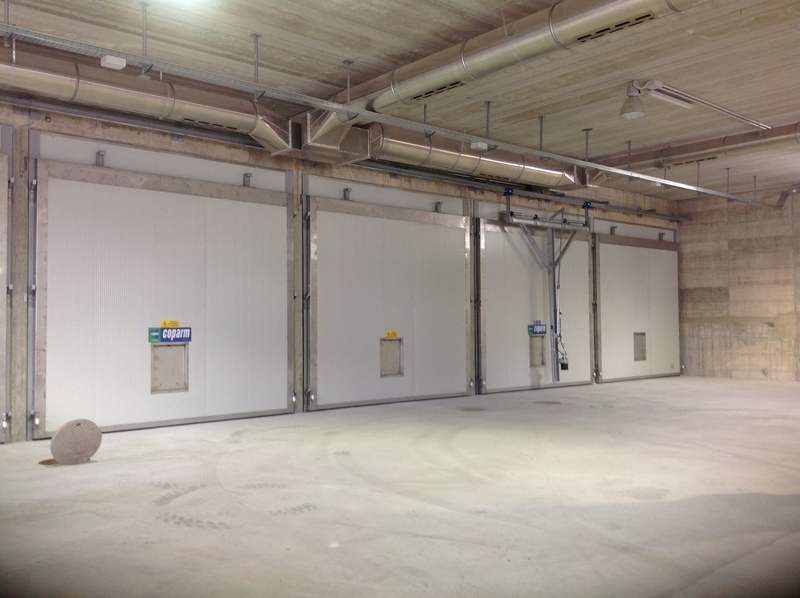 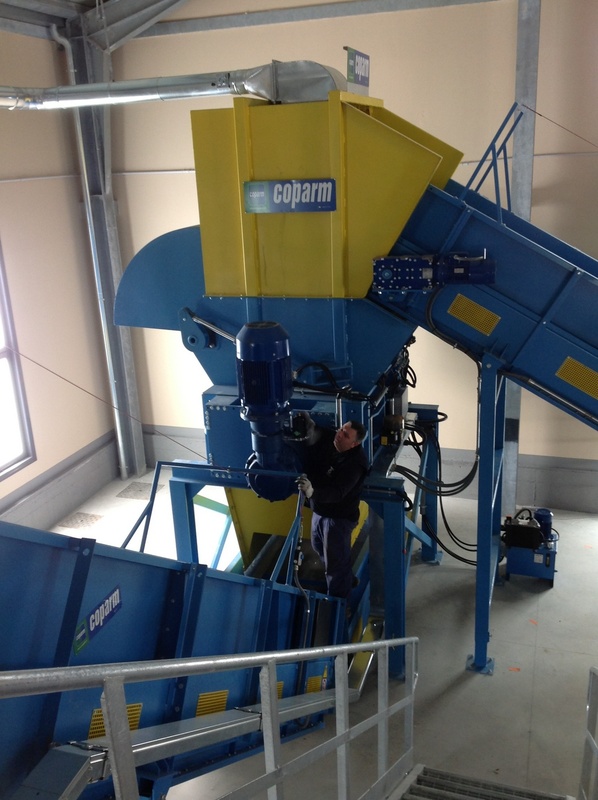 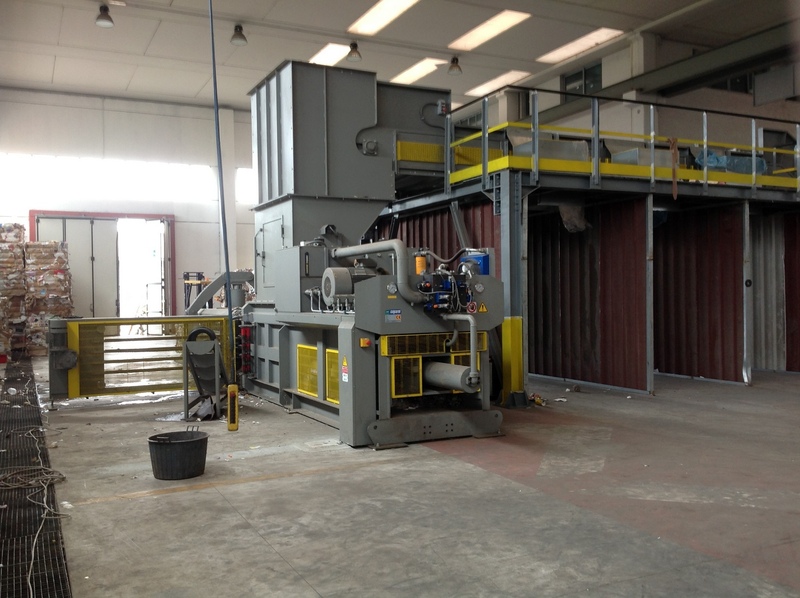 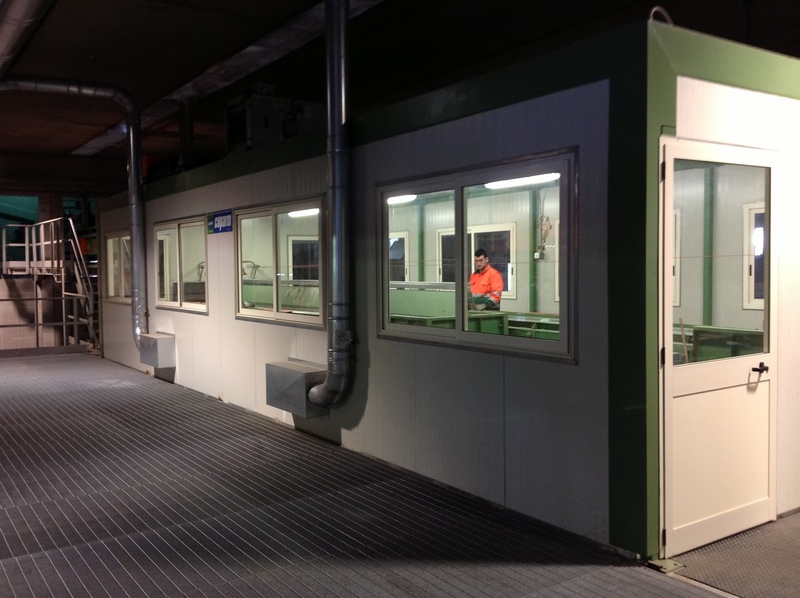 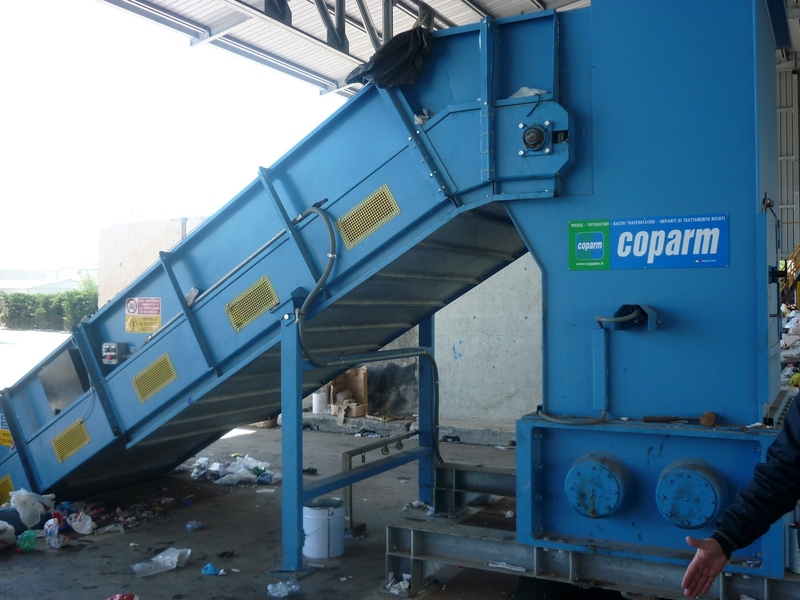 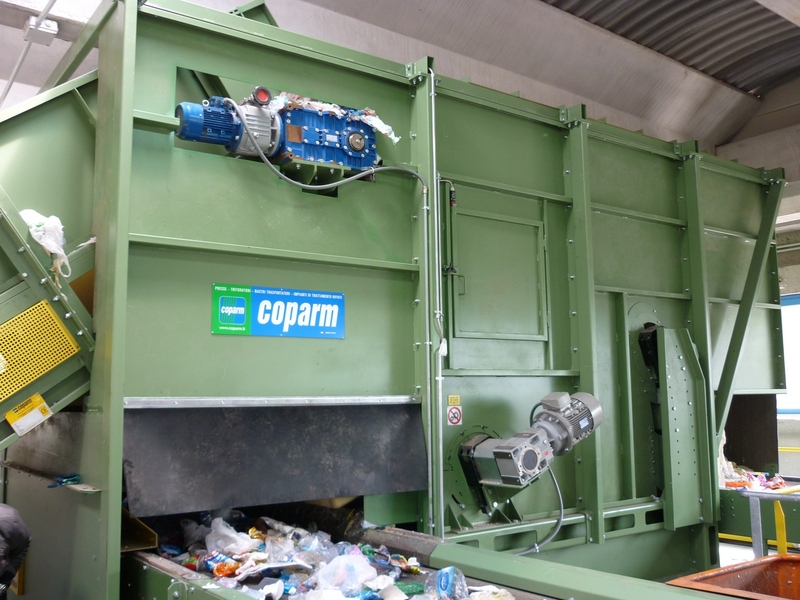 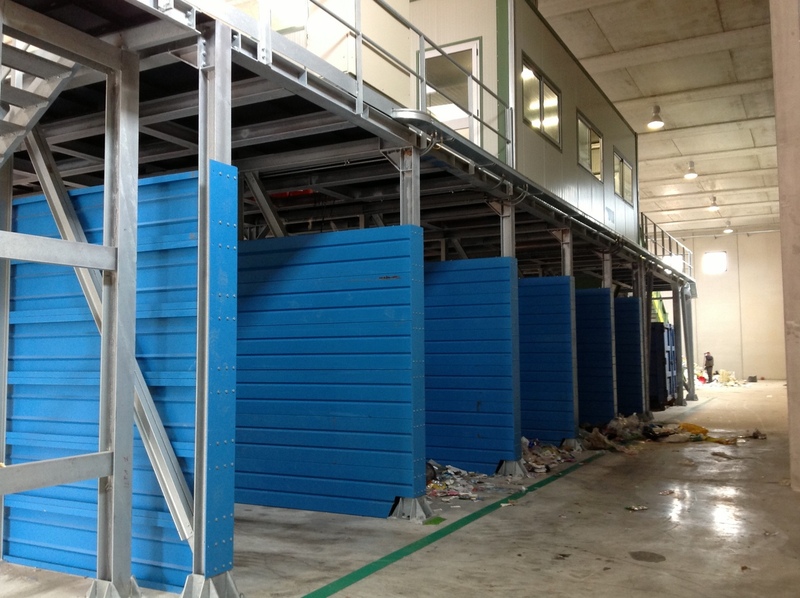 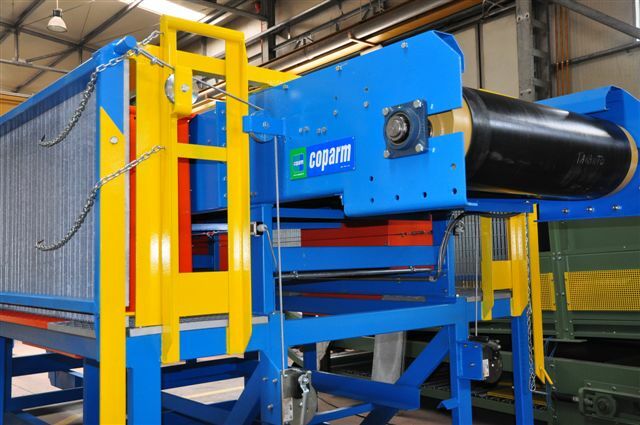 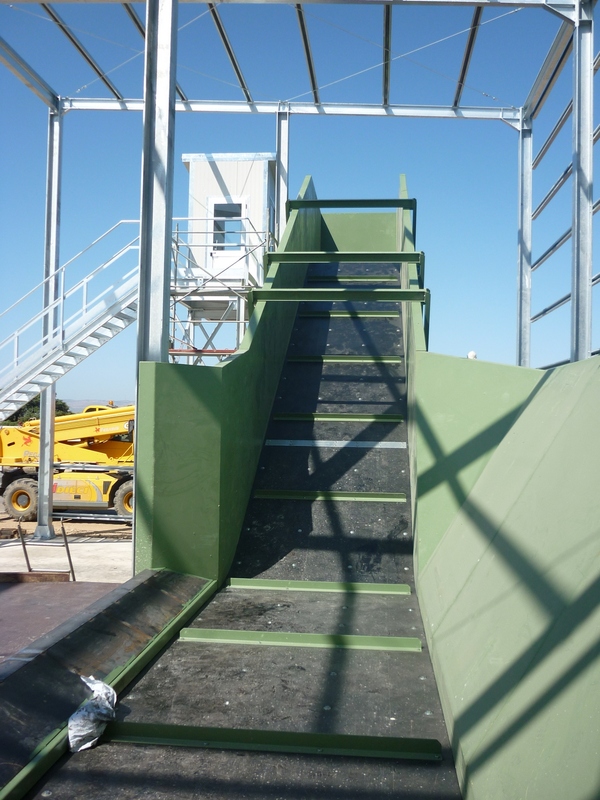 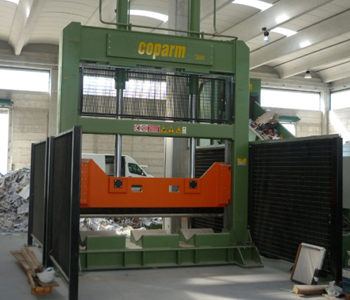 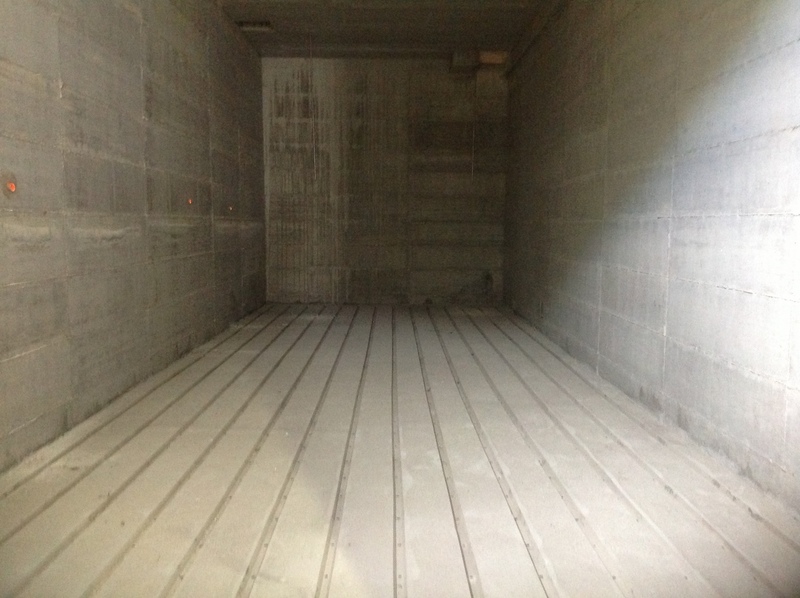 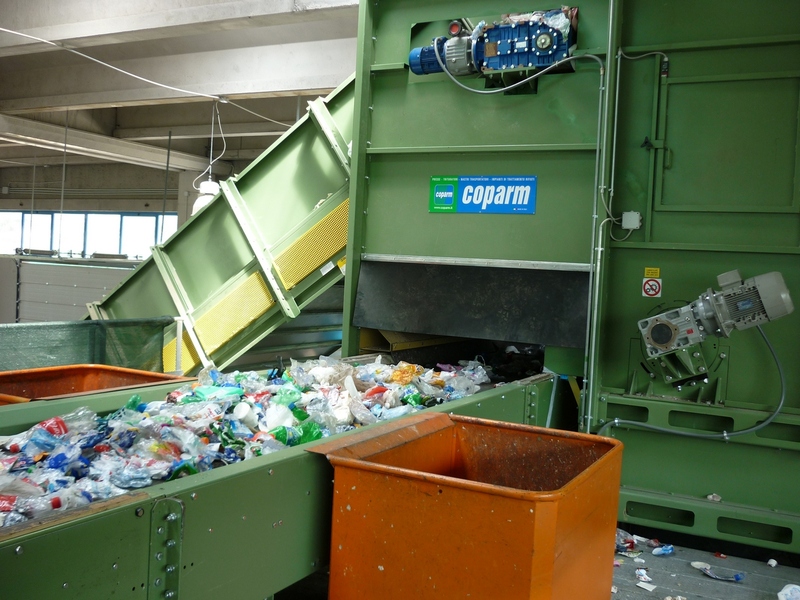 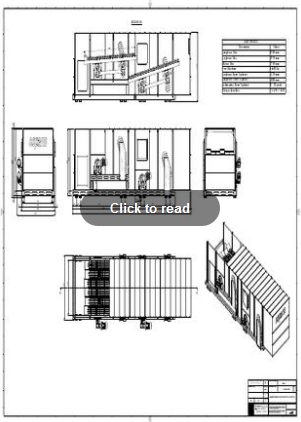 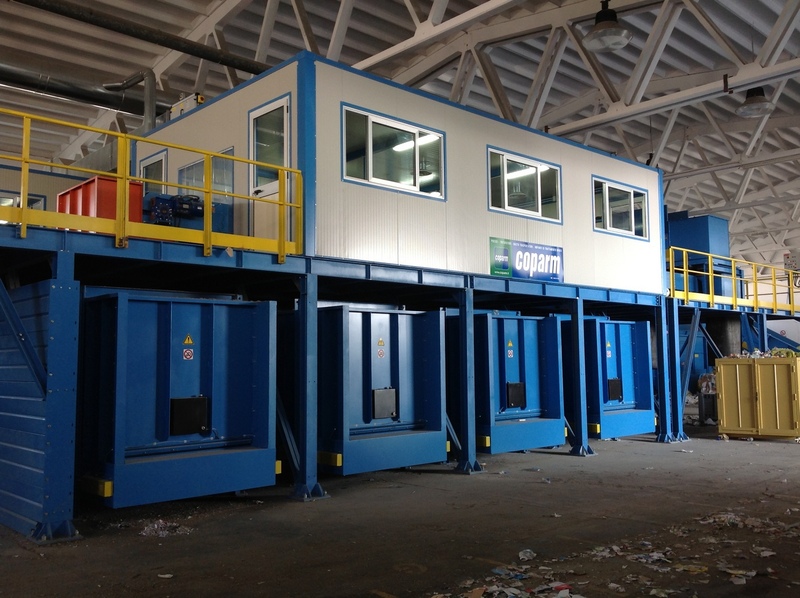 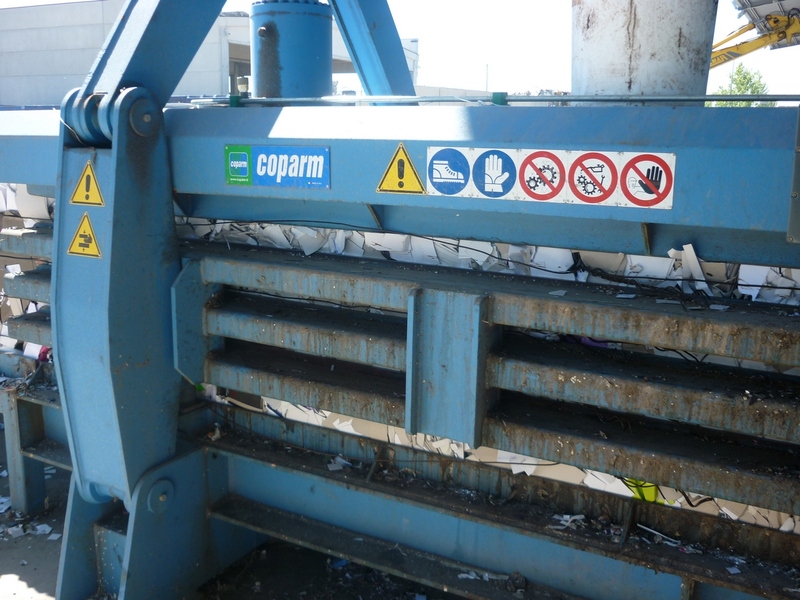 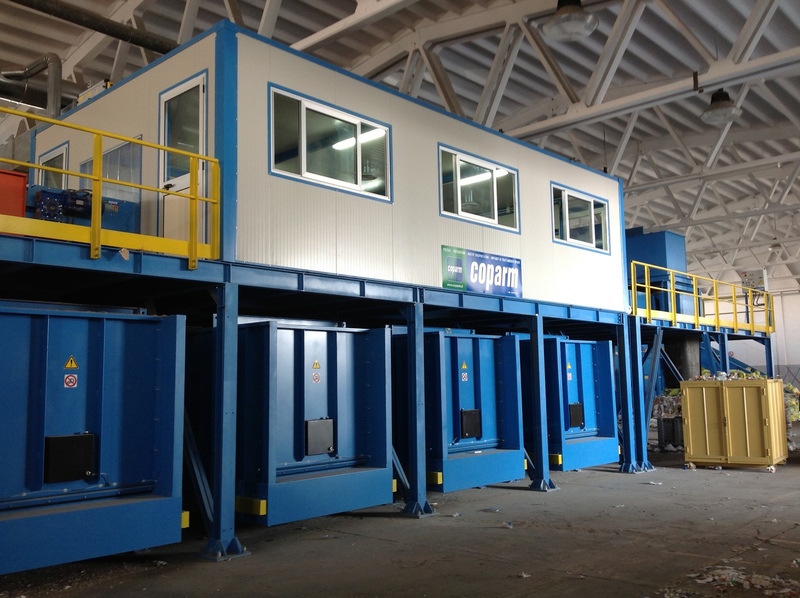 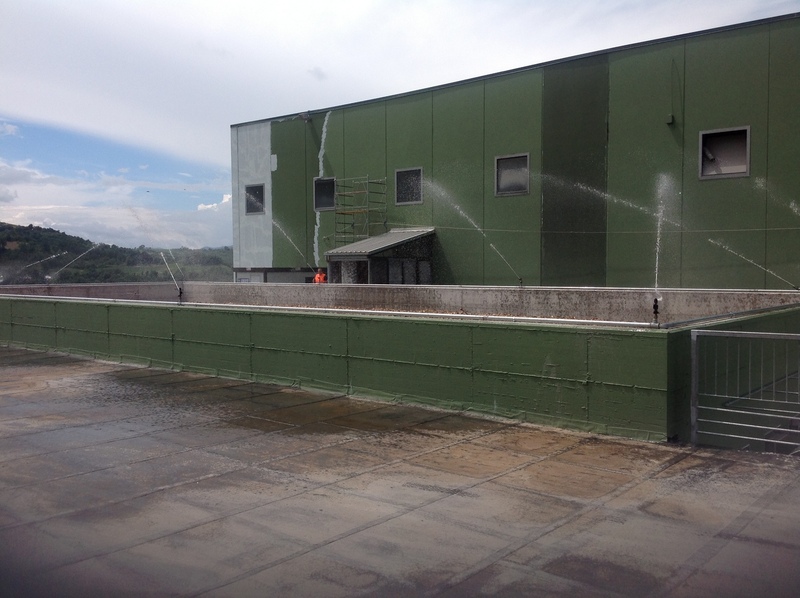 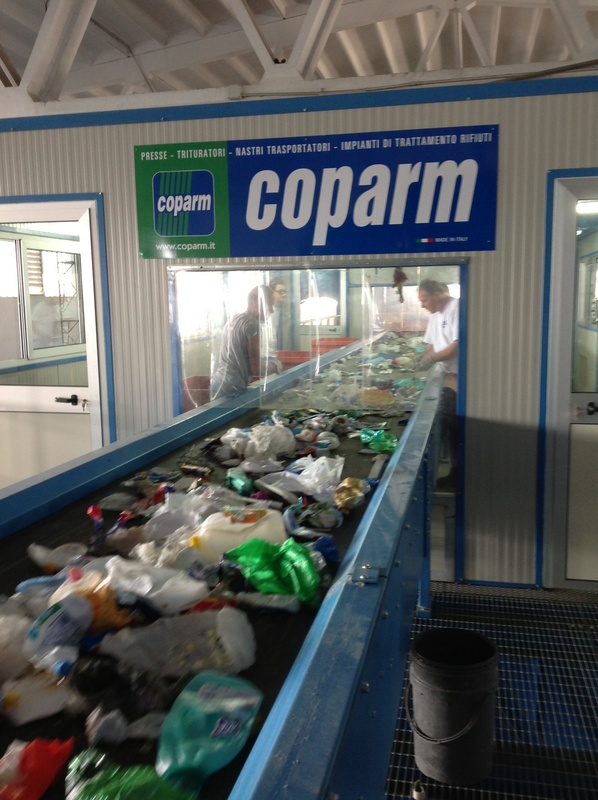 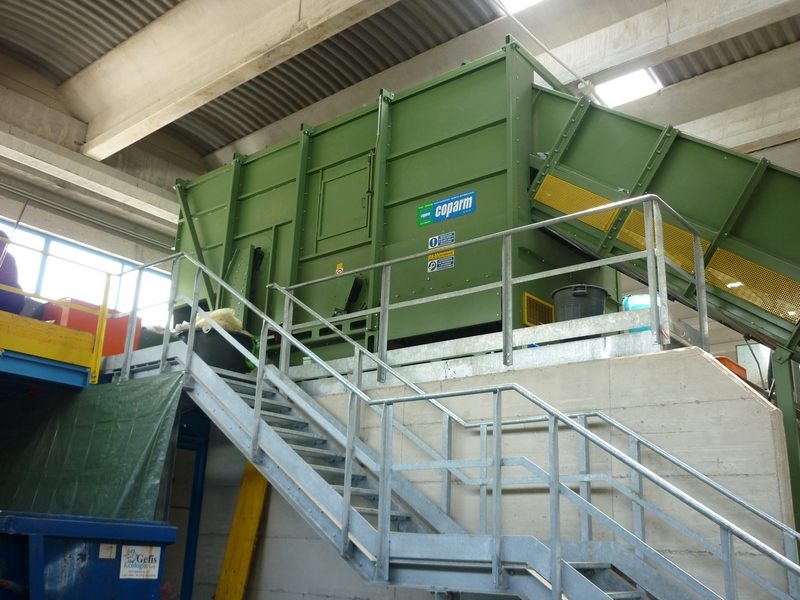 Coparm designs and builds single-stage ballistic separators and double stage. 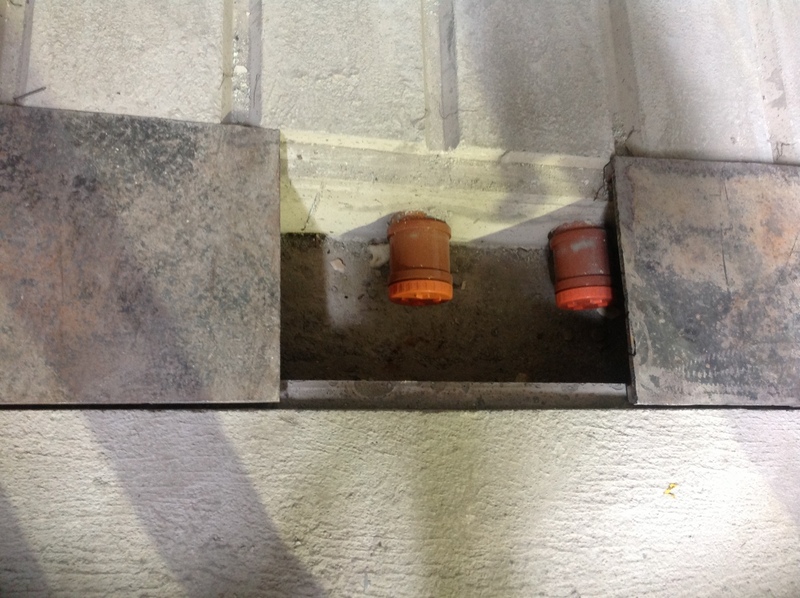 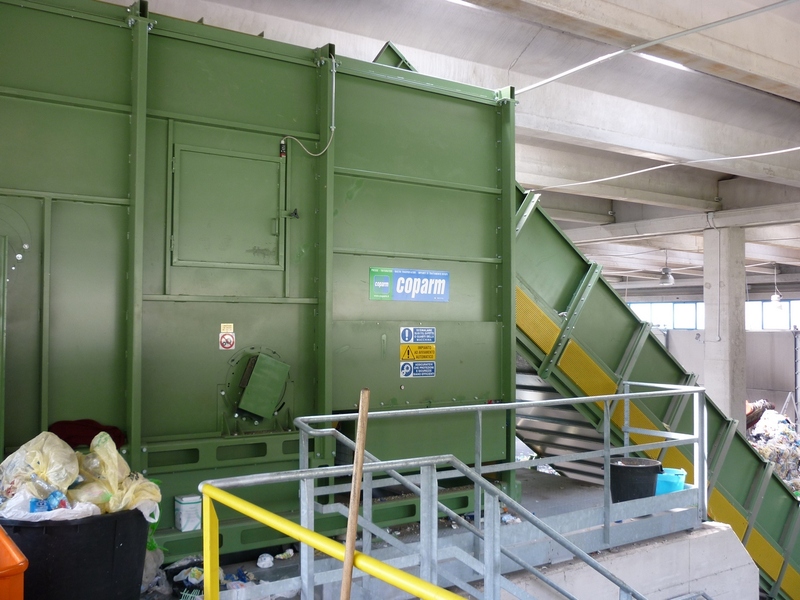 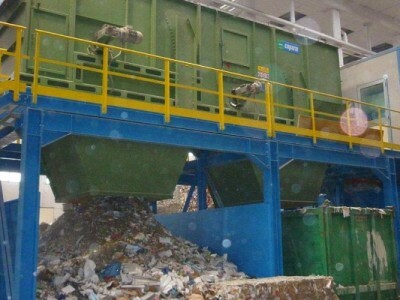 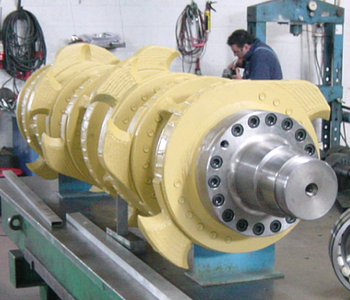 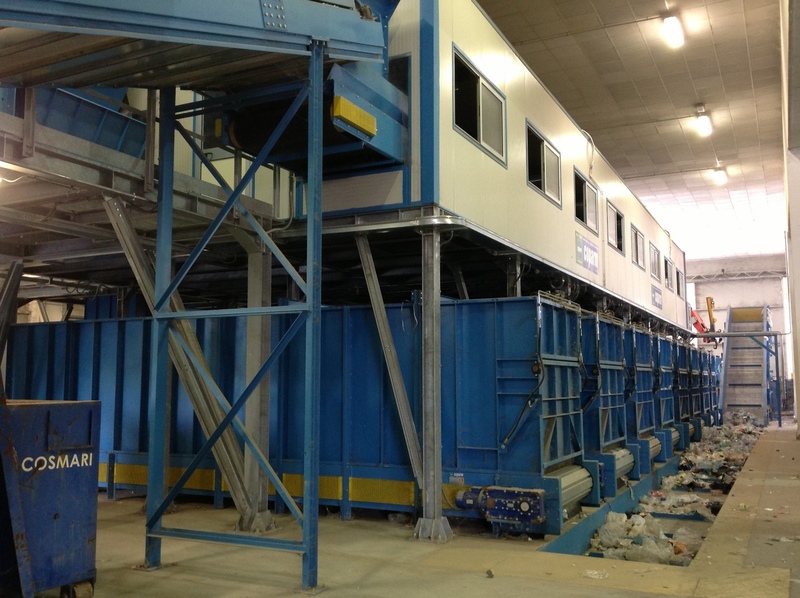 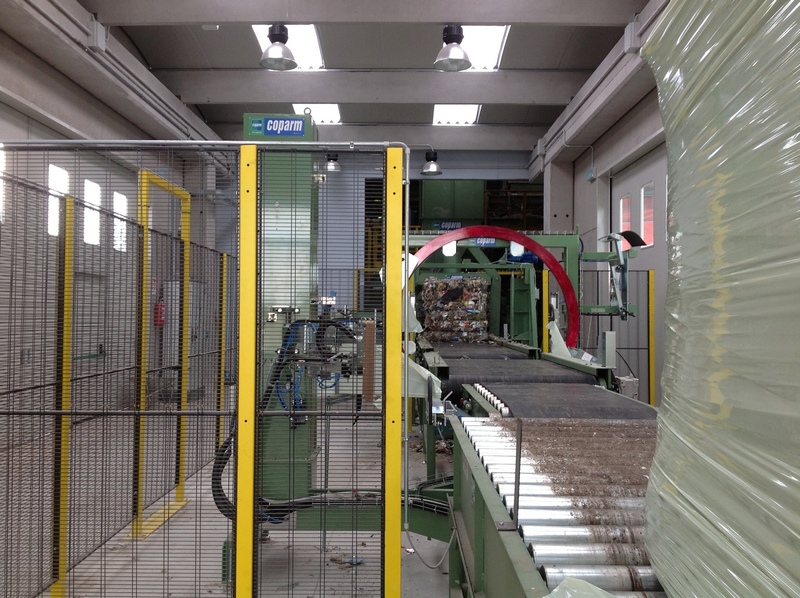 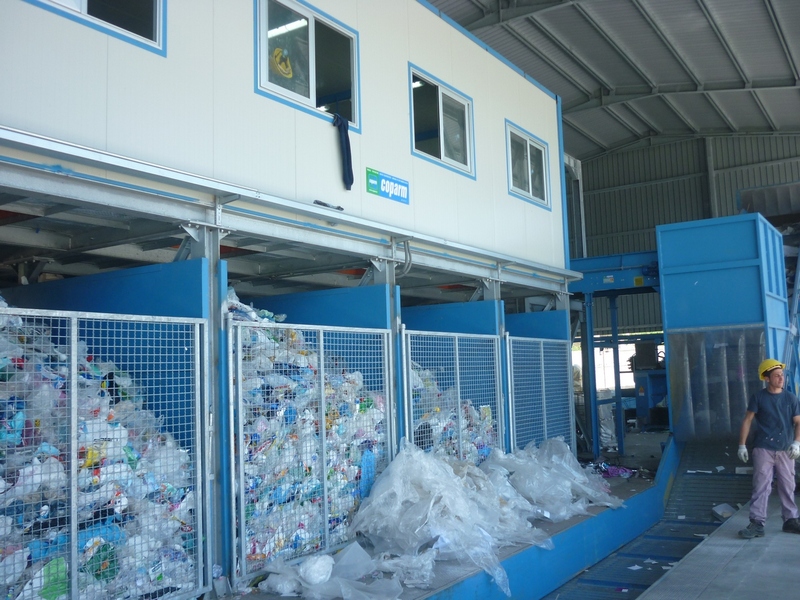 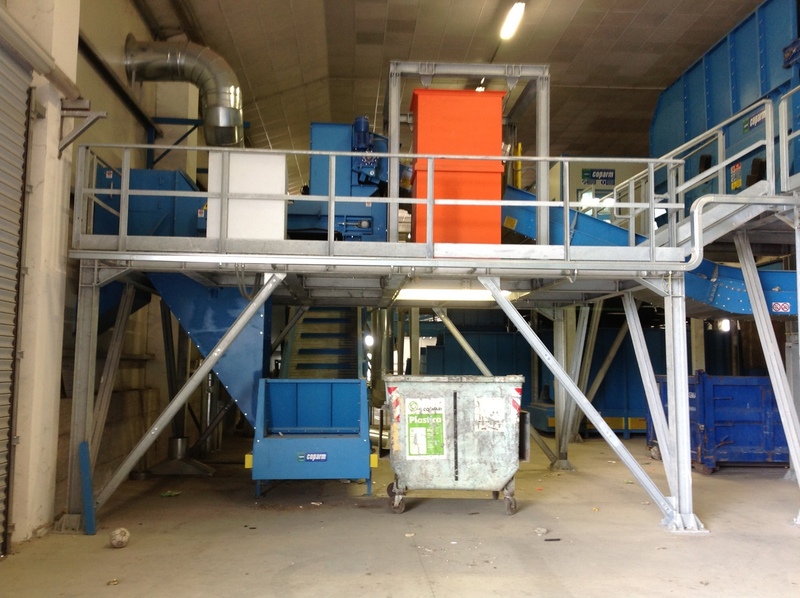 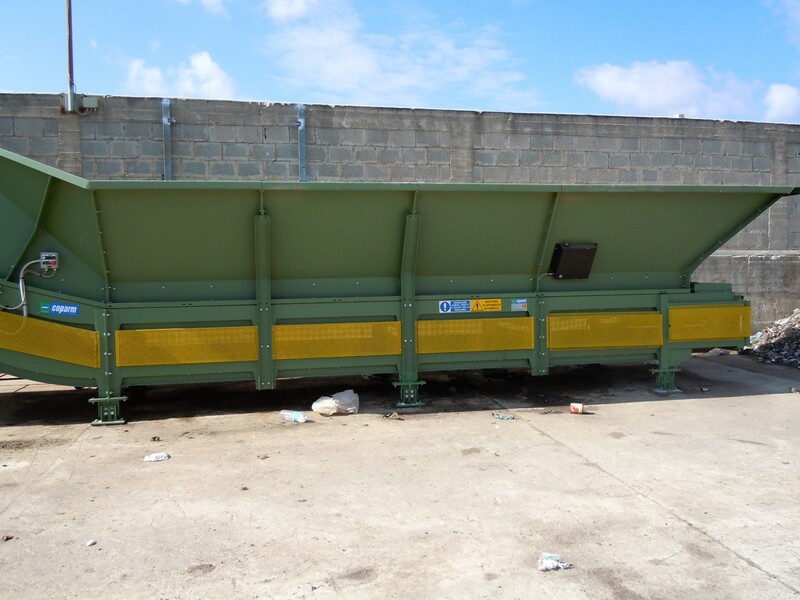 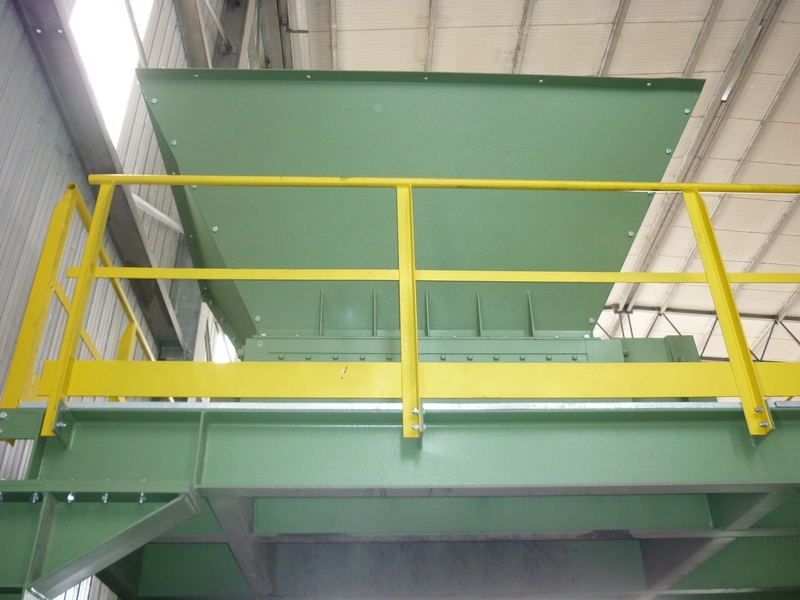 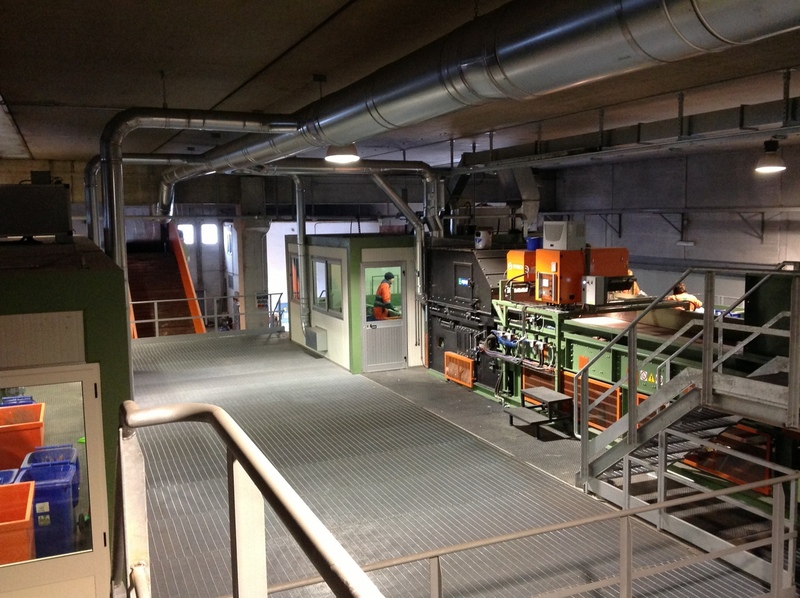 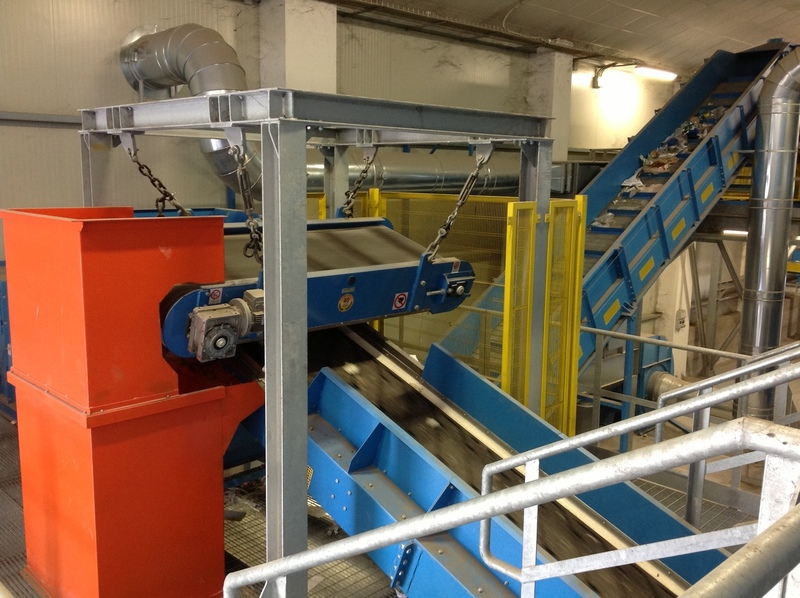 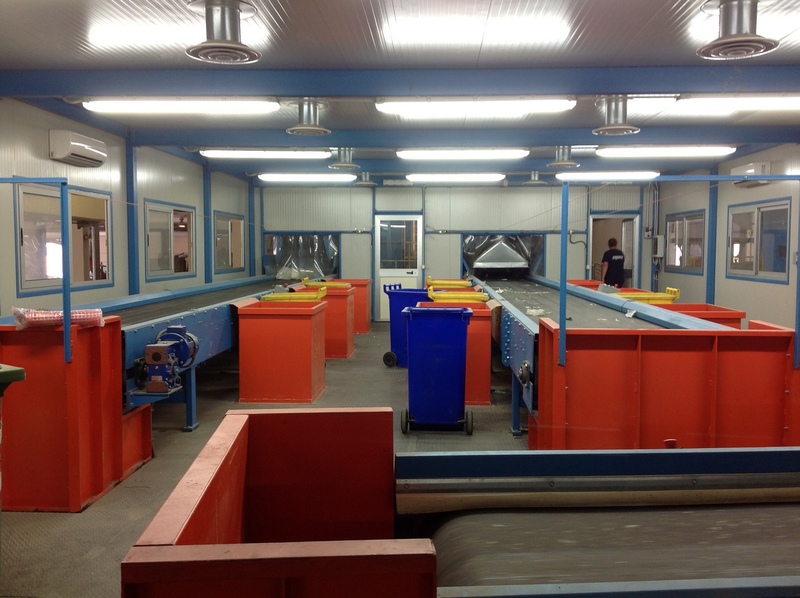 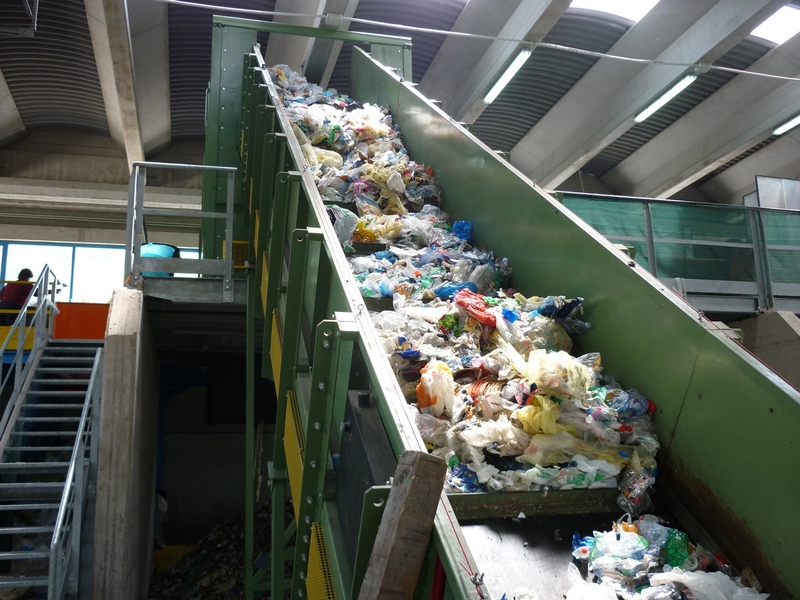 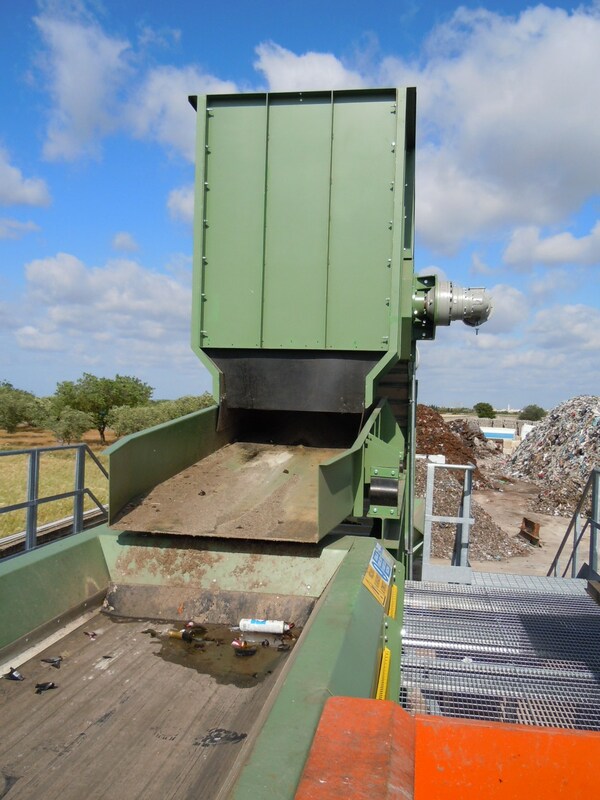 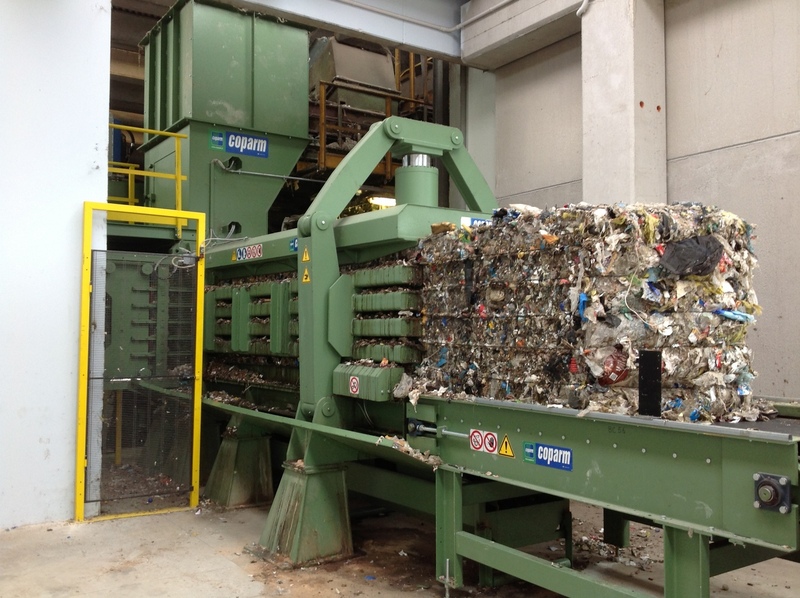 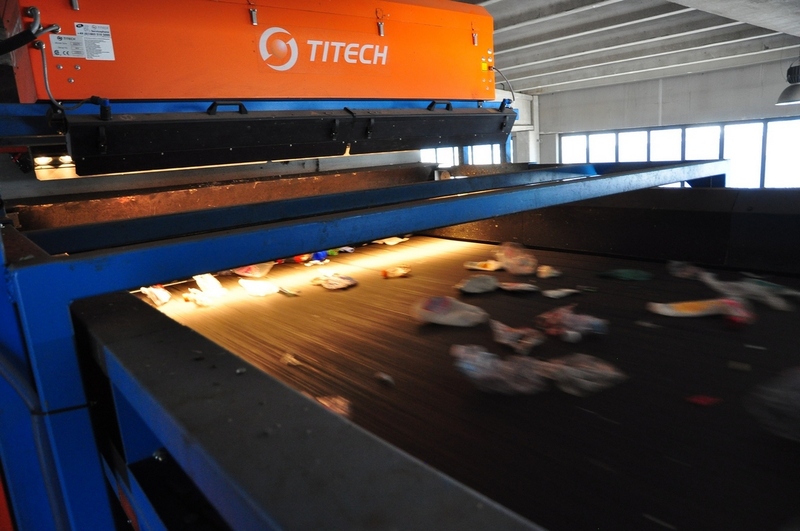 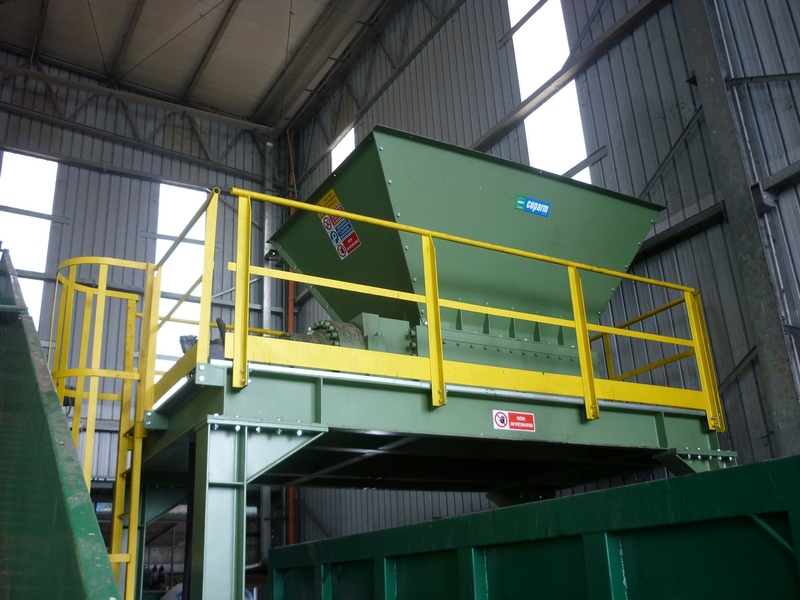 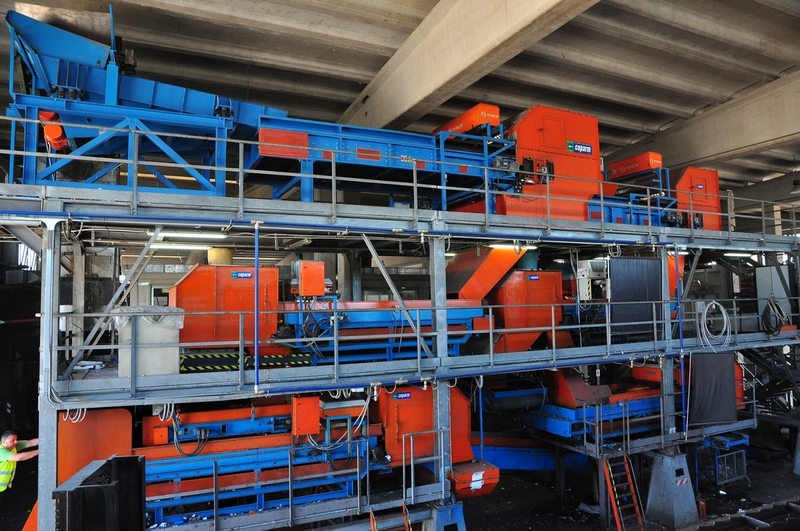 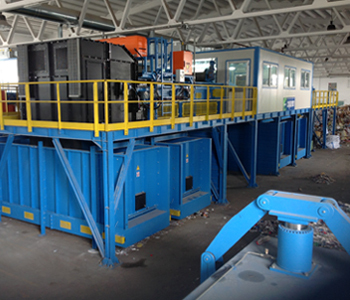 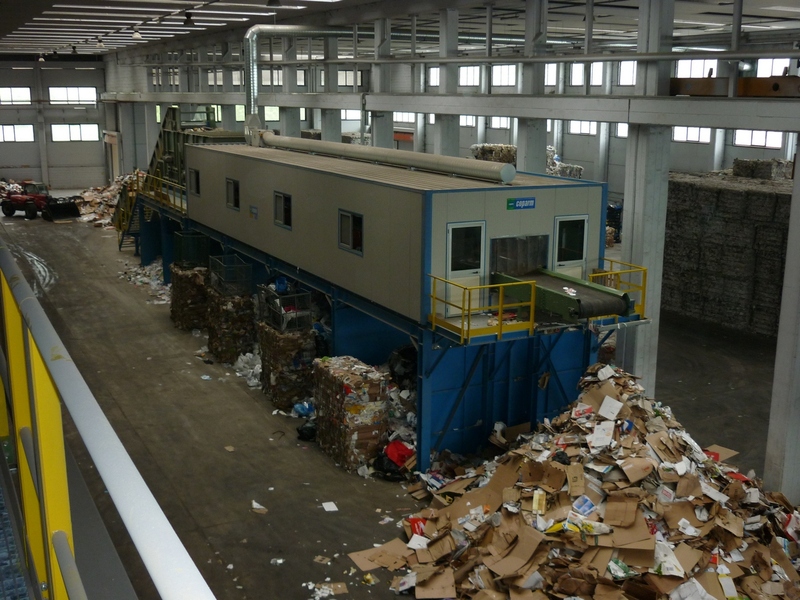 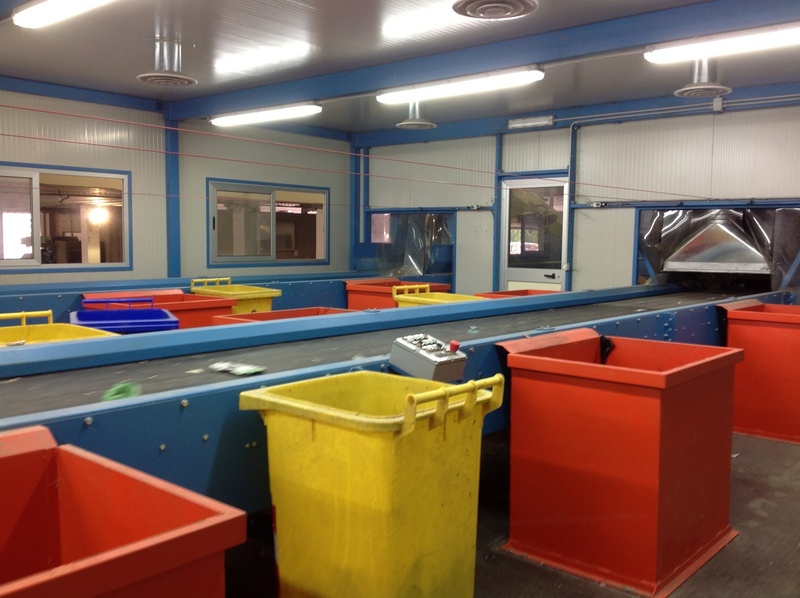 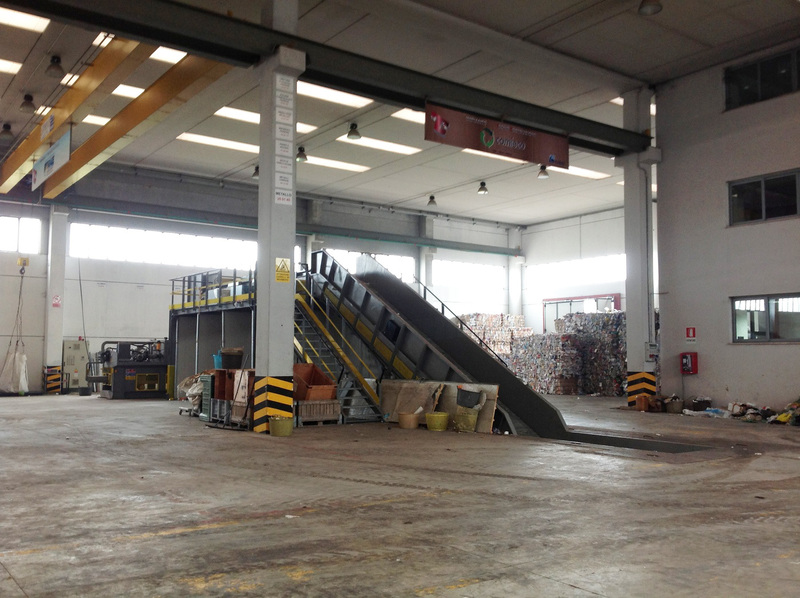 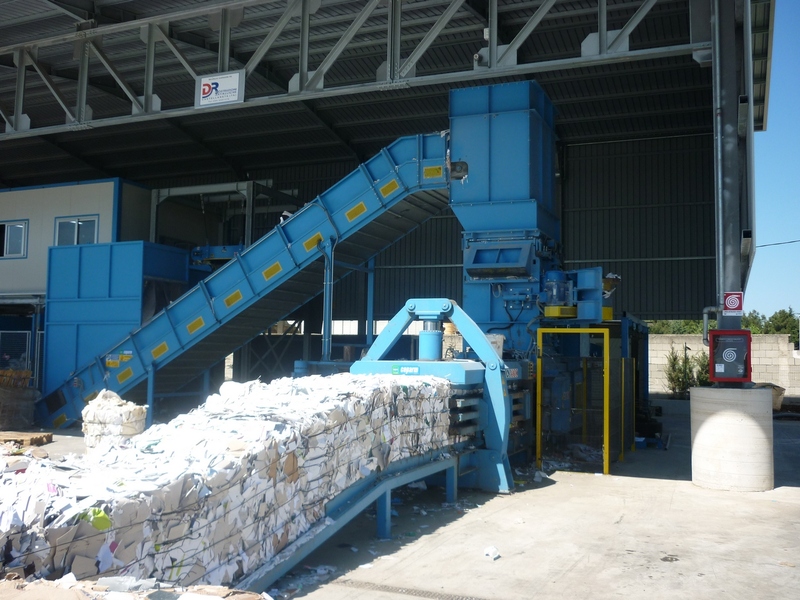 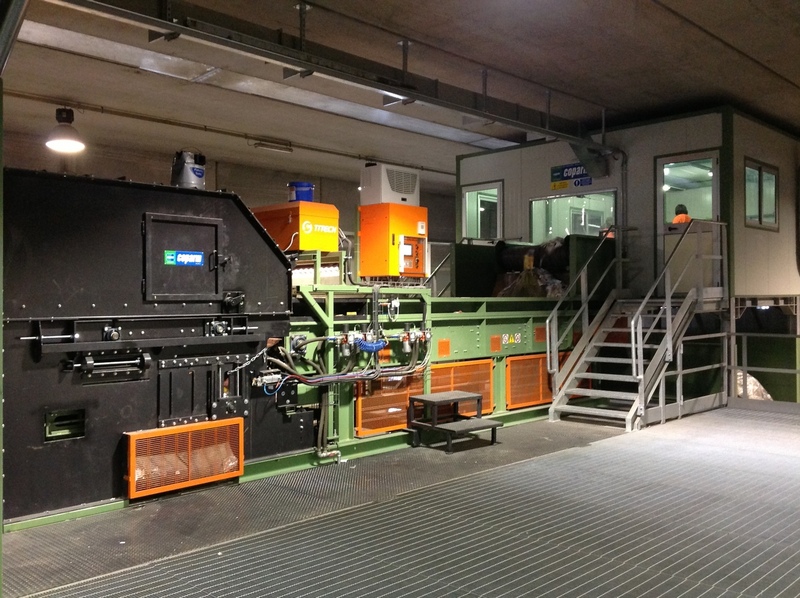 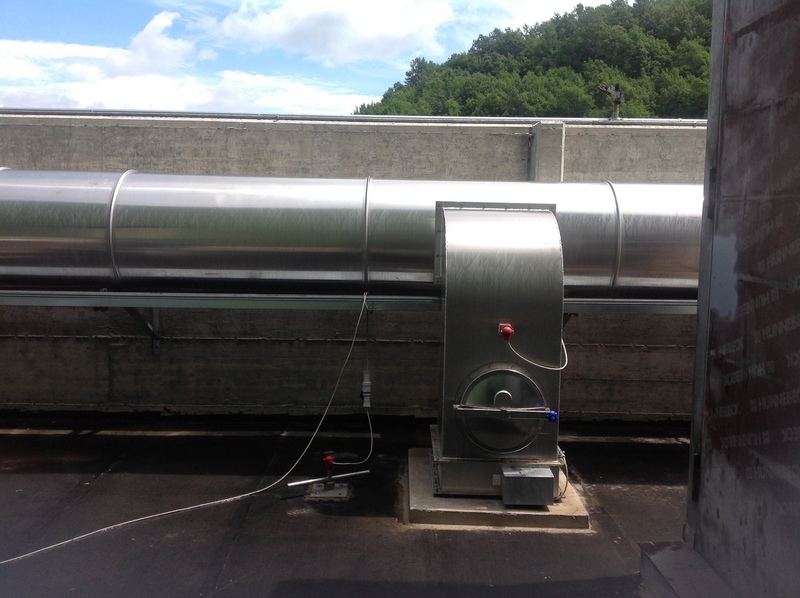 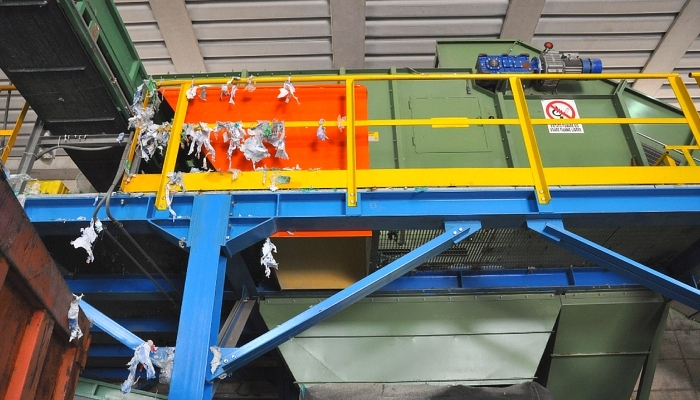 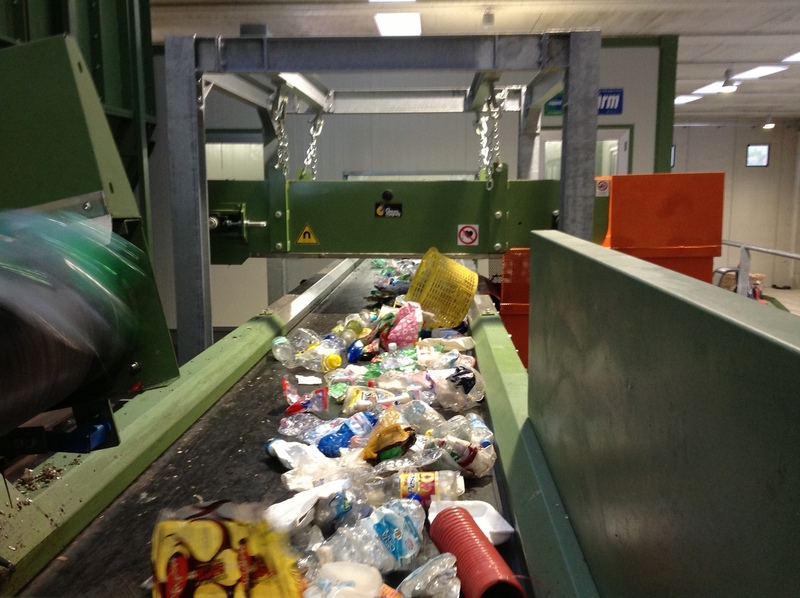 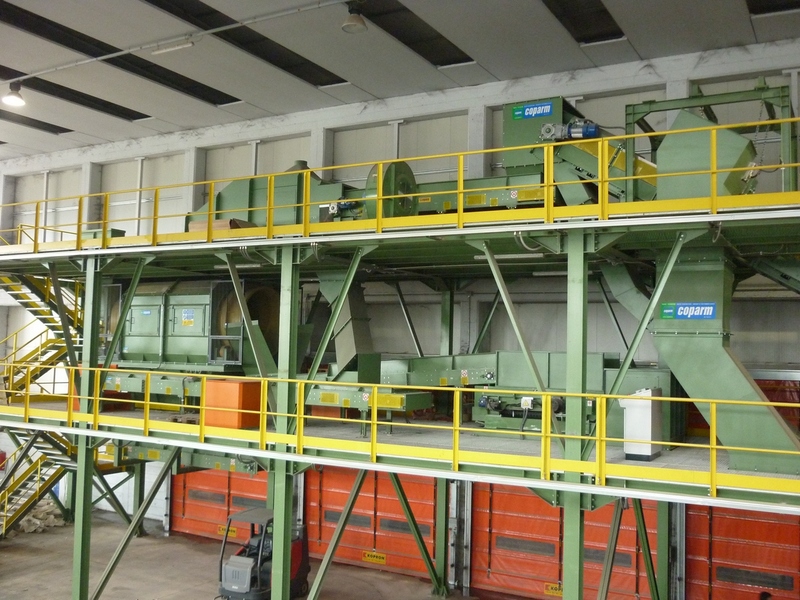 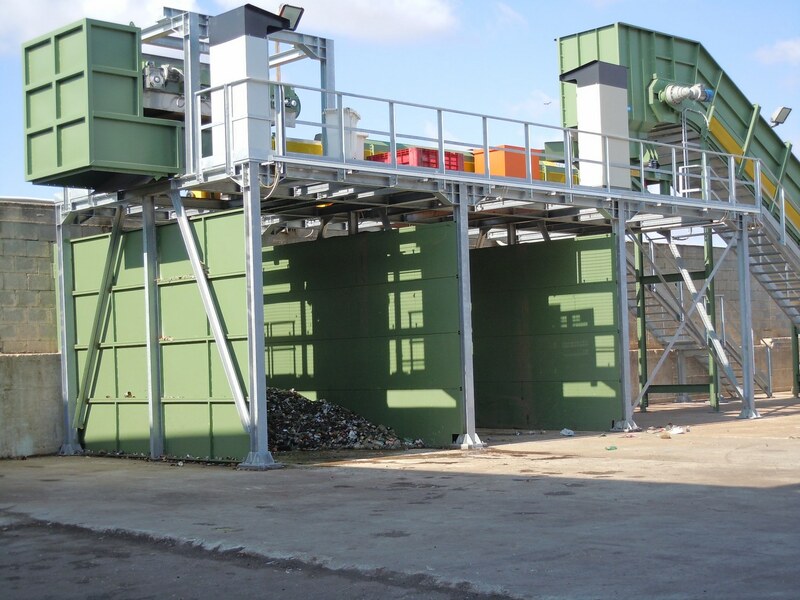 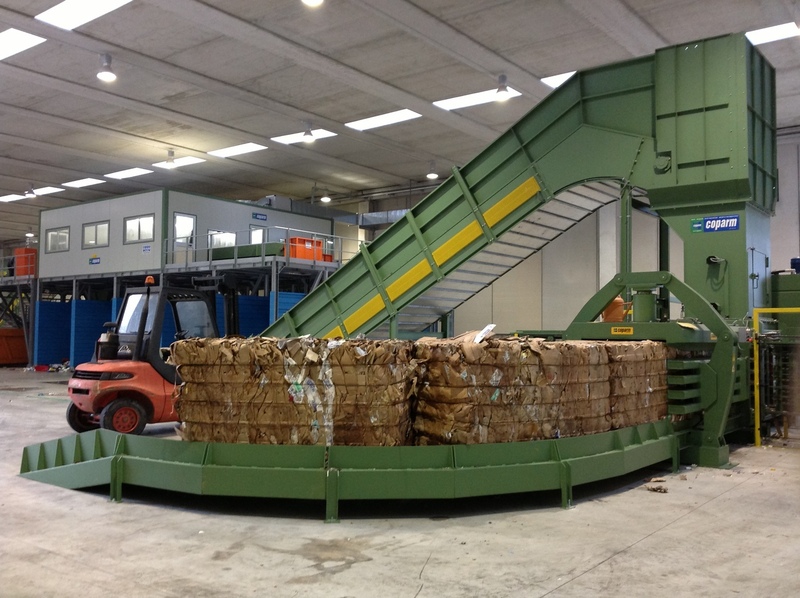 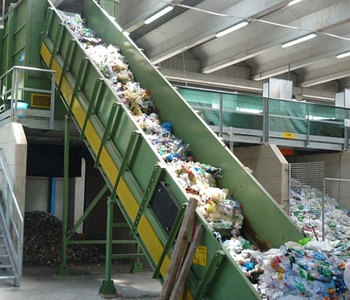 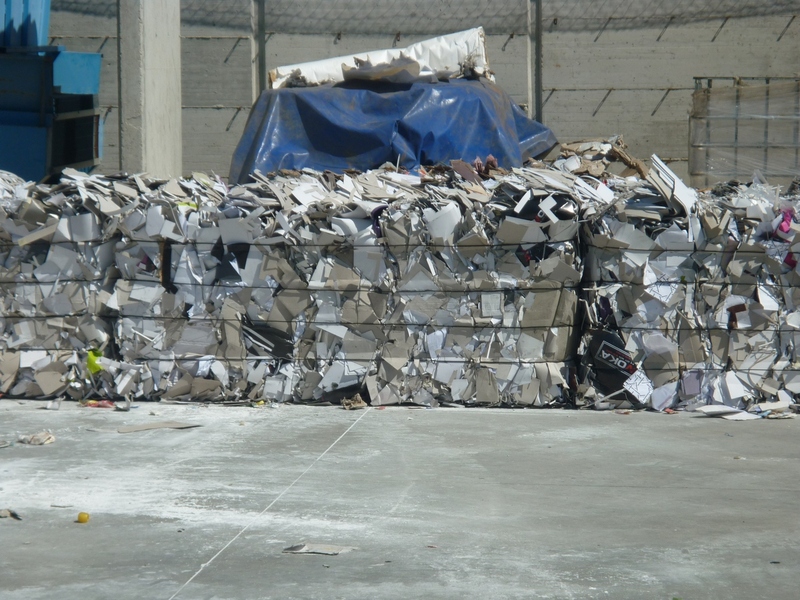 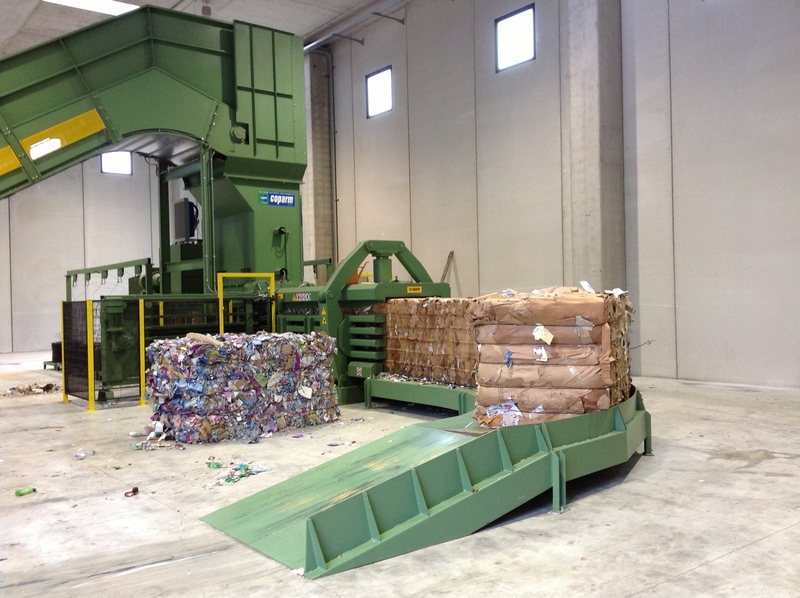 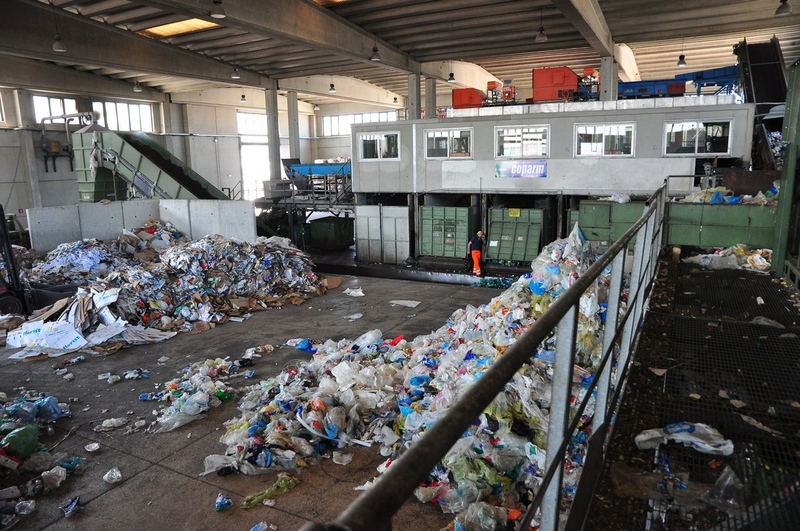 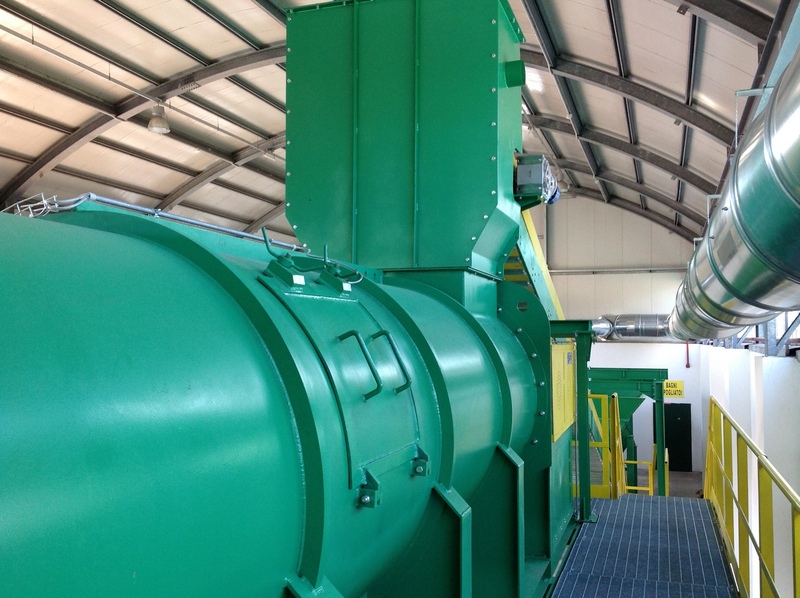 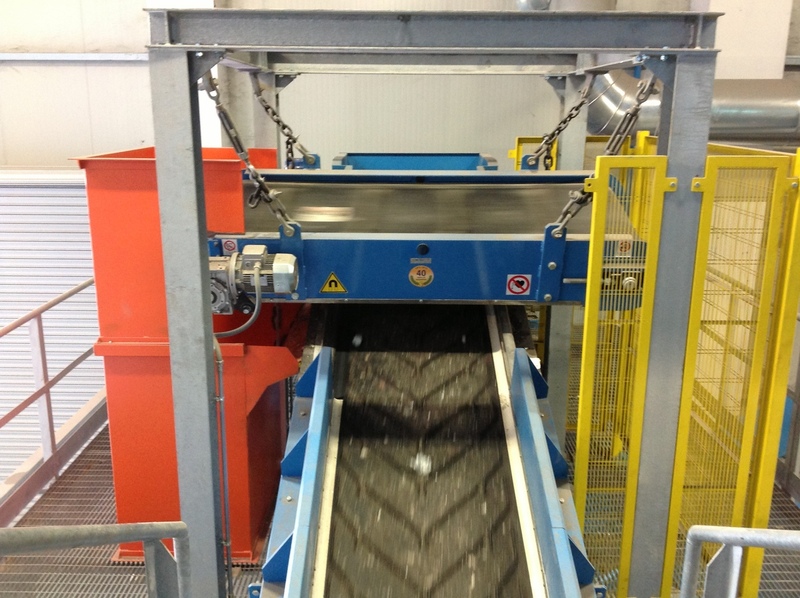 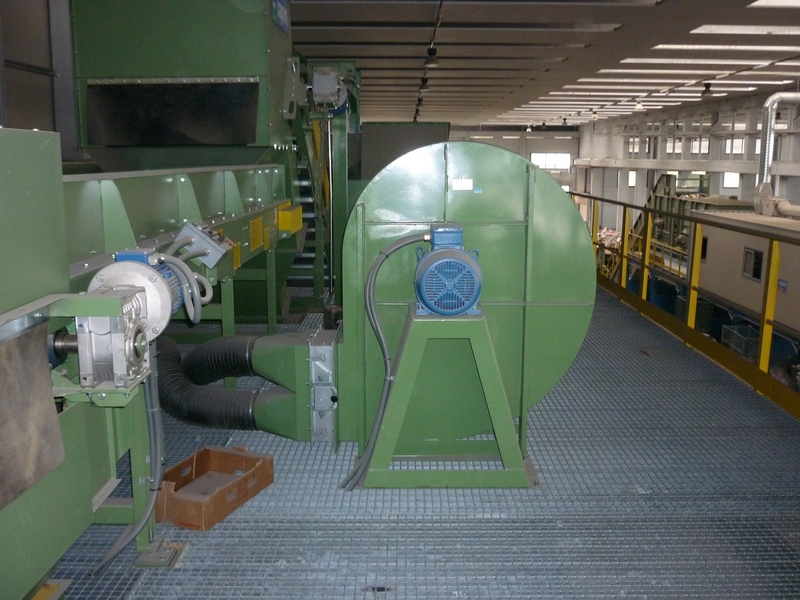 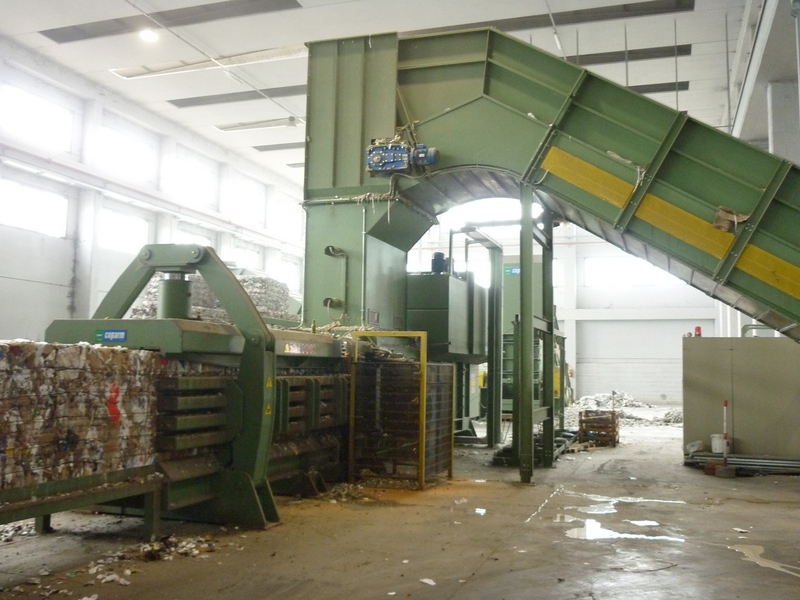 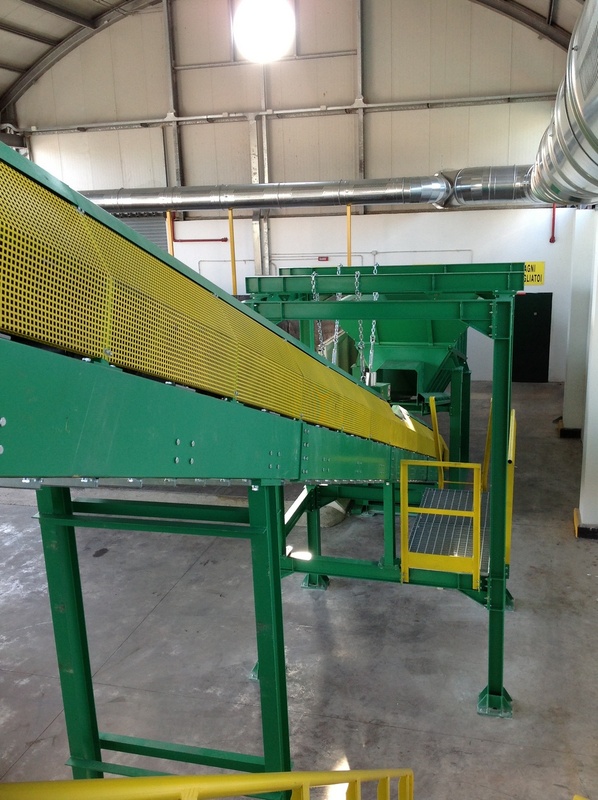 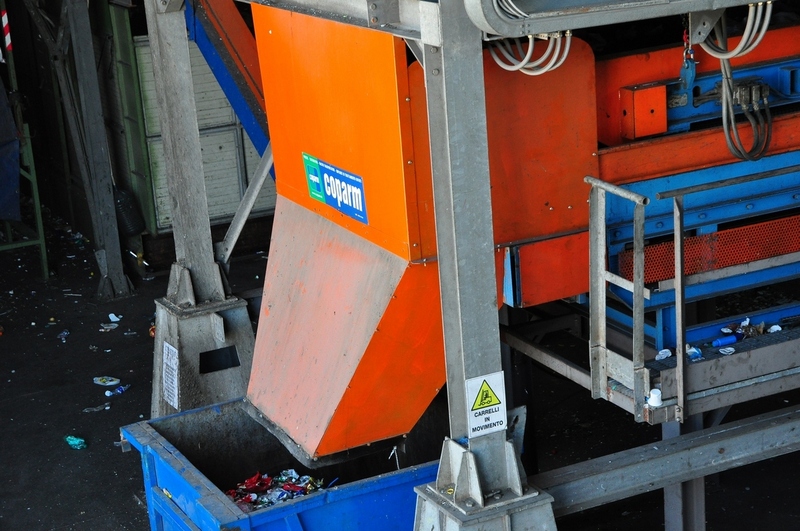 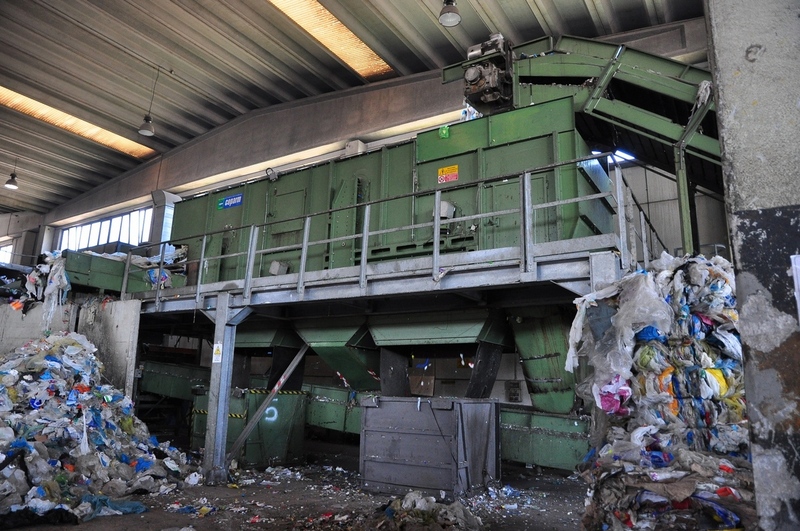 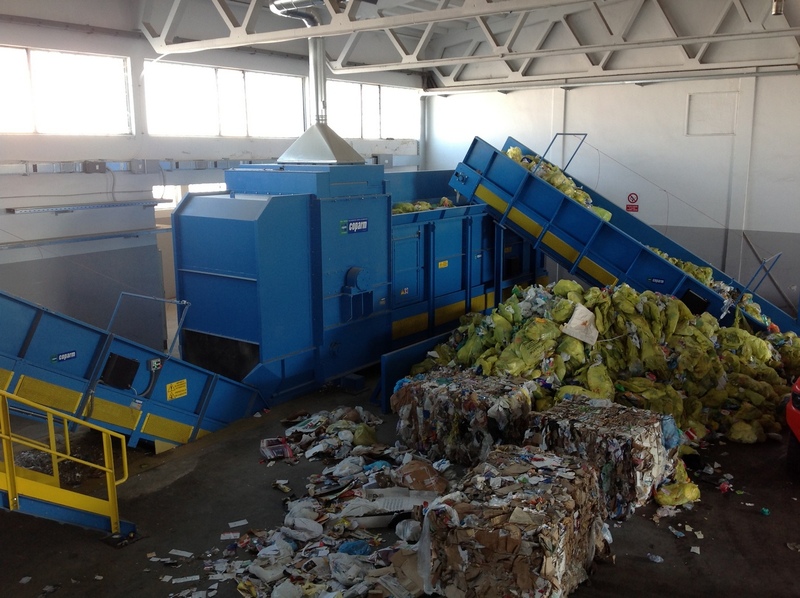 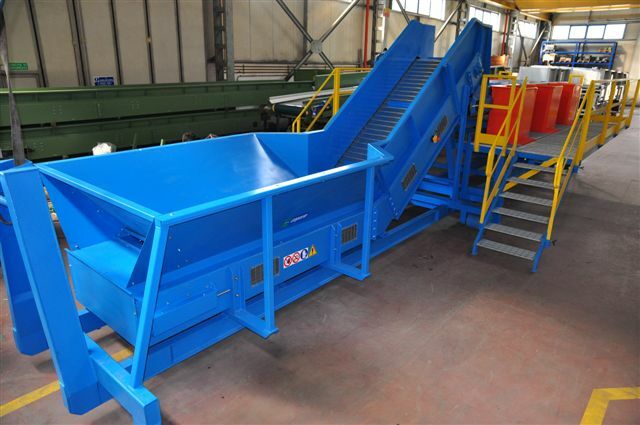 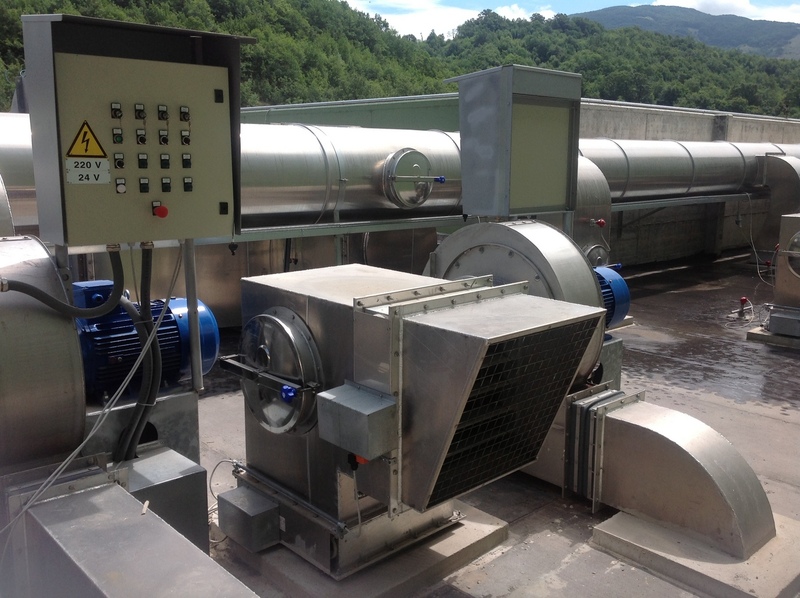 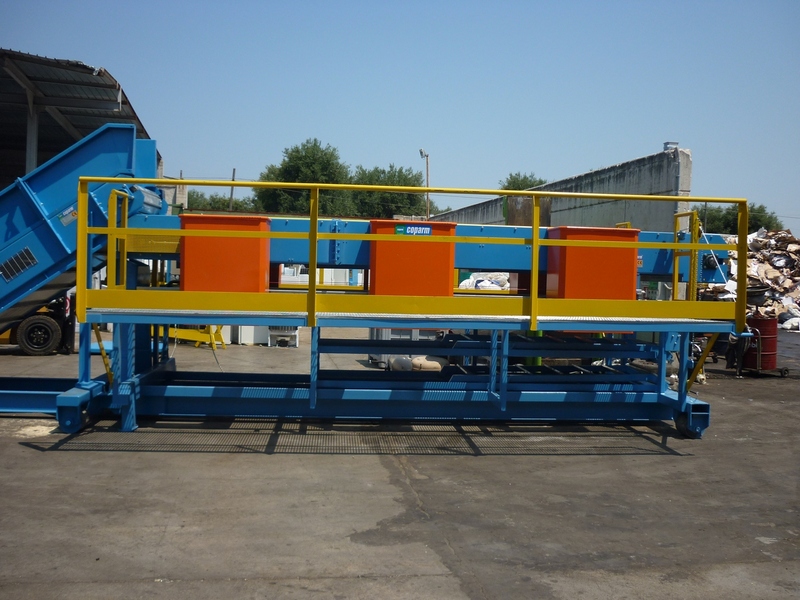 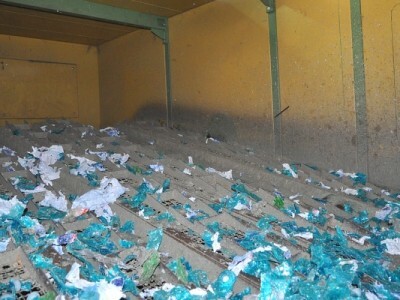 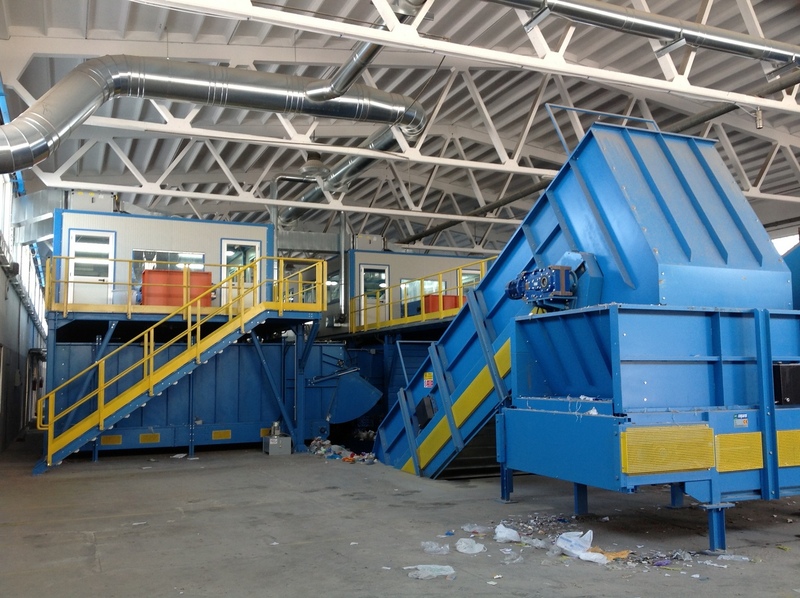 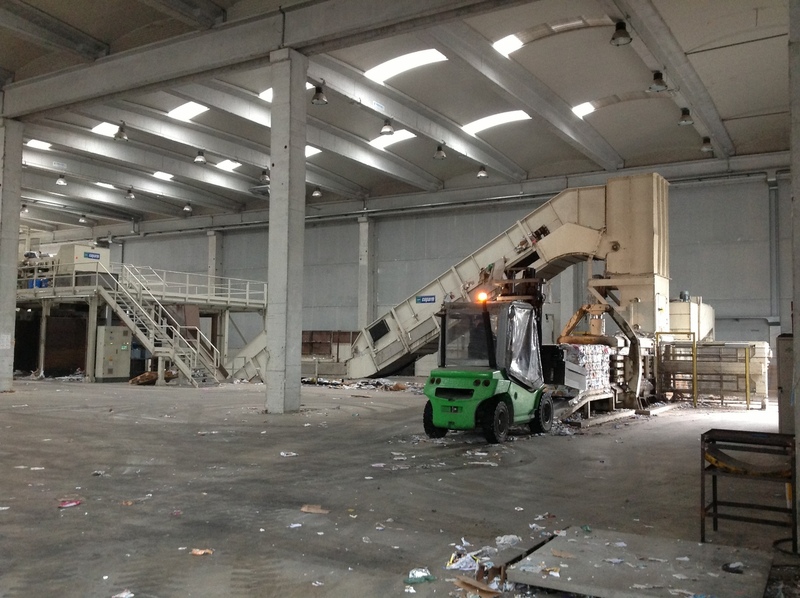 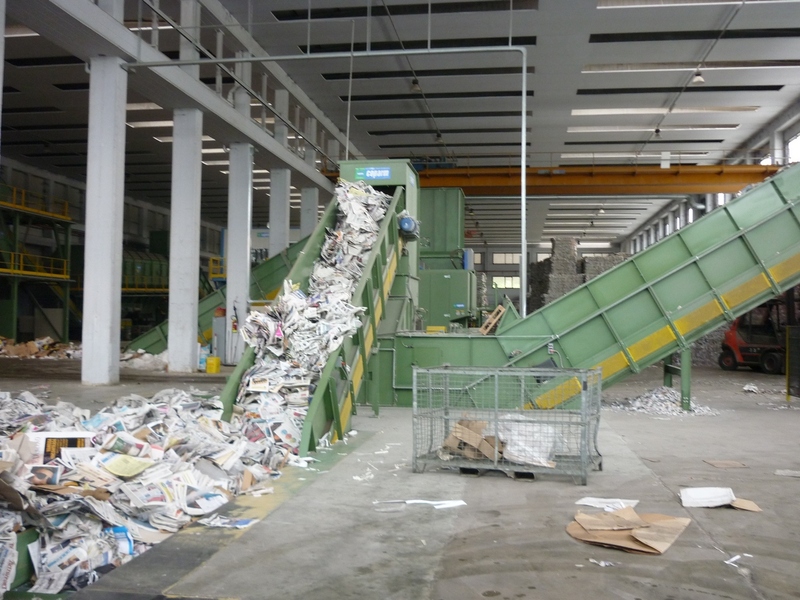 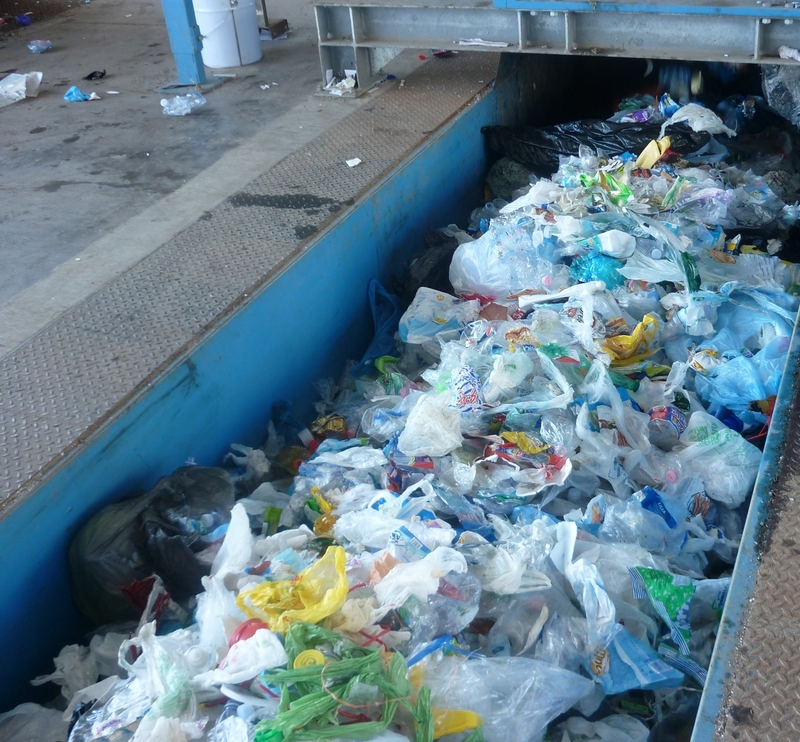 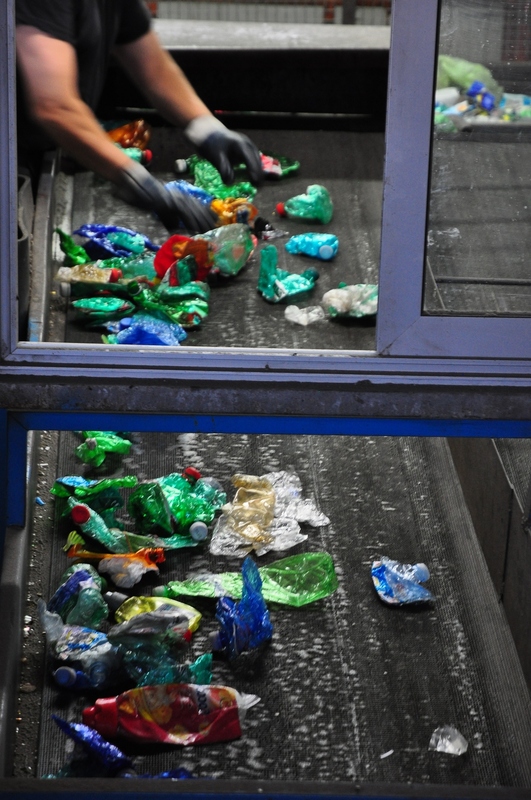 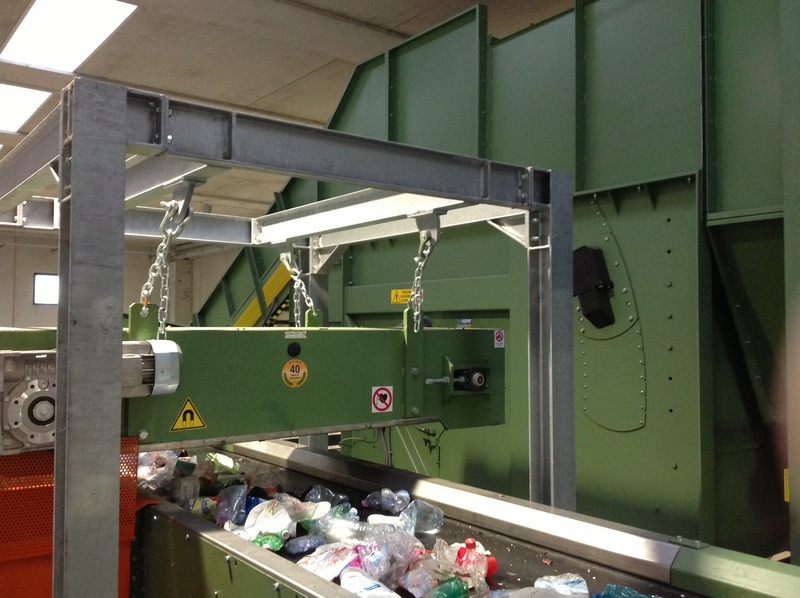 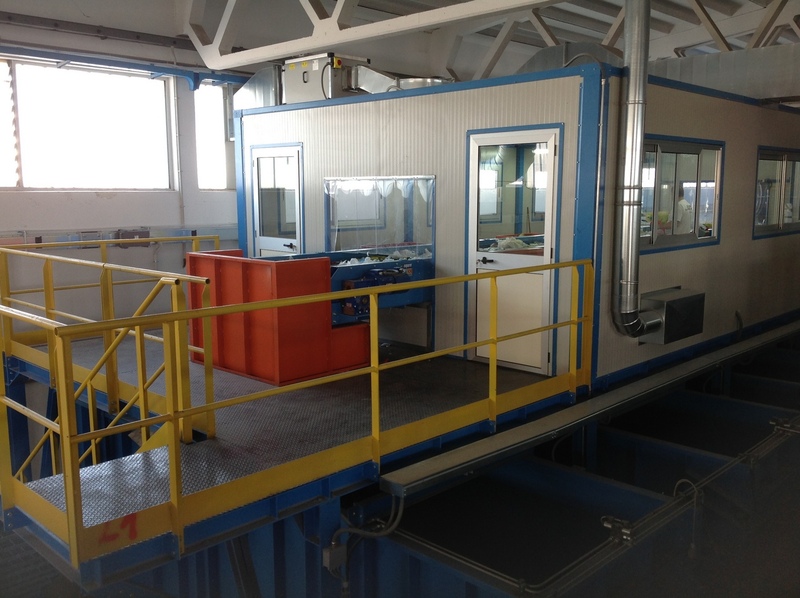 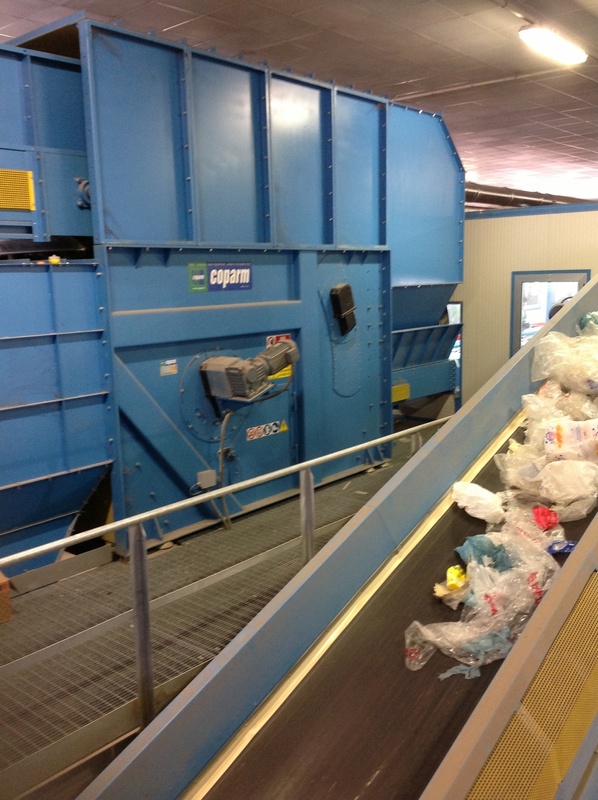 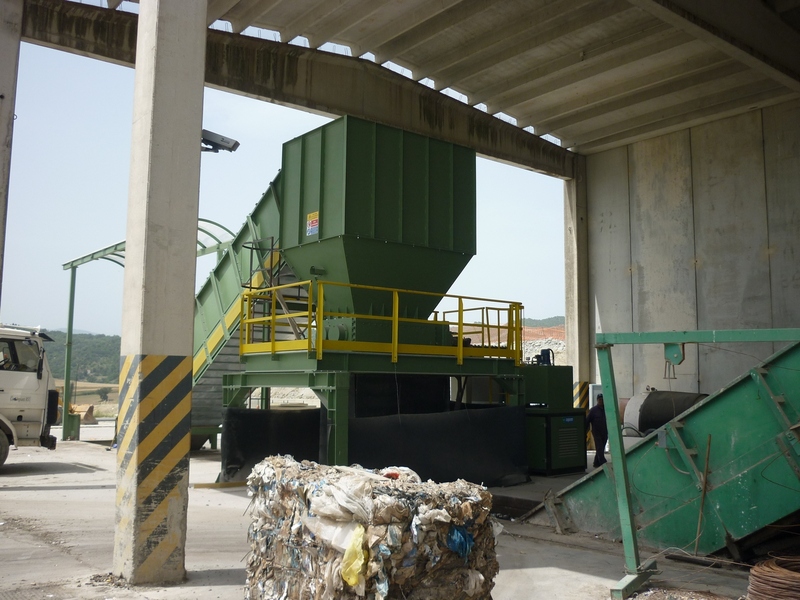 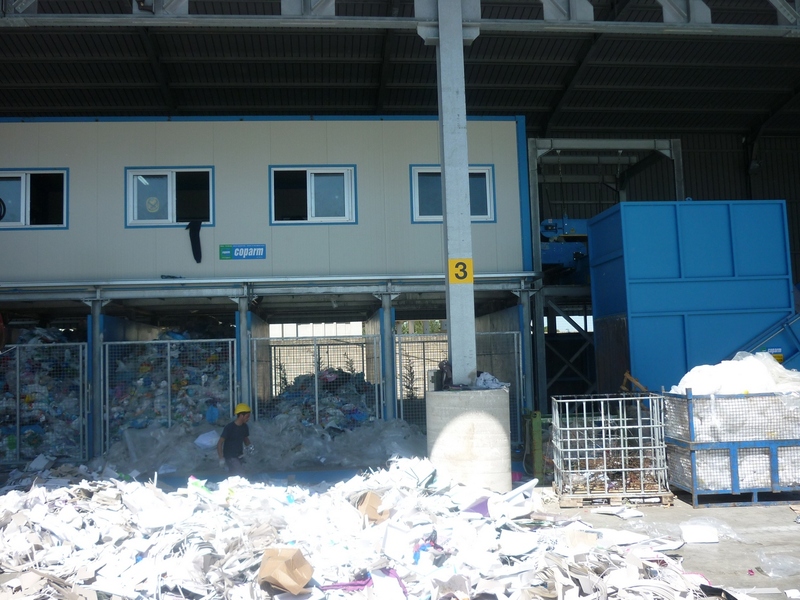 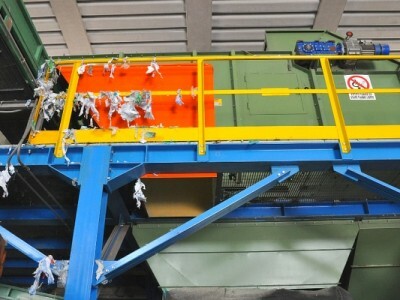 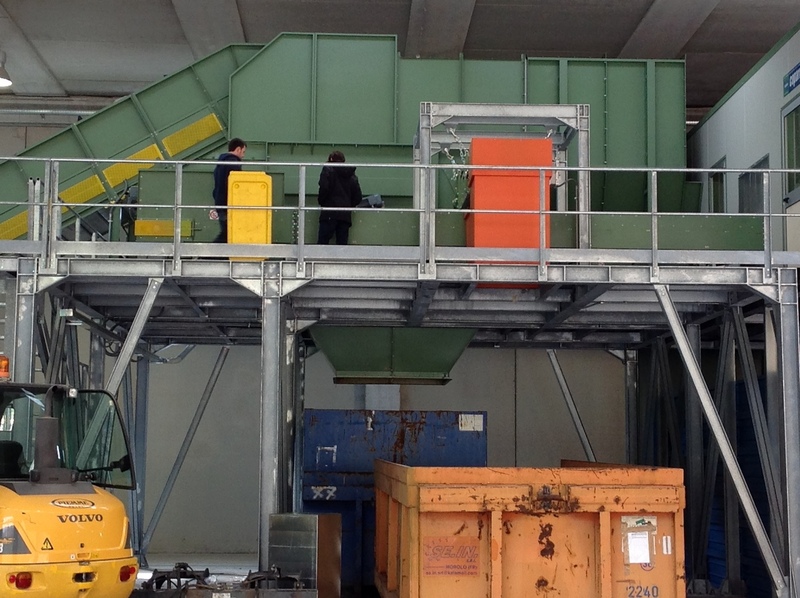 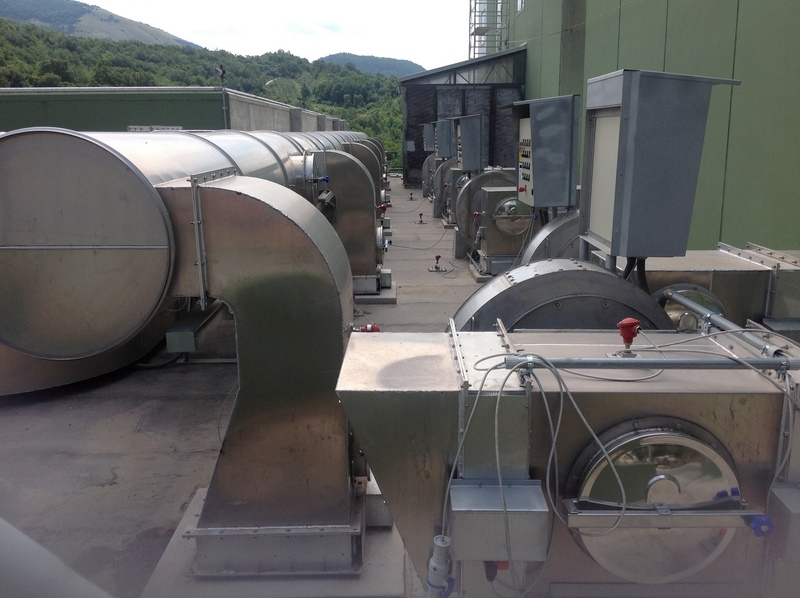 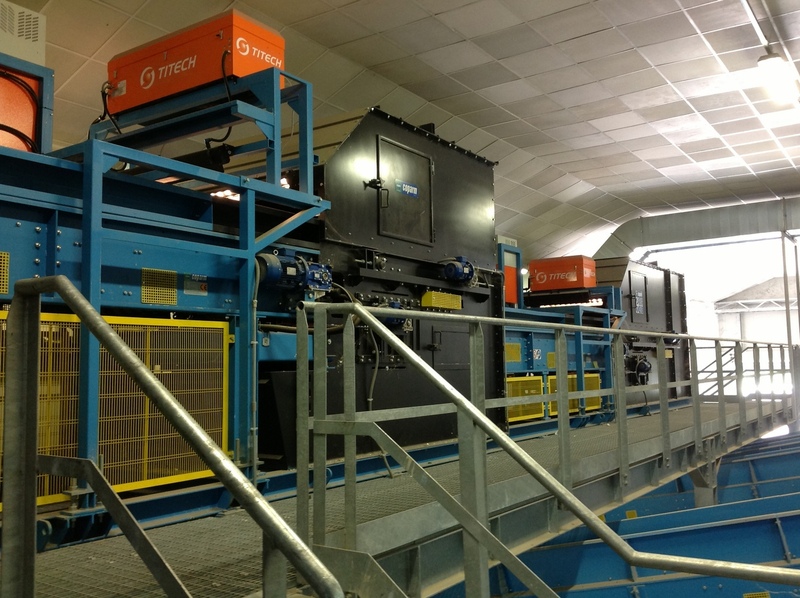 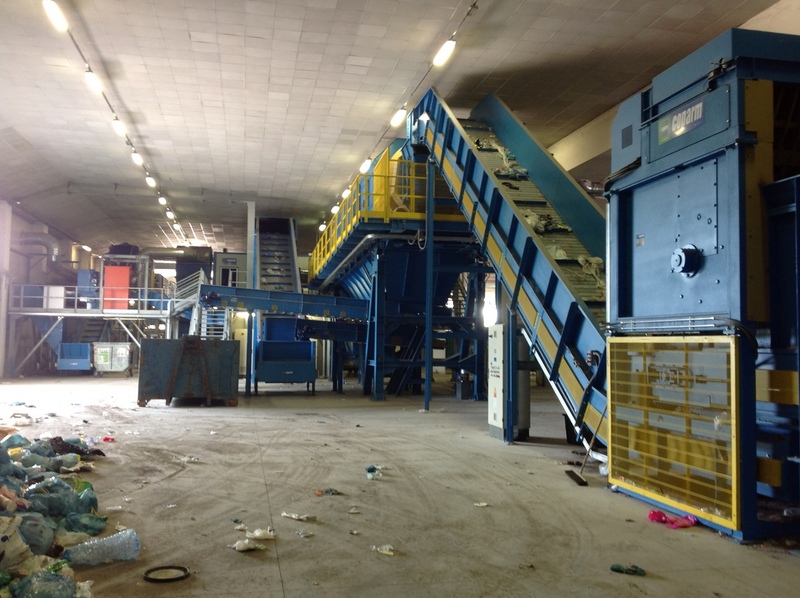 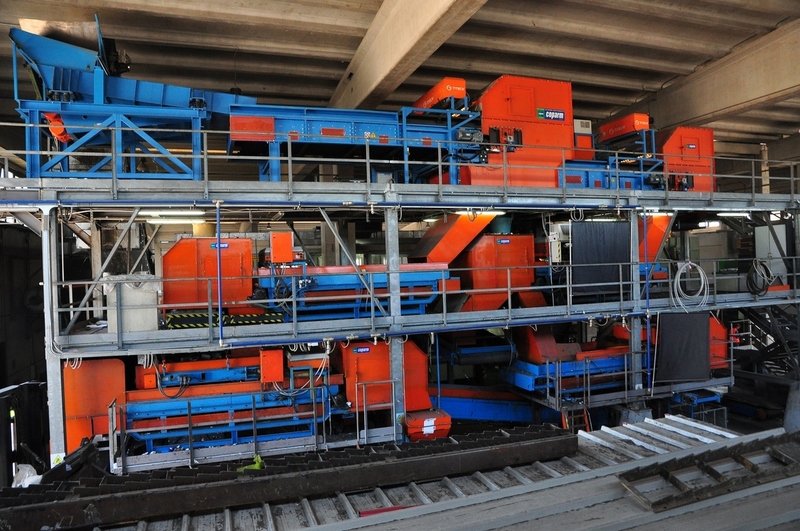 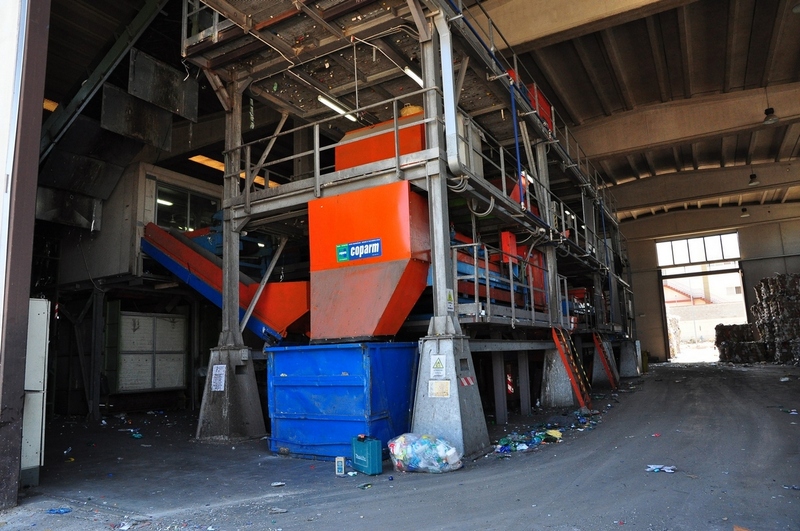 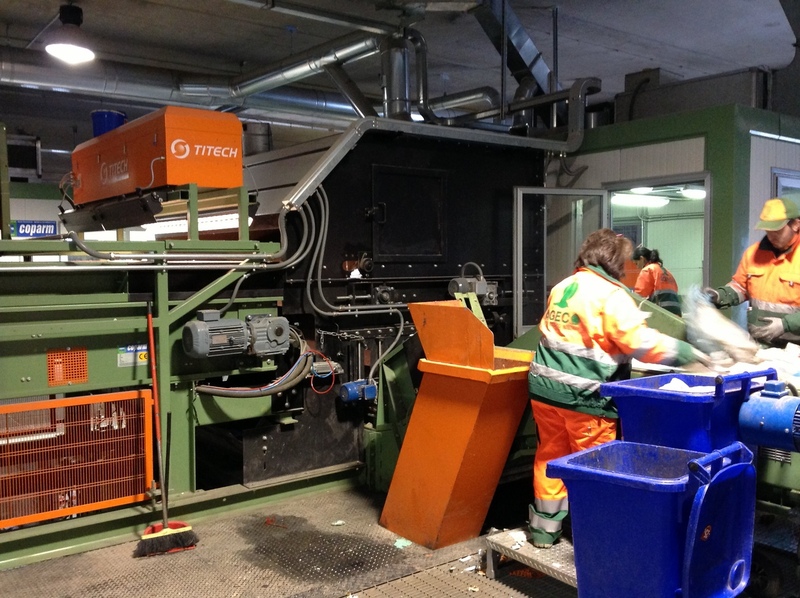 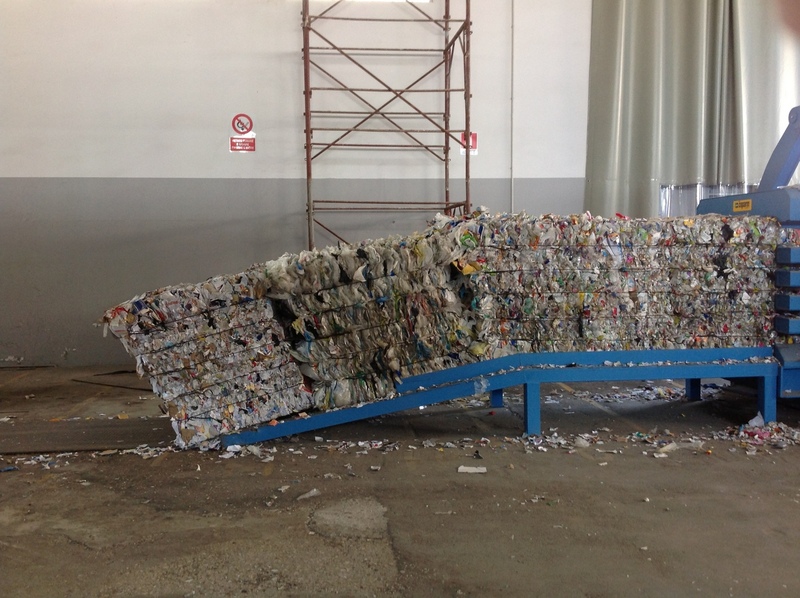 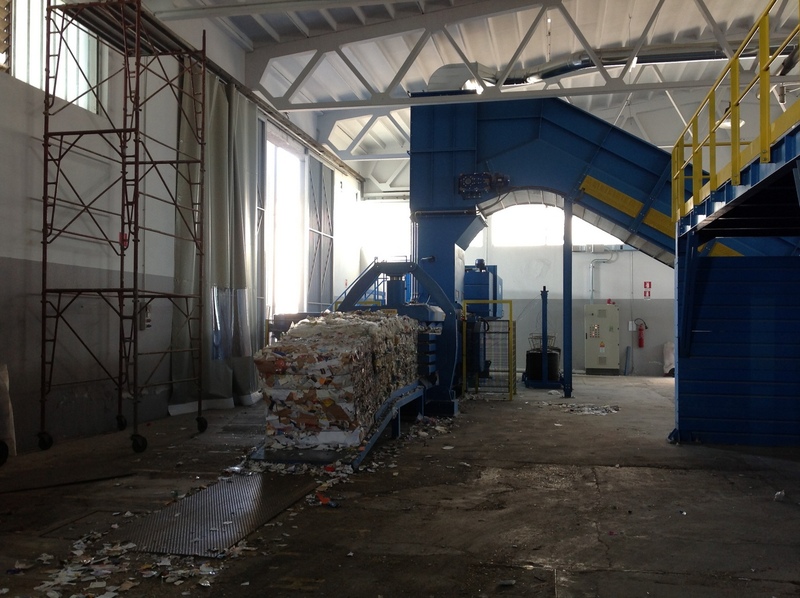 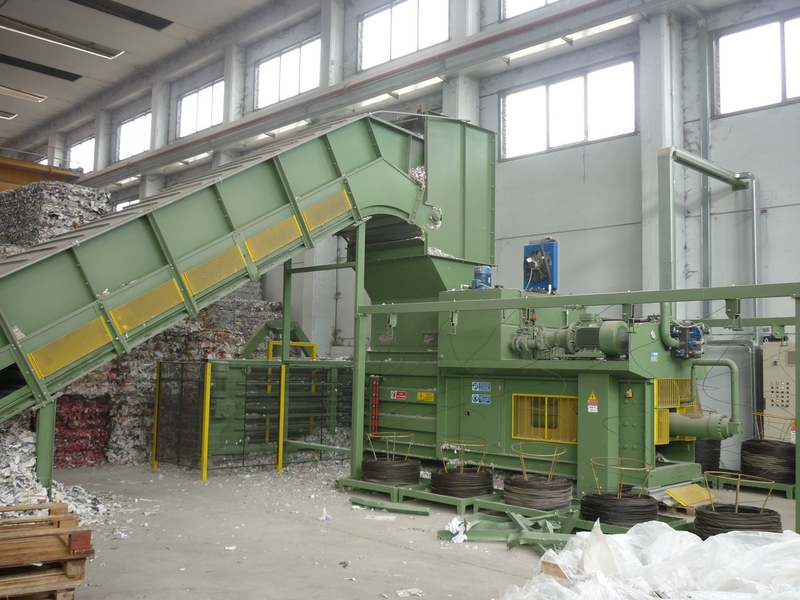 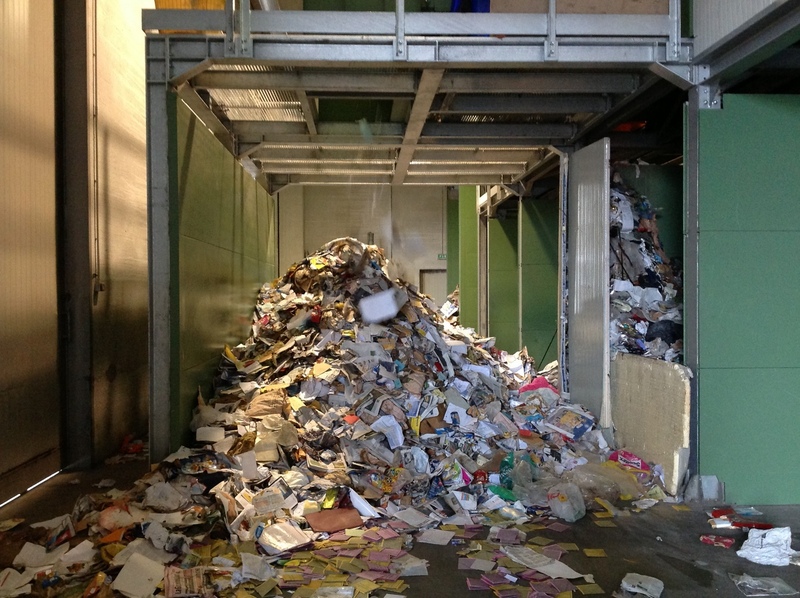 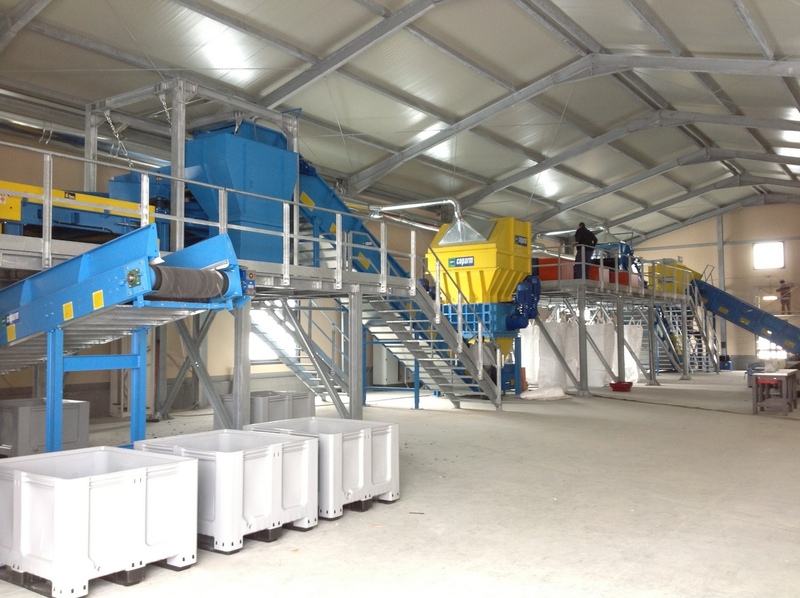 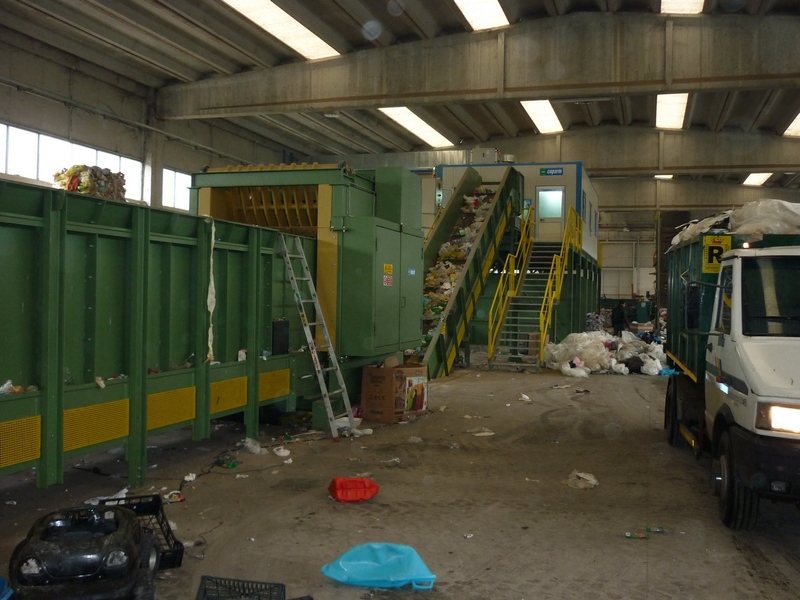 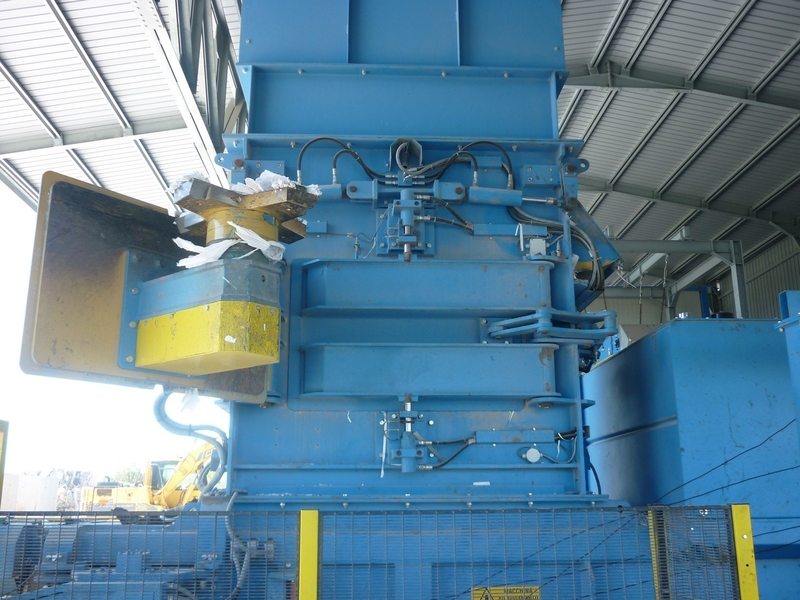 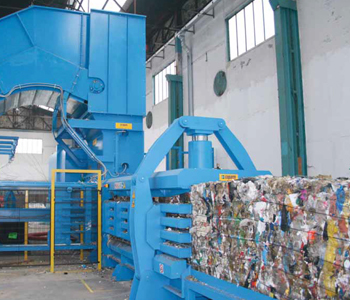 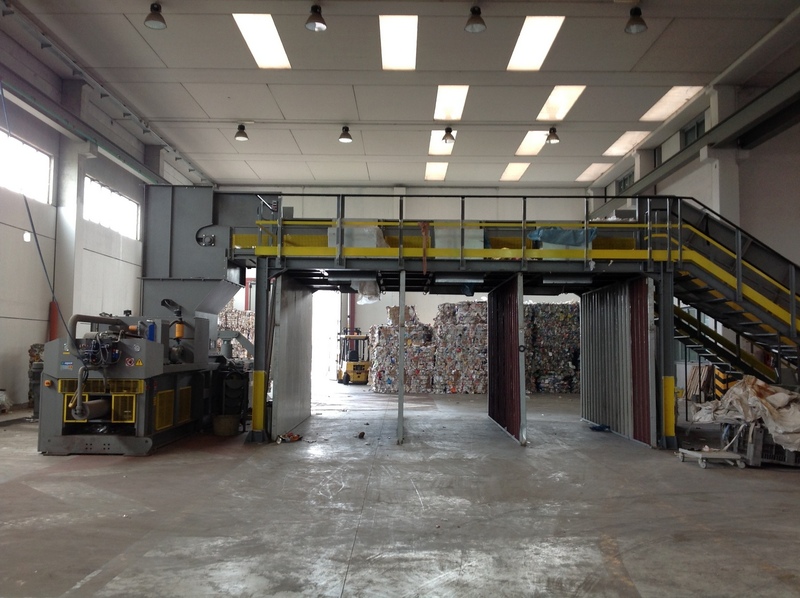 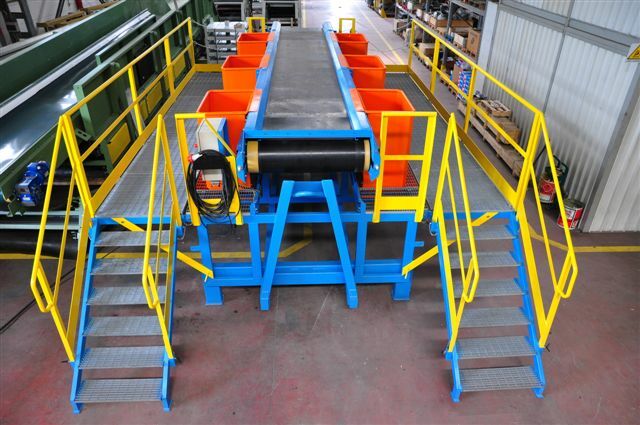 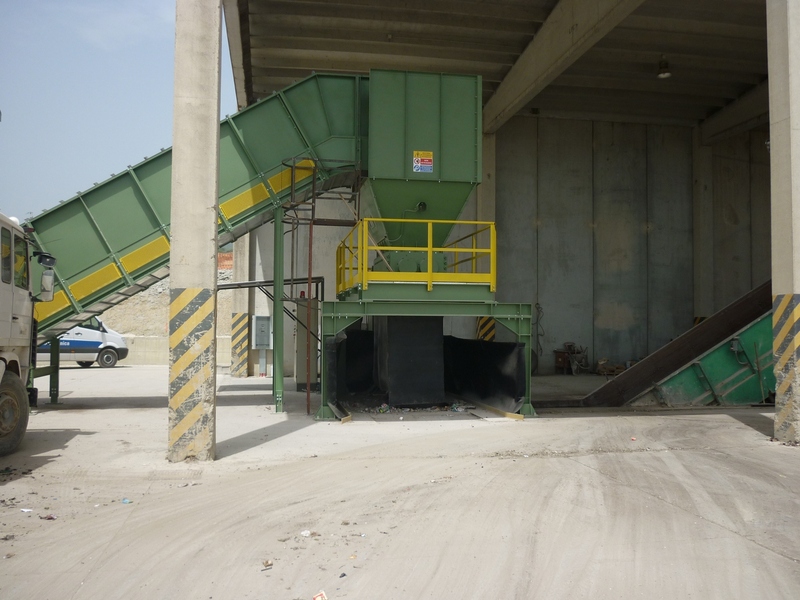 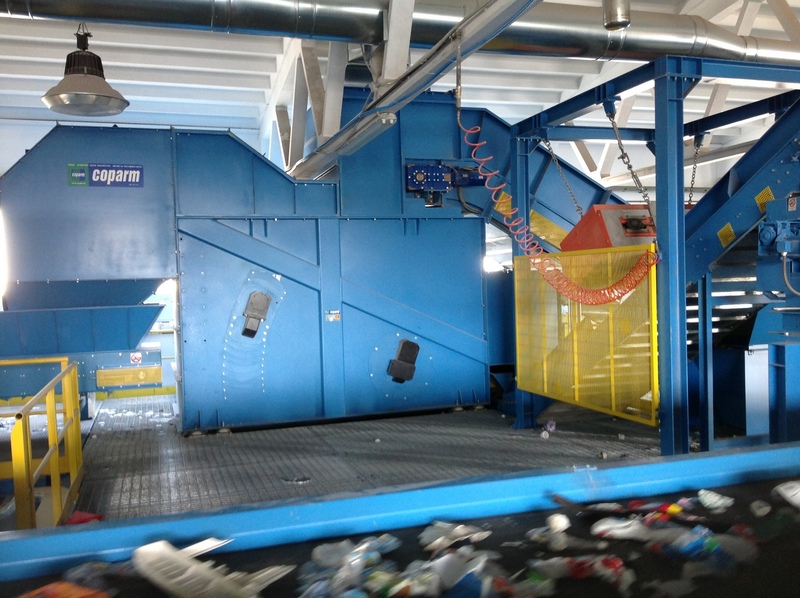 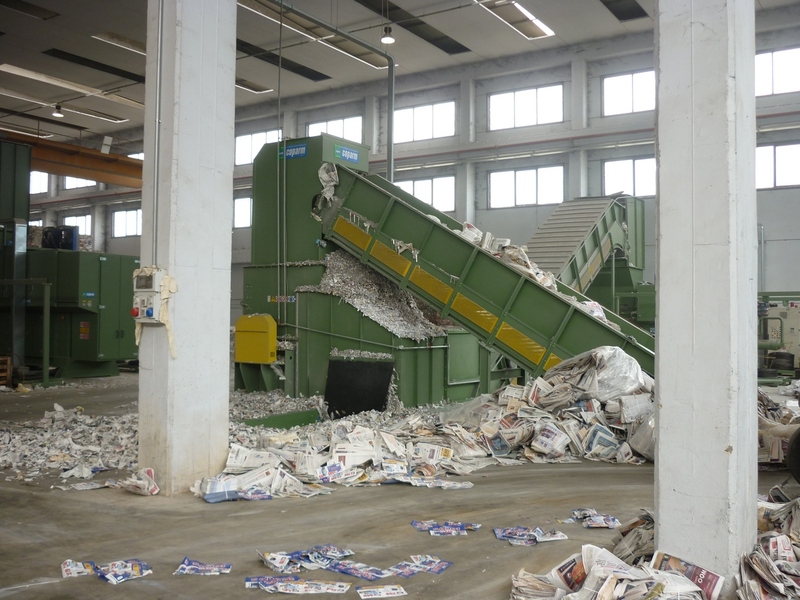 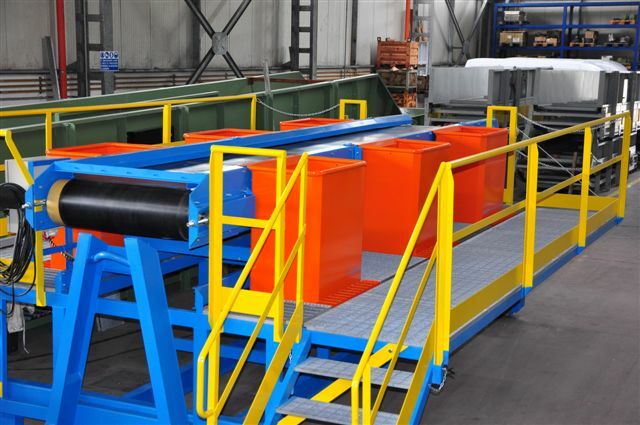 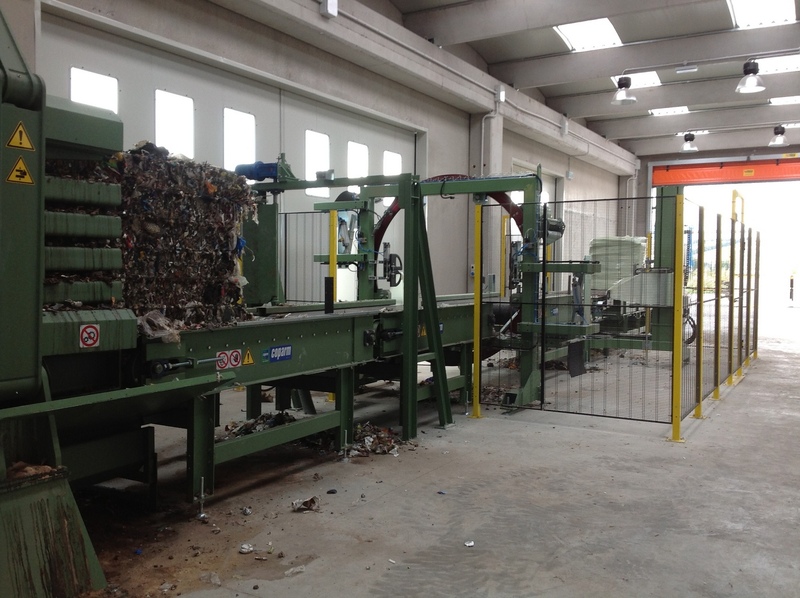 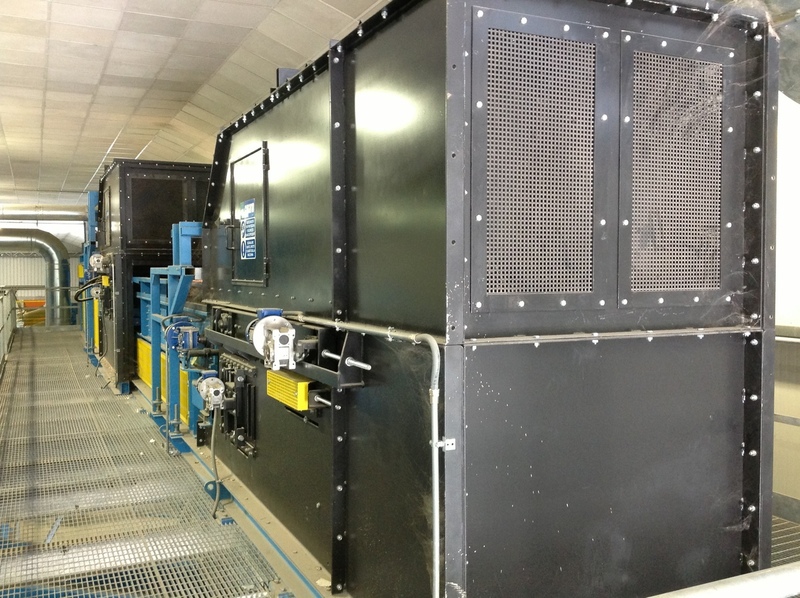 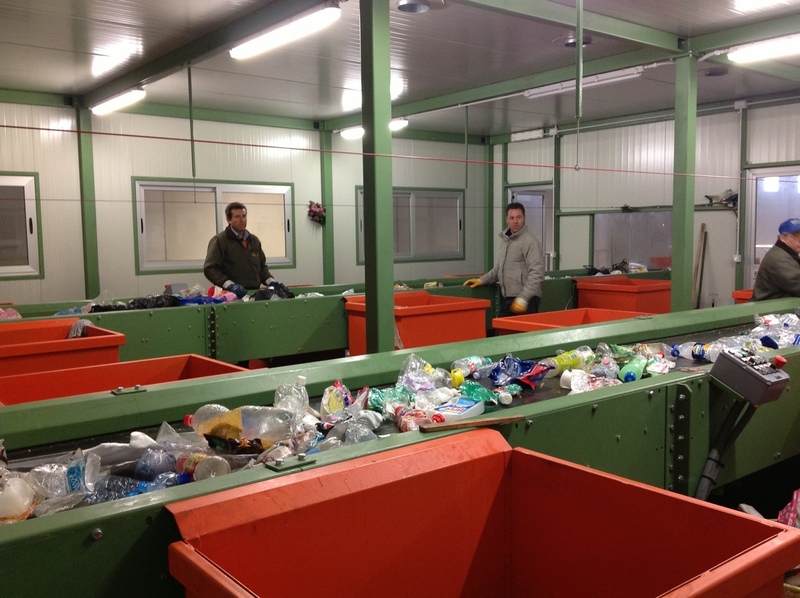 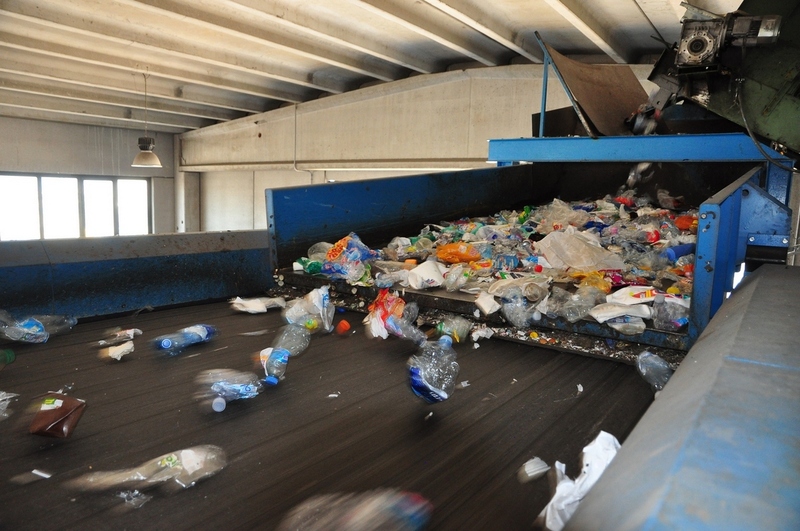 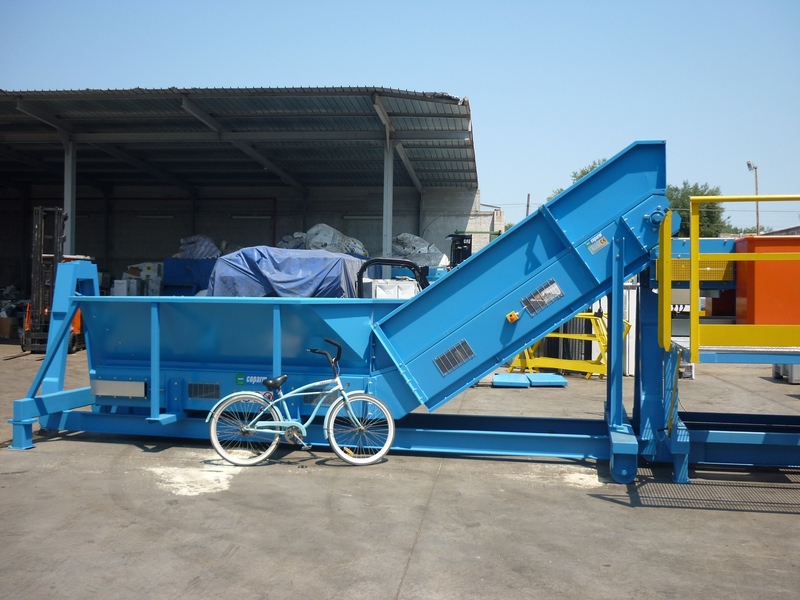 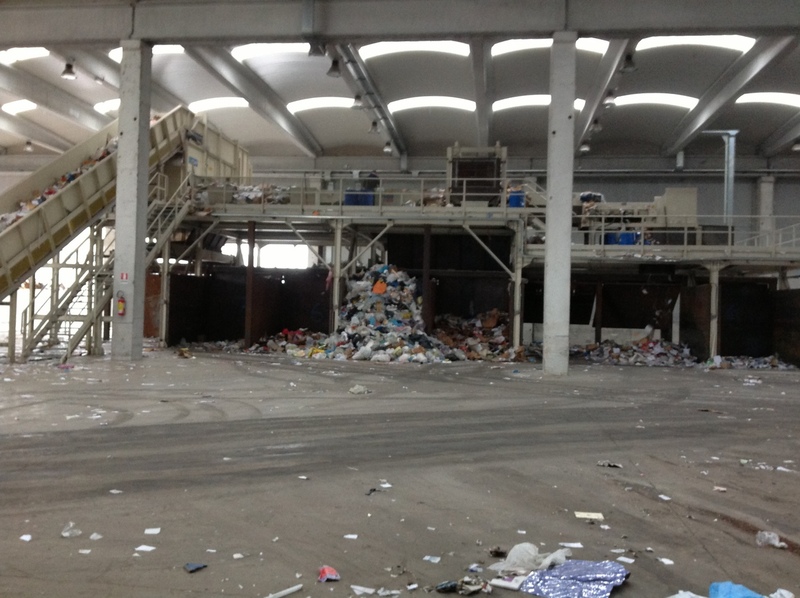 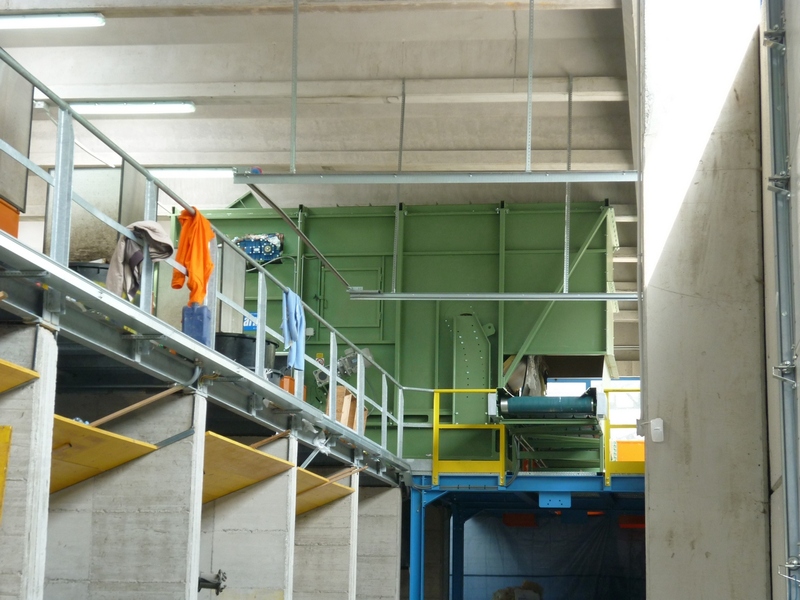 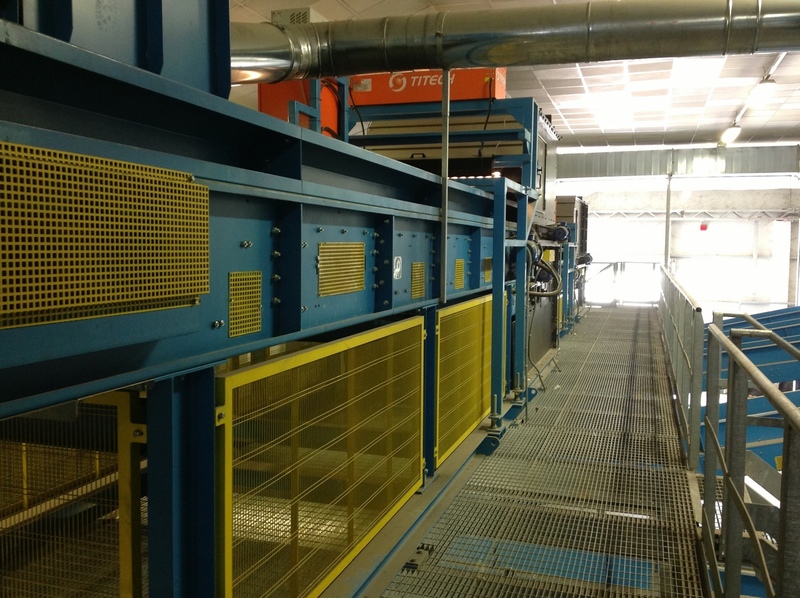 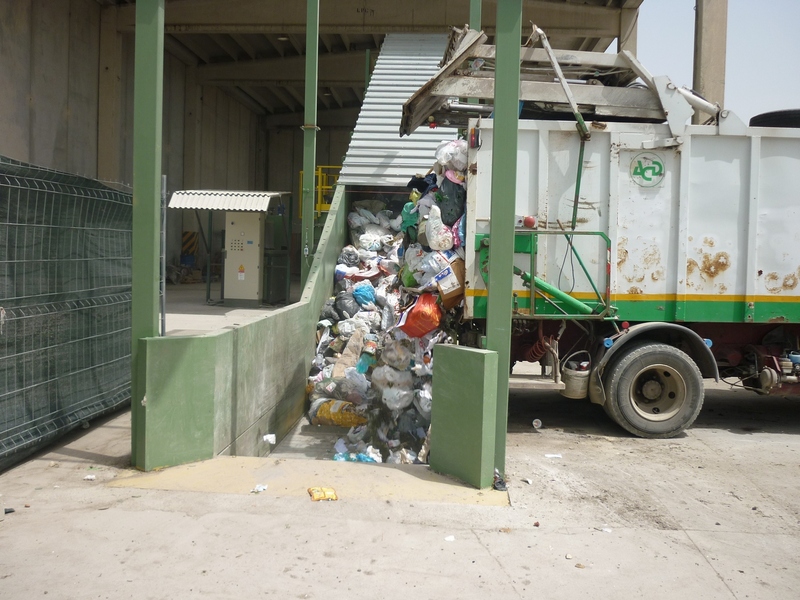 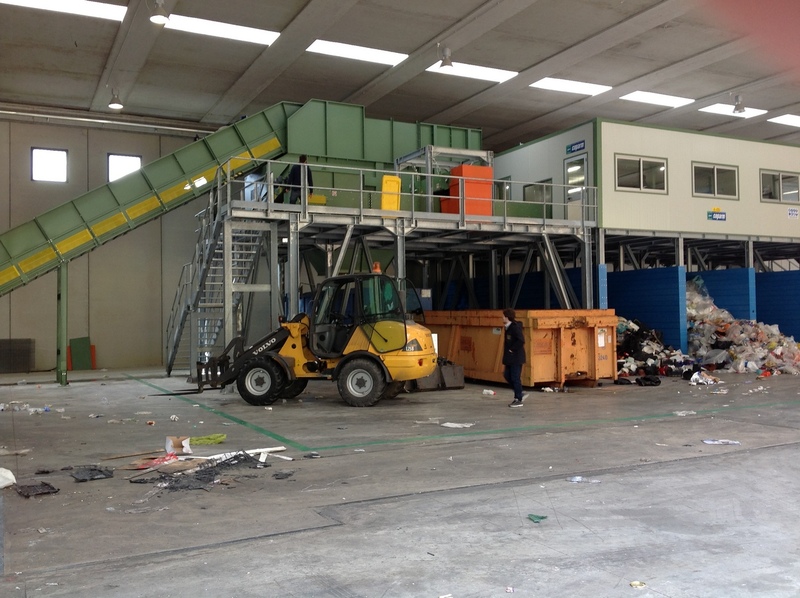 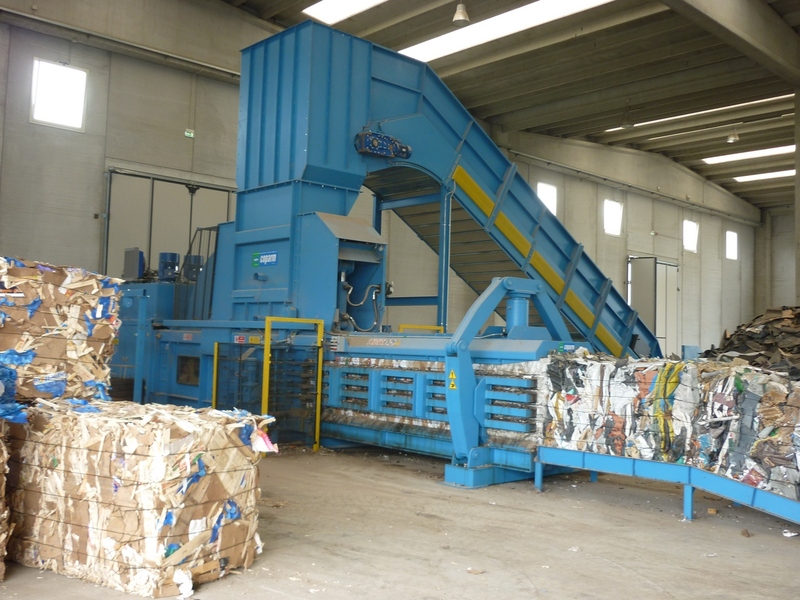 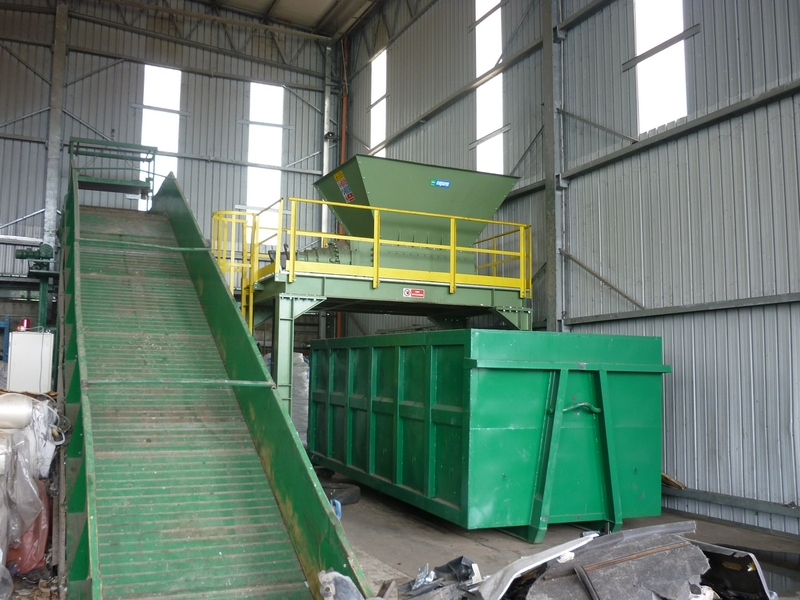 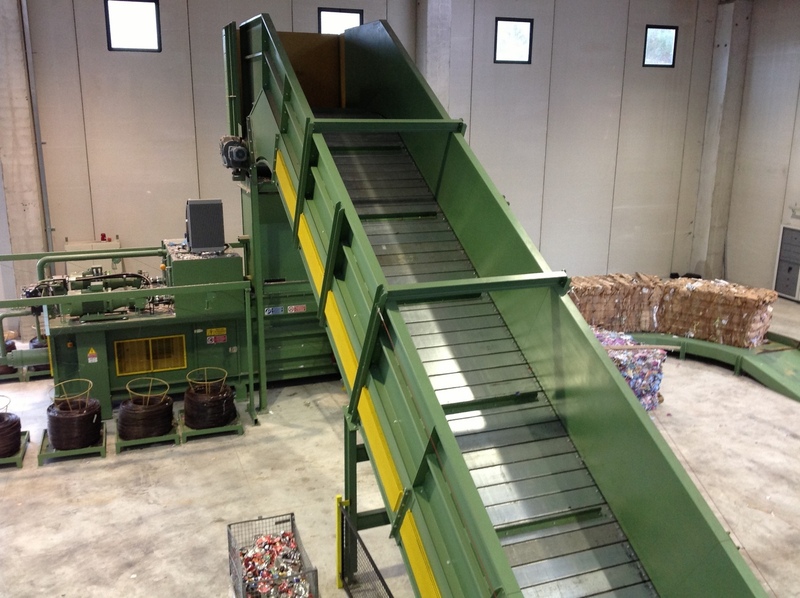 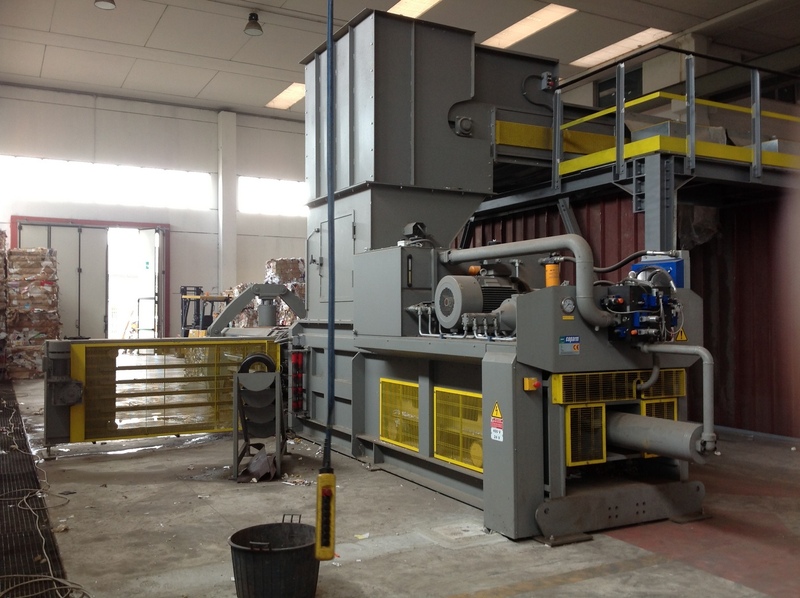 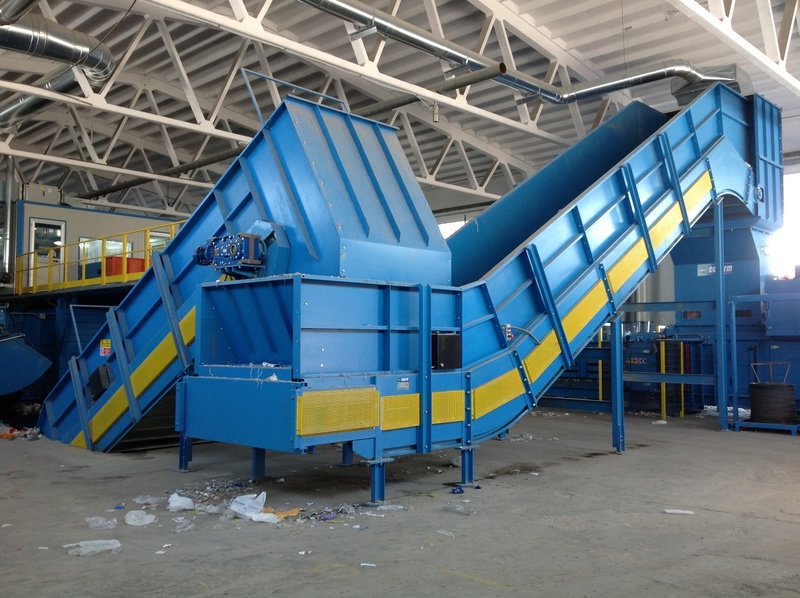 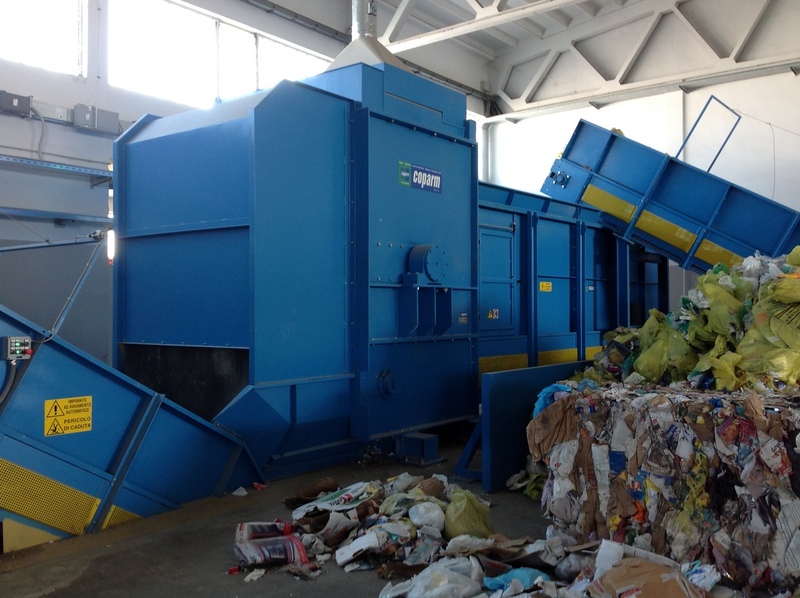 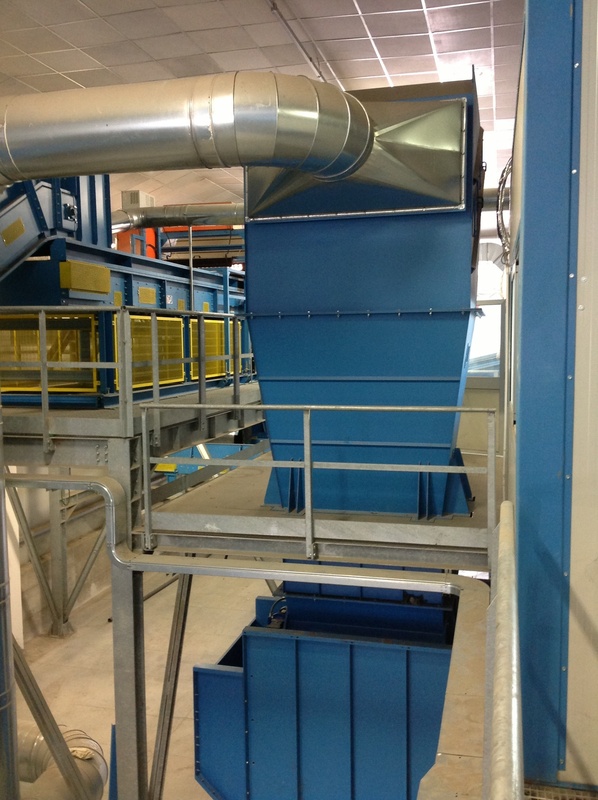 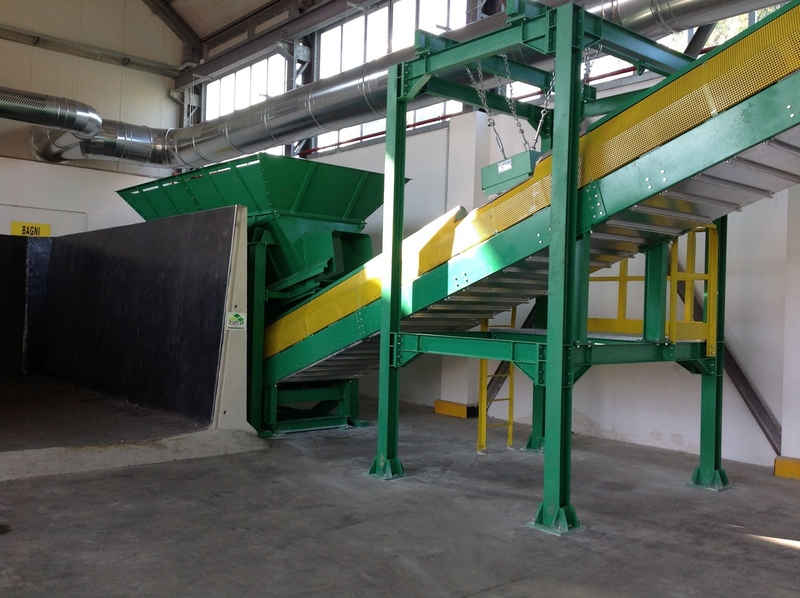 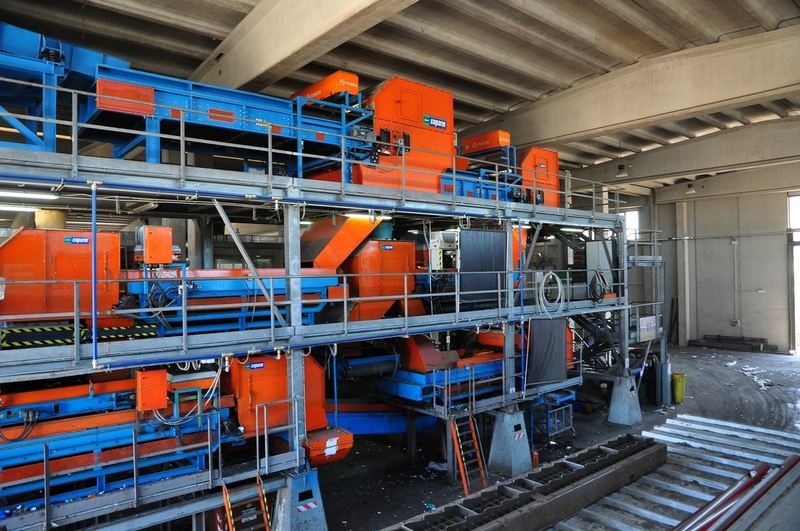 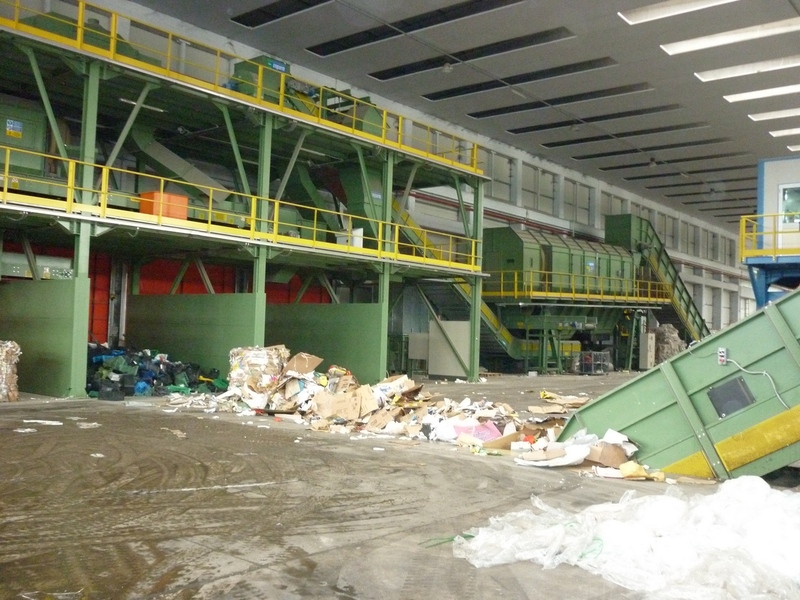 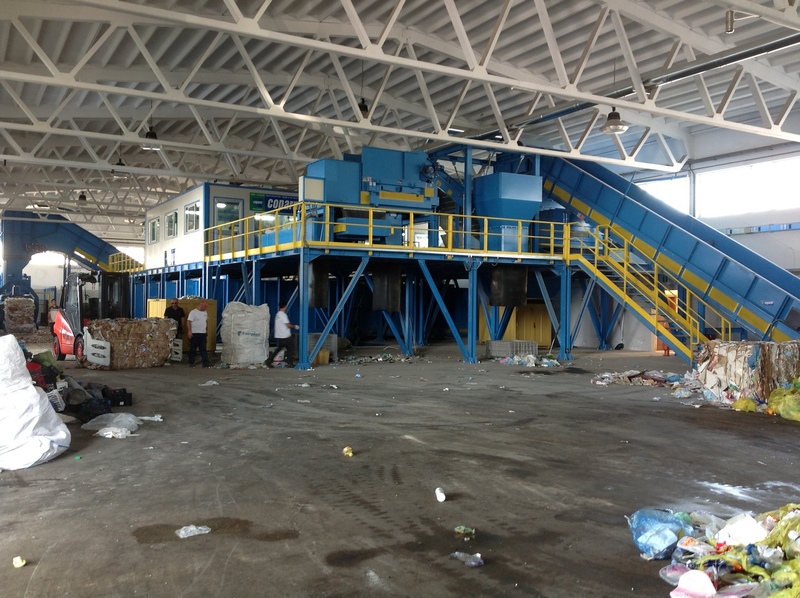 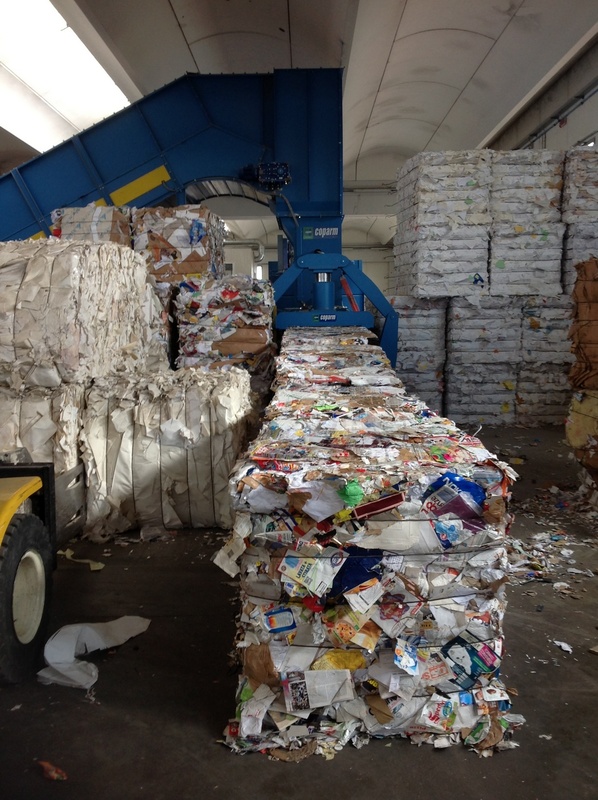 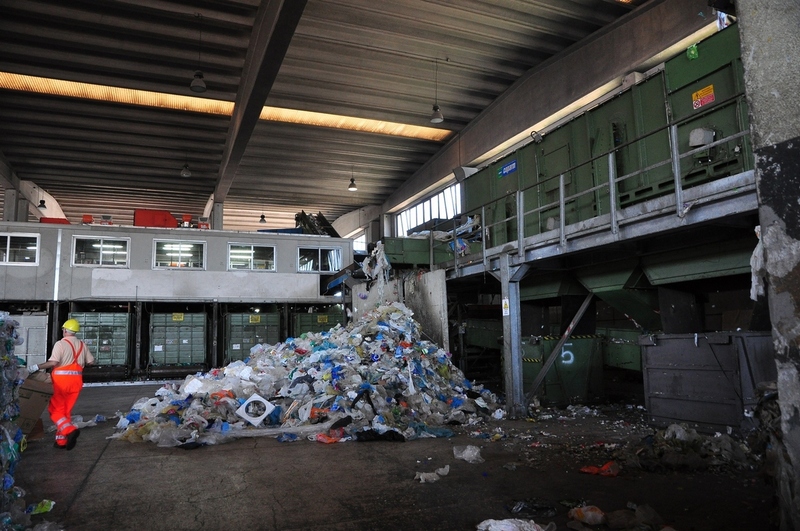 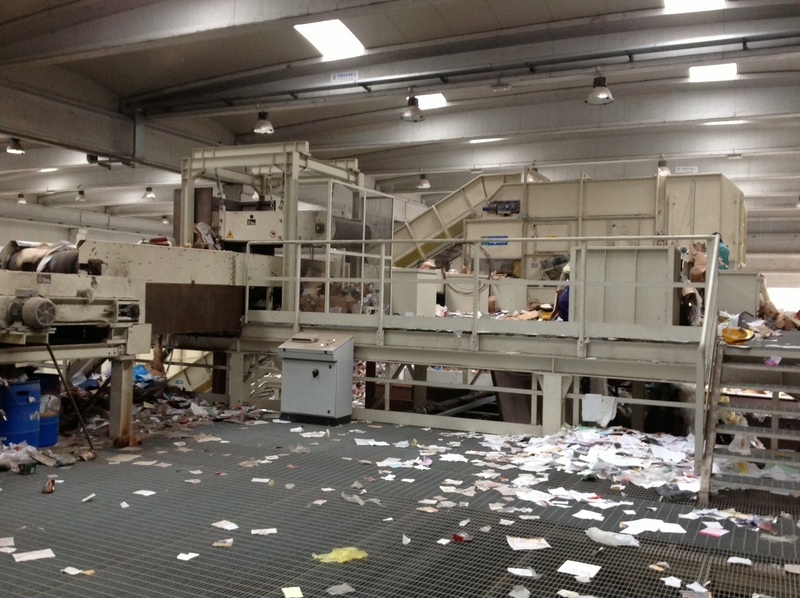 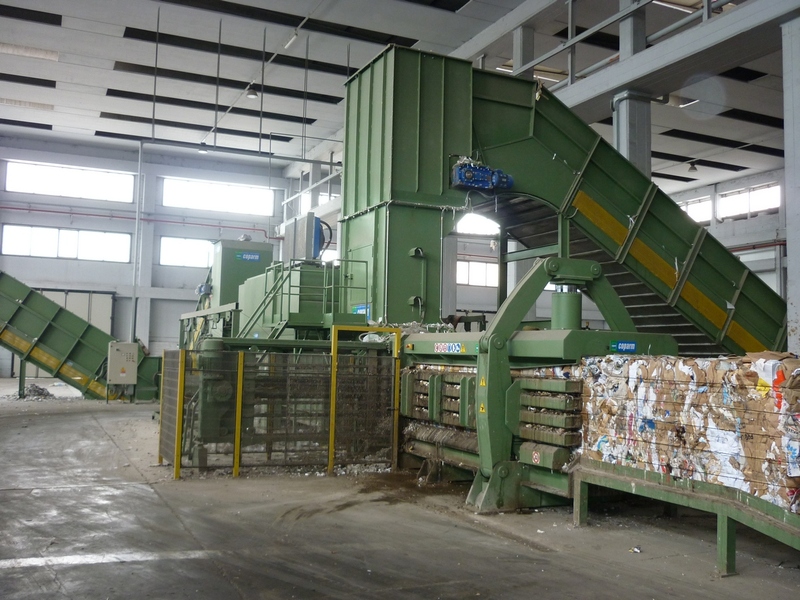 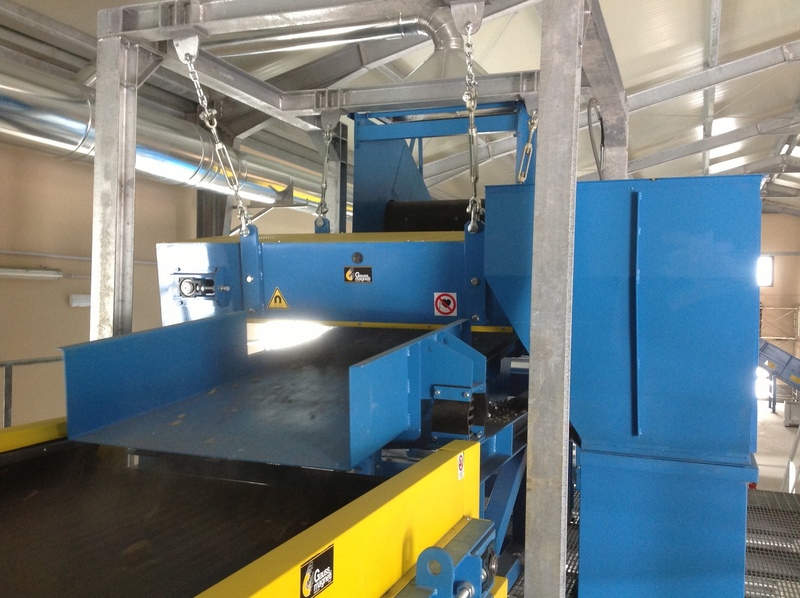 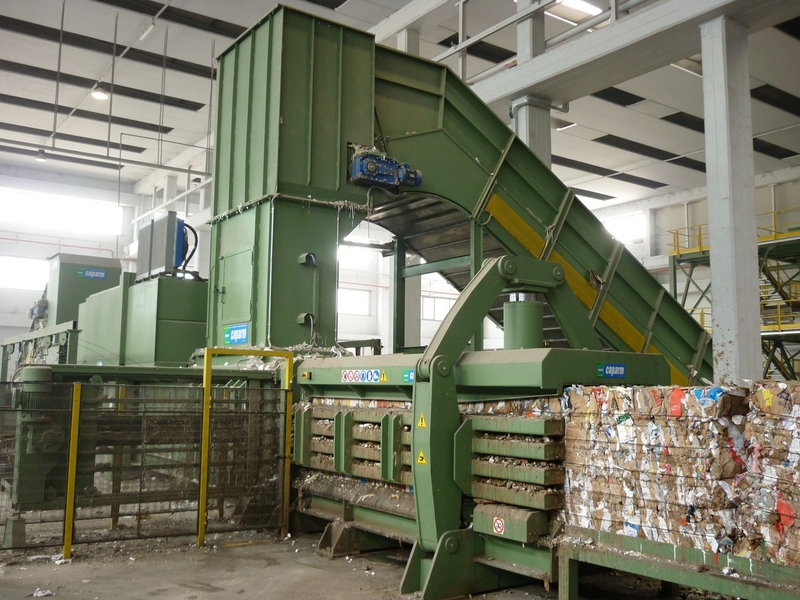 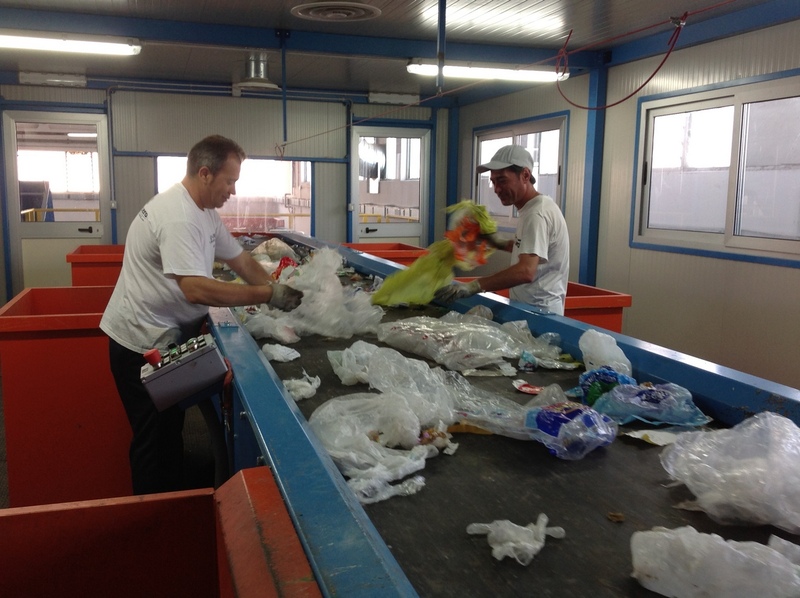 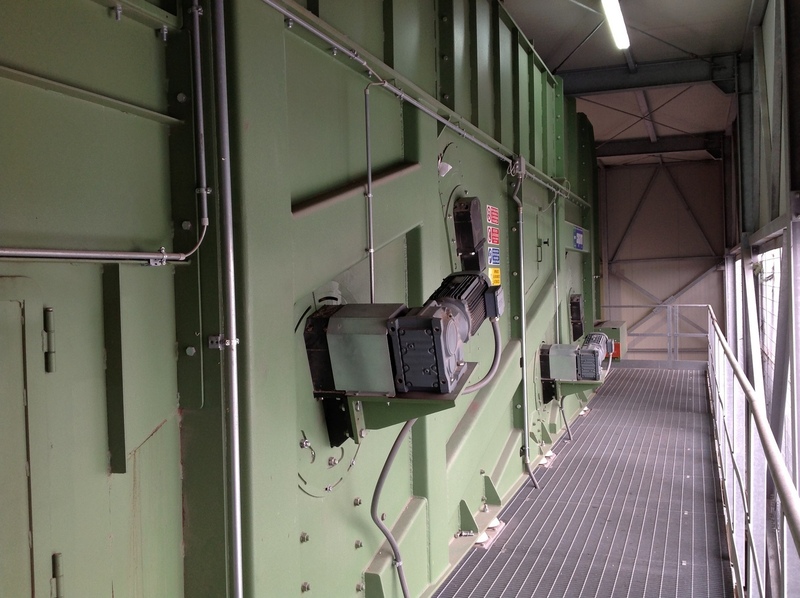 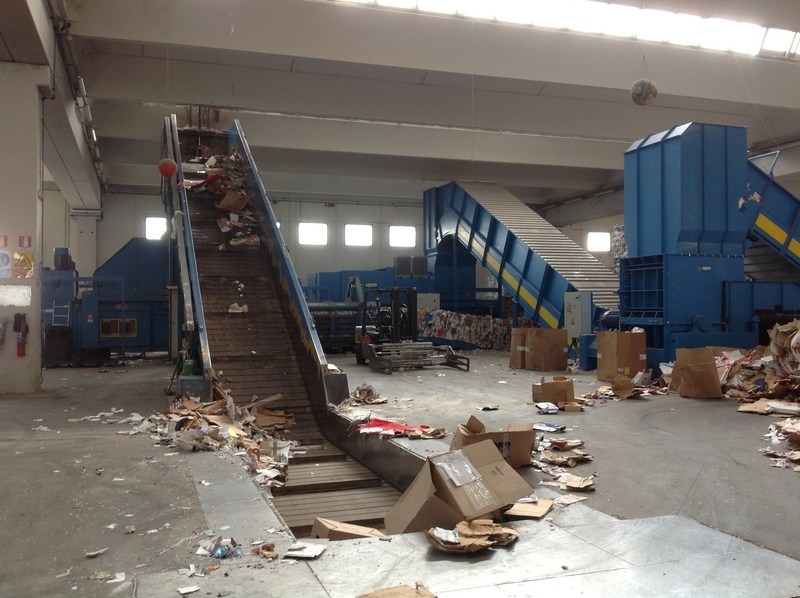 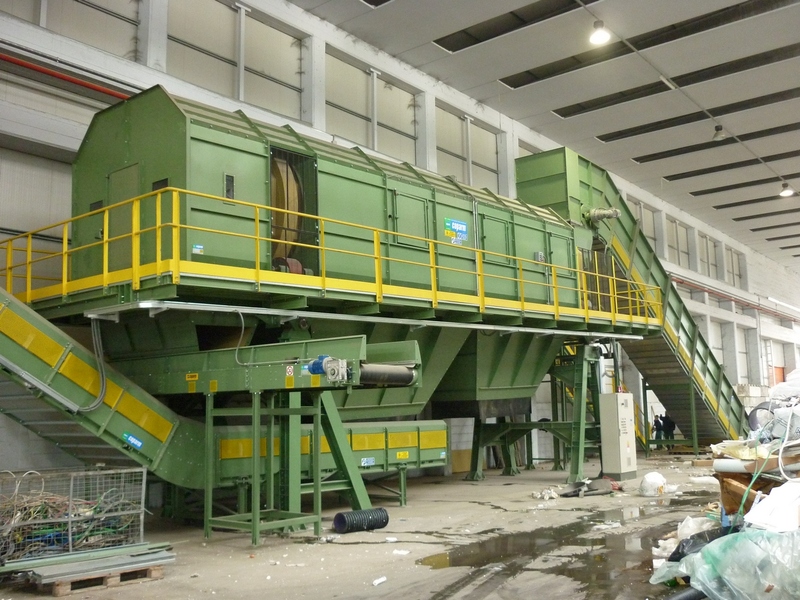 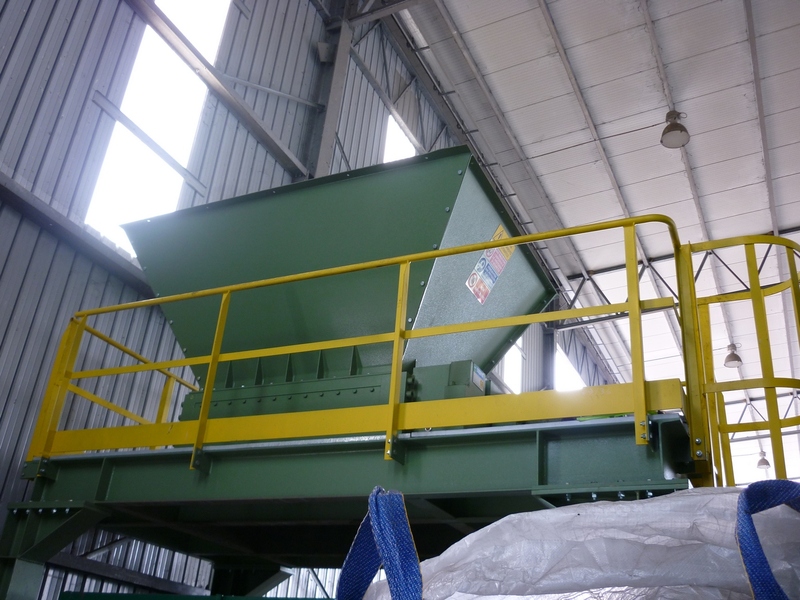 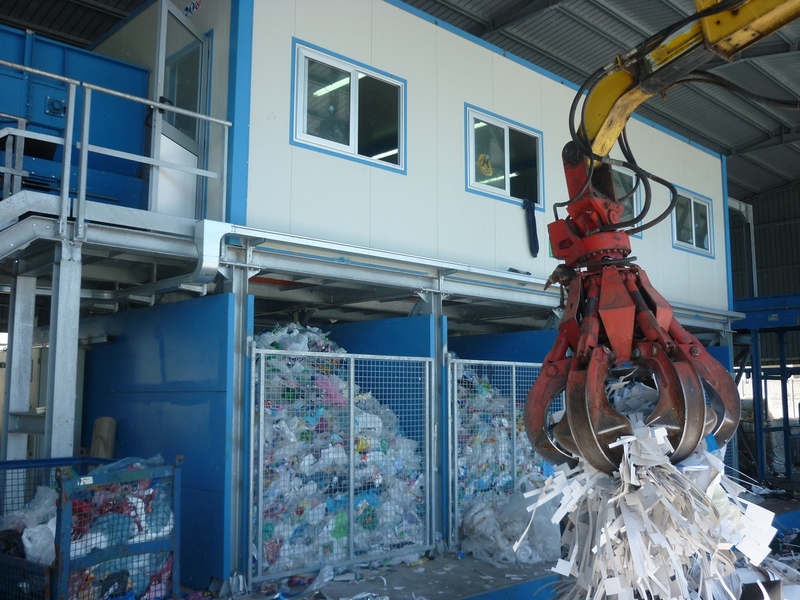 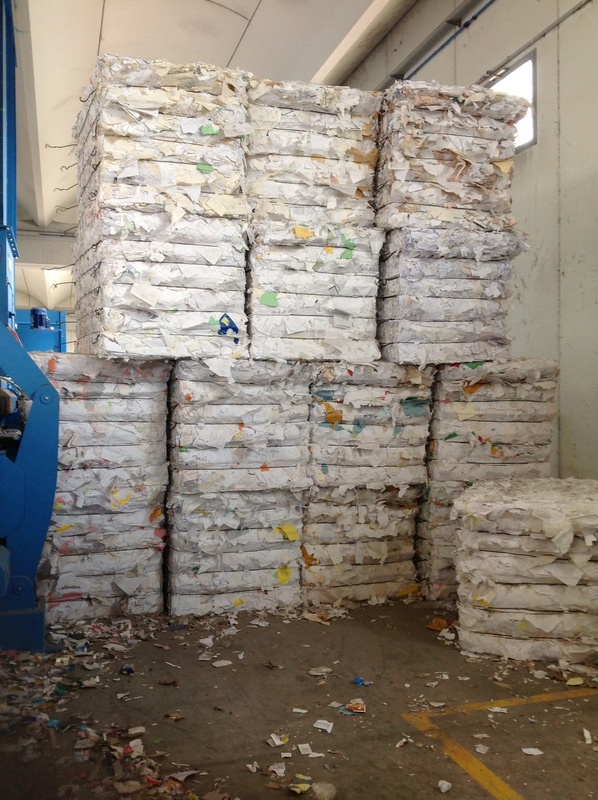 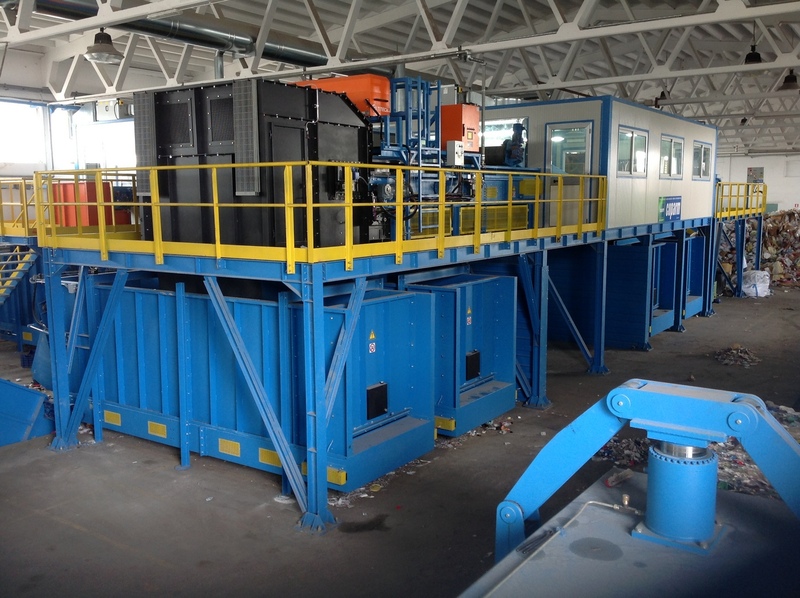 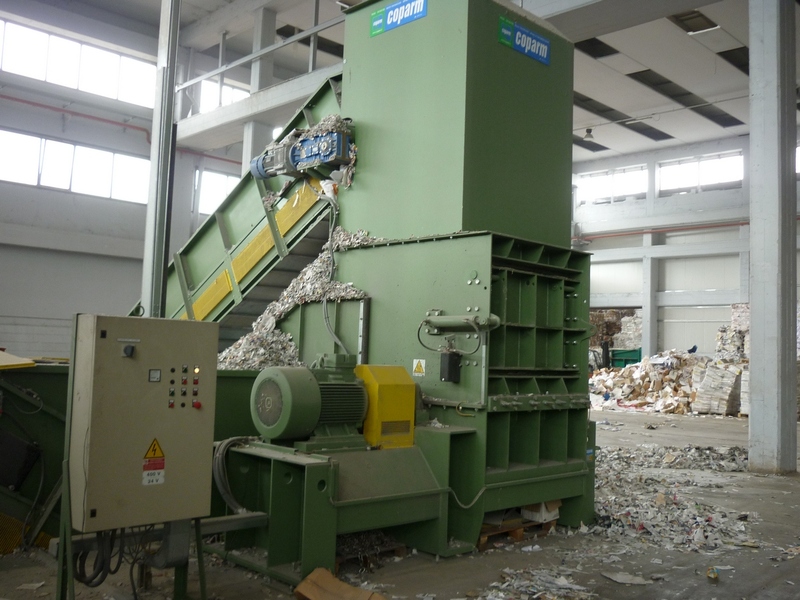 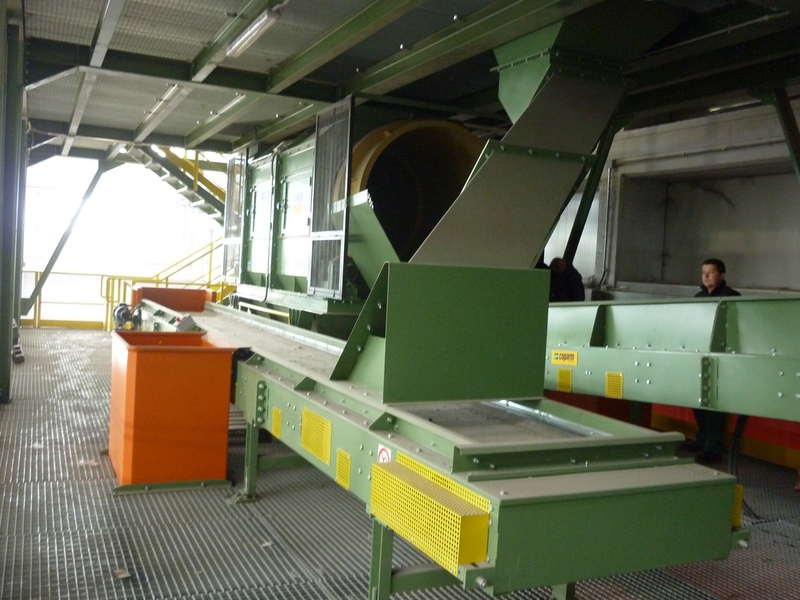 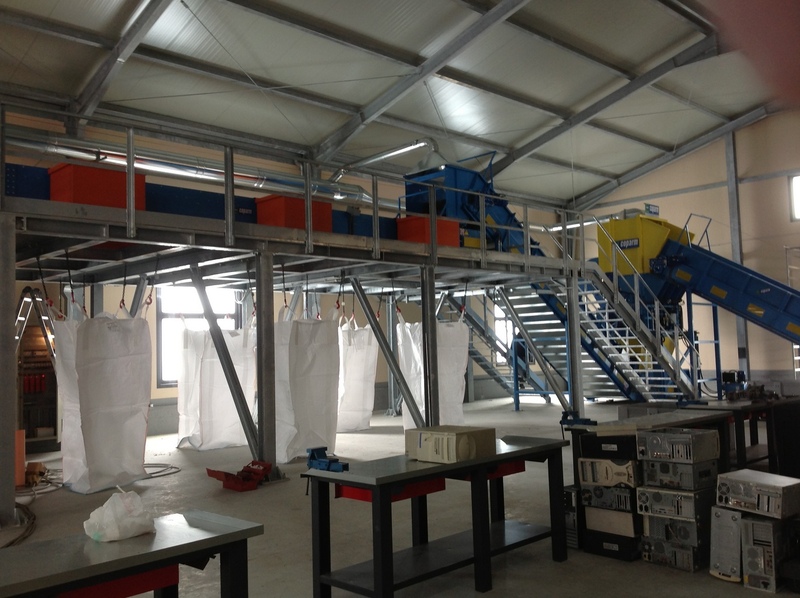 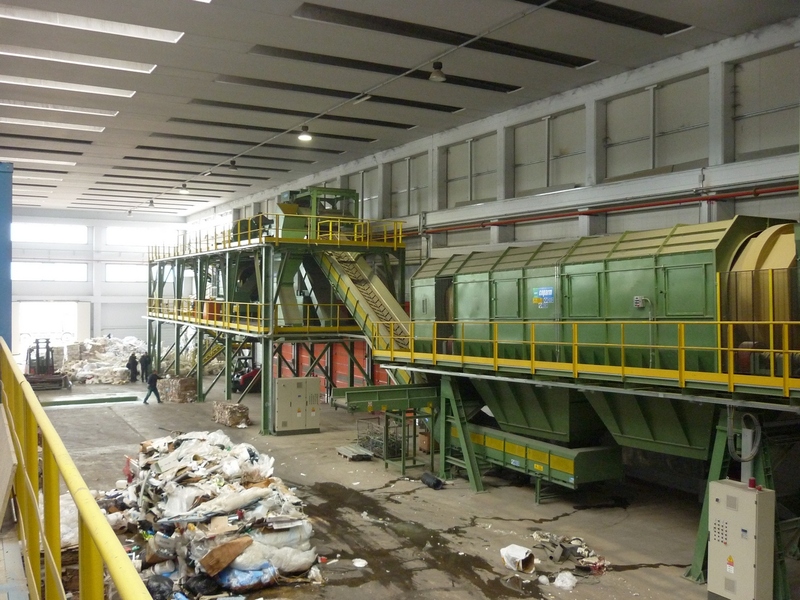 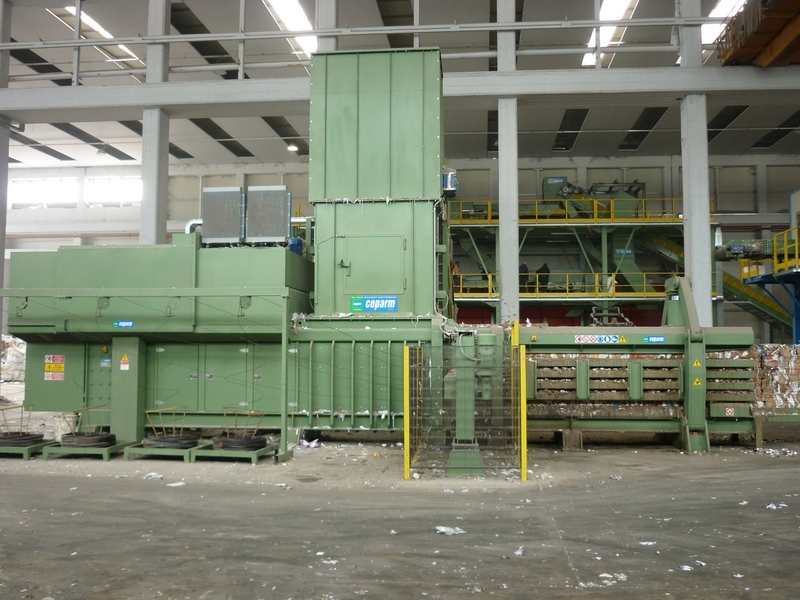 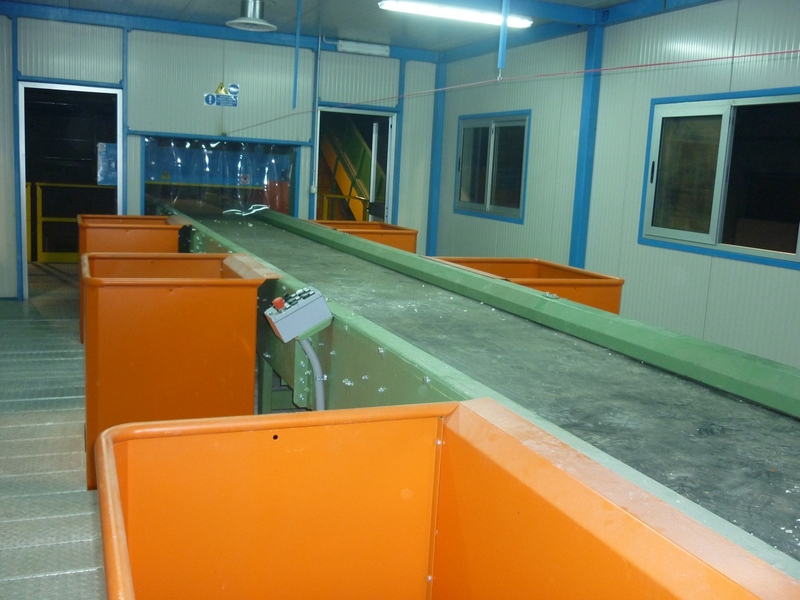 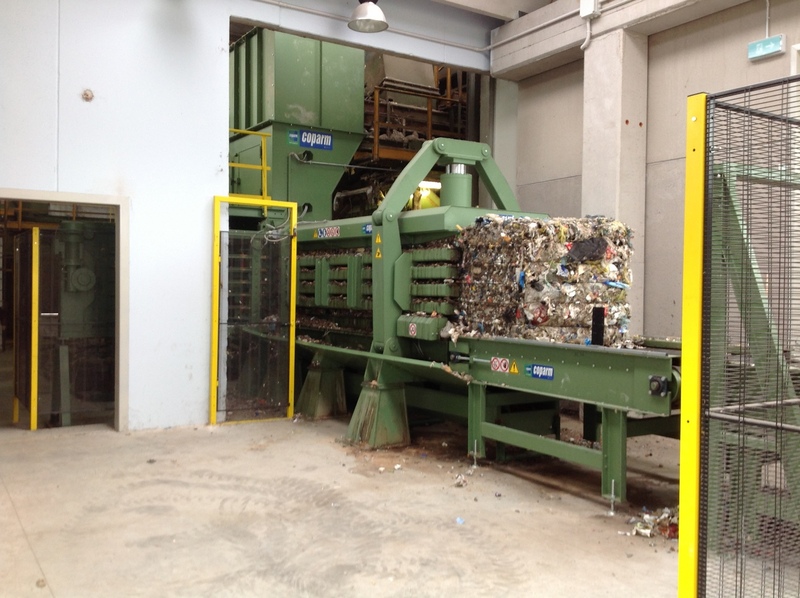 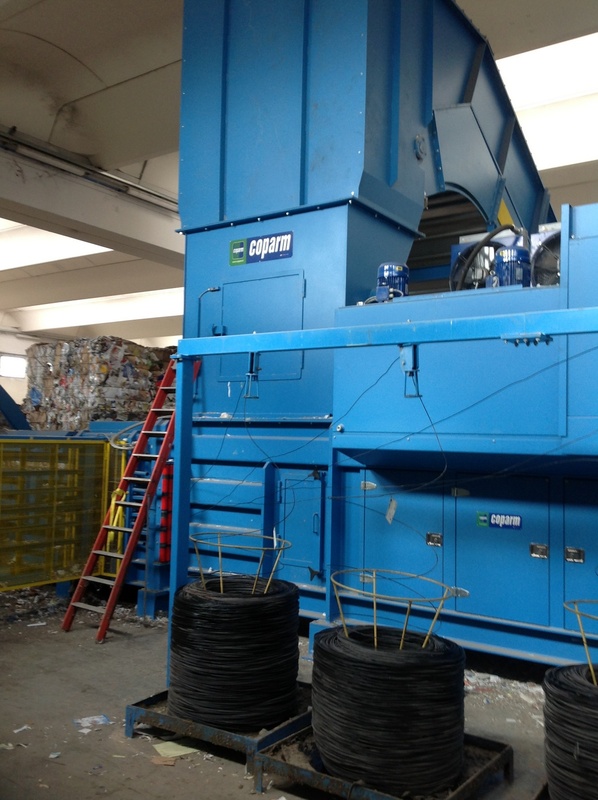 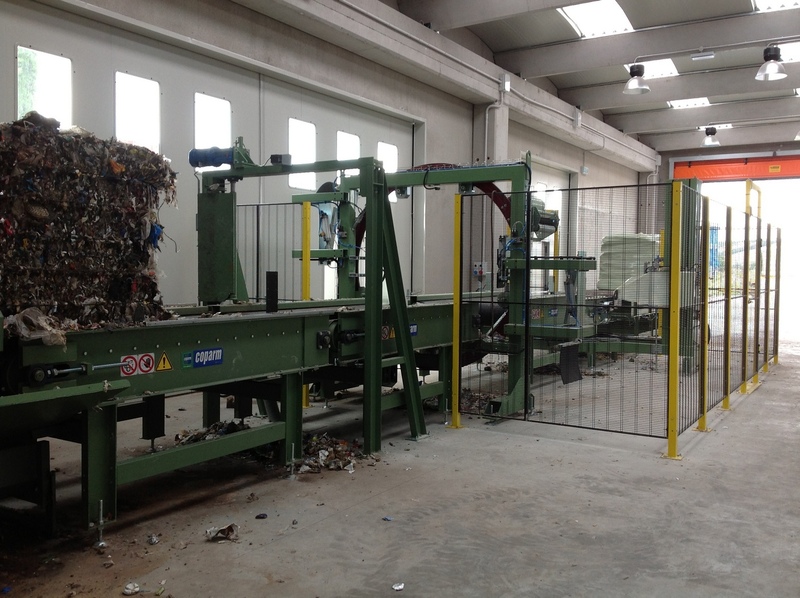 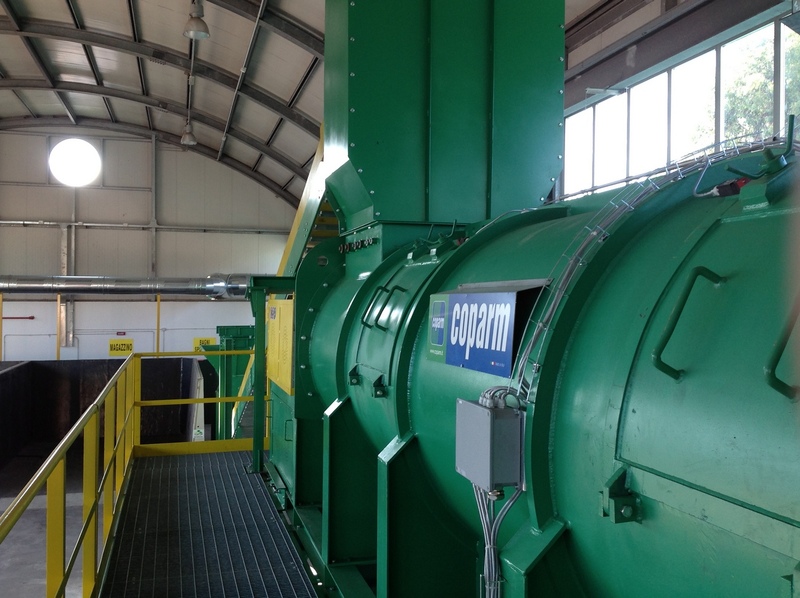 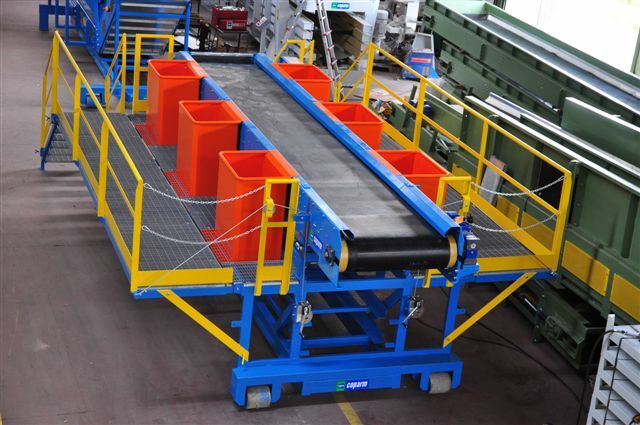 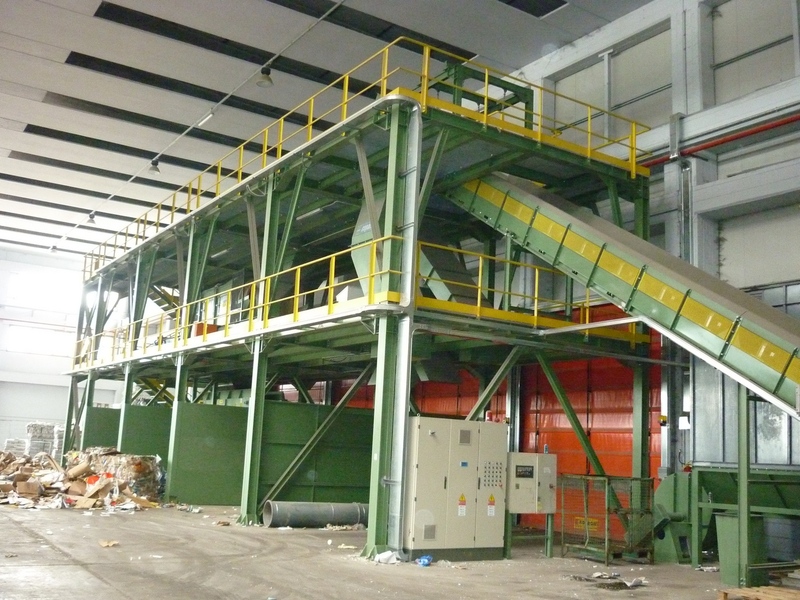 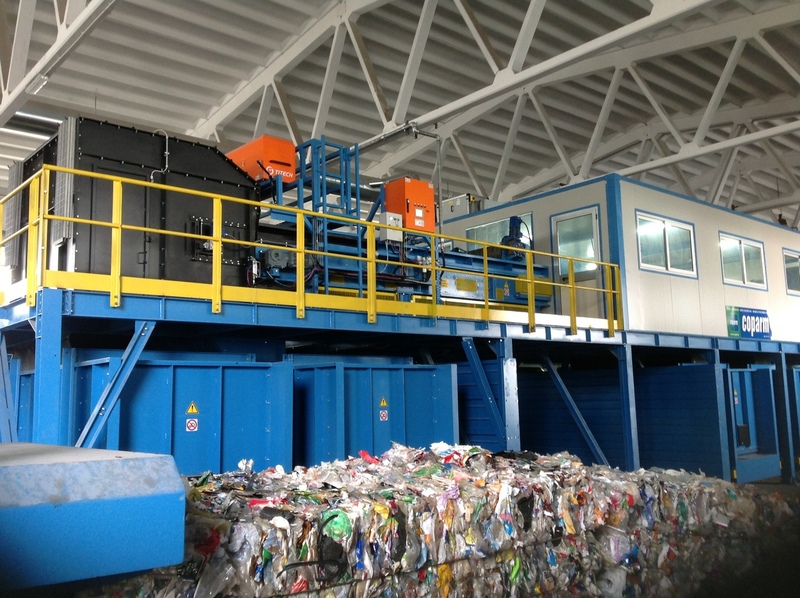 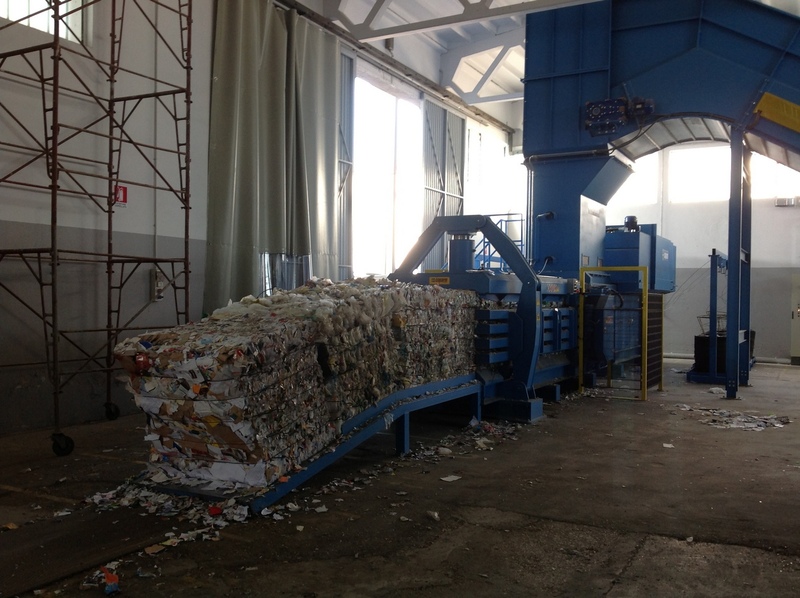 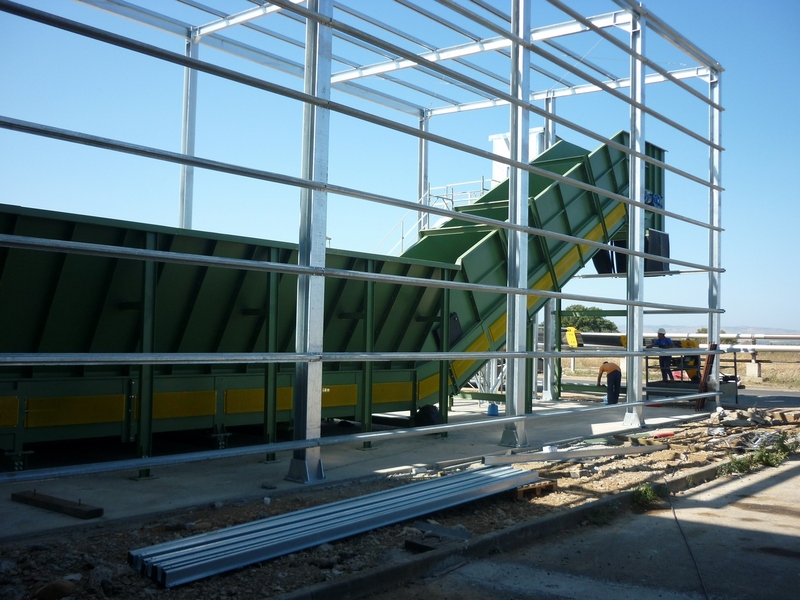 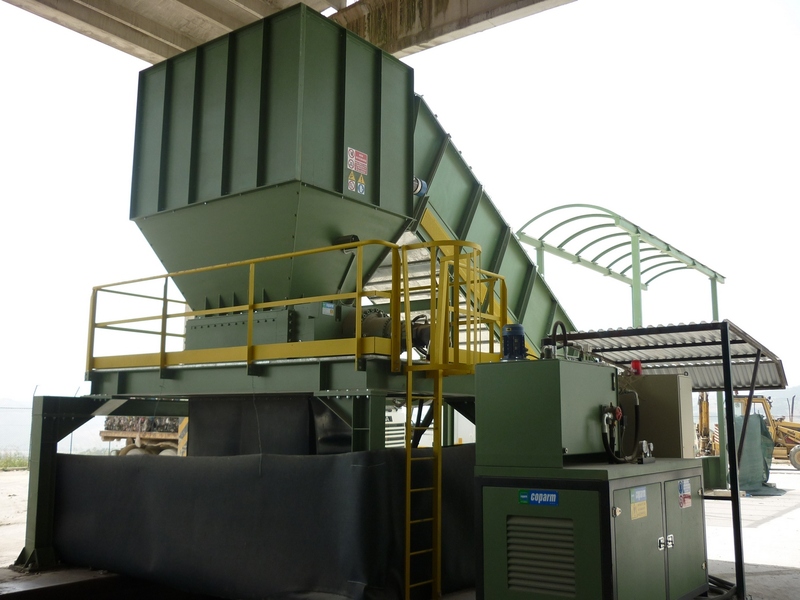 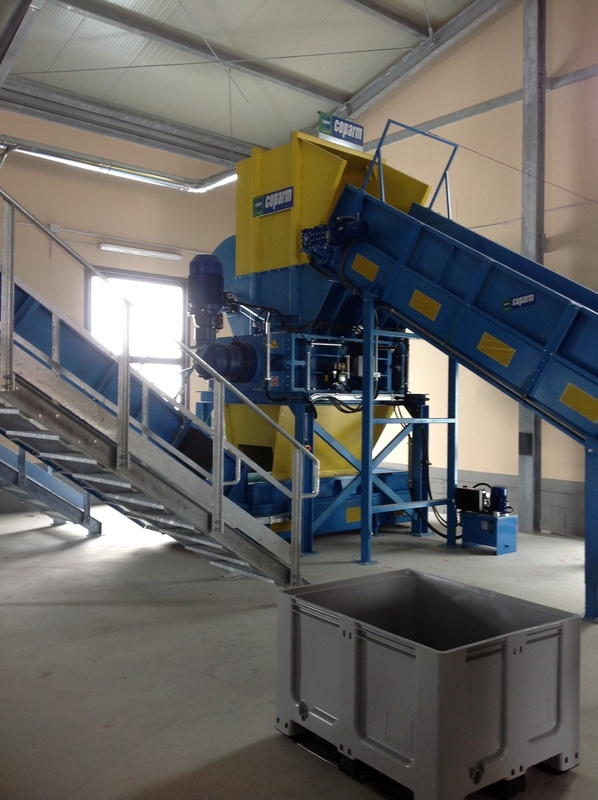 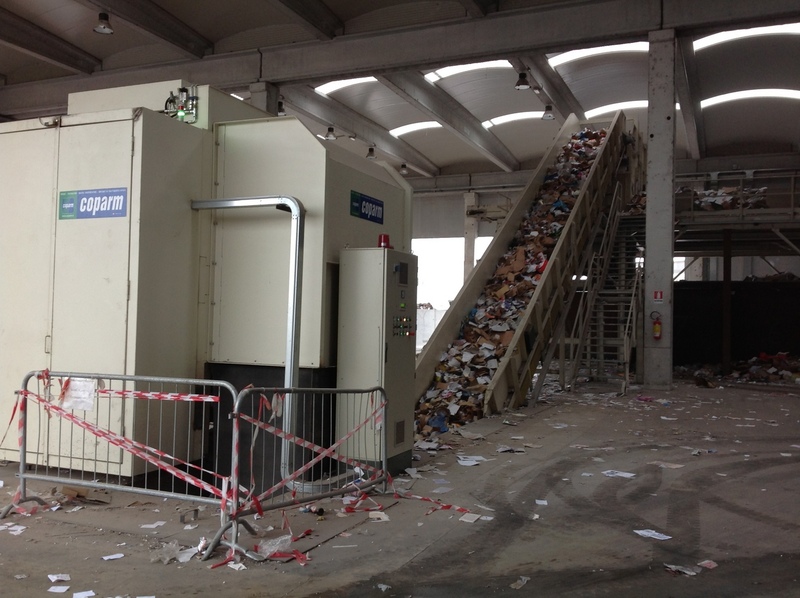 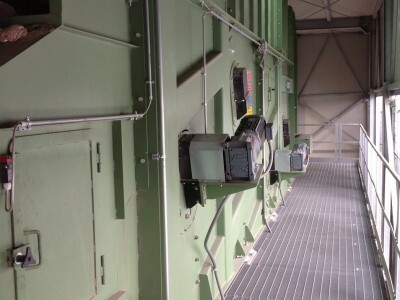 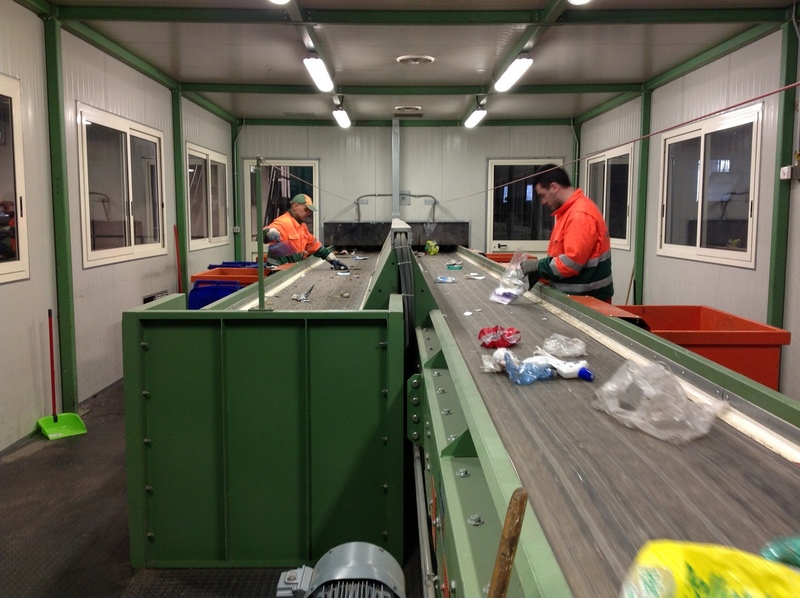 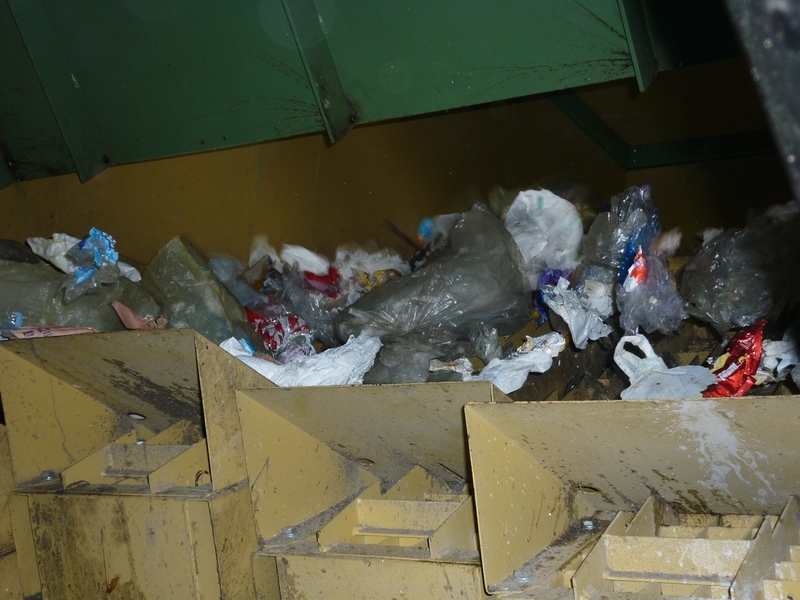 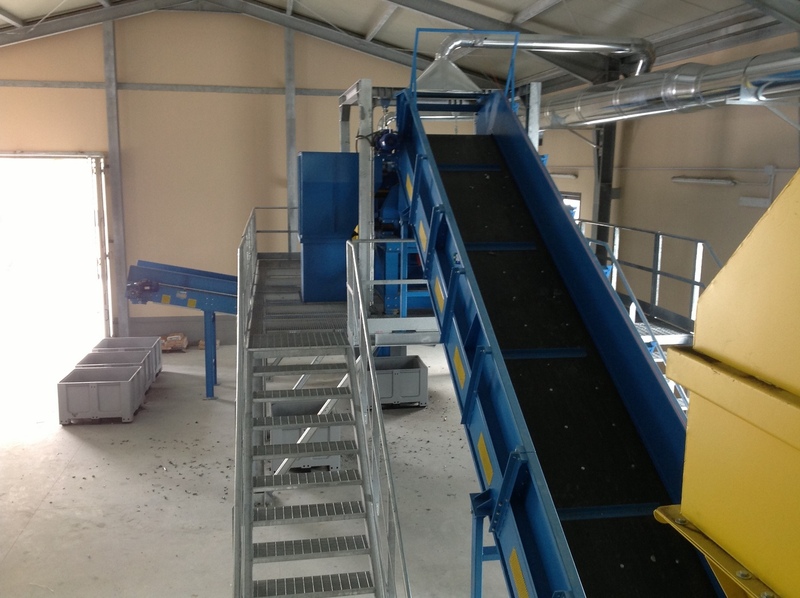 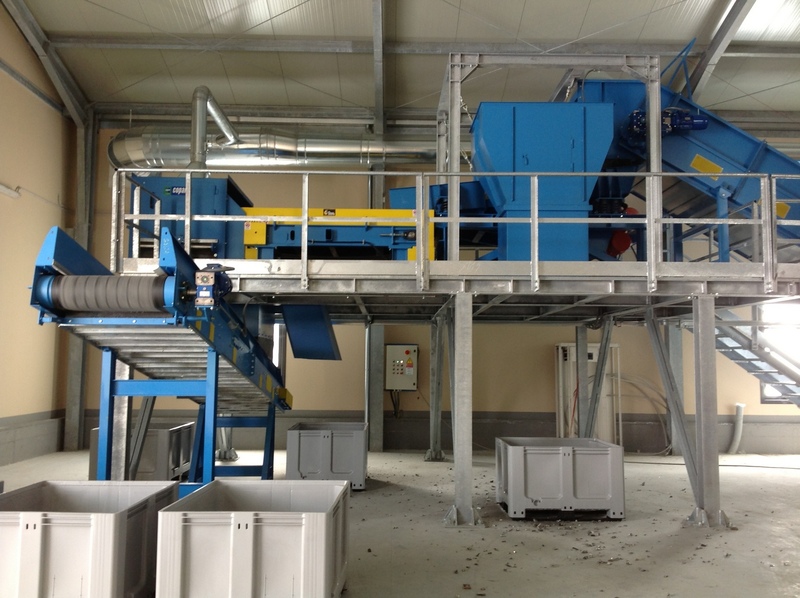 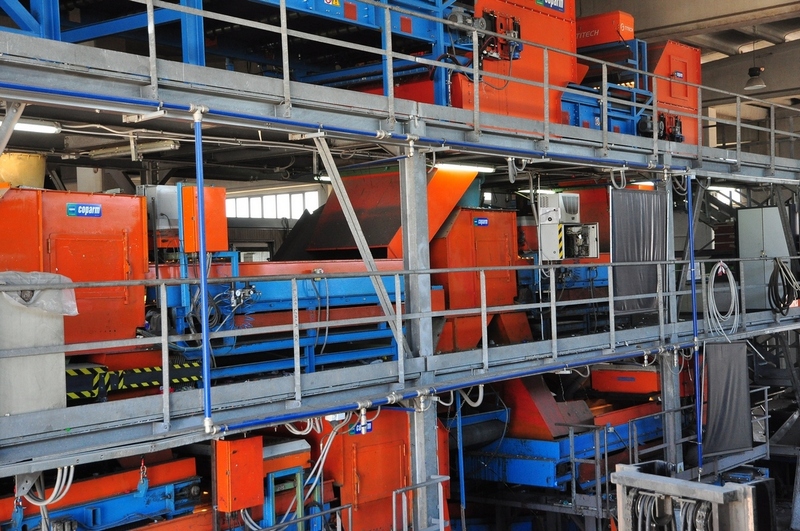 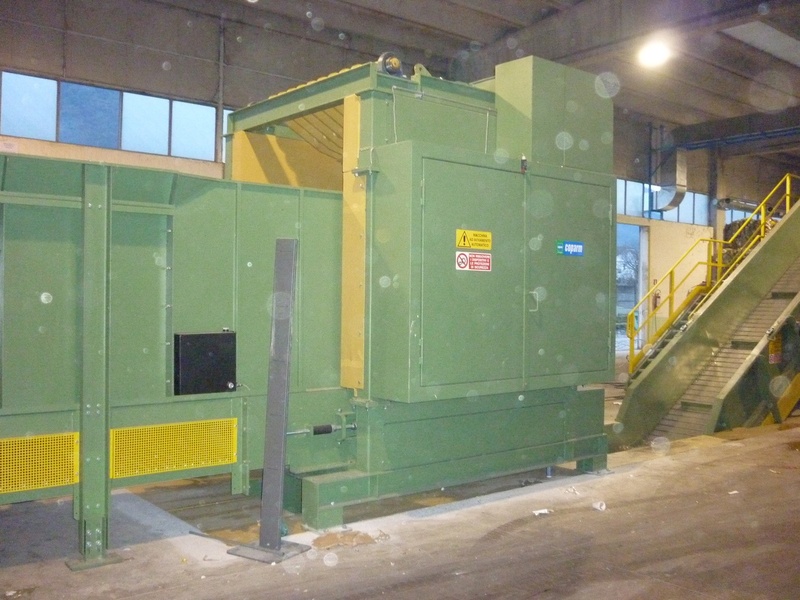 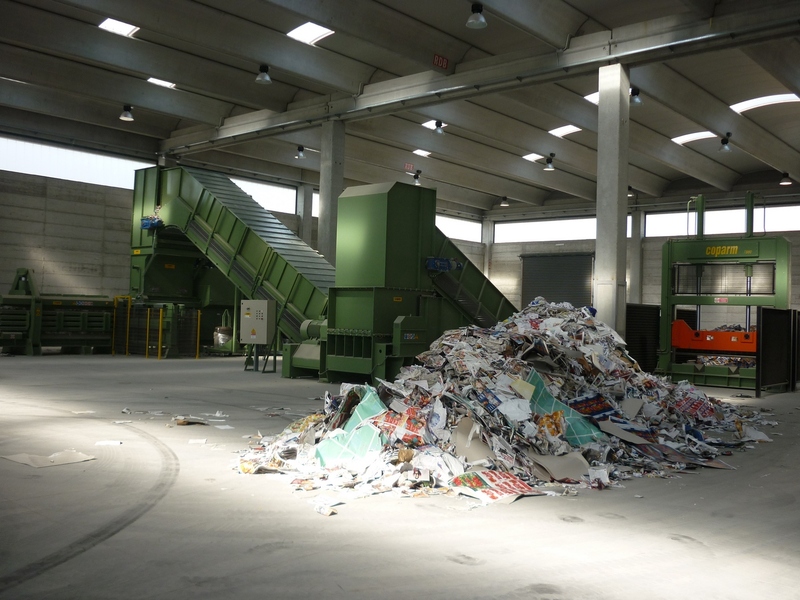 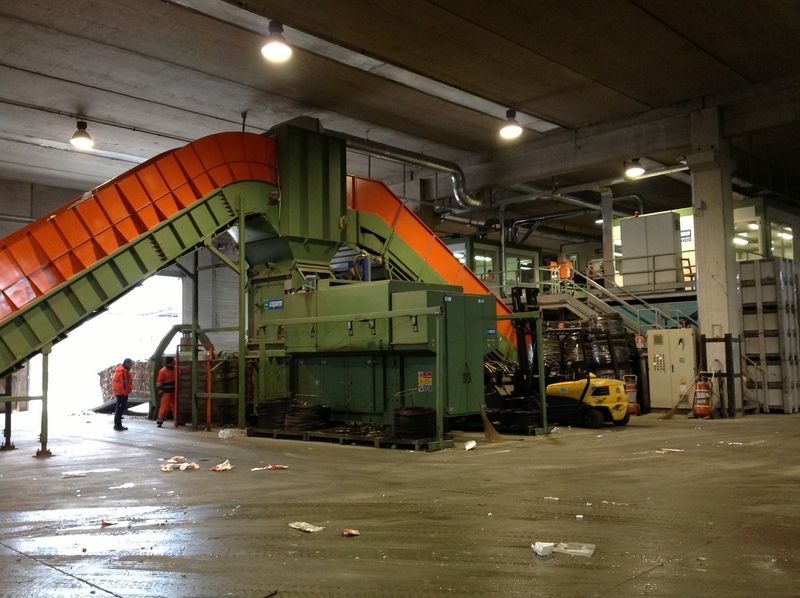 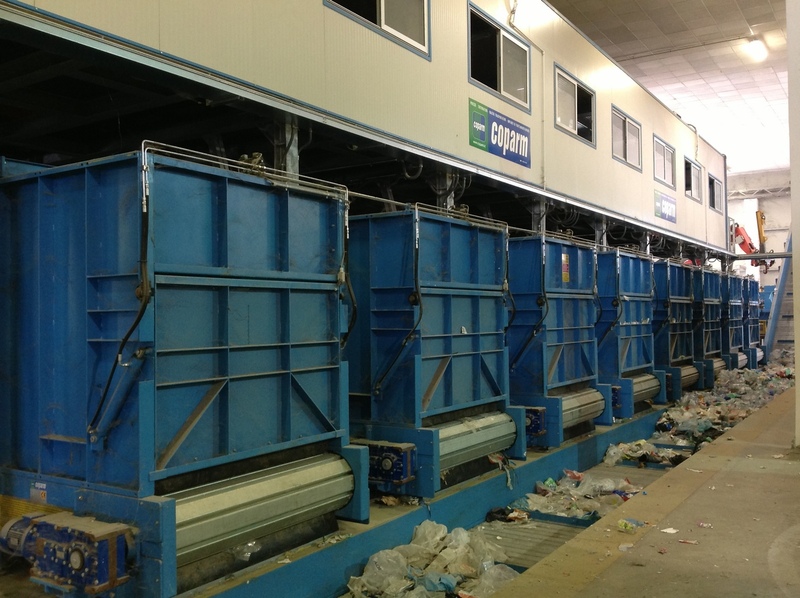 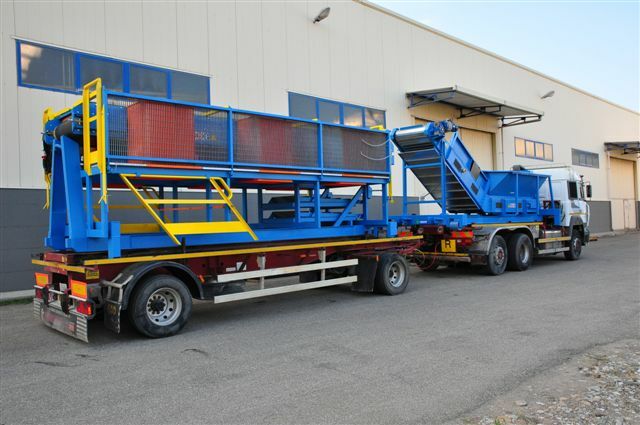 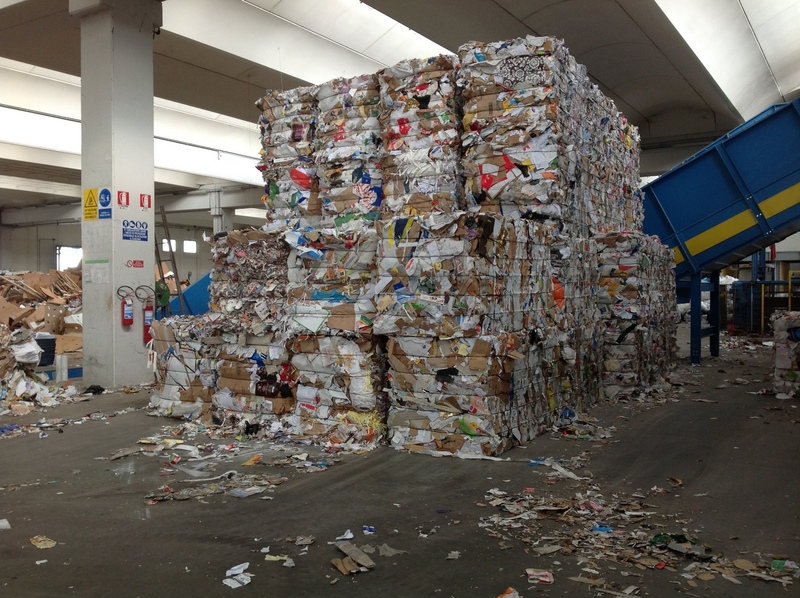 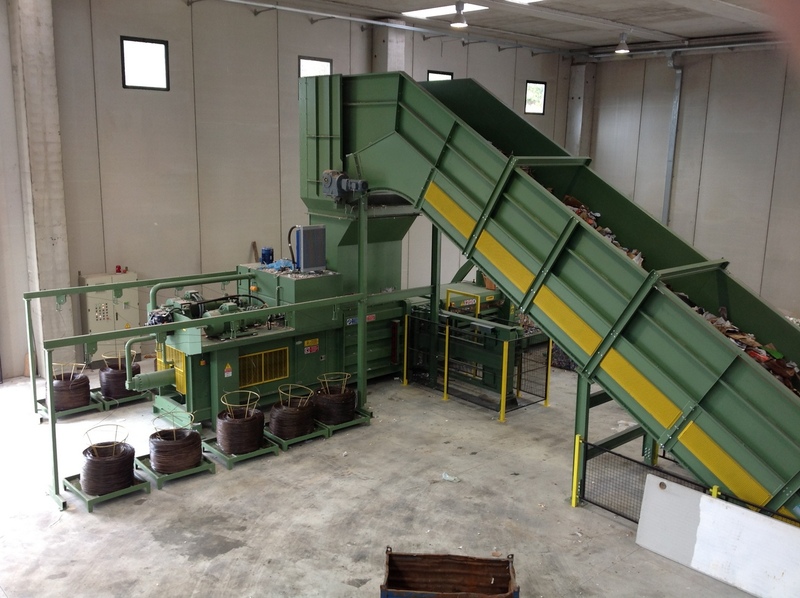 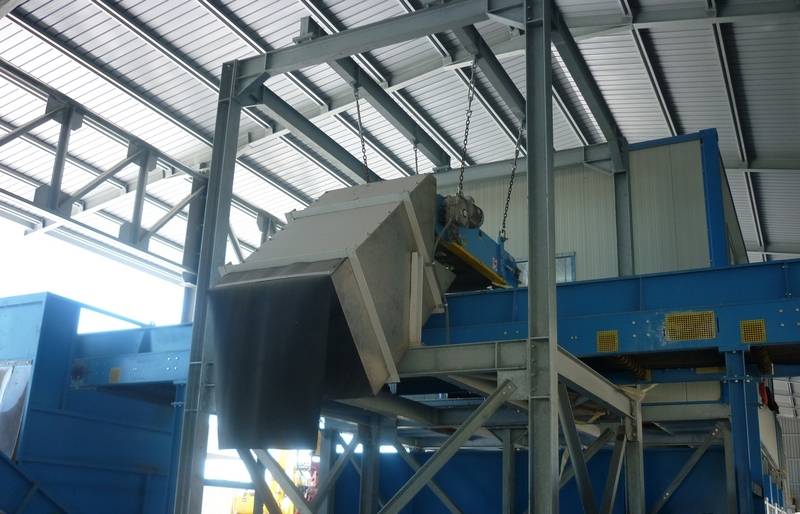 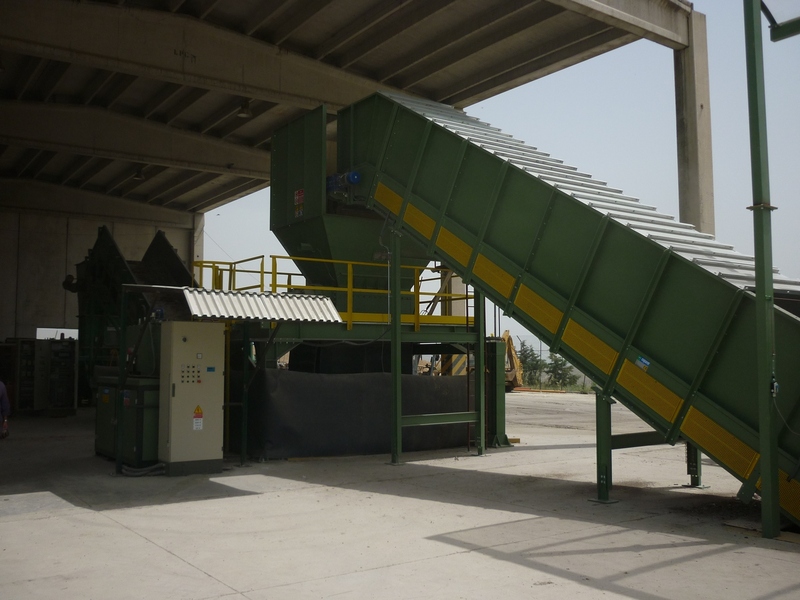 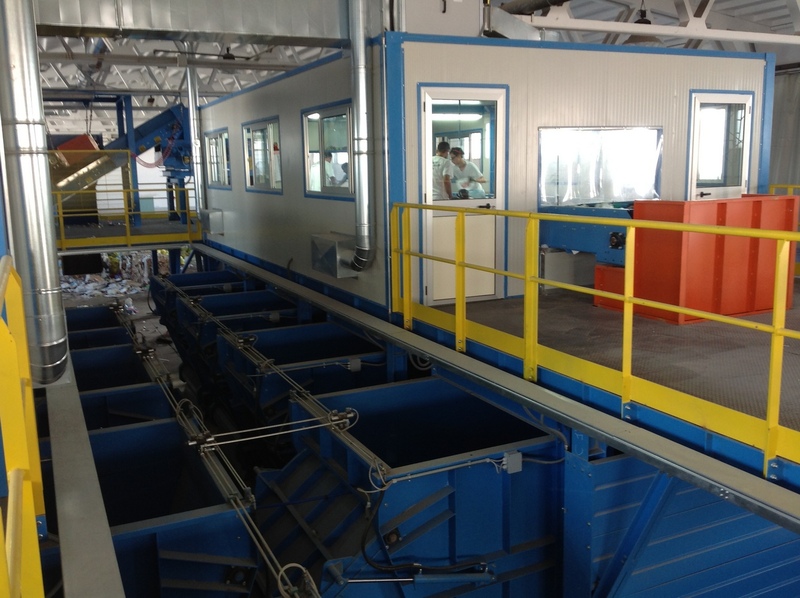 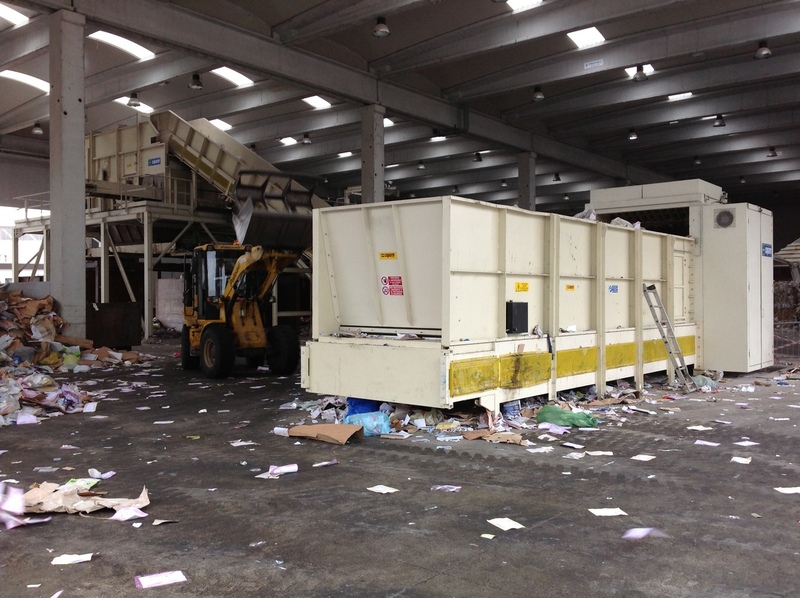 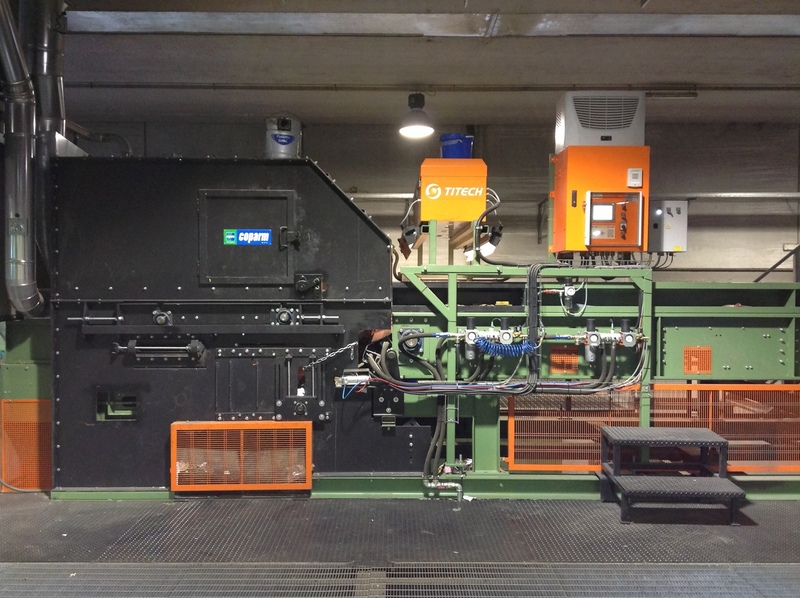 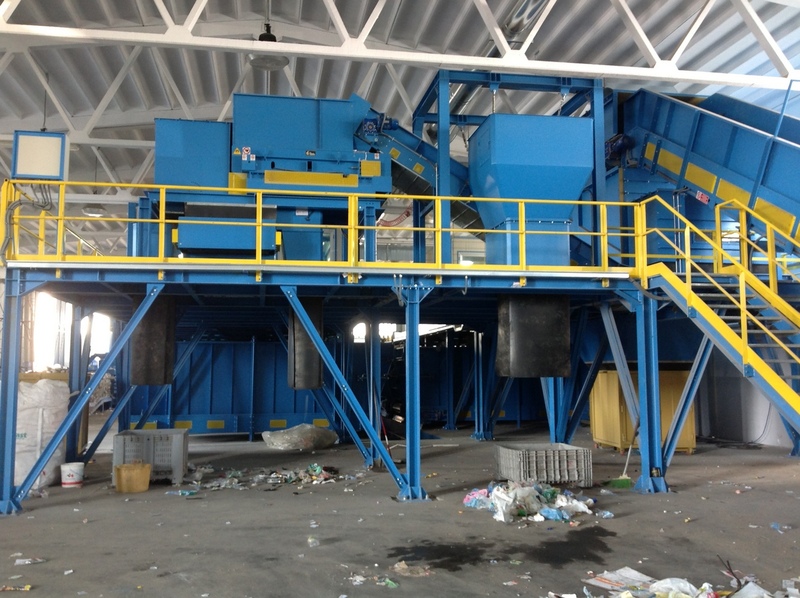 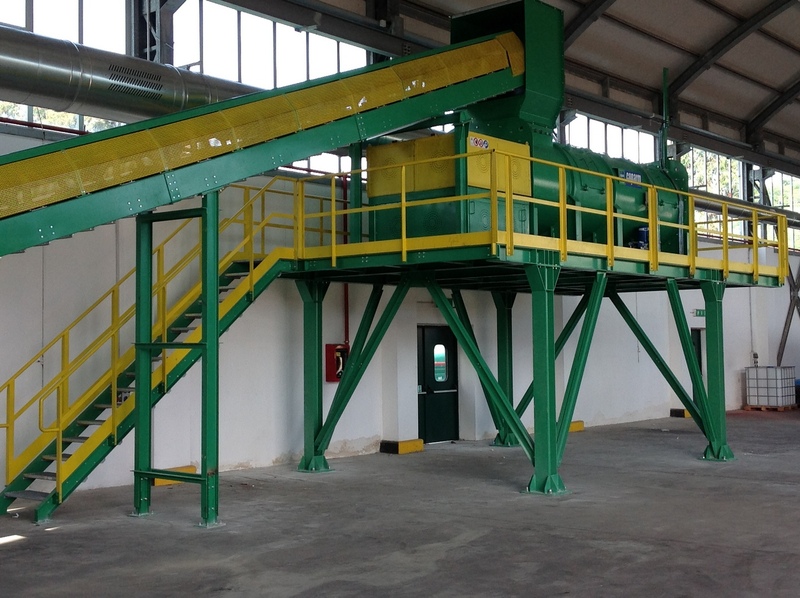 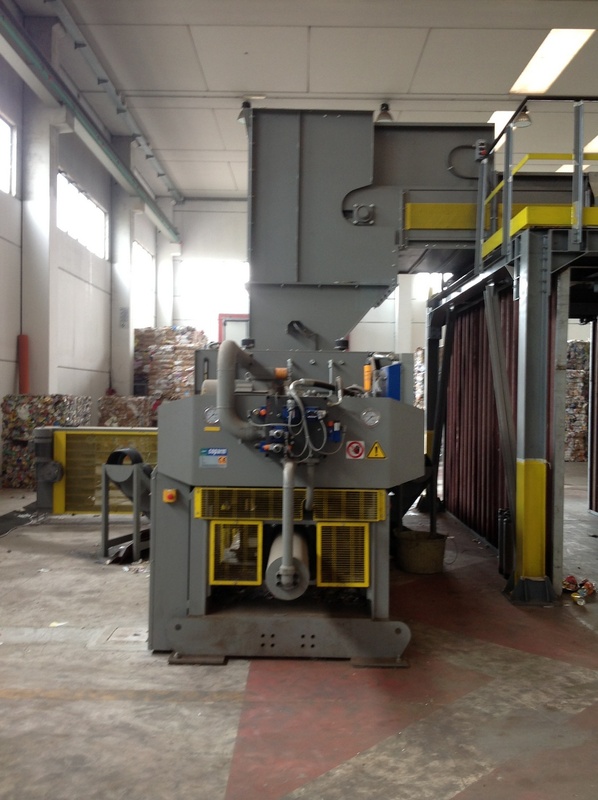 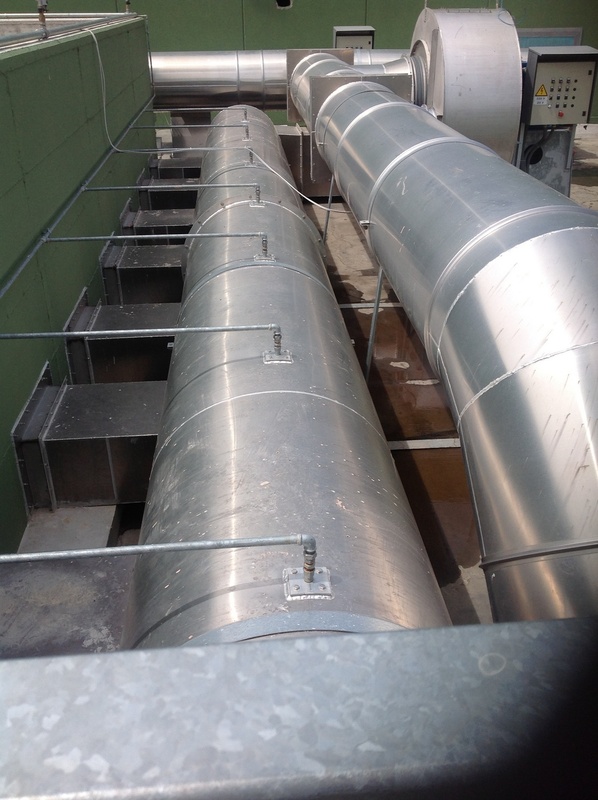 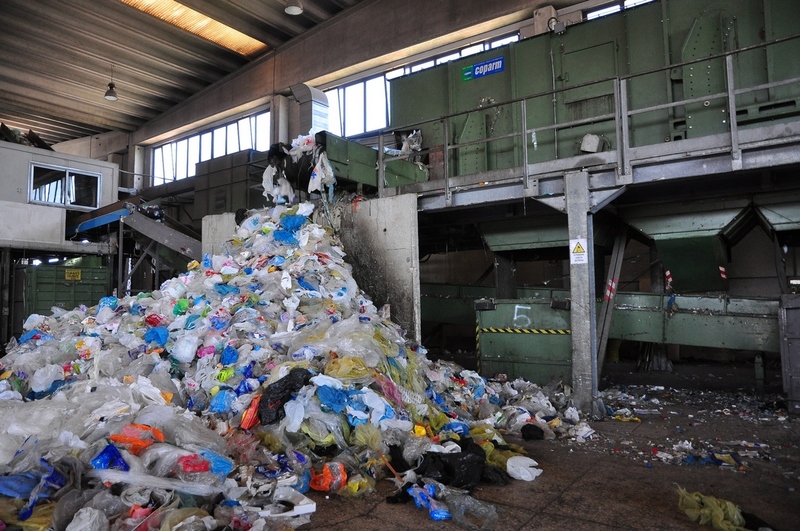 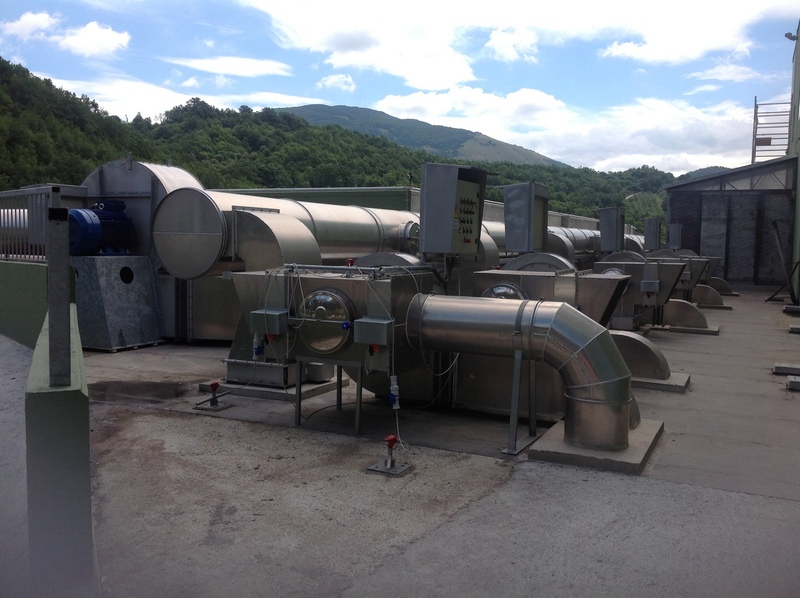 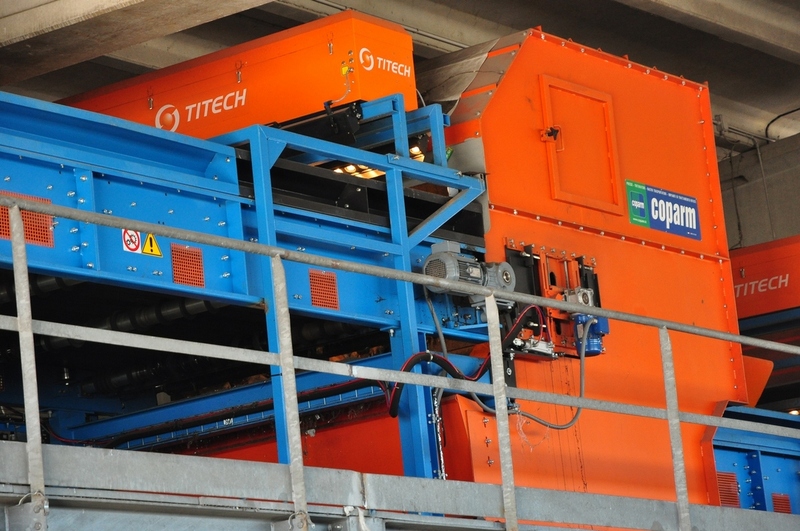 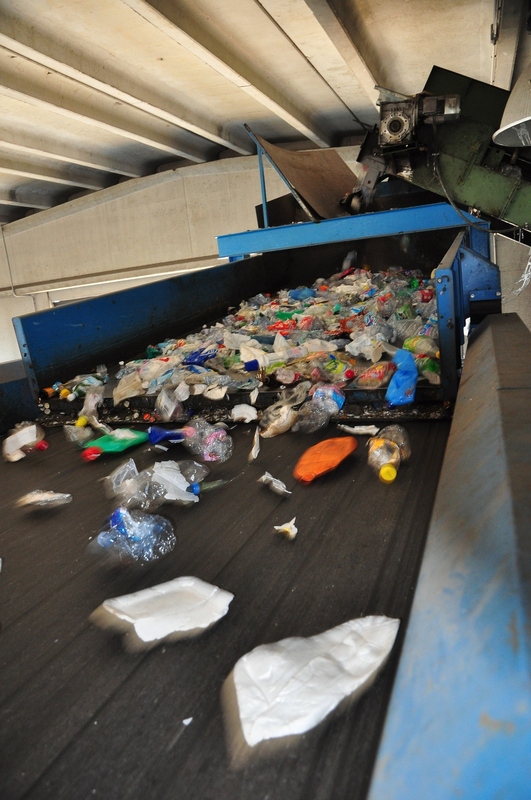 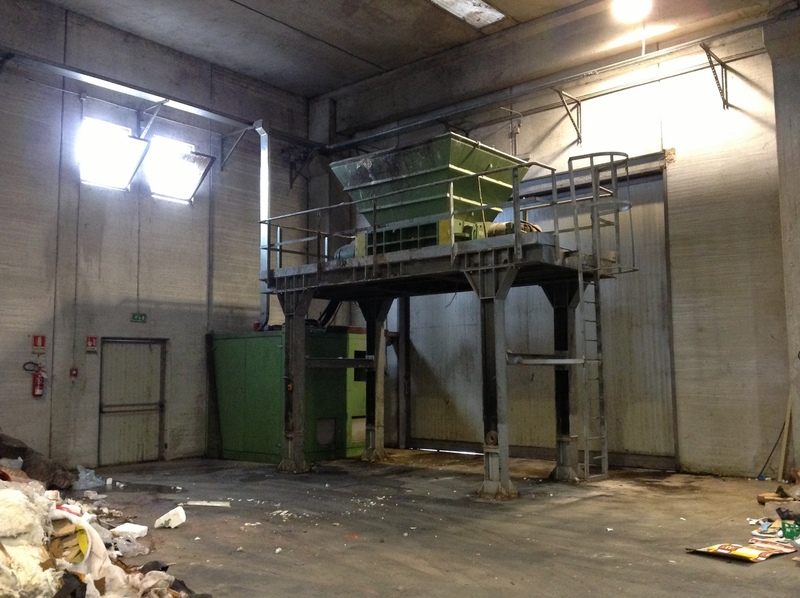 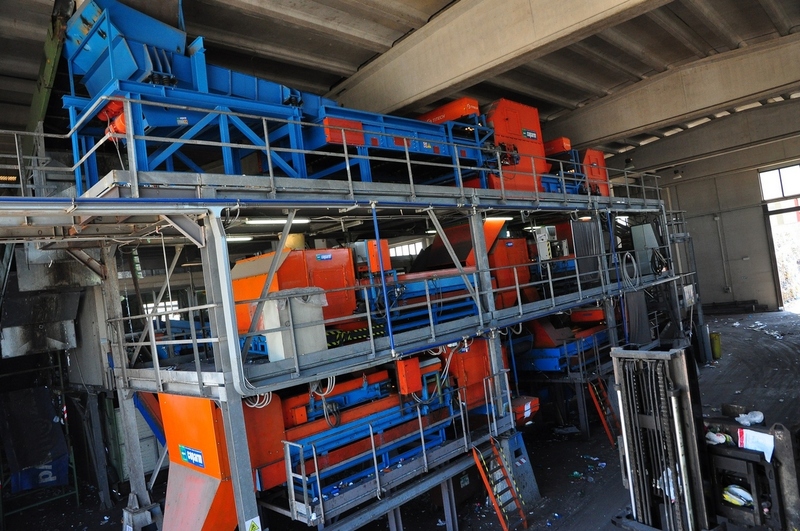 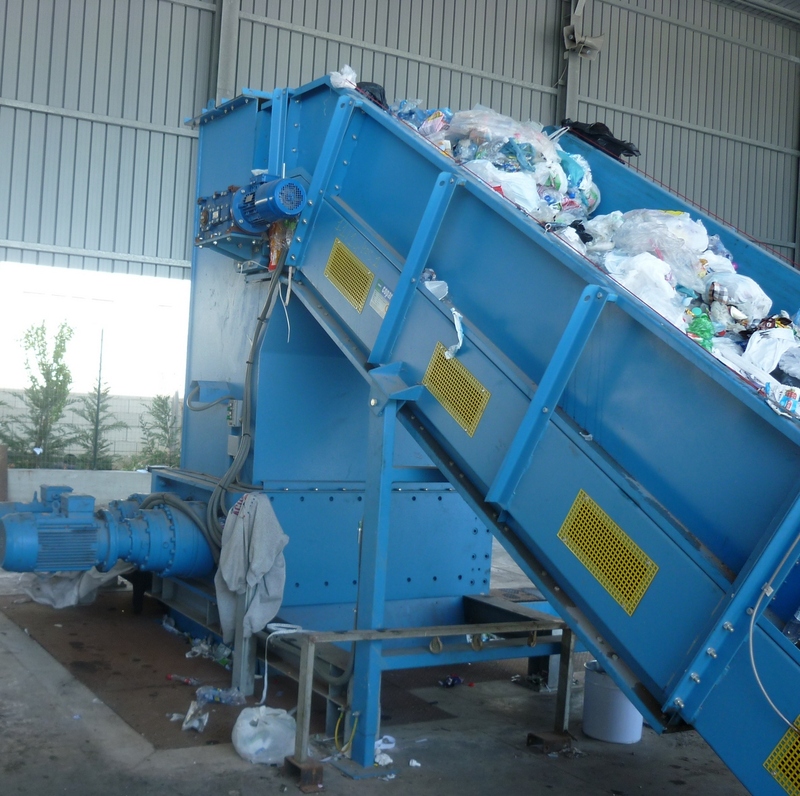 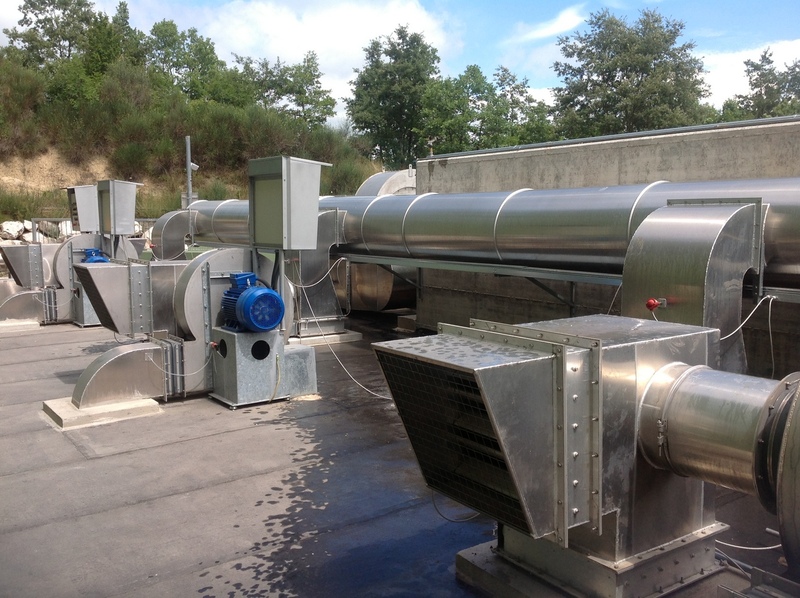 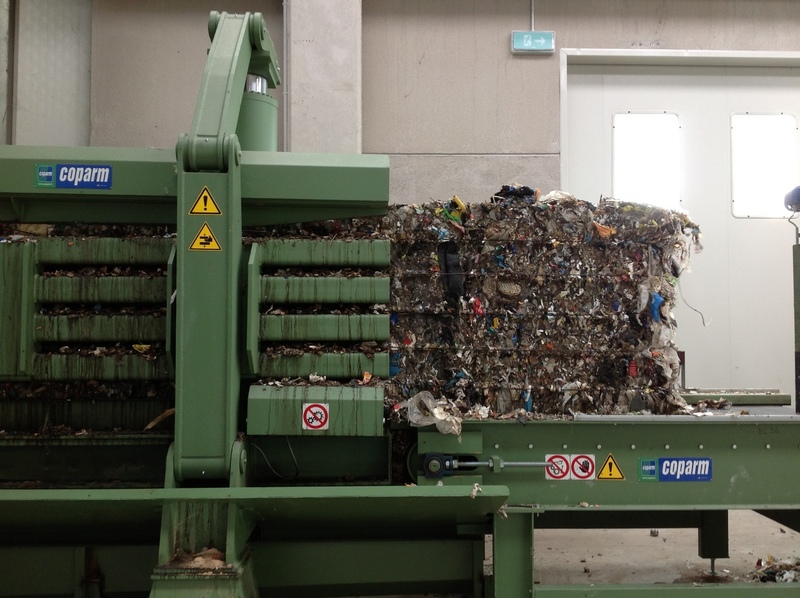 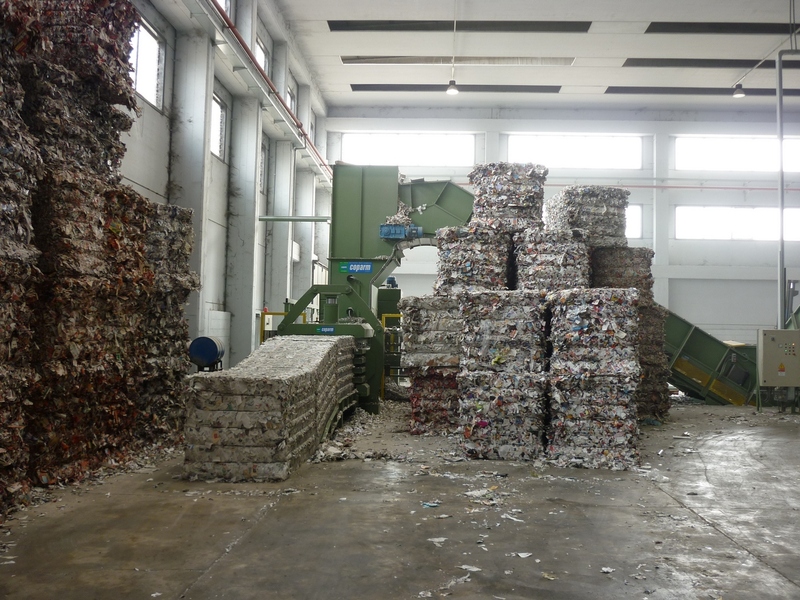 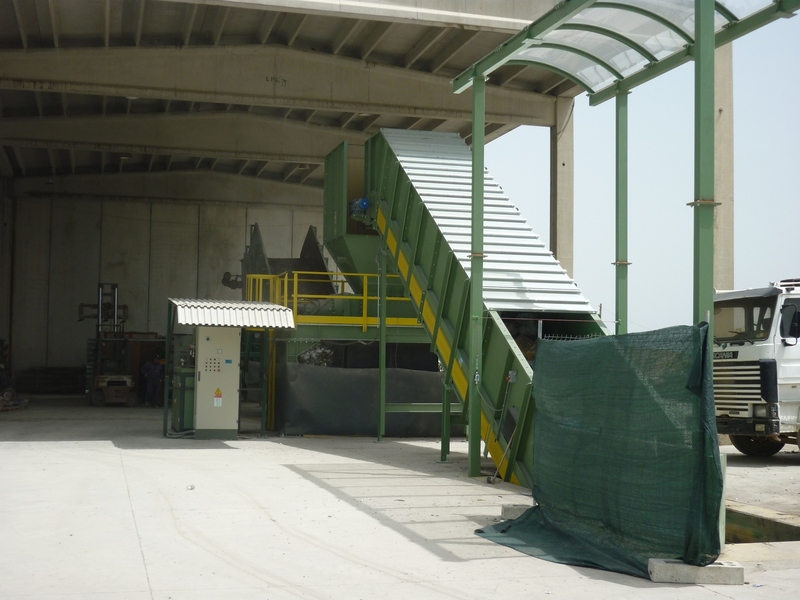 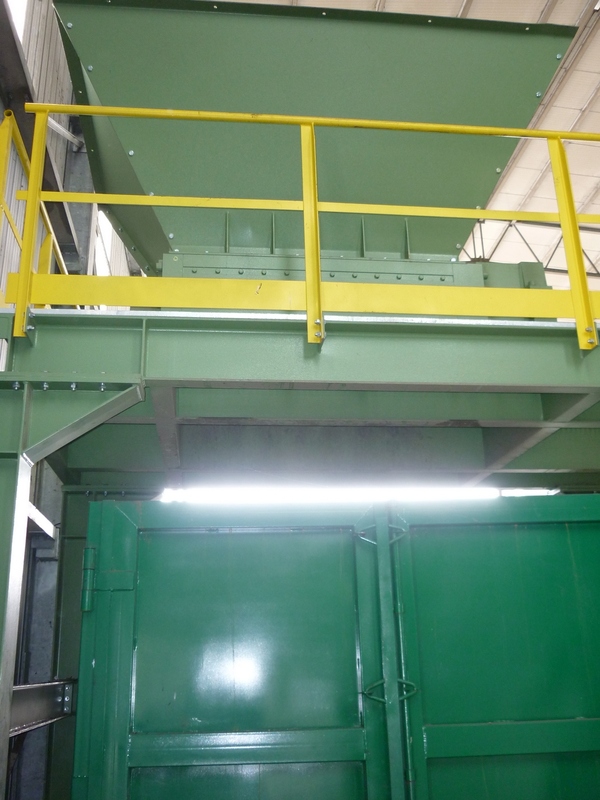 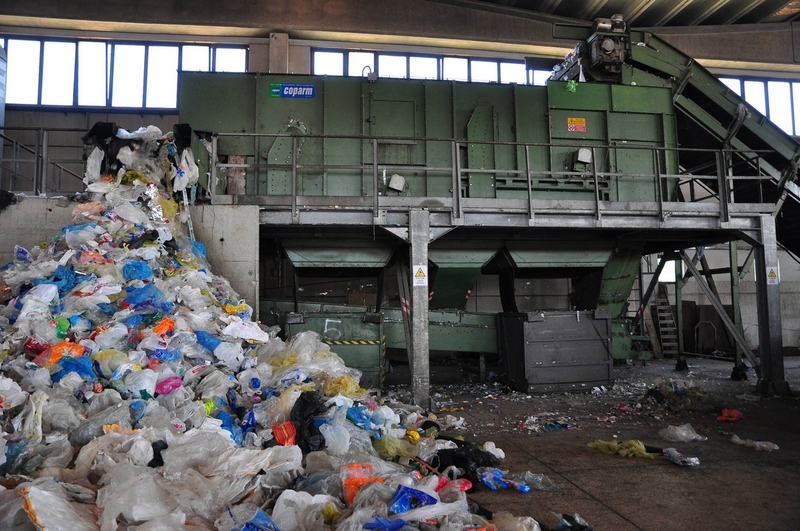 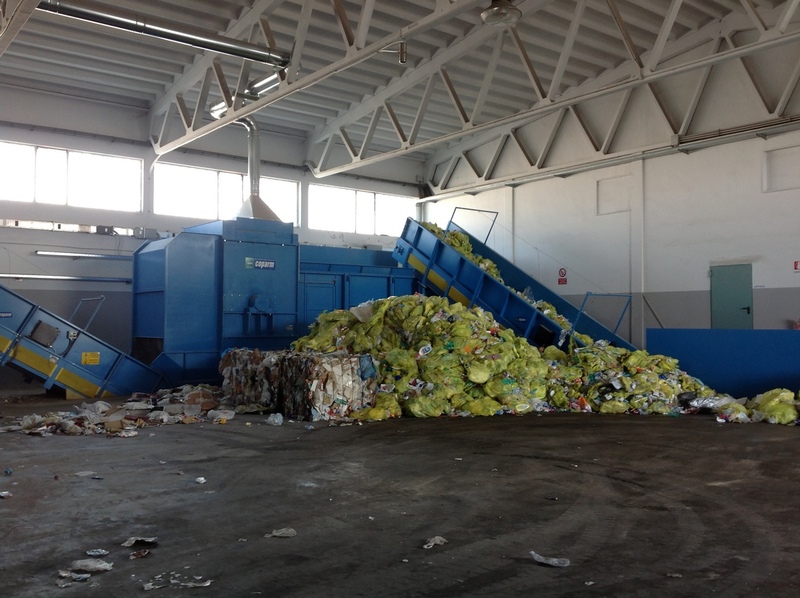 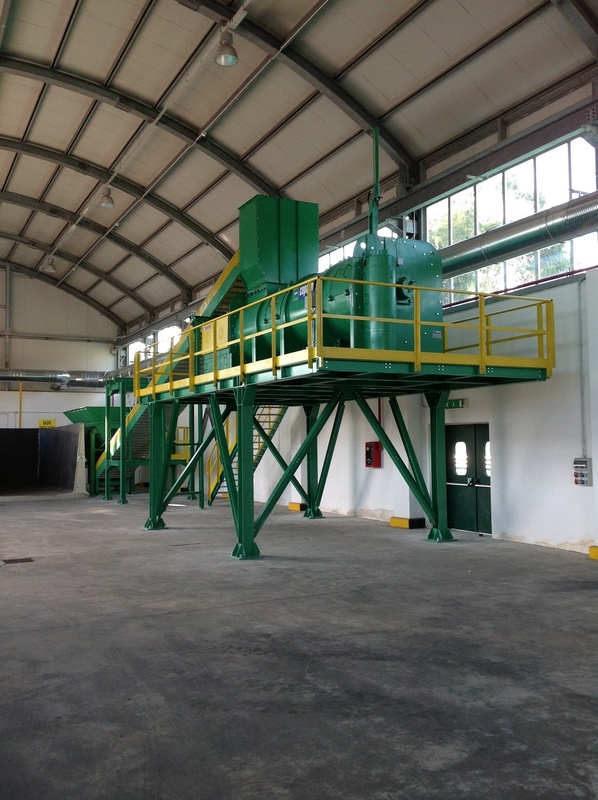 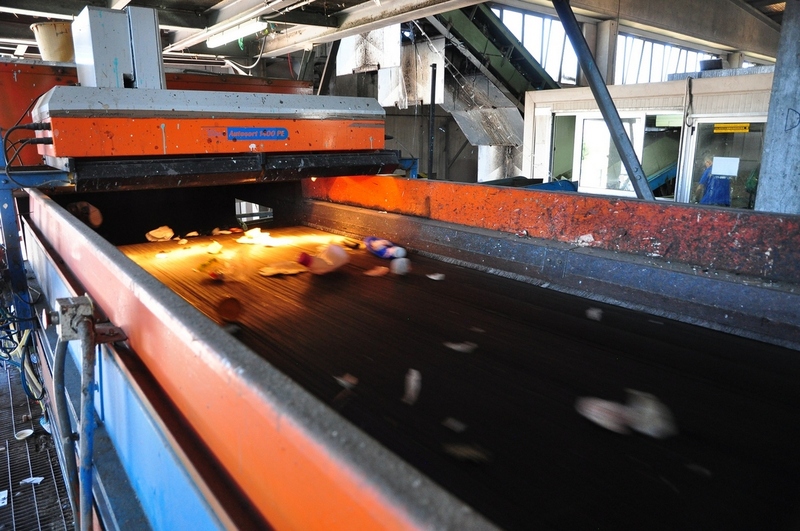 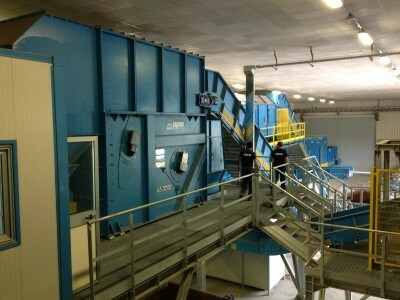 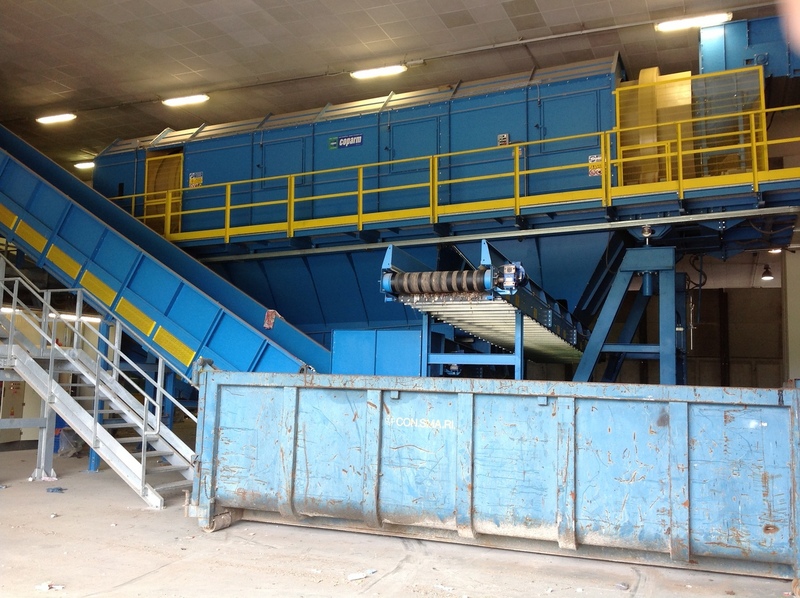 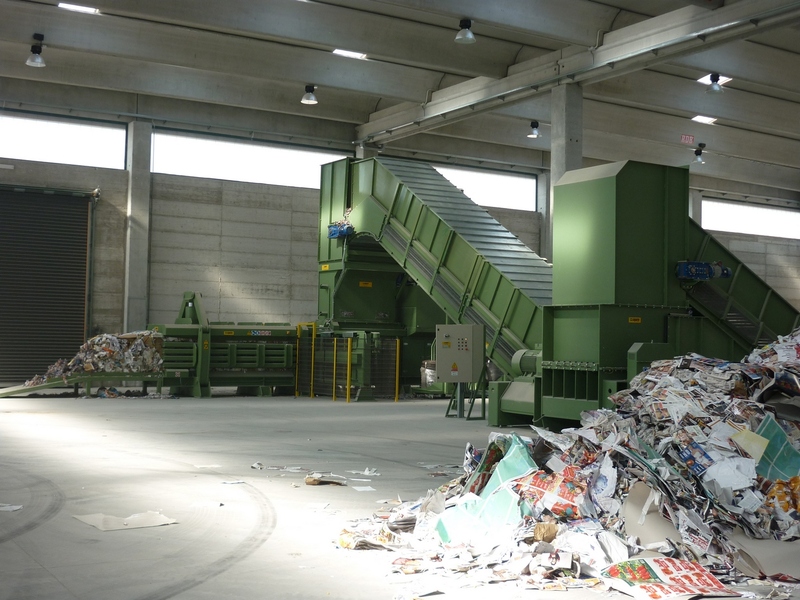 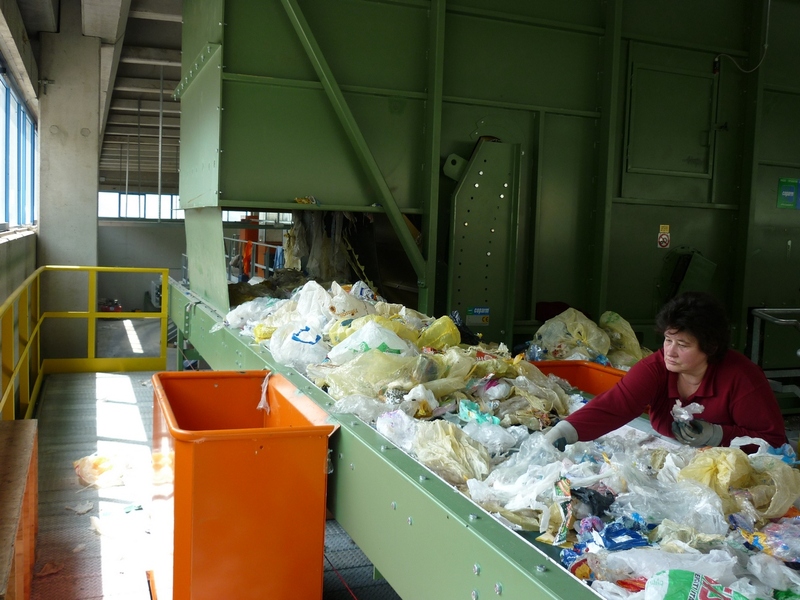 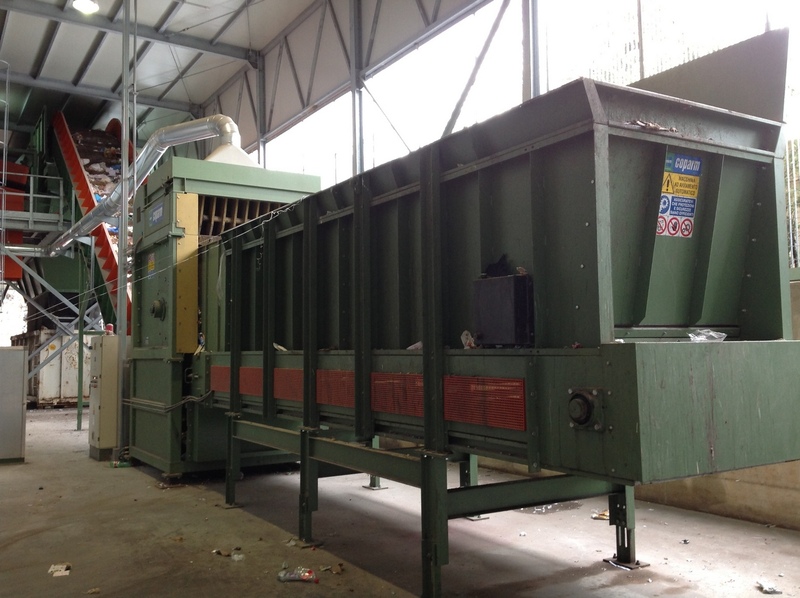 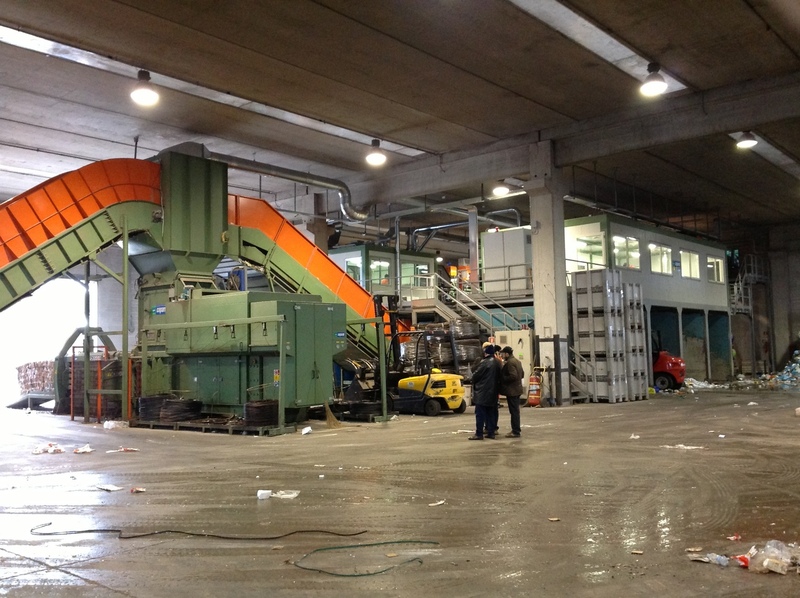 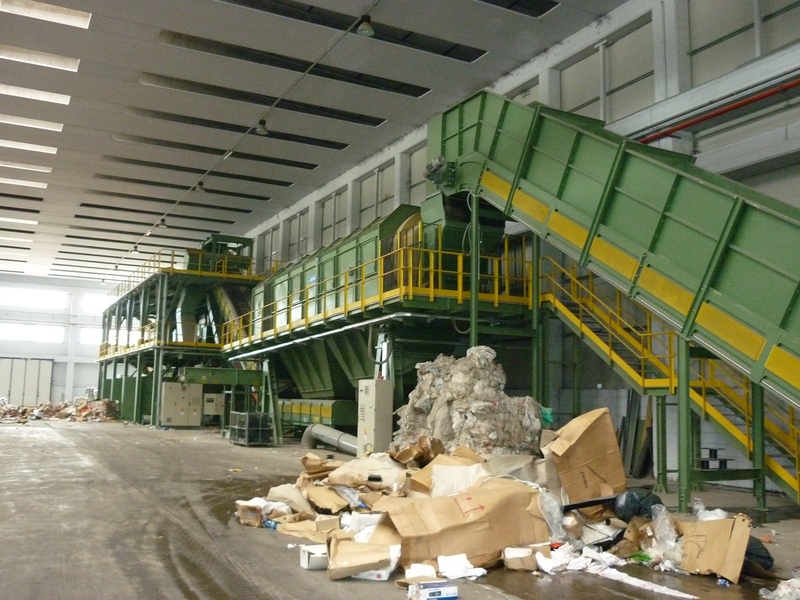 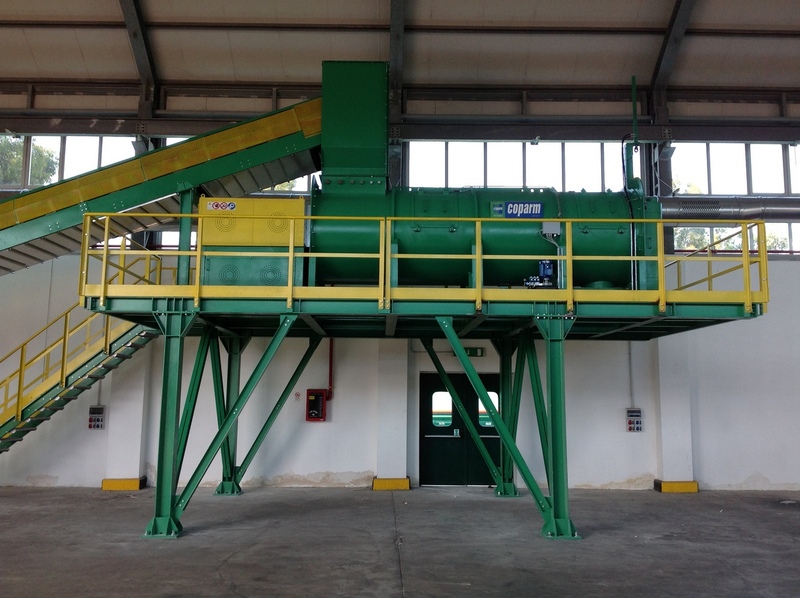 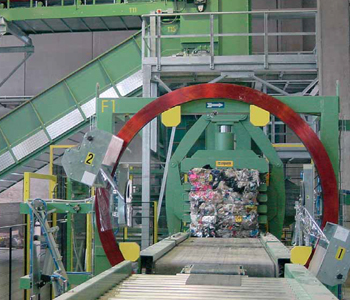 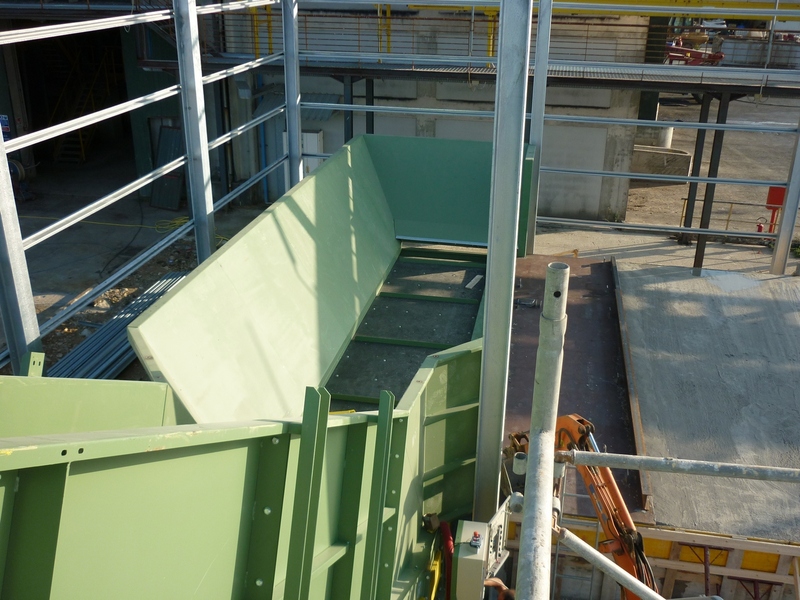 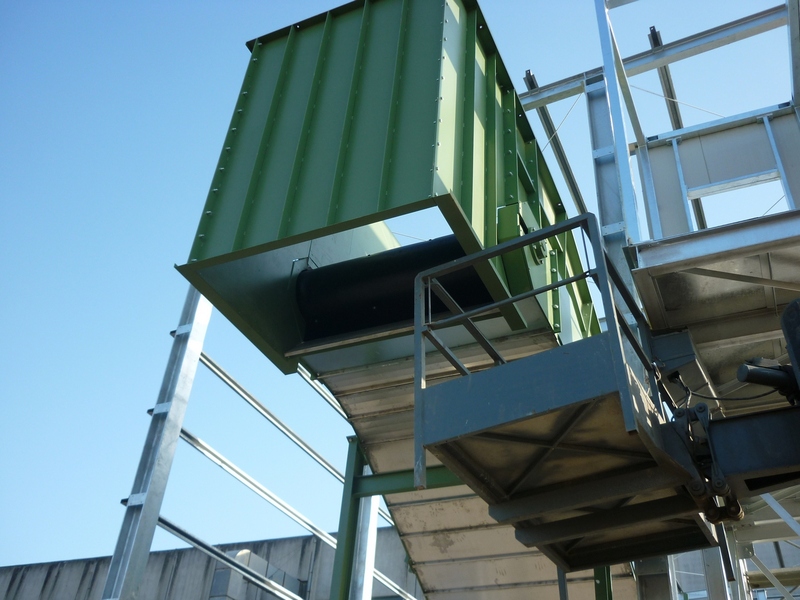 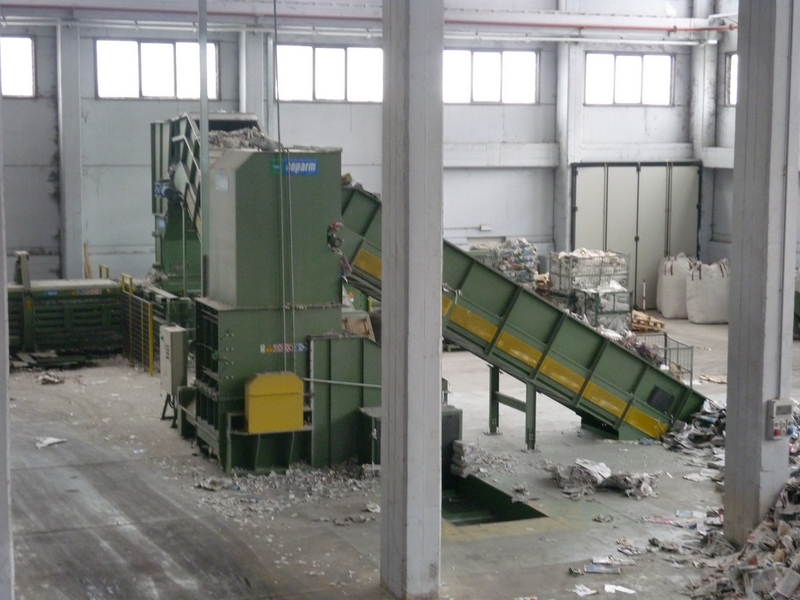 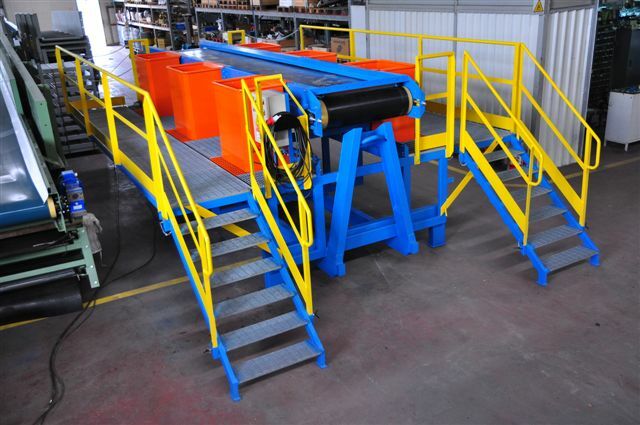 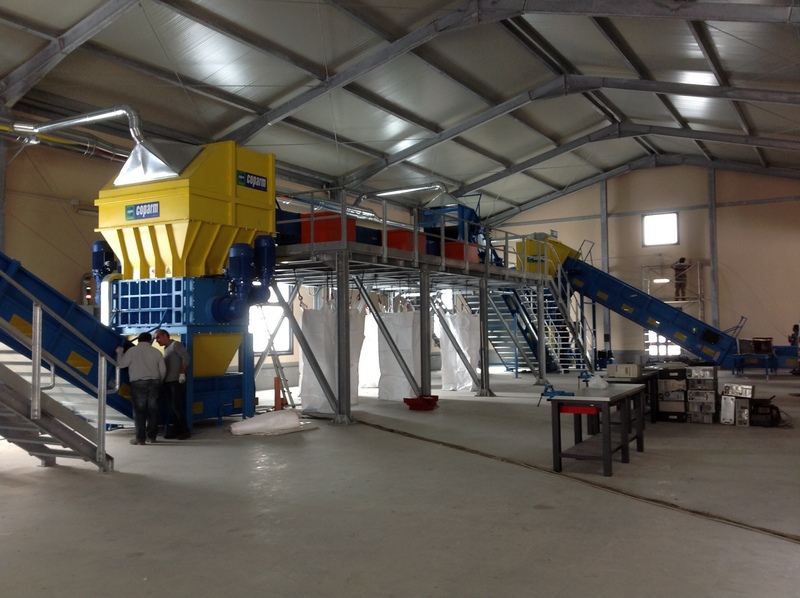 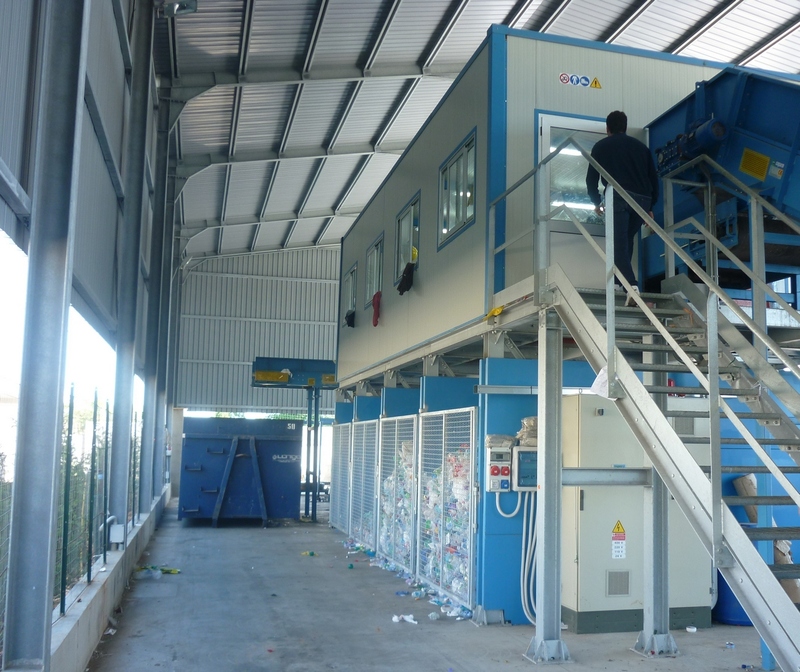 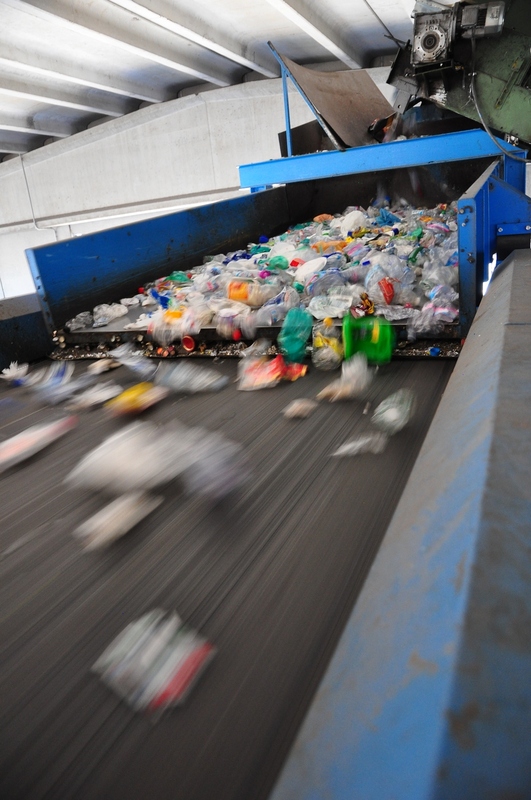 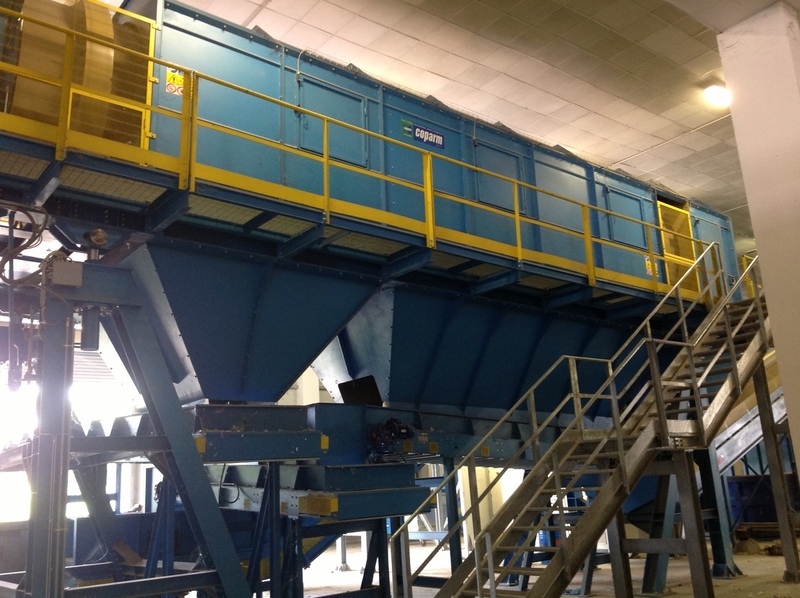 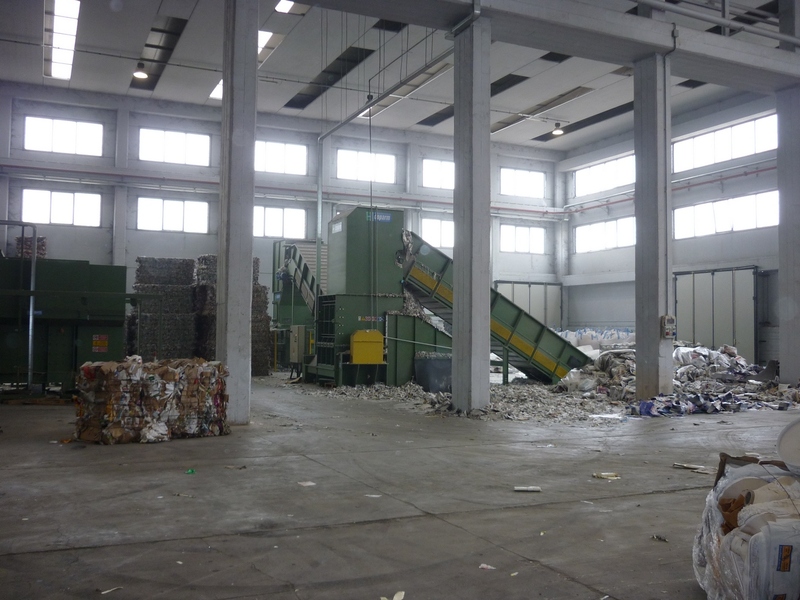 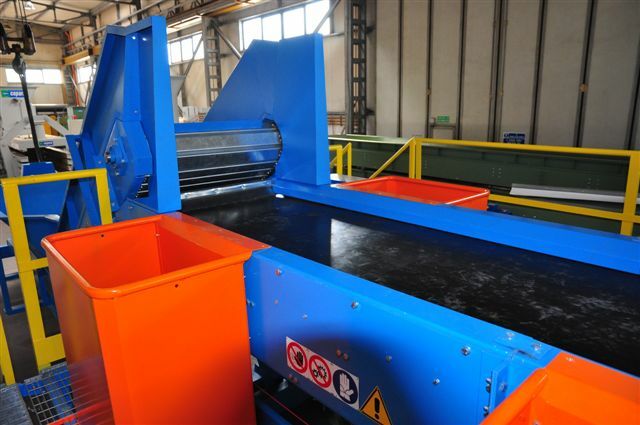 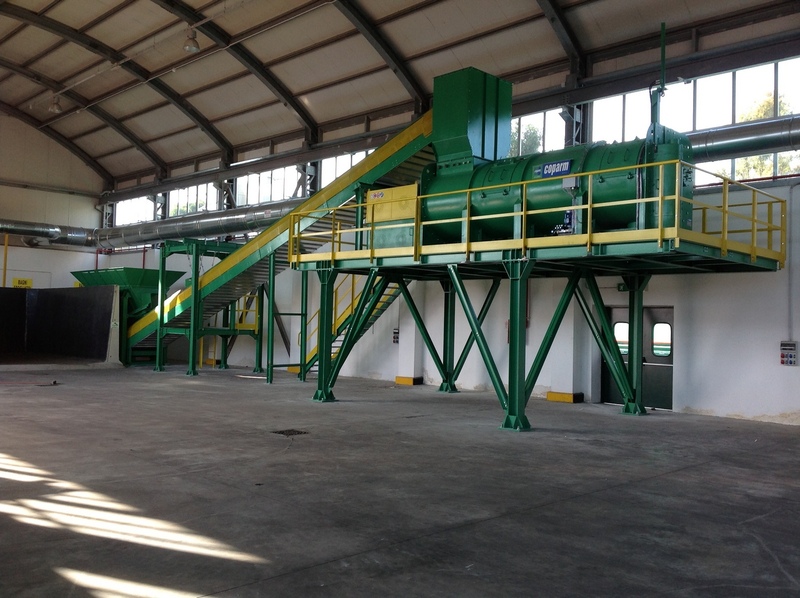 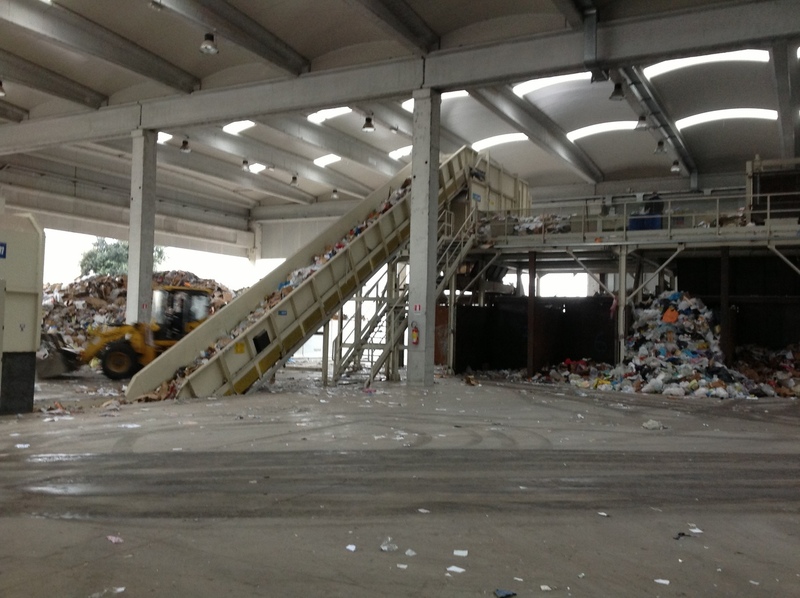 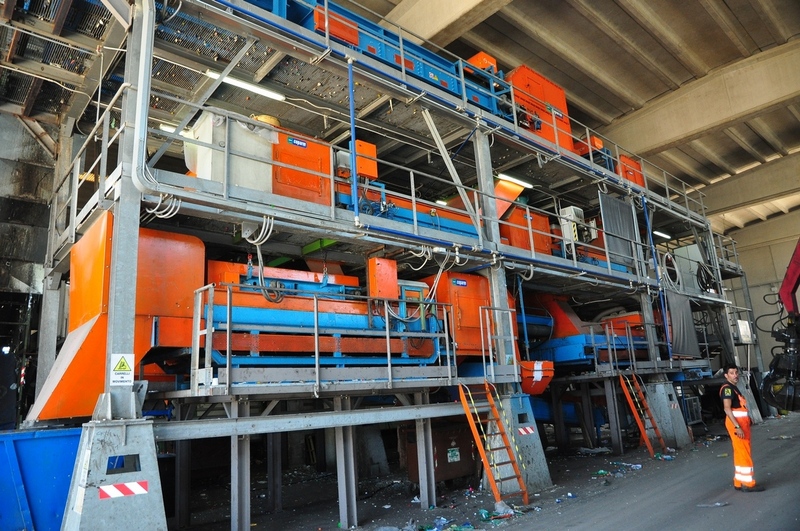 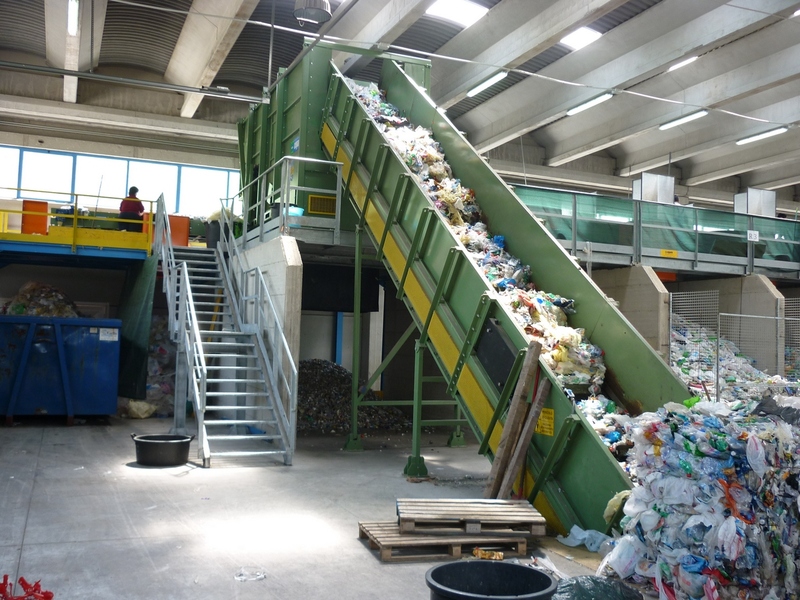 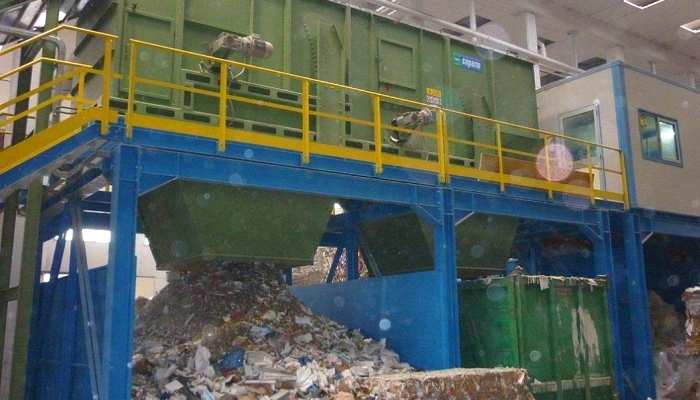 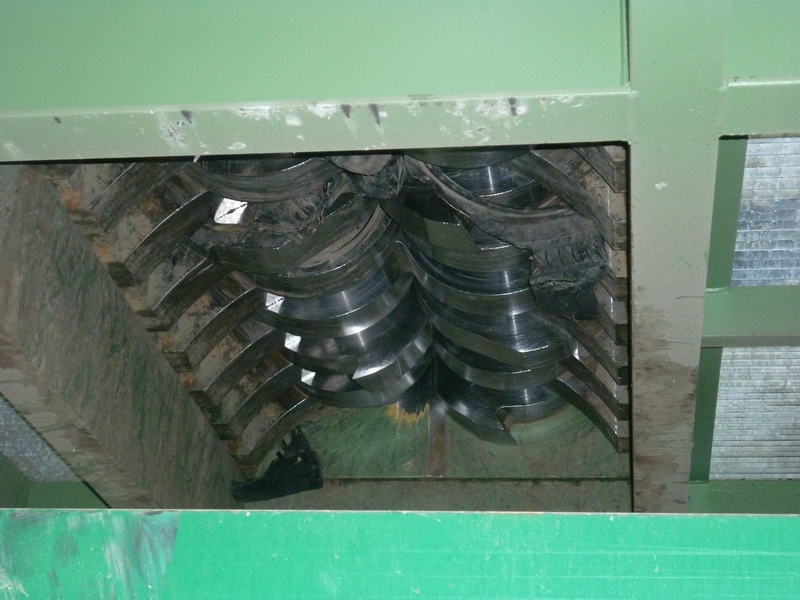 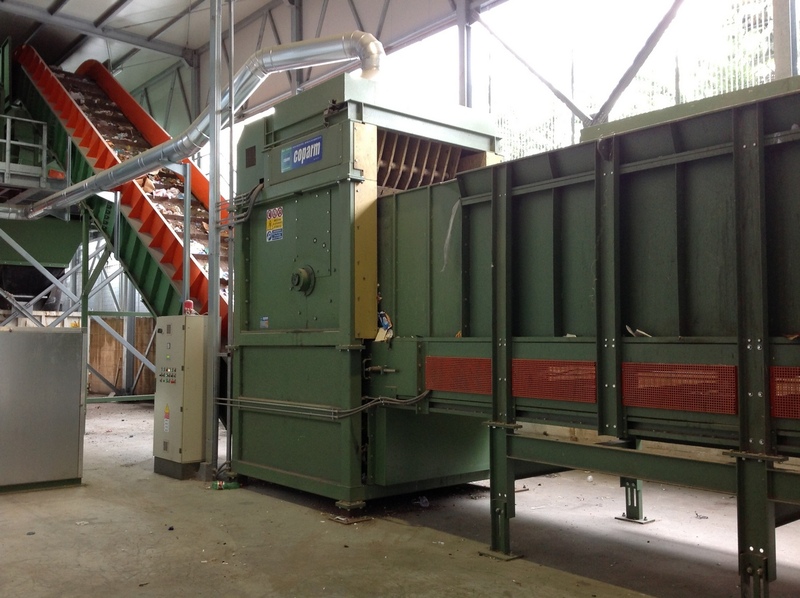 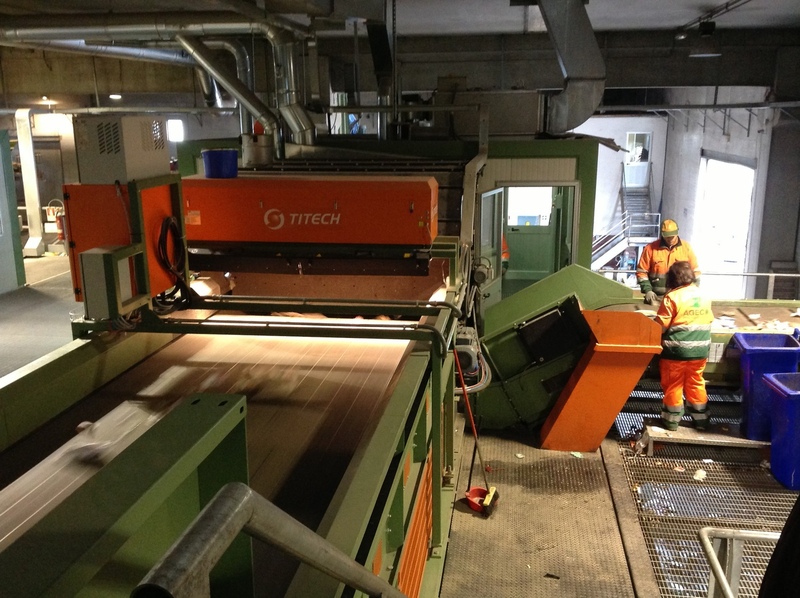 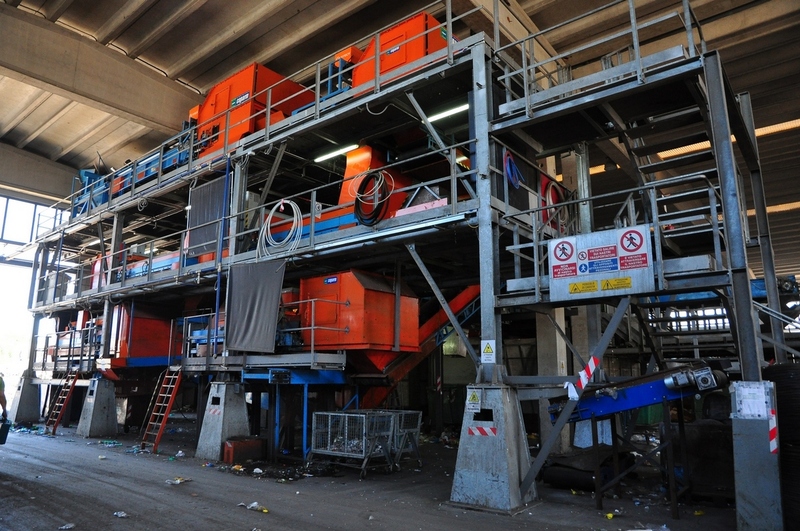 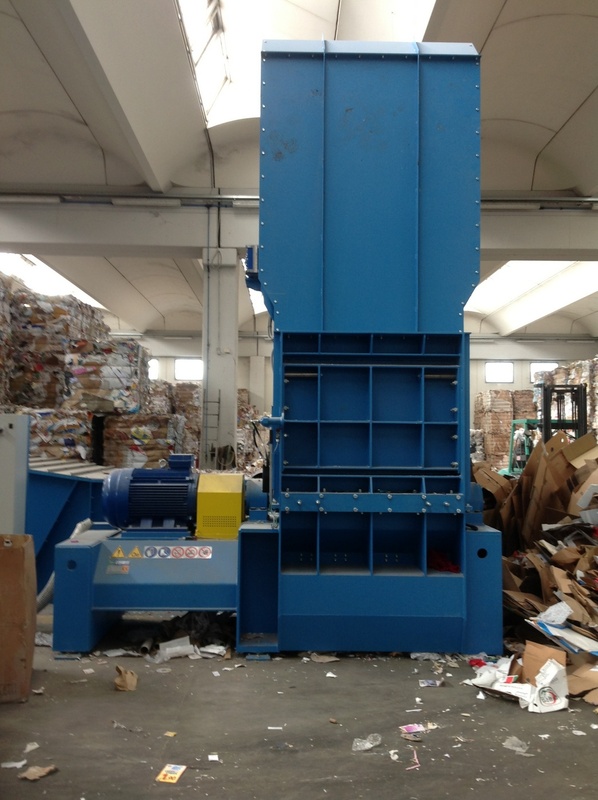 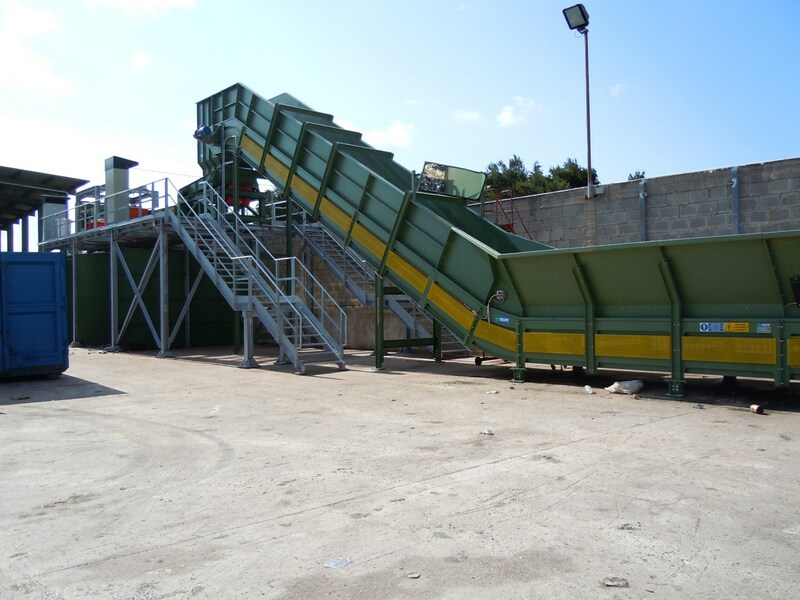 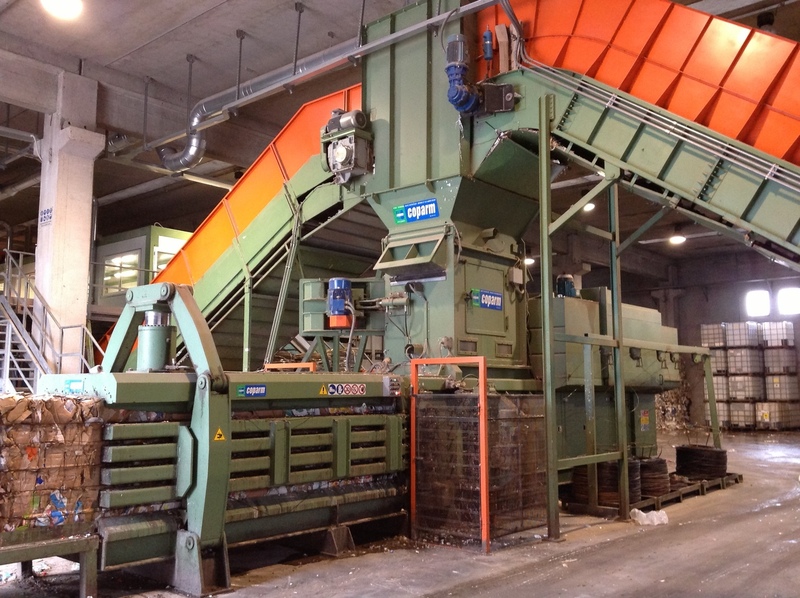 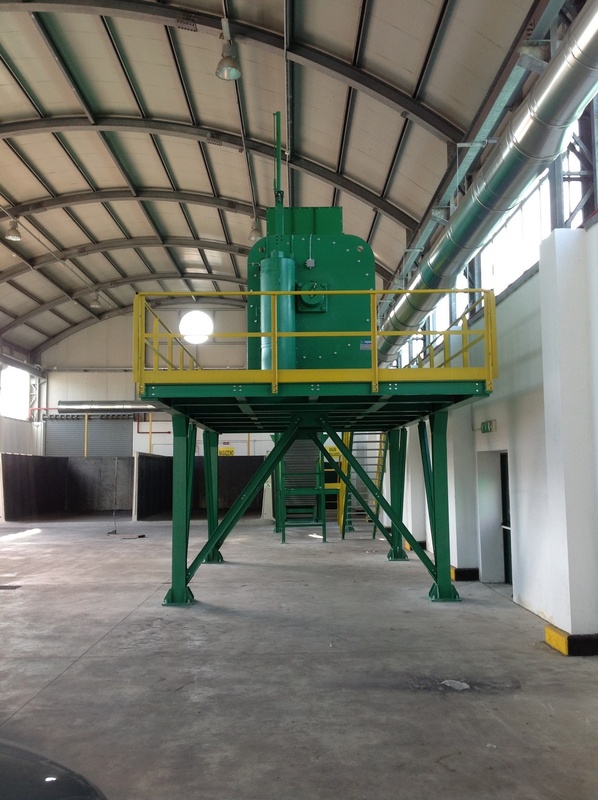 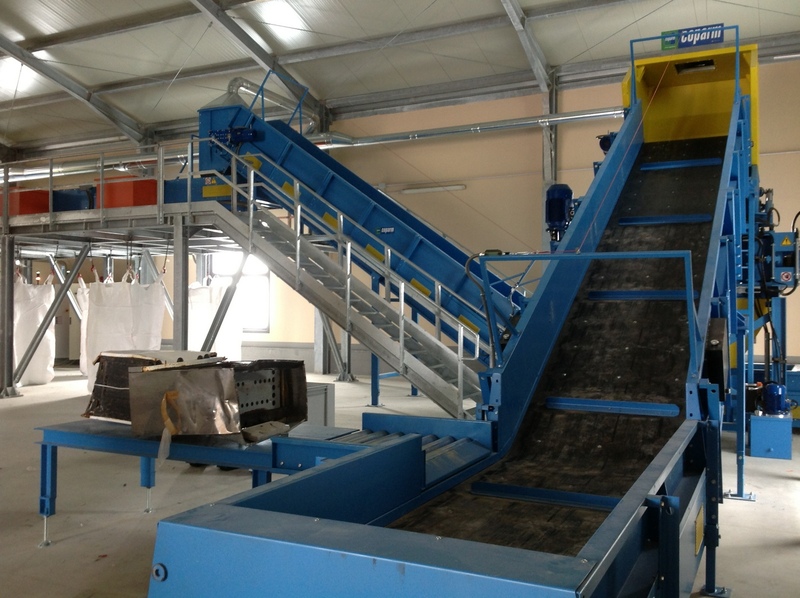 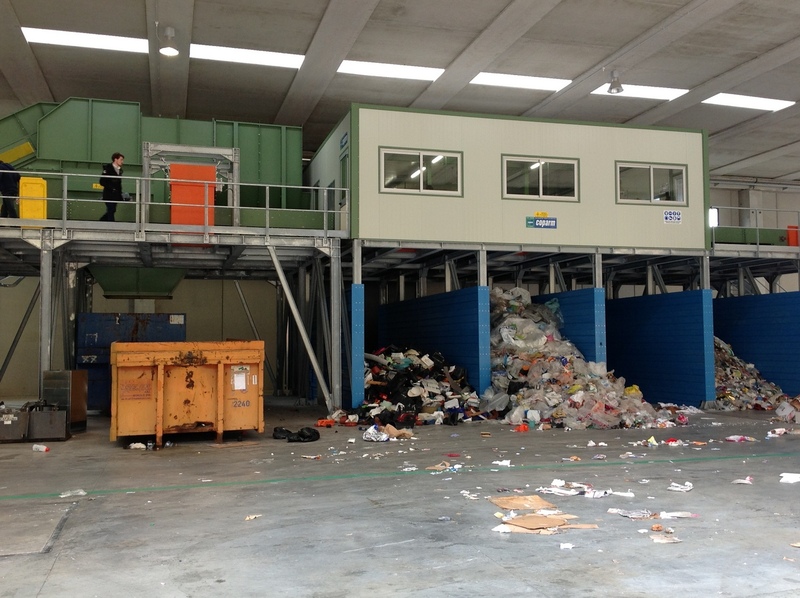 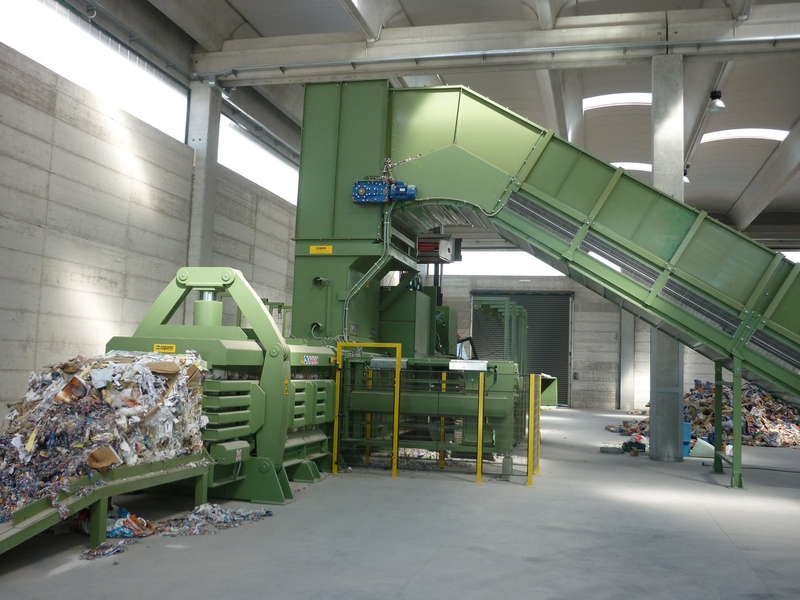 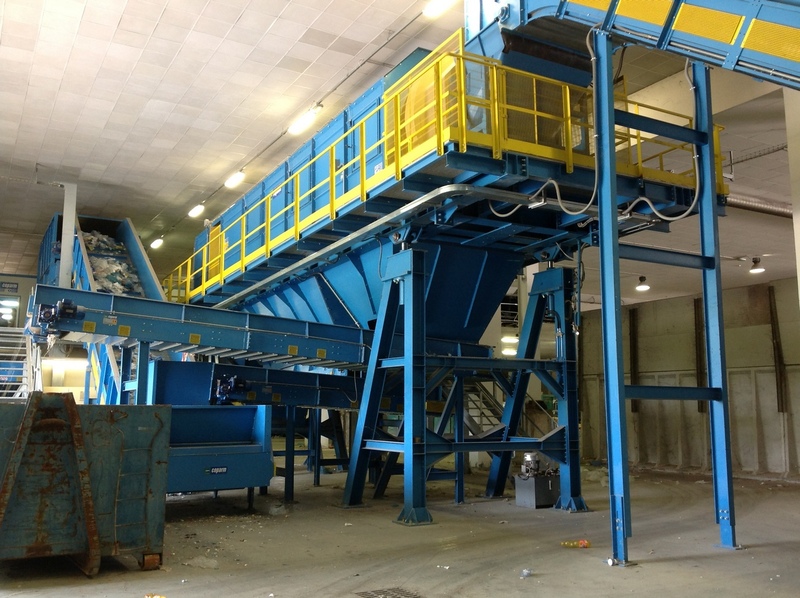 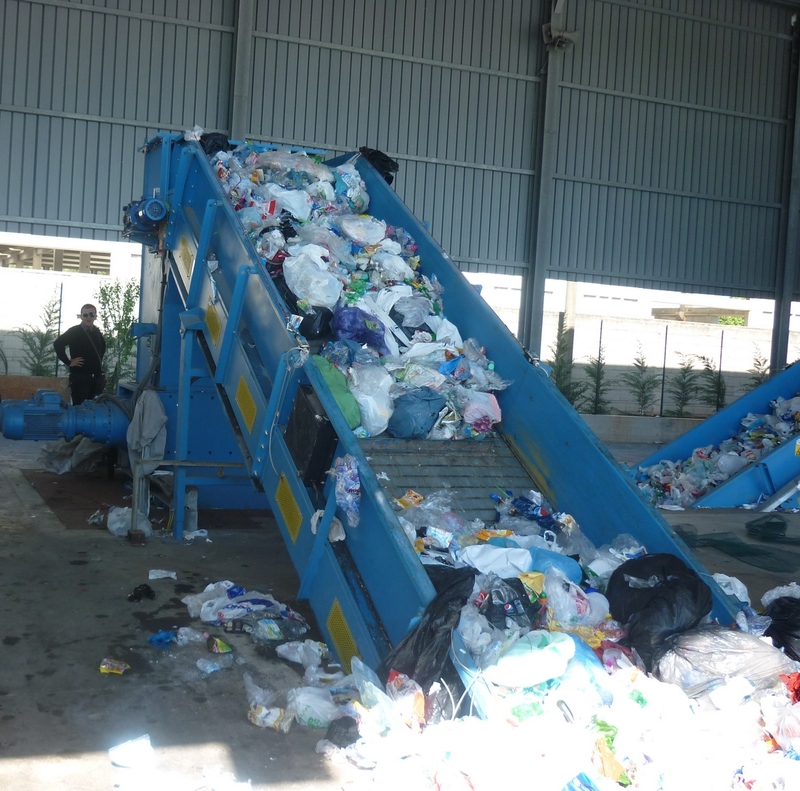 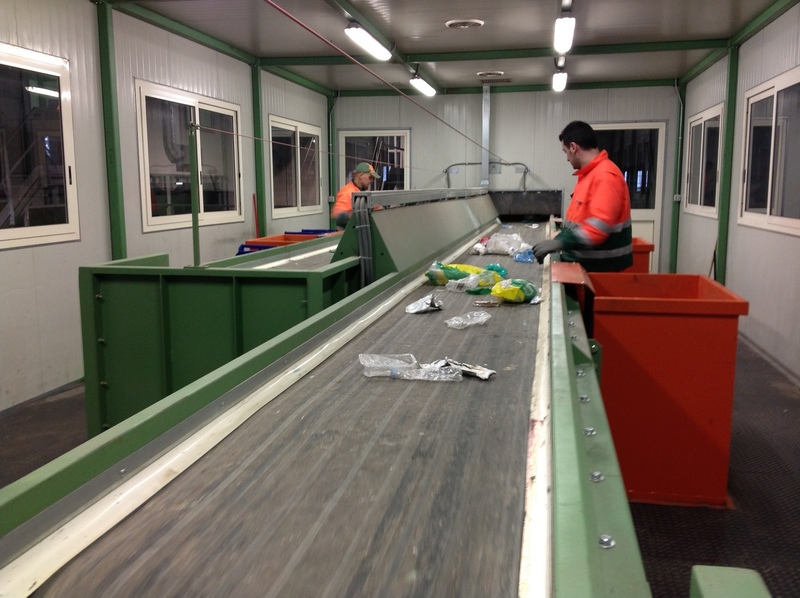 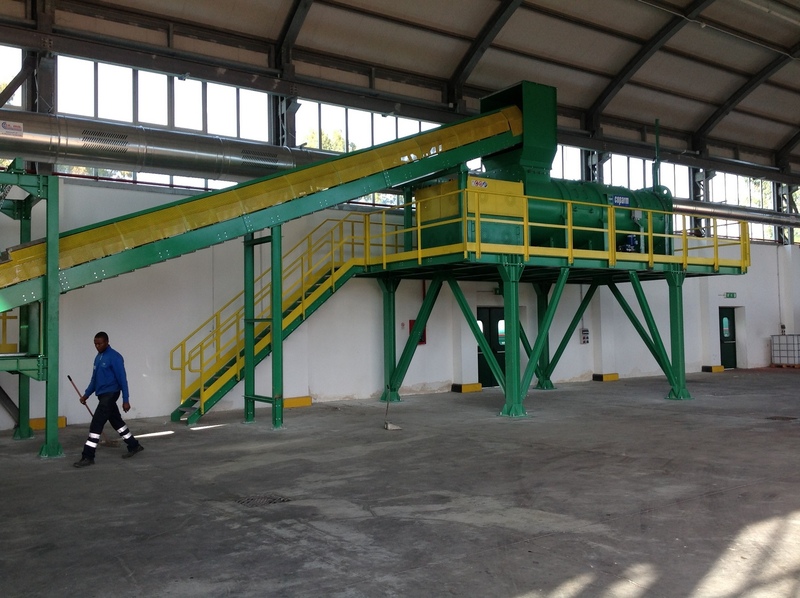 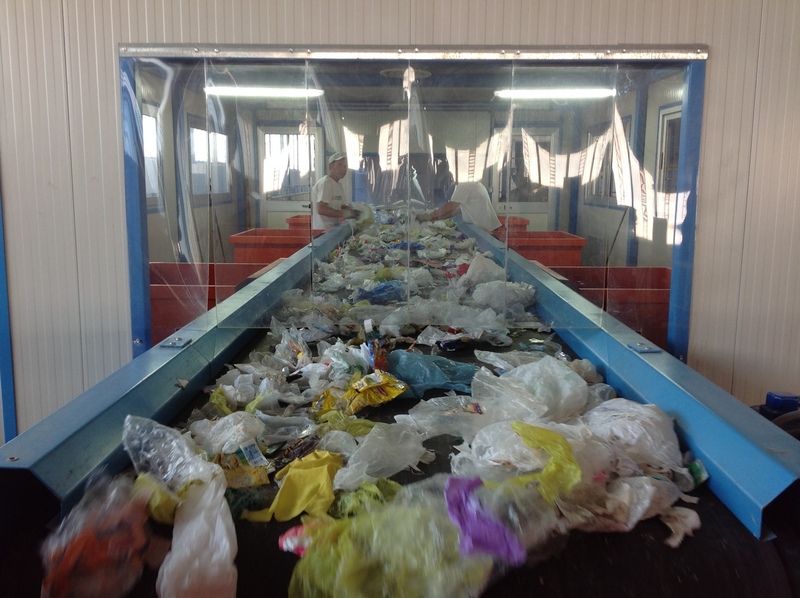 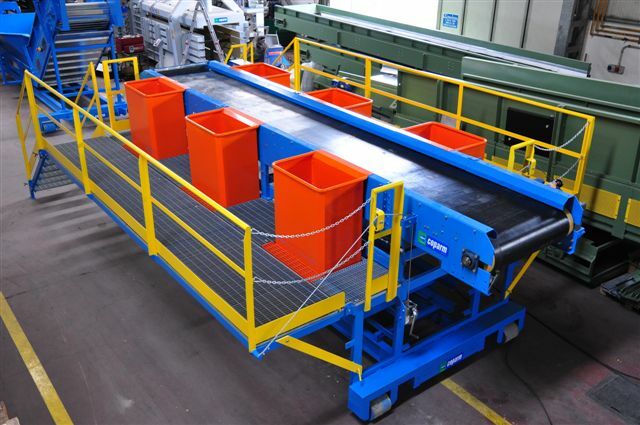 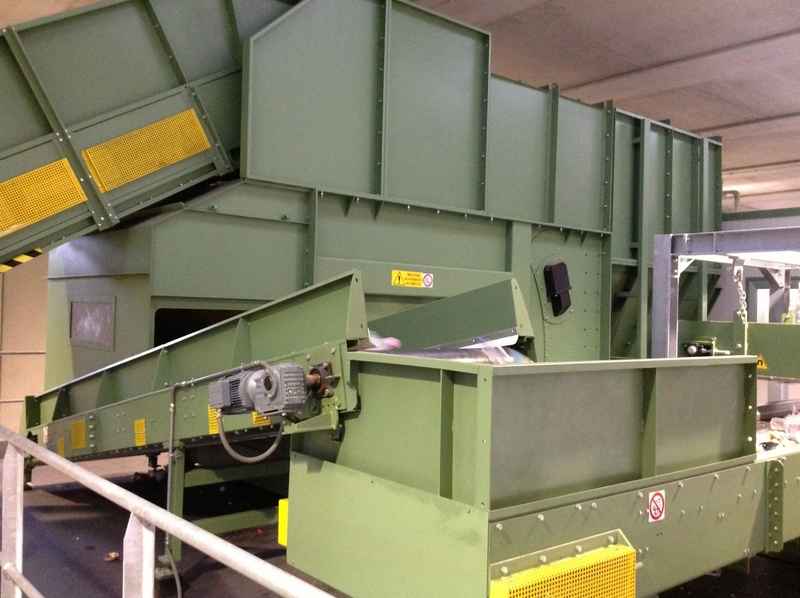 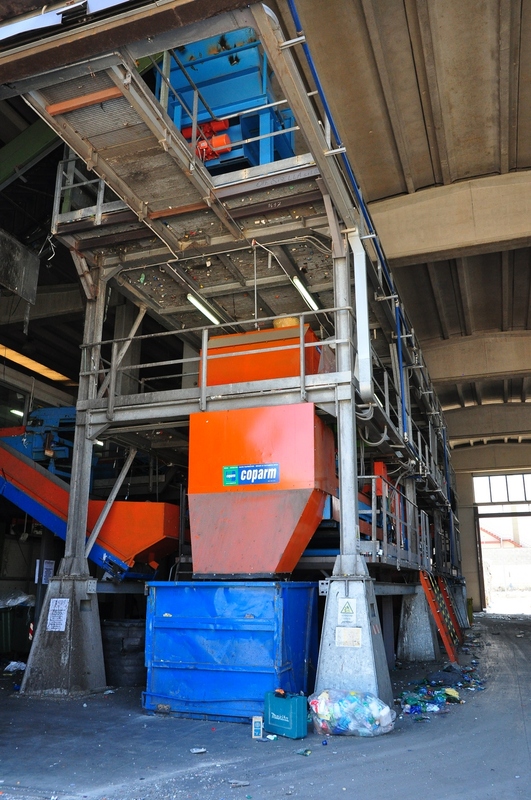 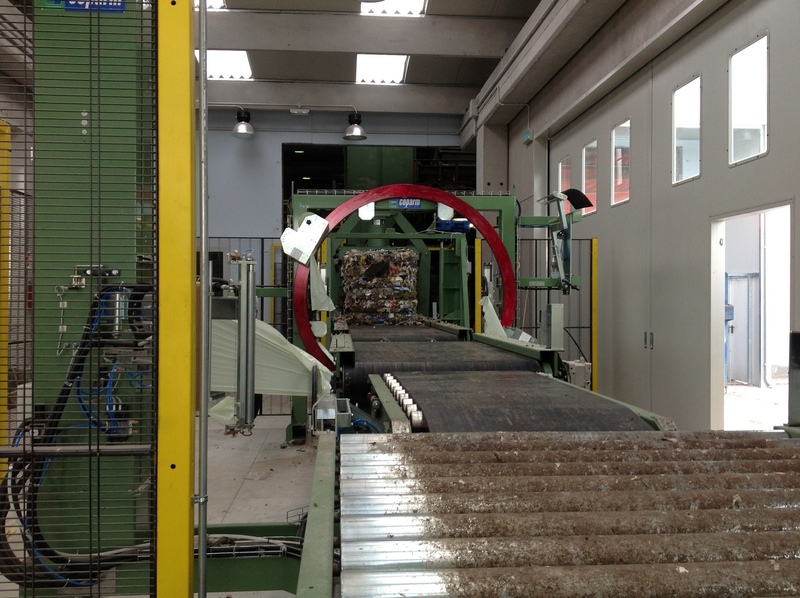 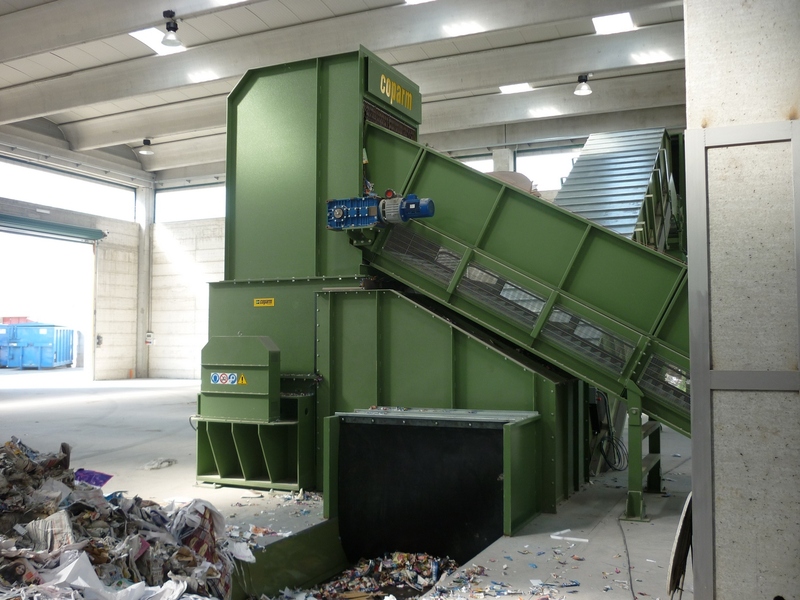 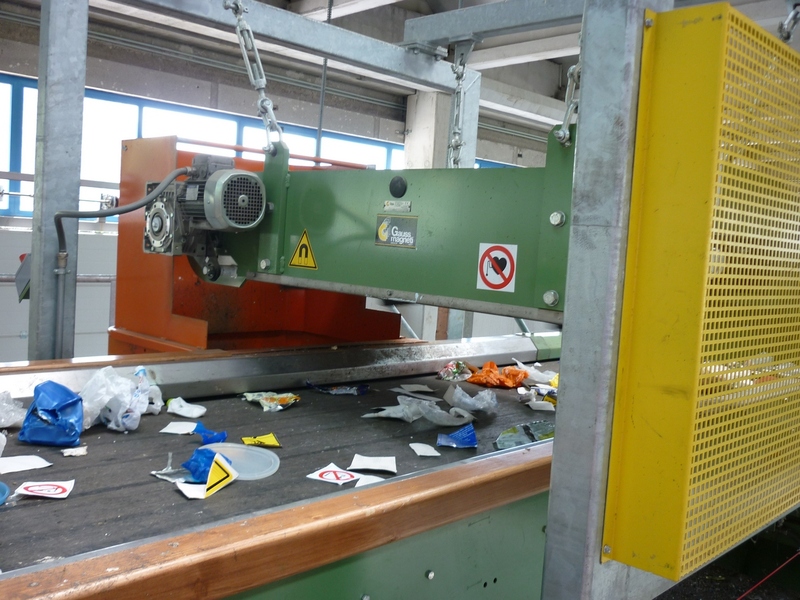 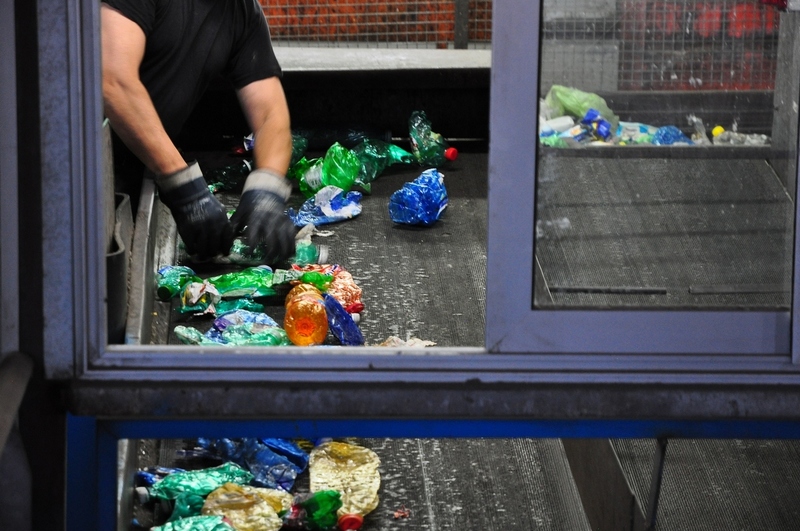 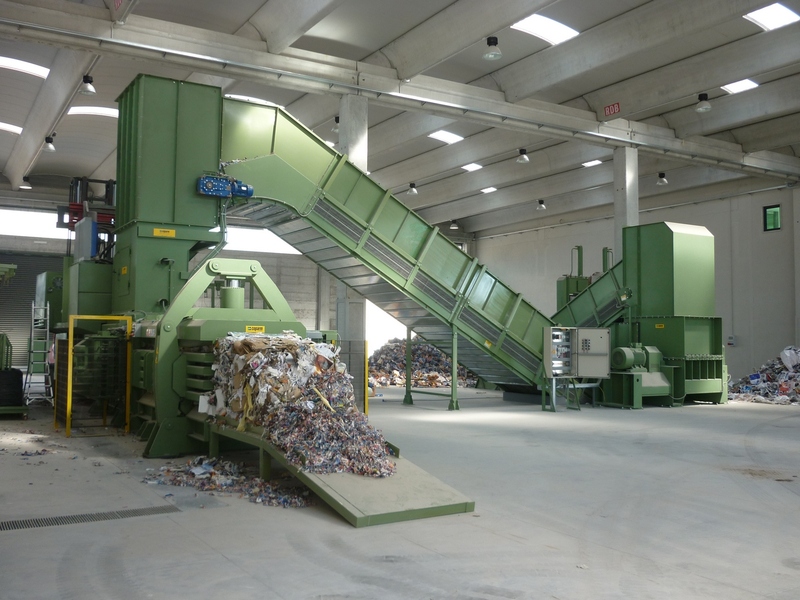 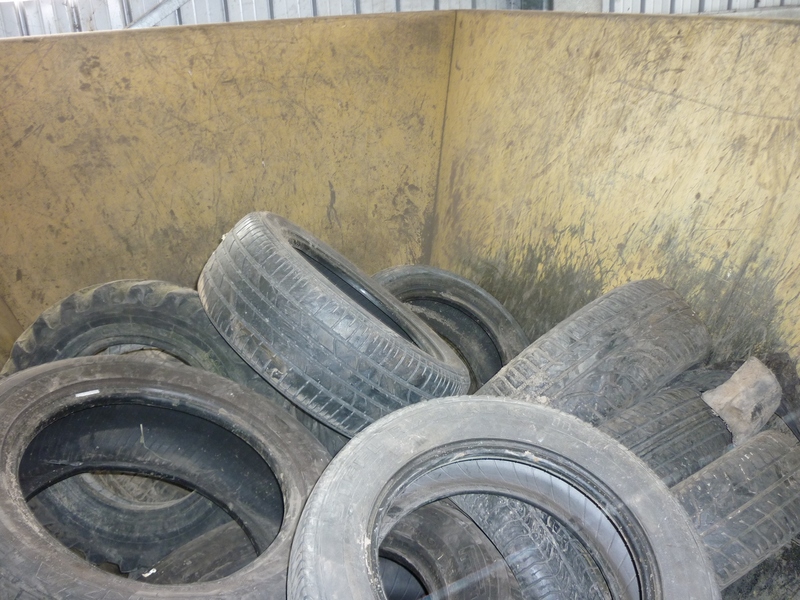 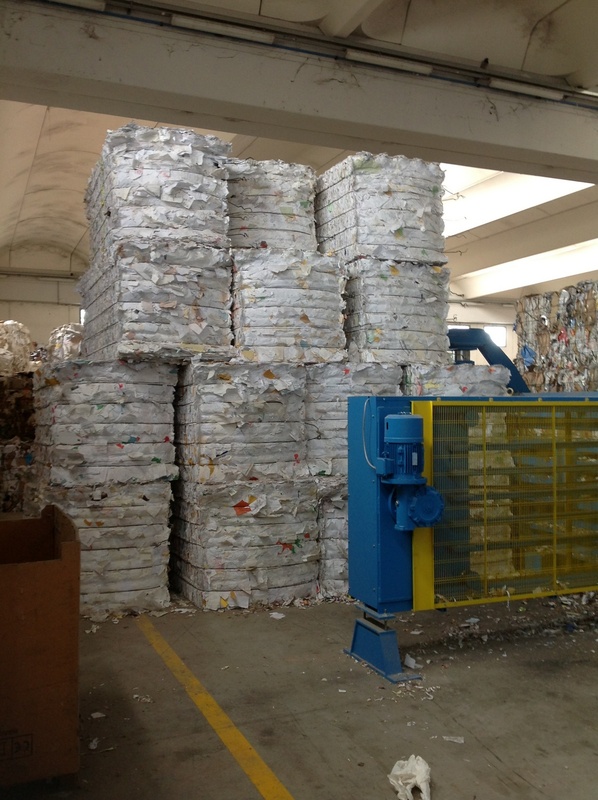 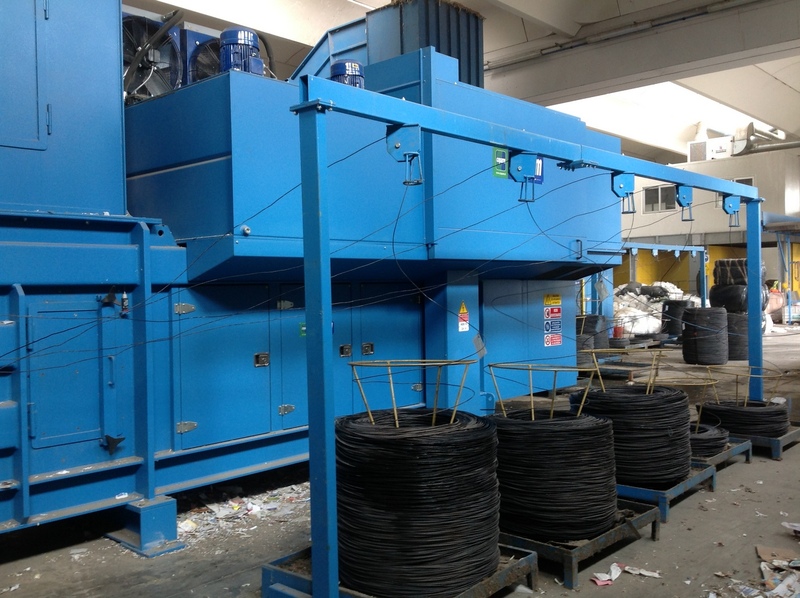 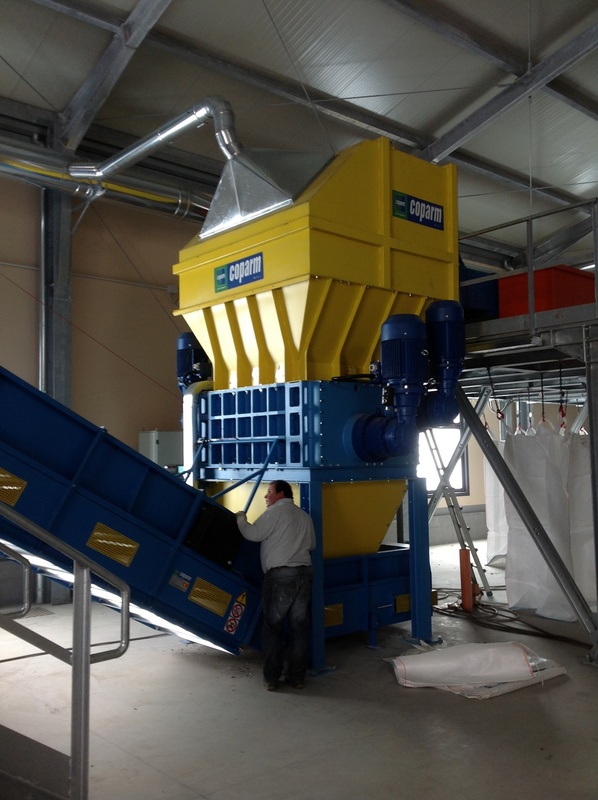 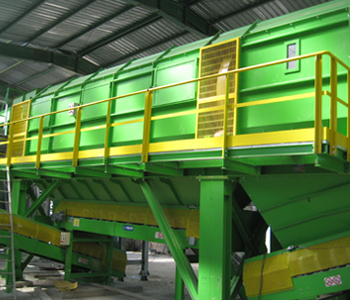 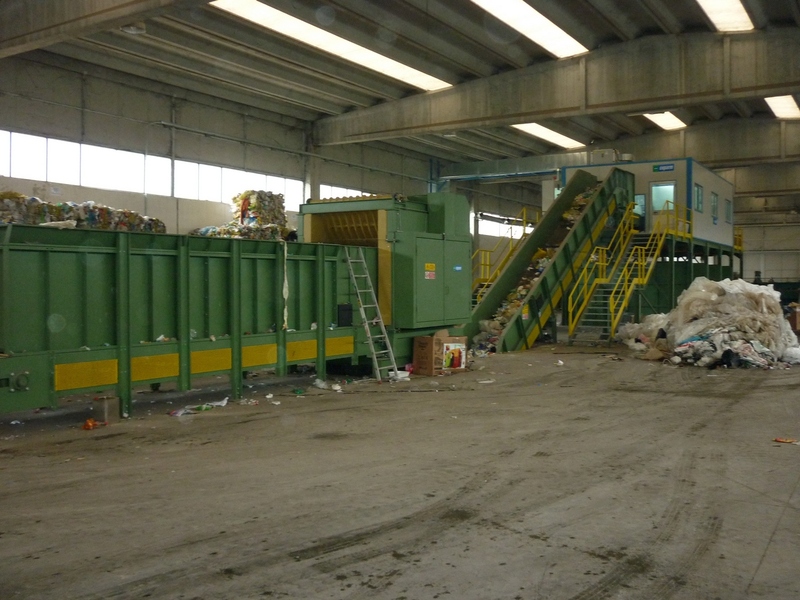 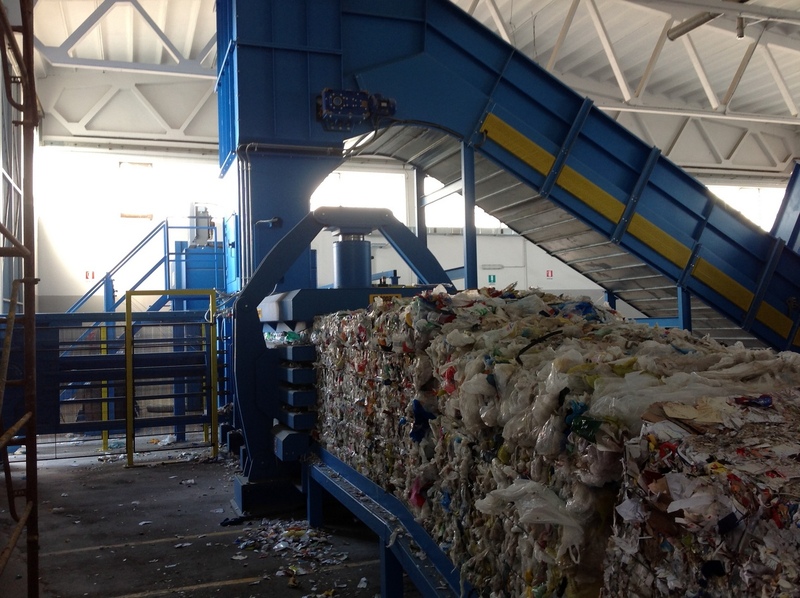 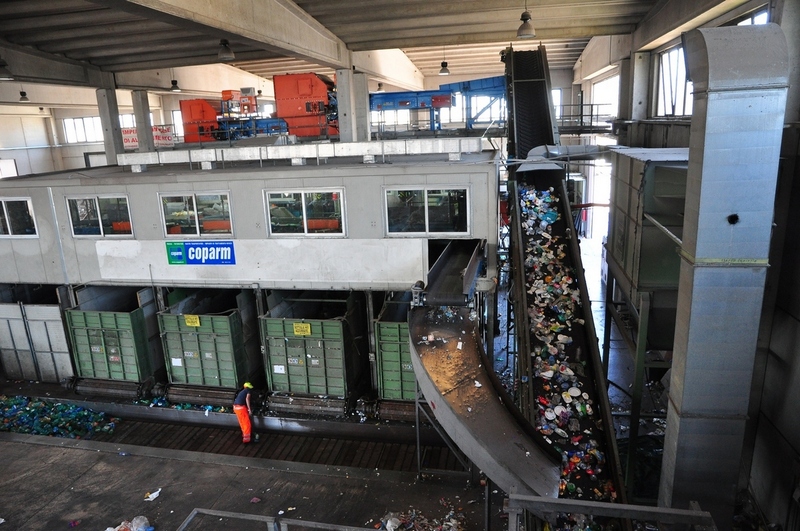 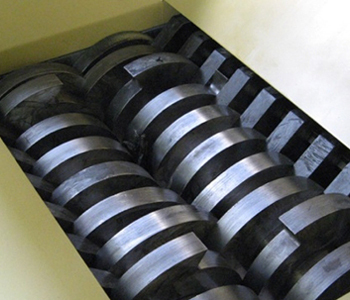 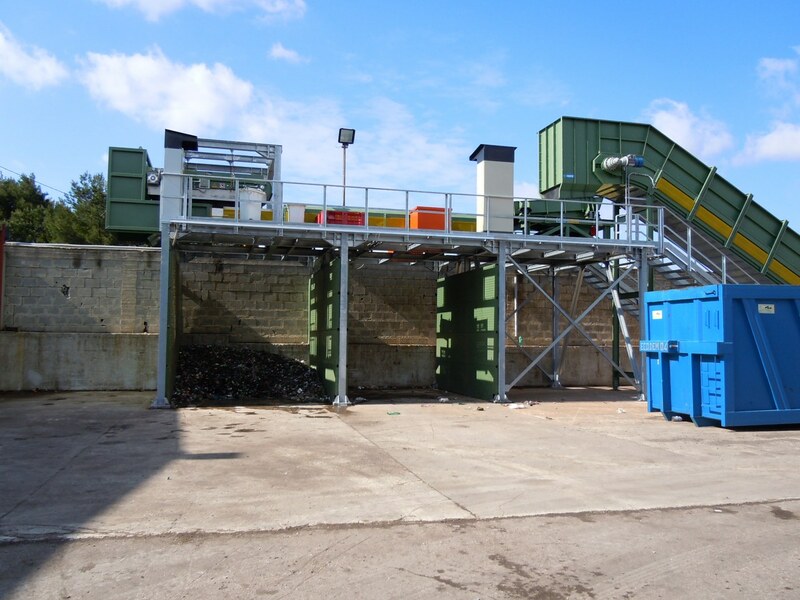 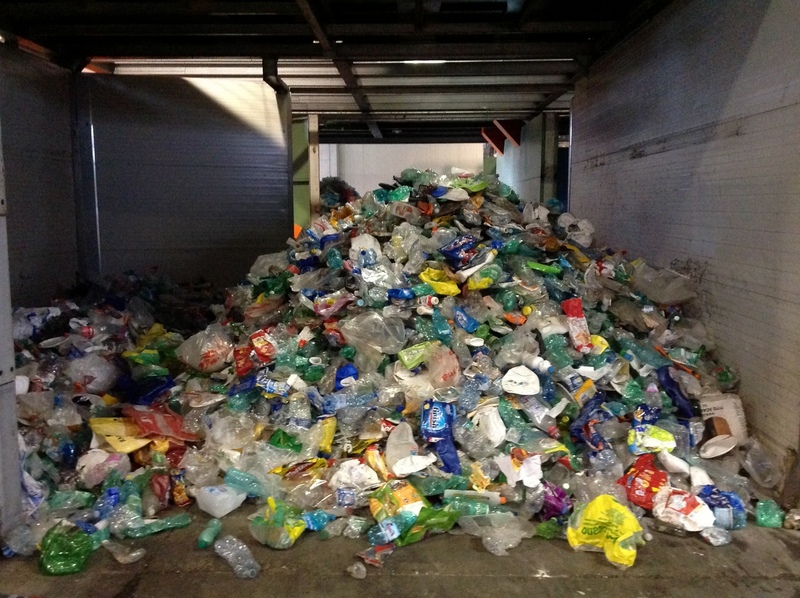 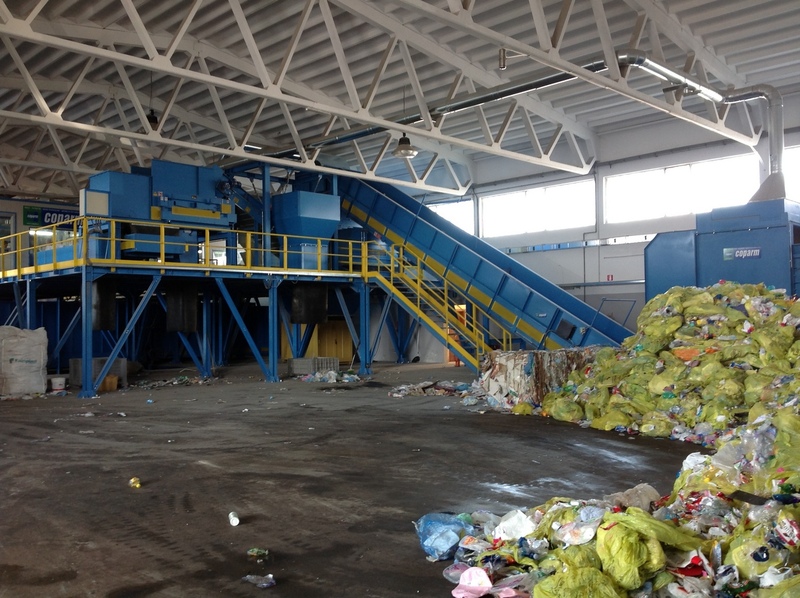 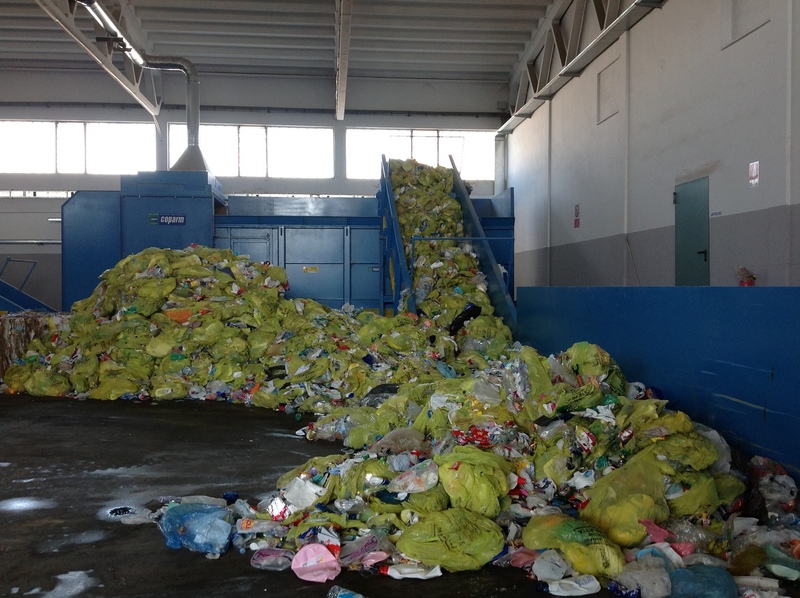 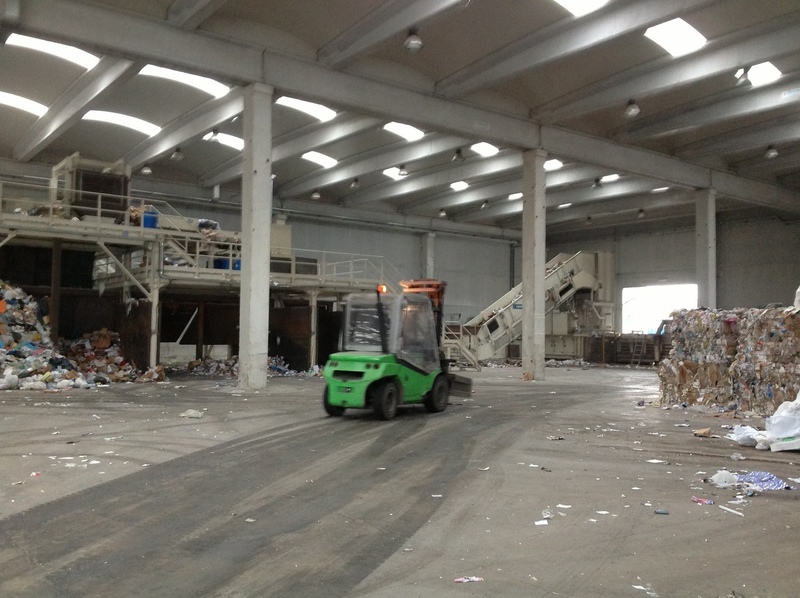 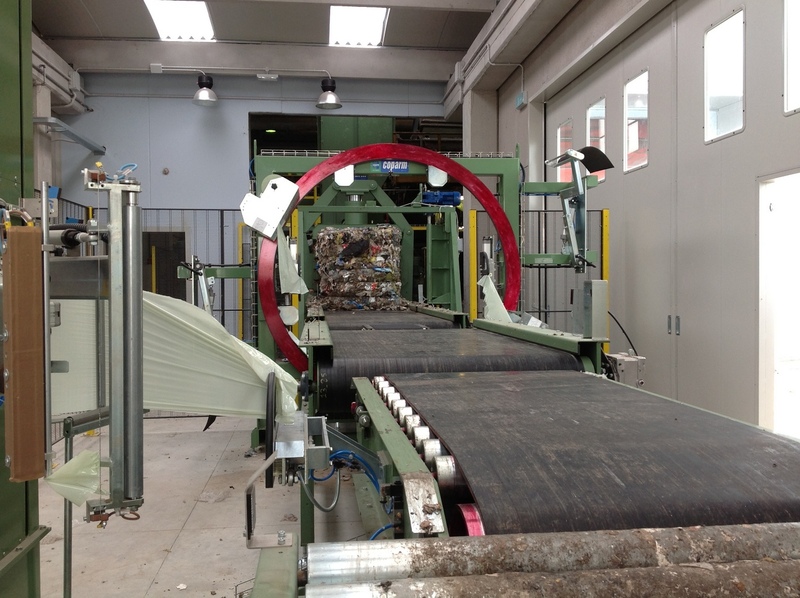 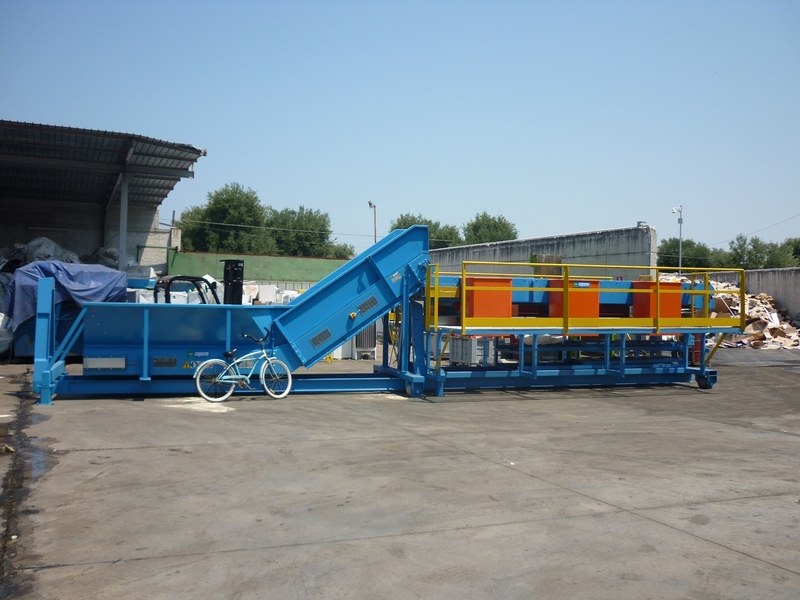 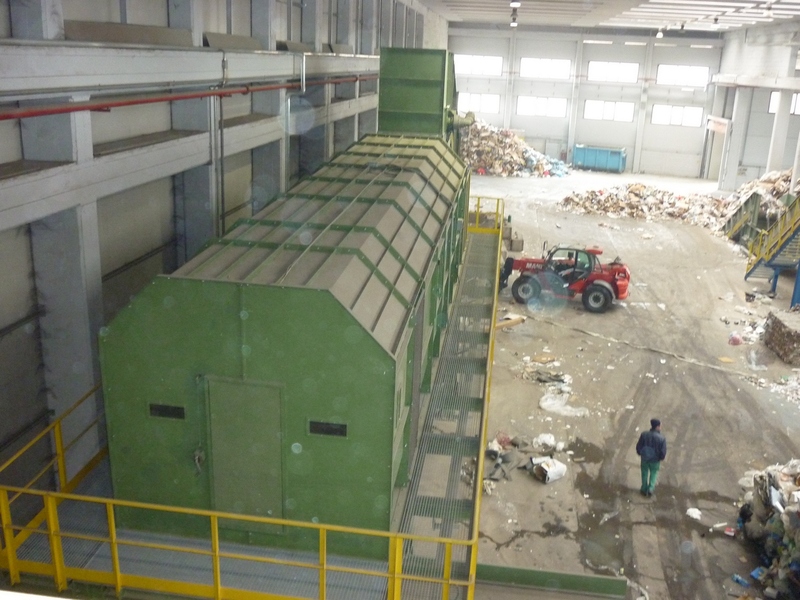 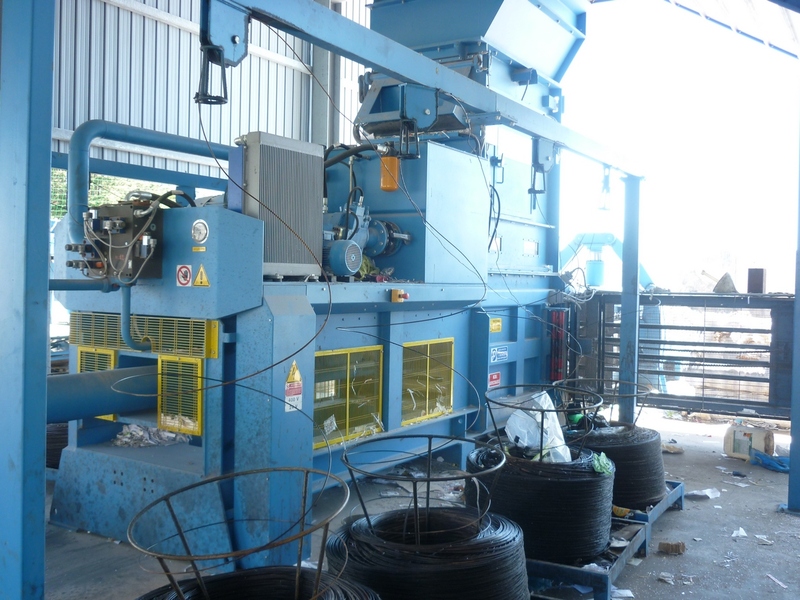 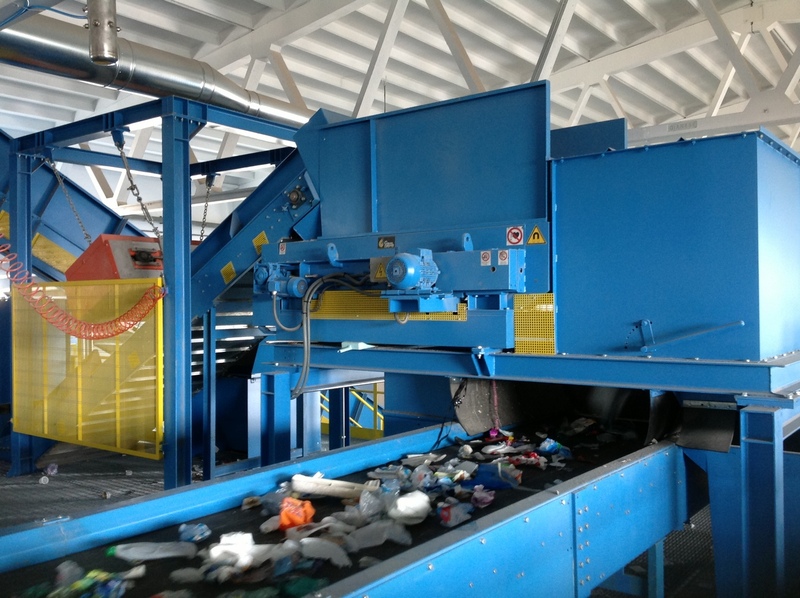 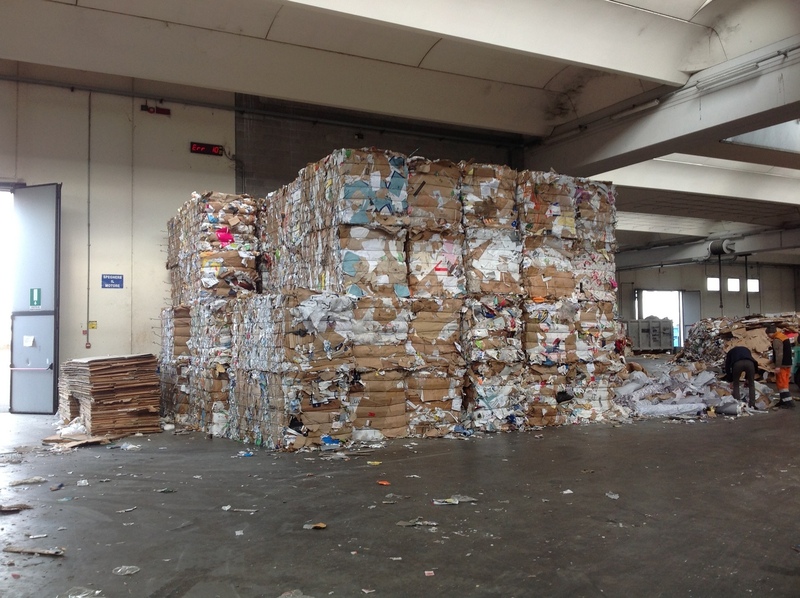 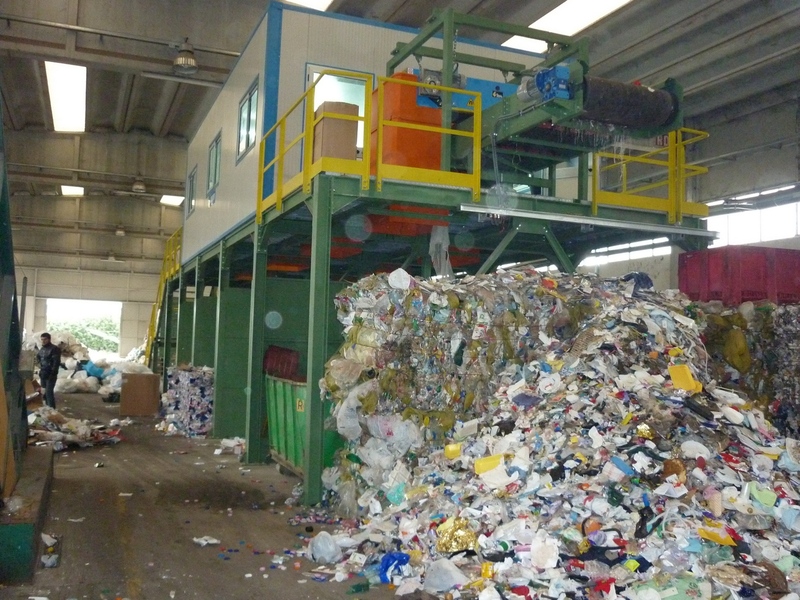 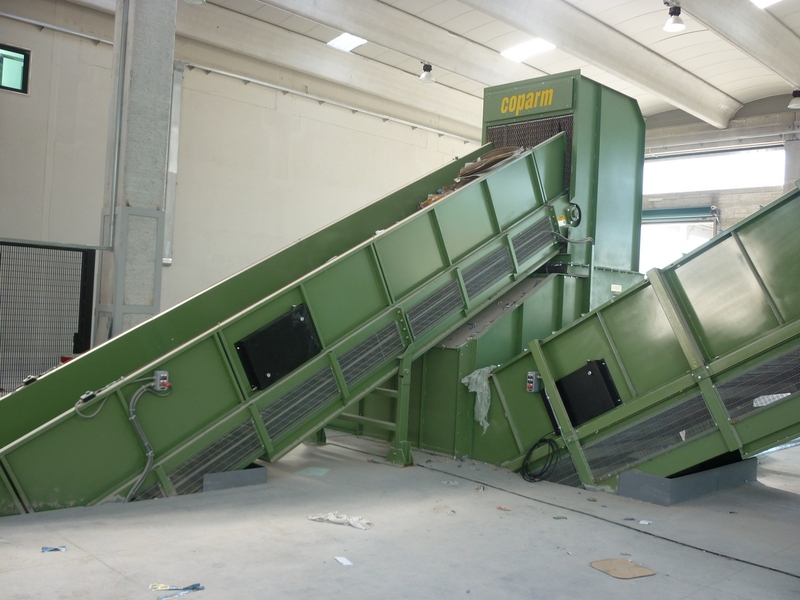 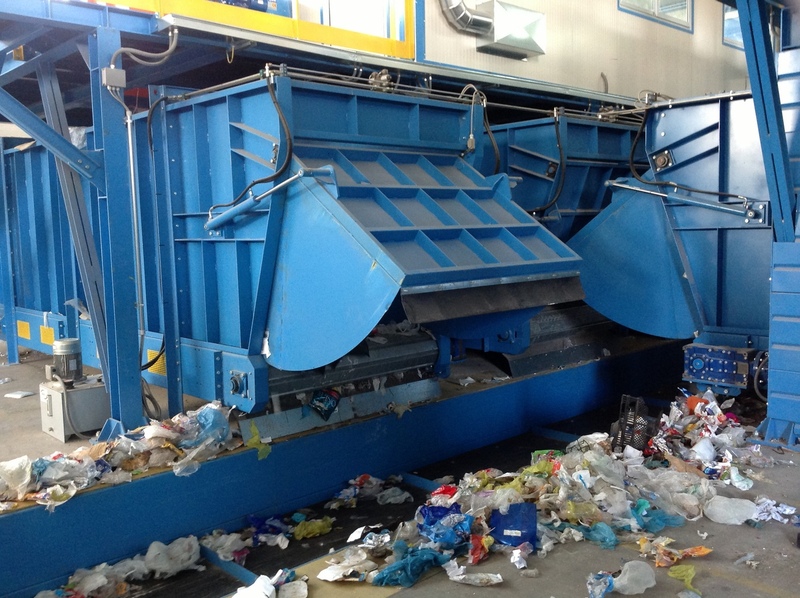 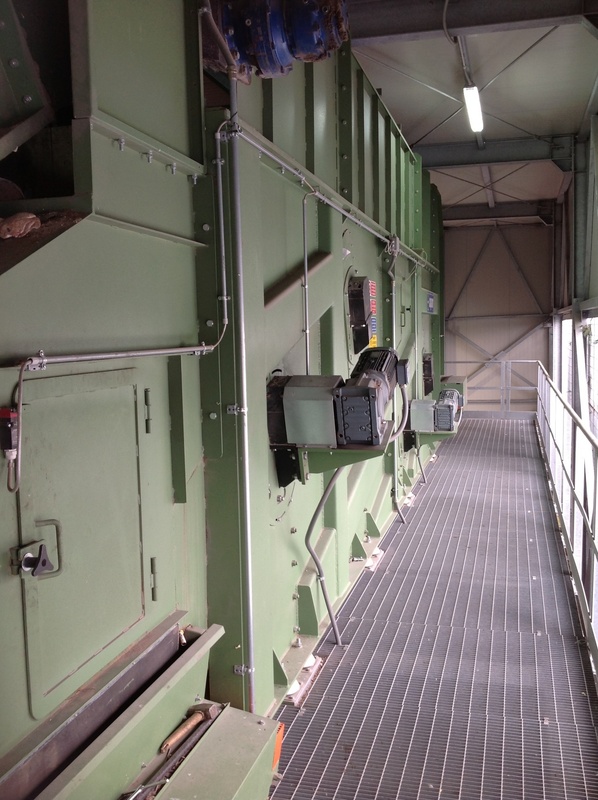 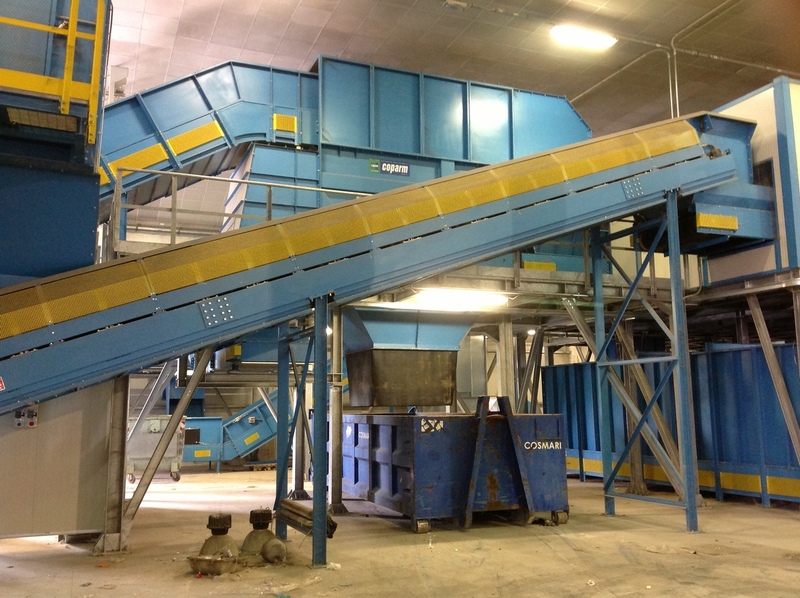 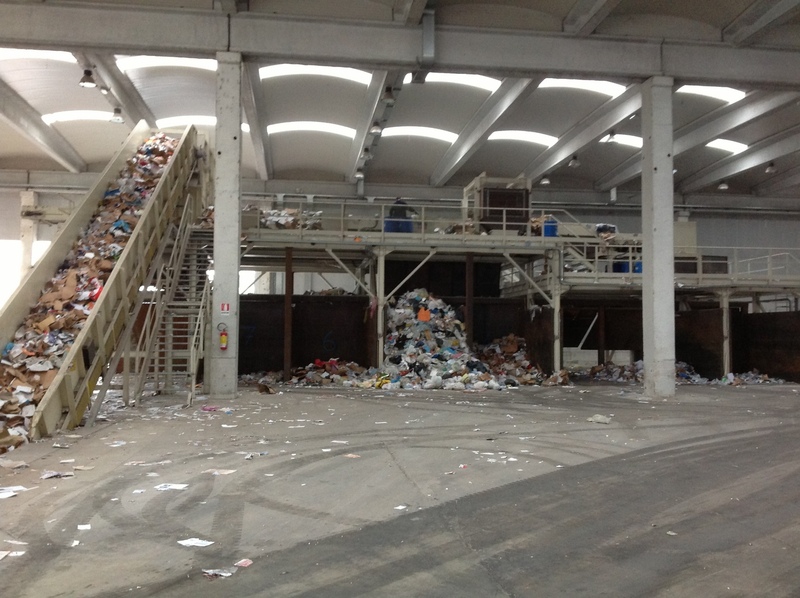 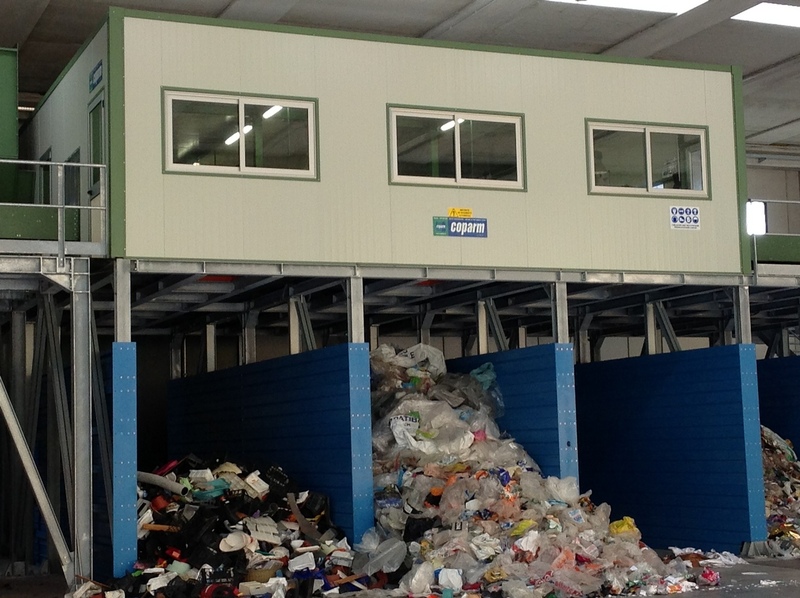 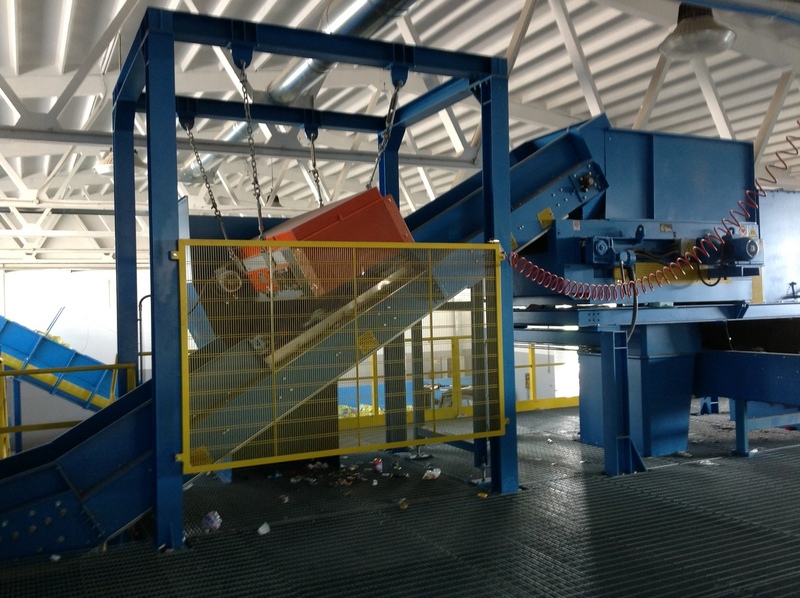 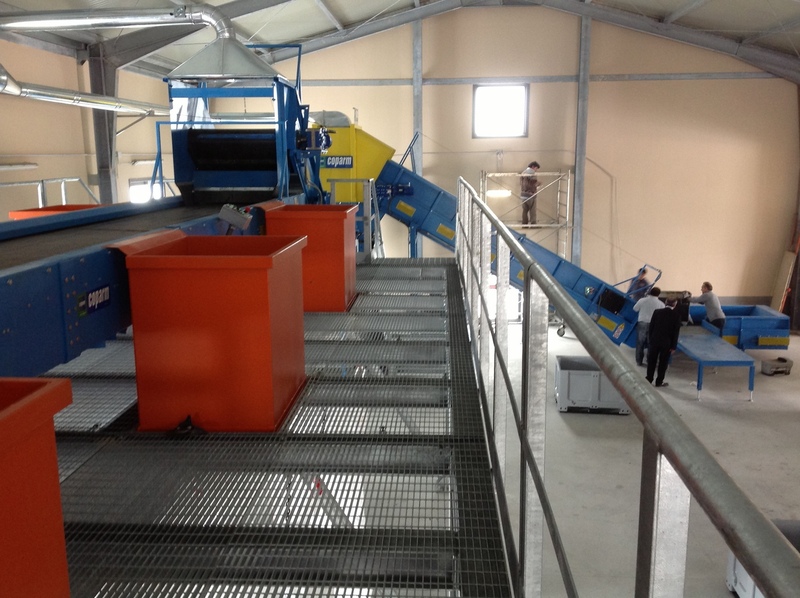 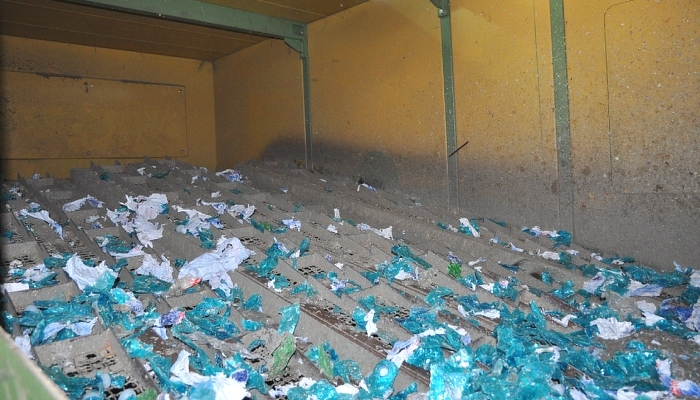 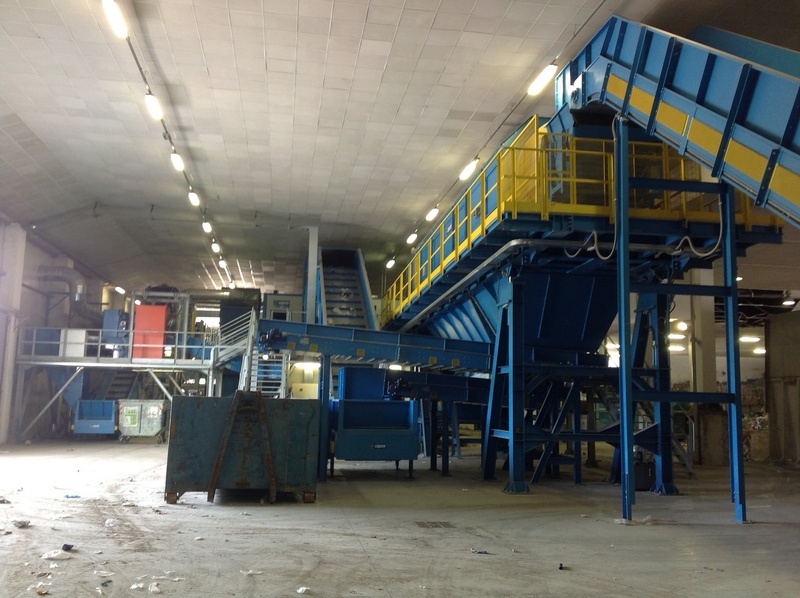 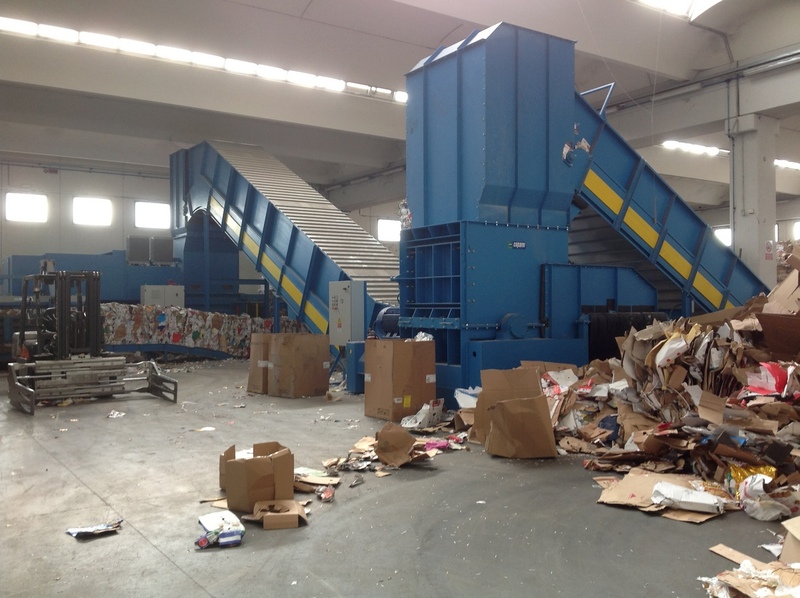 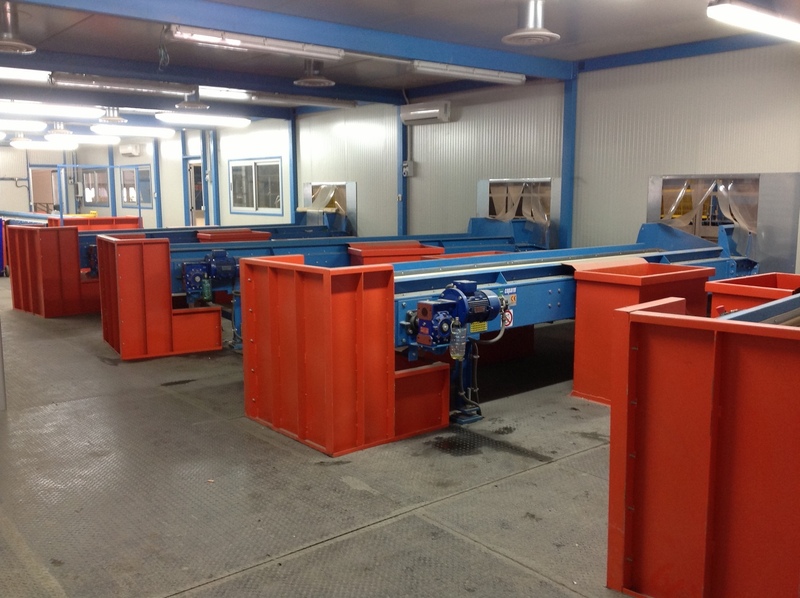 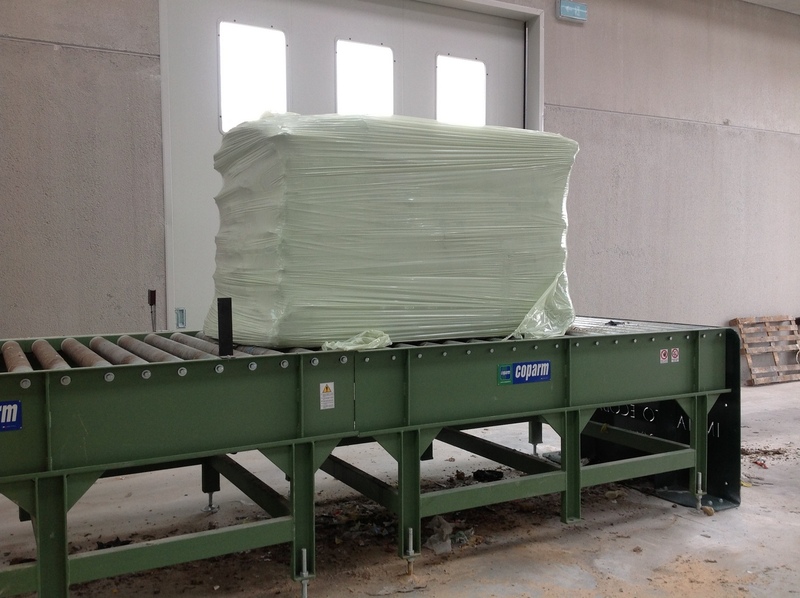 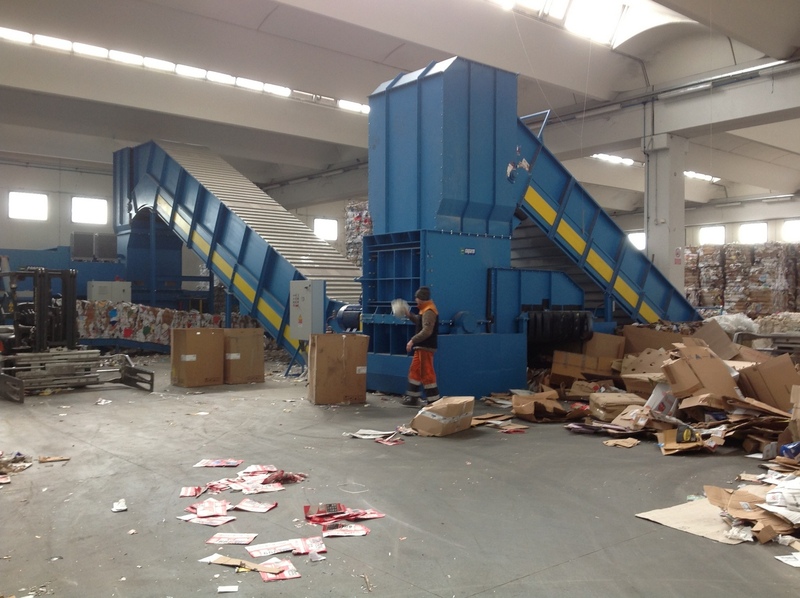 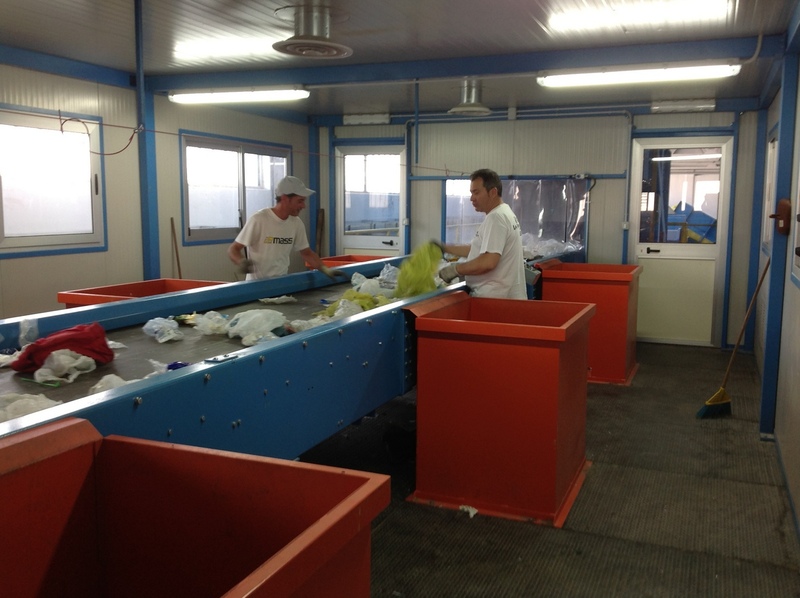 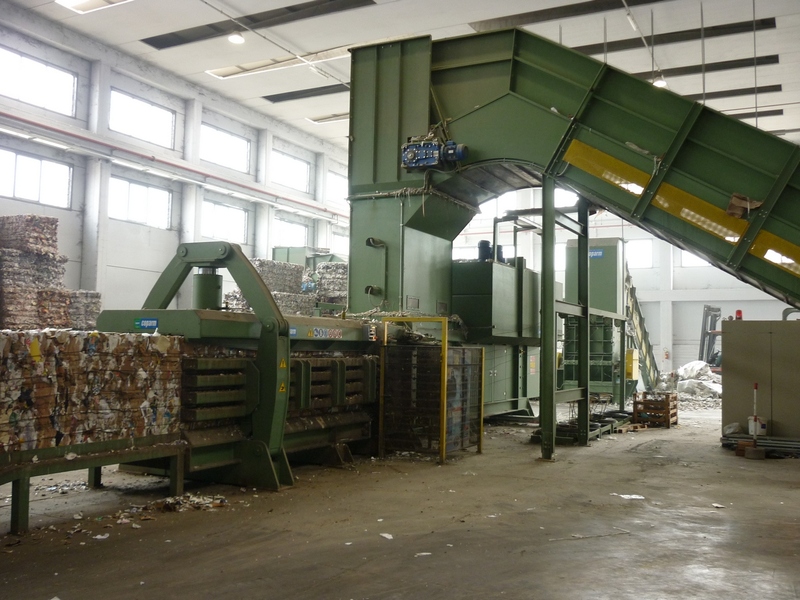 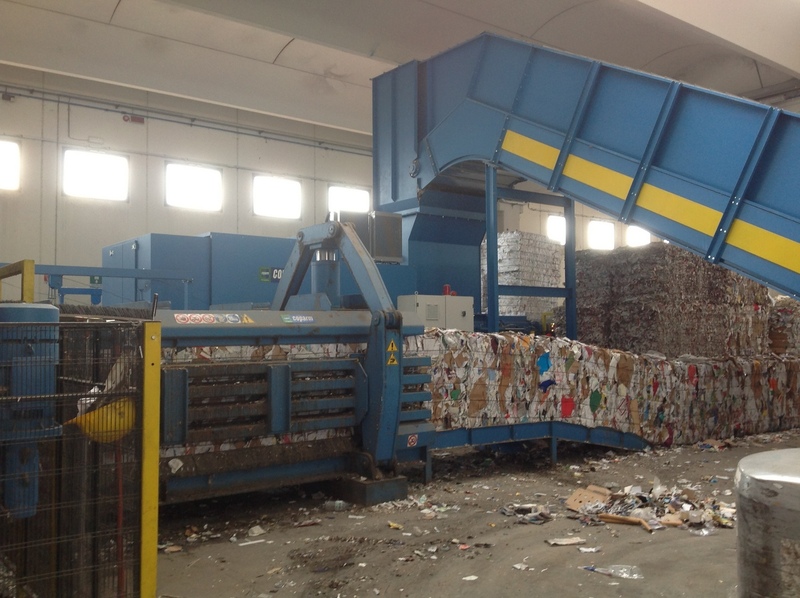 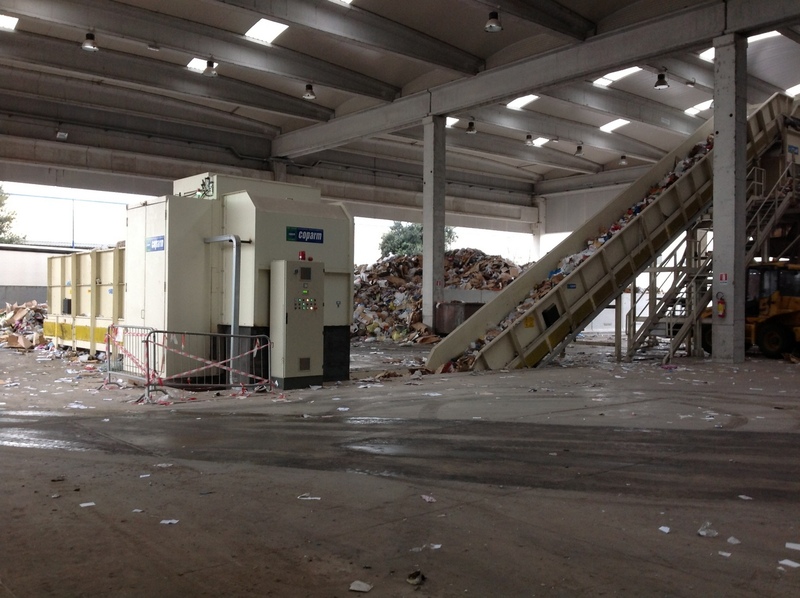 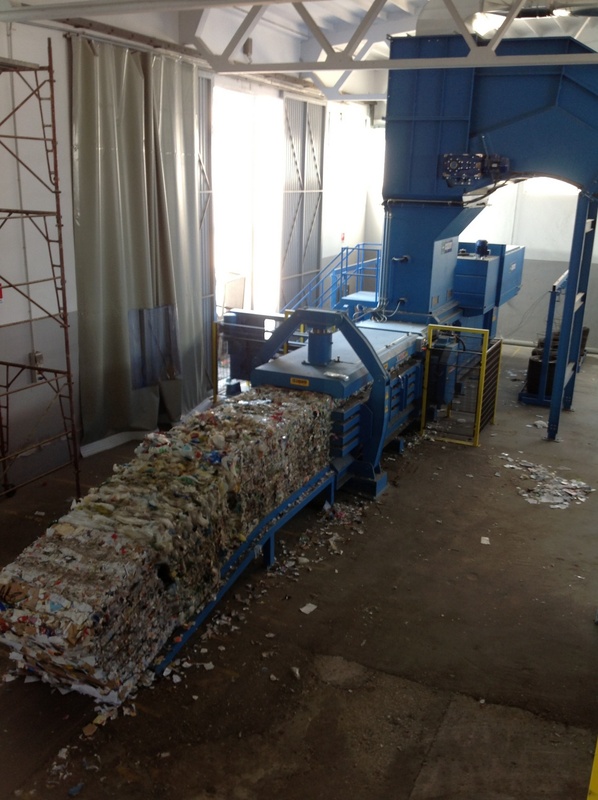 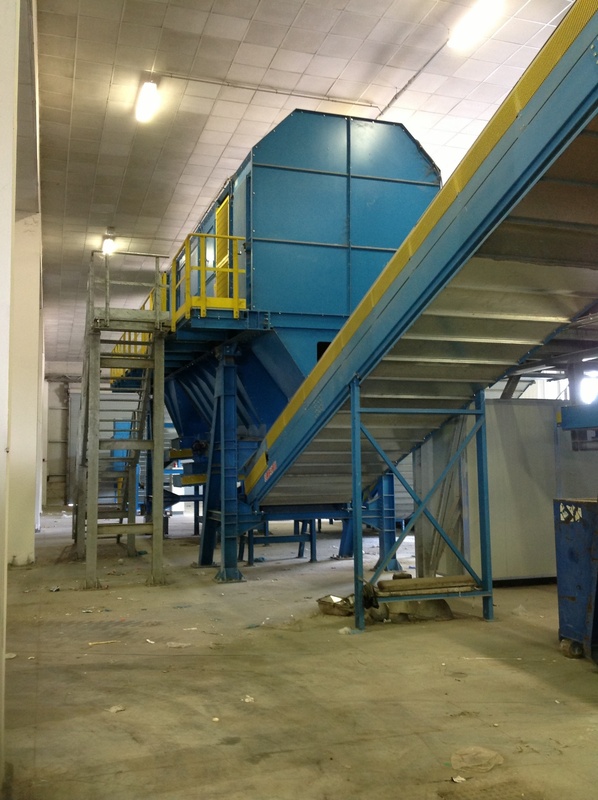 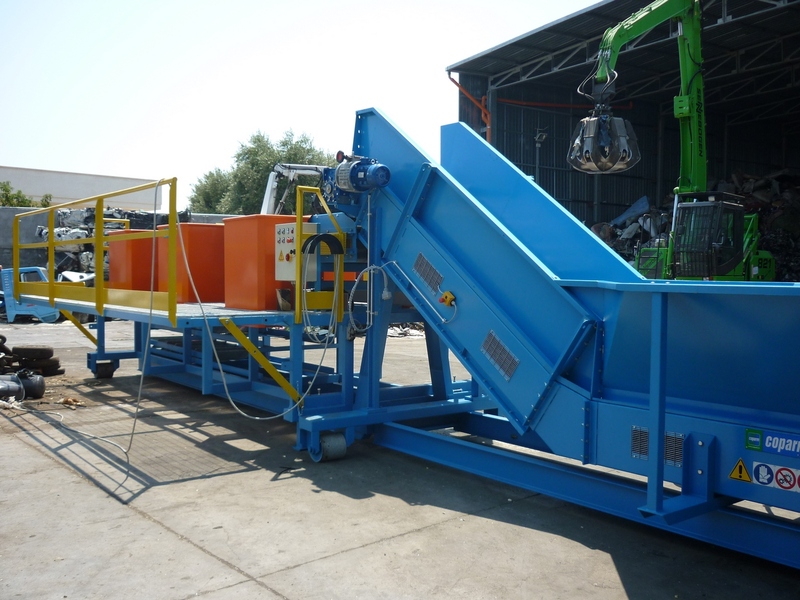 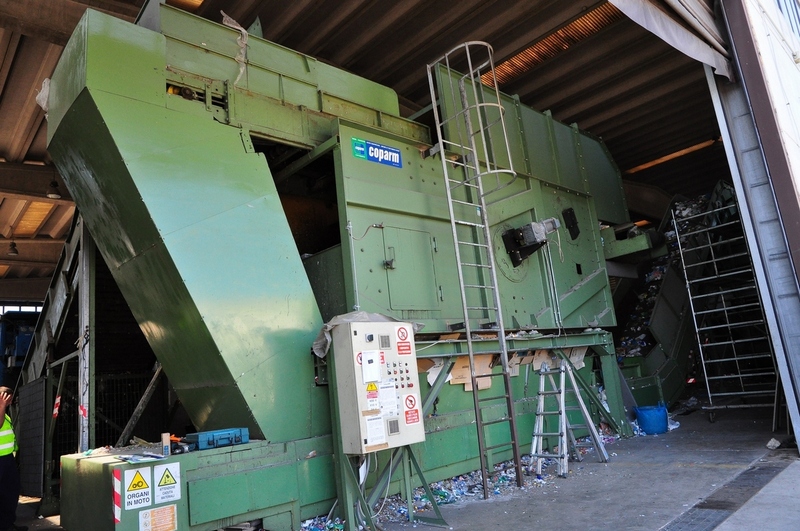 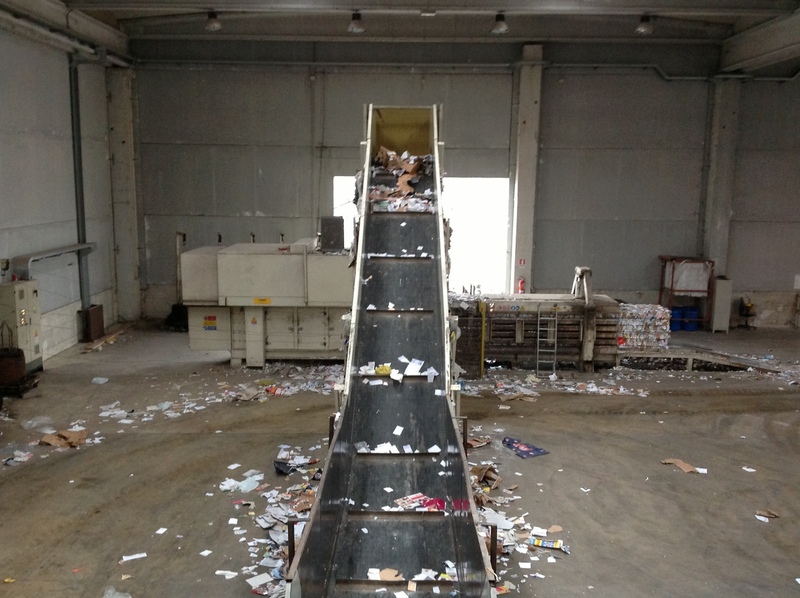 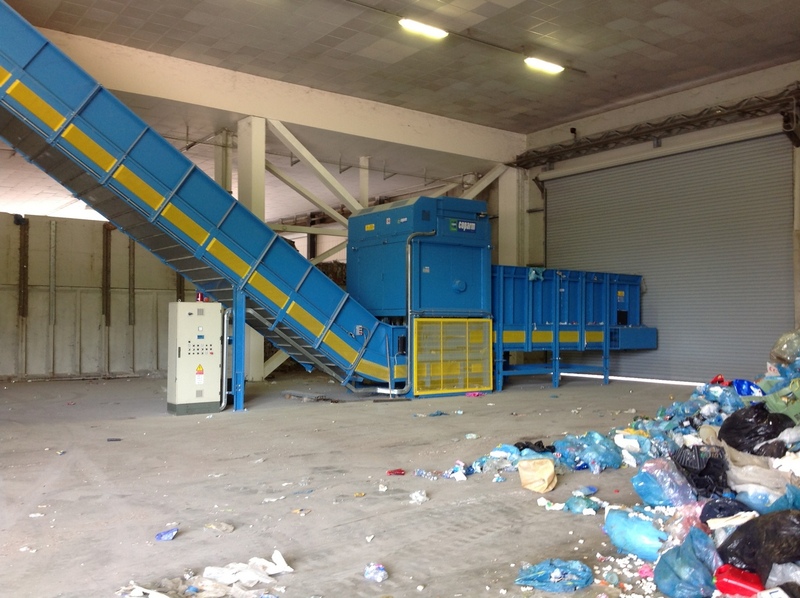 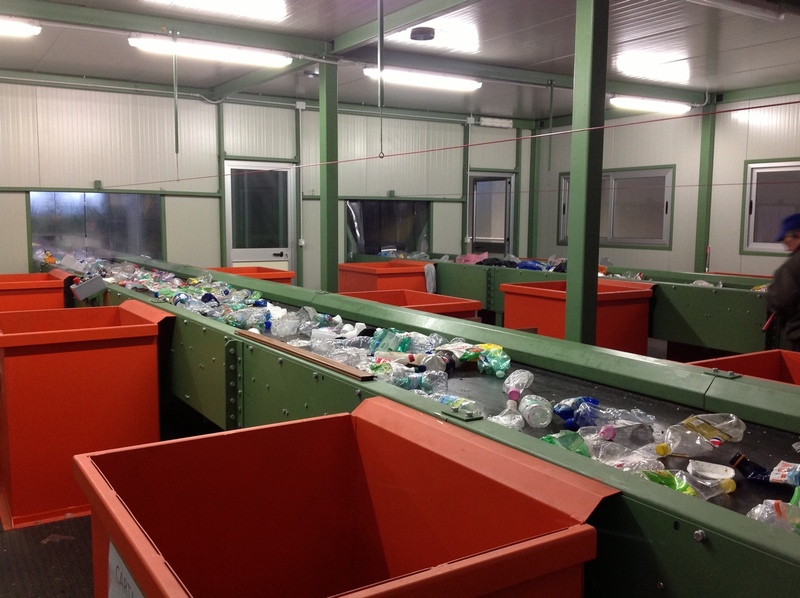 These separators are placed upstream of sorting plants and allow you to make the separation of the treated materials by exploiting the different physical properties which they own. 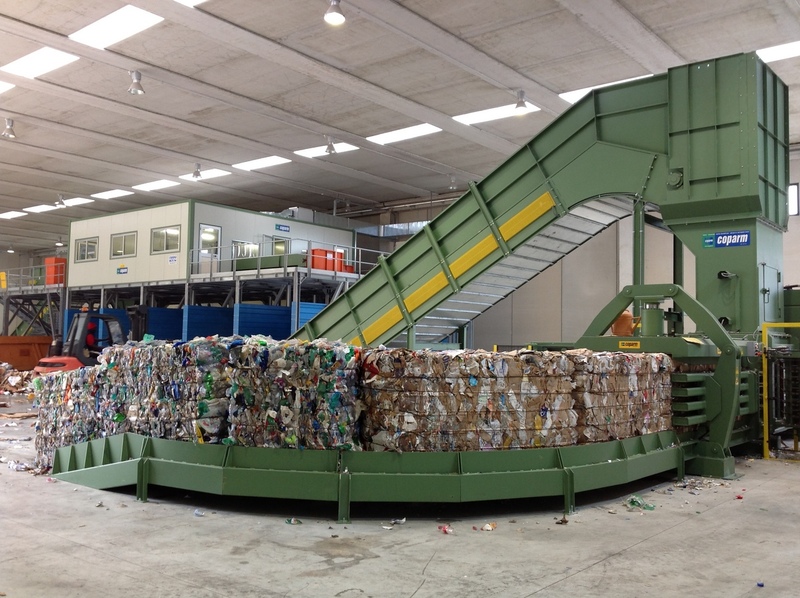 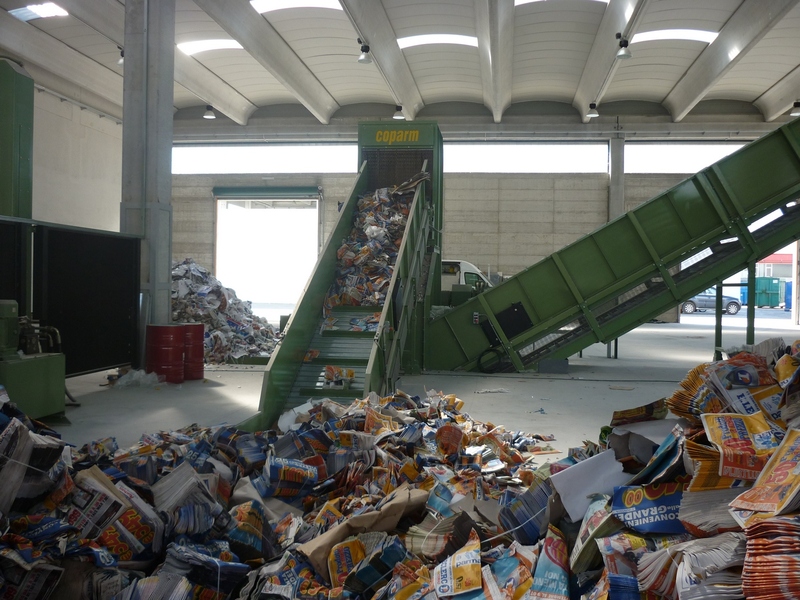 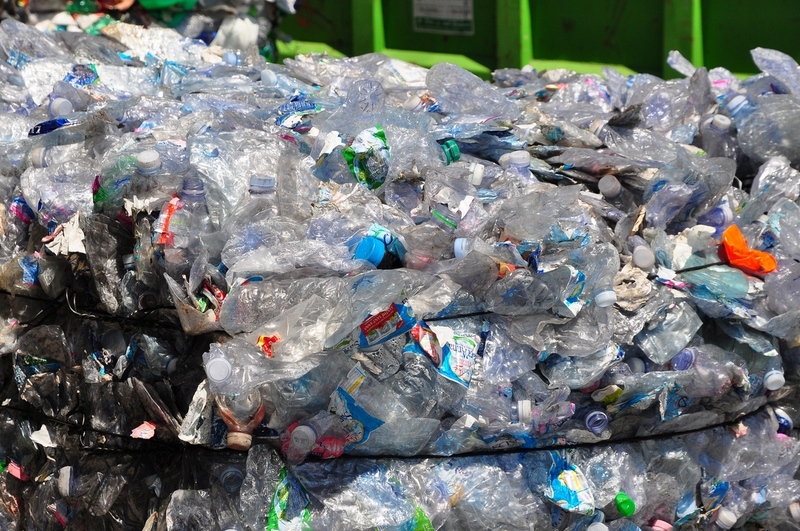 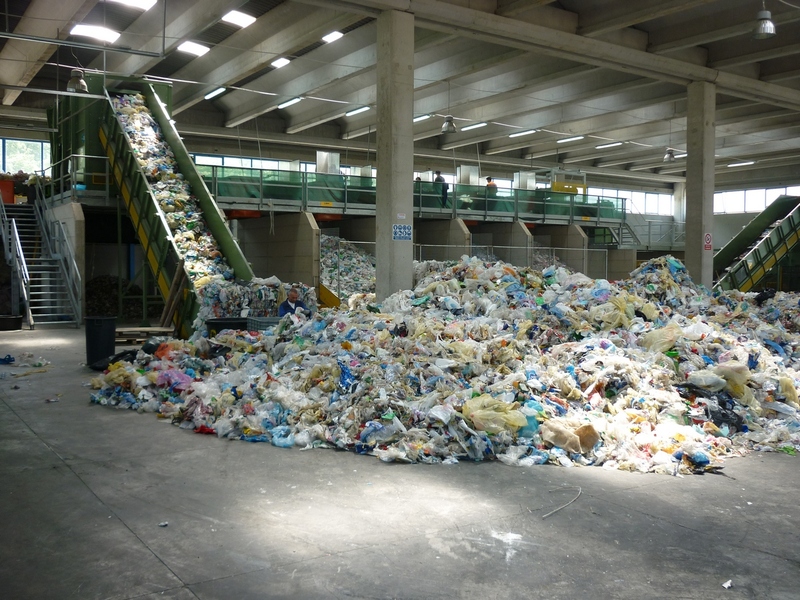 They have the function of separating the feed stream into three streams based on the technological principle according to which the separation of the individual parts placed in a current of fall takes place according to the different flight curves. 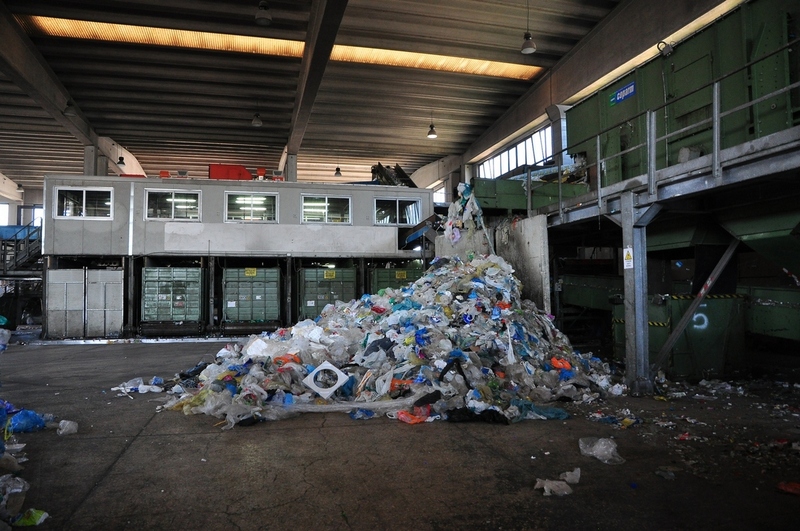 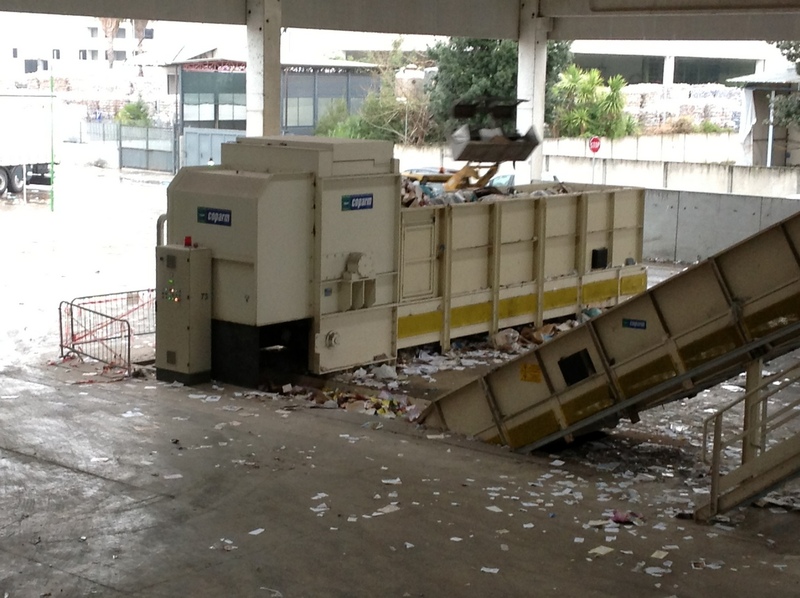 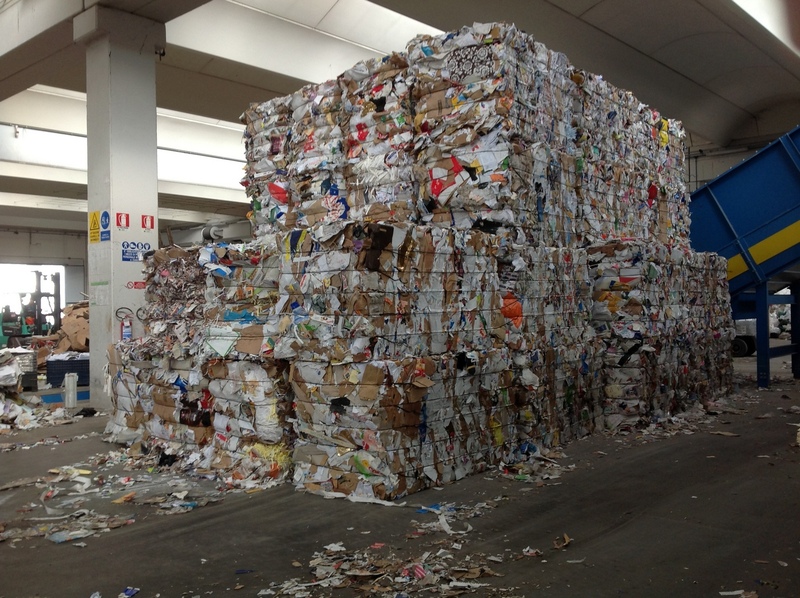 The fed material falls on an inclined bottom and rotating, by the rotational movement, transmits a pulse and generates a movement of flight contrary of the individual parts; at this stage the individual parts behave differently; light fractions (flat and thin), such as paper, cardboard medium sized, plastic film, textiles and so on, are thrown upwards along the trajectories flat and low and transported by the rotary movement of the base towards the top of machine, in the direction of the upper hopper arranged to light fractions; heavy fractions (cubic – solid) are thrown upwards by the movement of the bottom and flow from the inclined position of the same in a position of flight directed downwards of the machine where is located the discharge hopper.